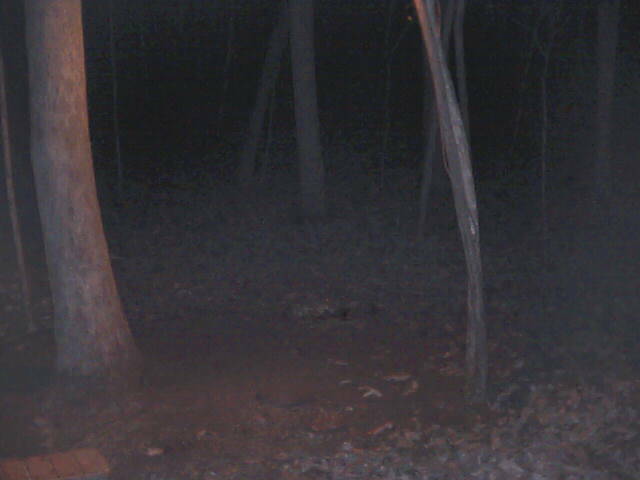 Ooops scared the rabbit away! 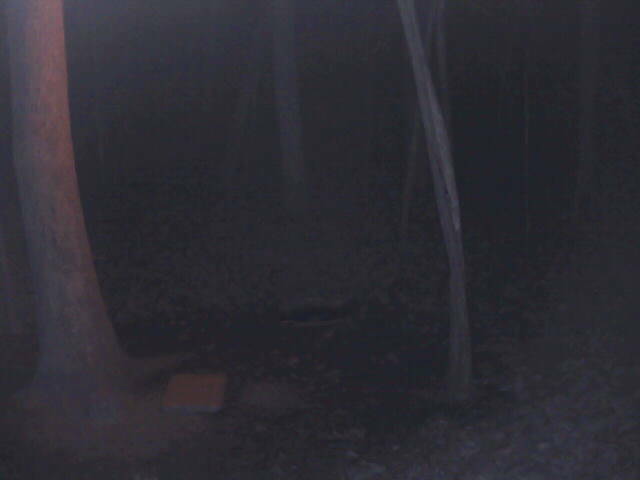 1 at frst then 2!! 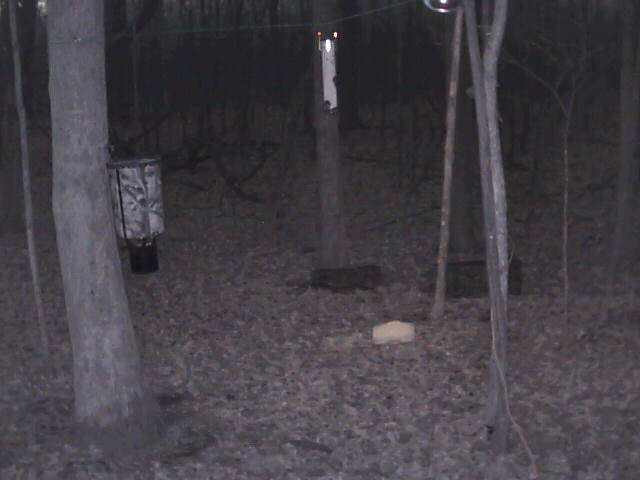 Peek a Boo Deer sighting! 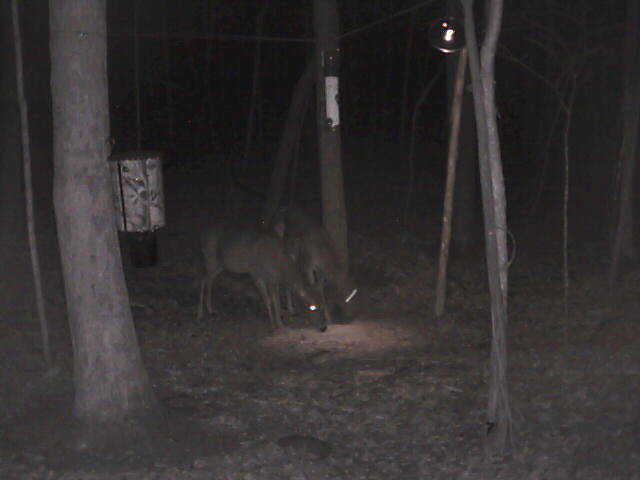 Take a buddy to dinner!! 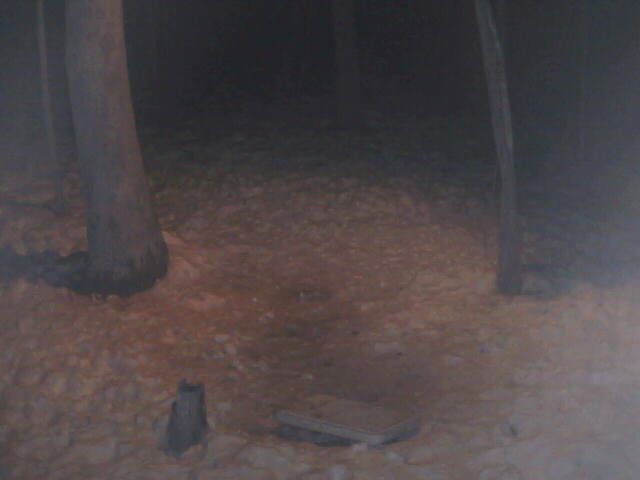 See what youv'e been missing!! 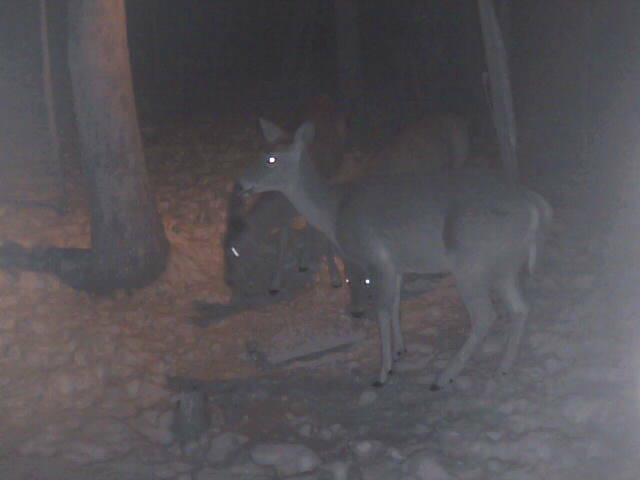 Feed them and they will come!! 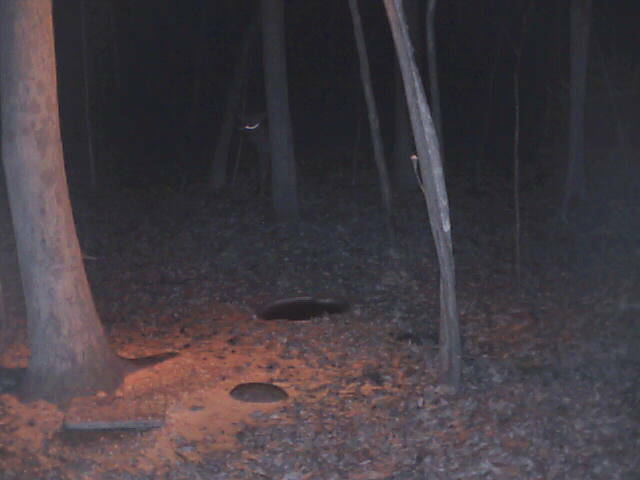 Who's the guy with the eyes? 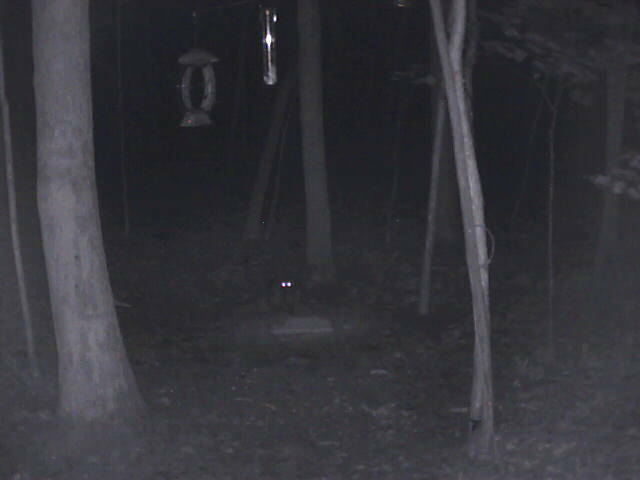 Who's got those big eyes? 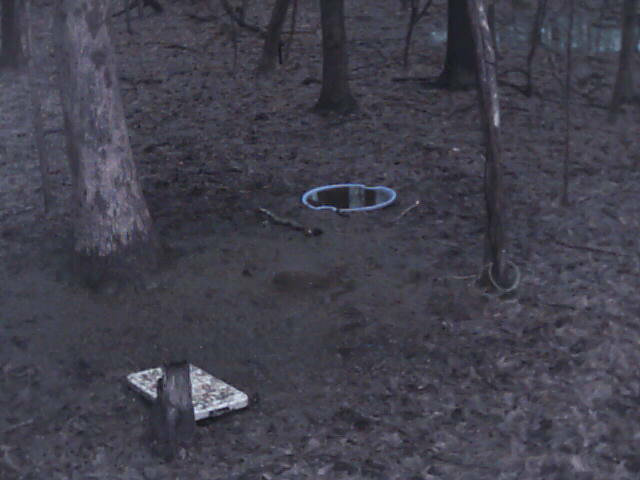 Who moved the dinner plate! 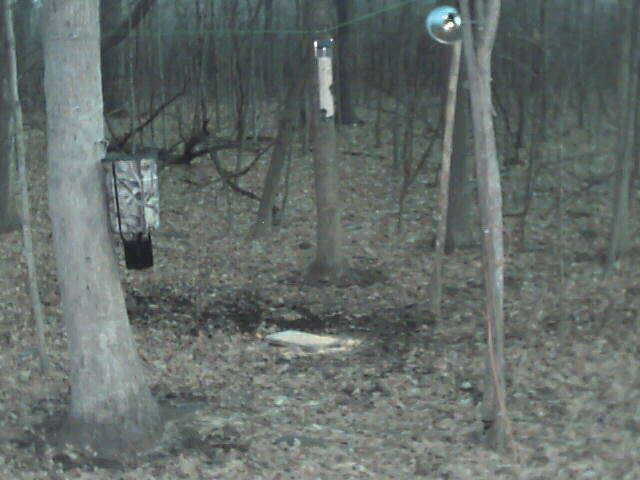 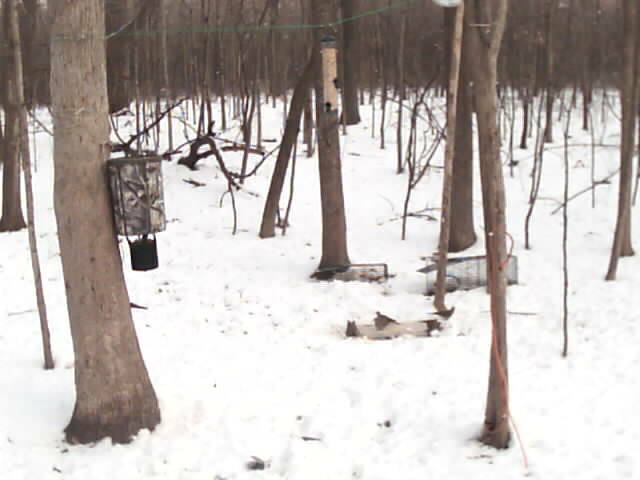 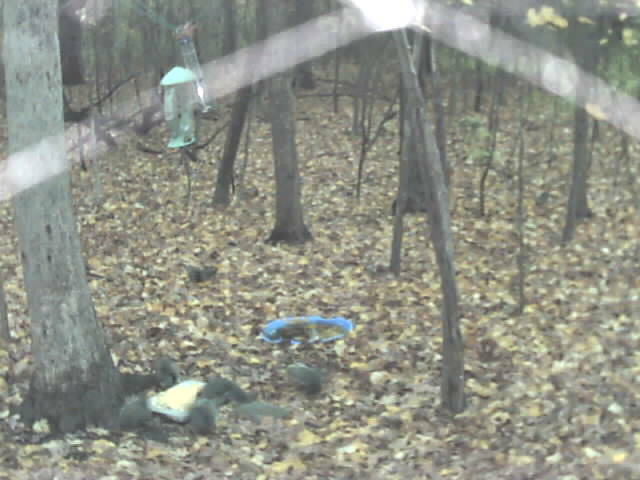 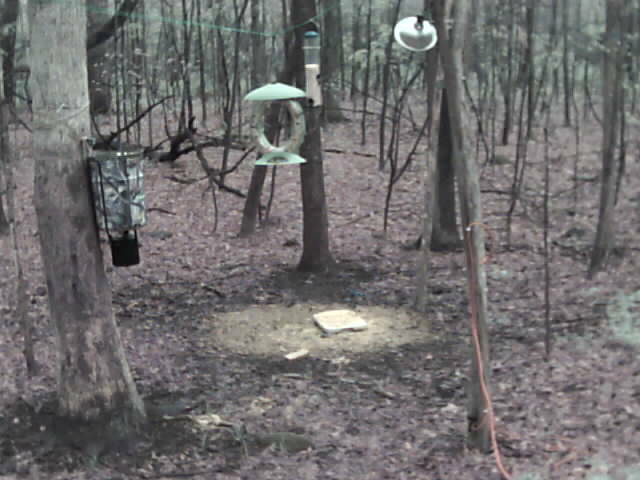 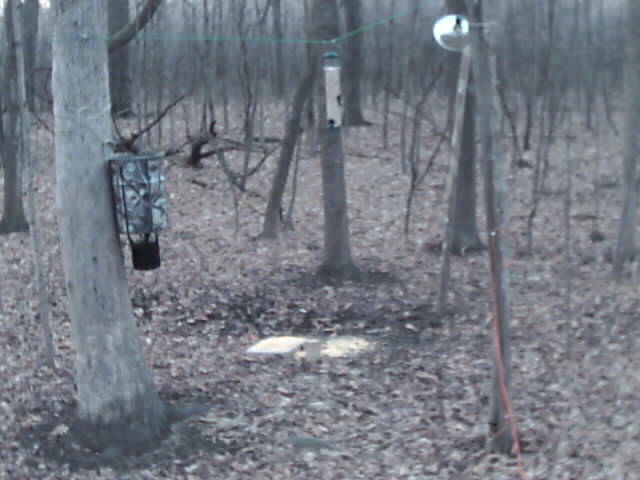 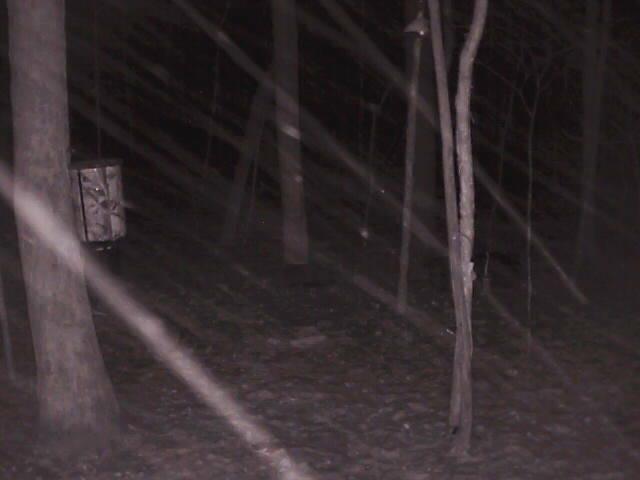 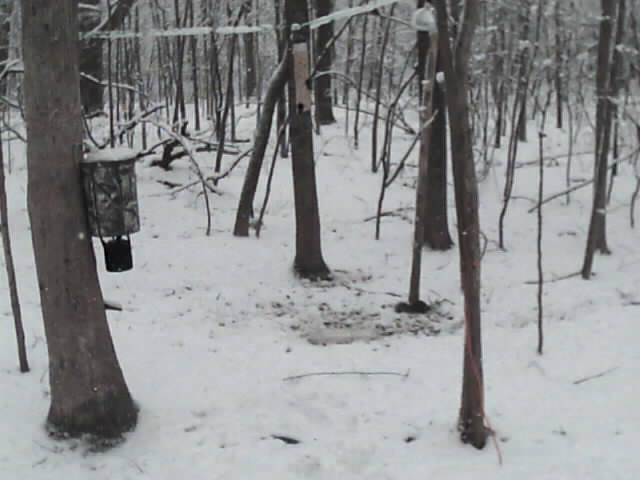 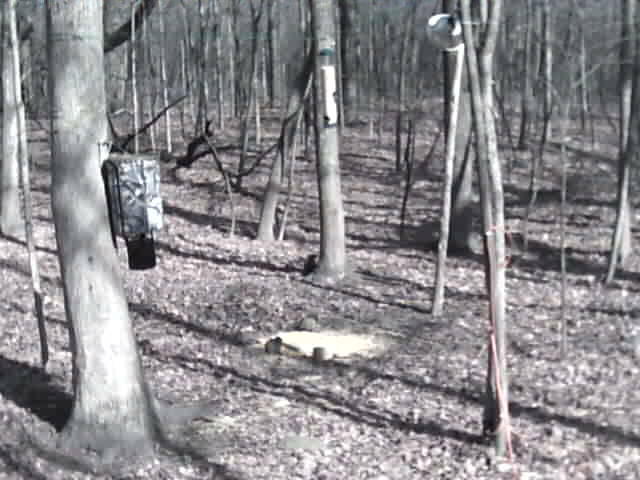 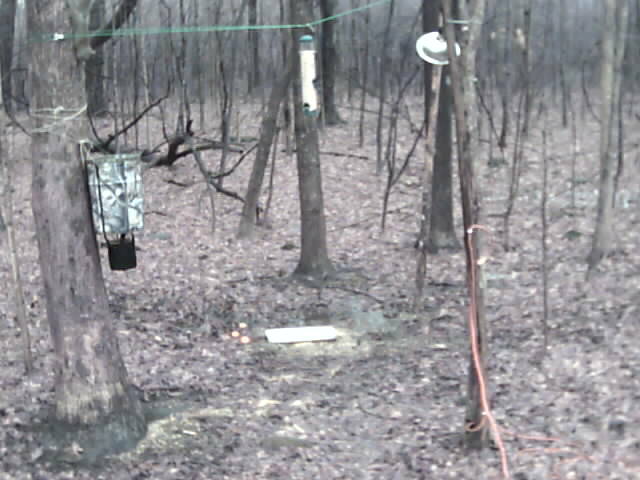 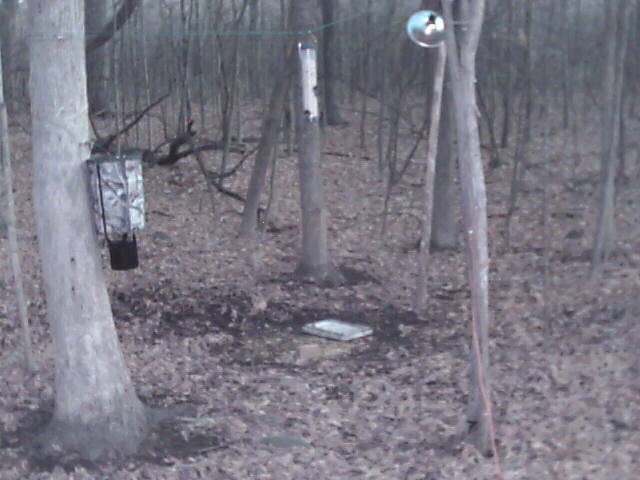 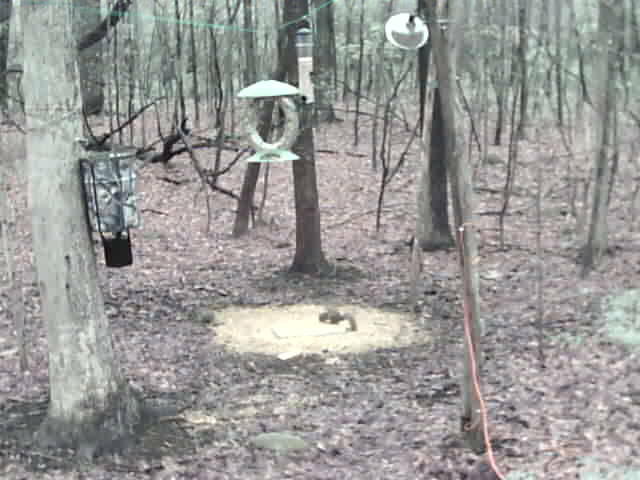 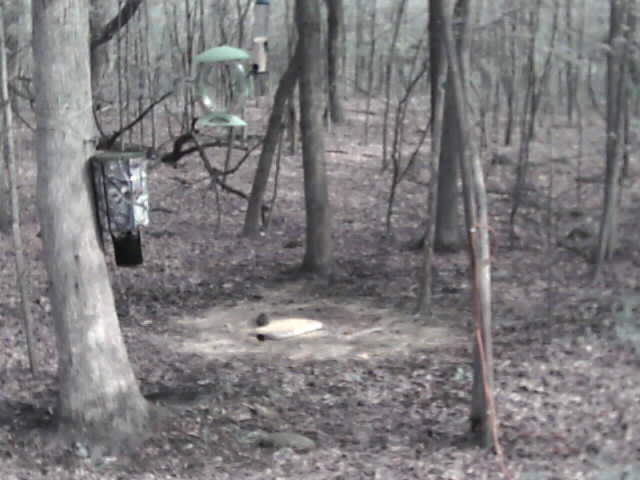 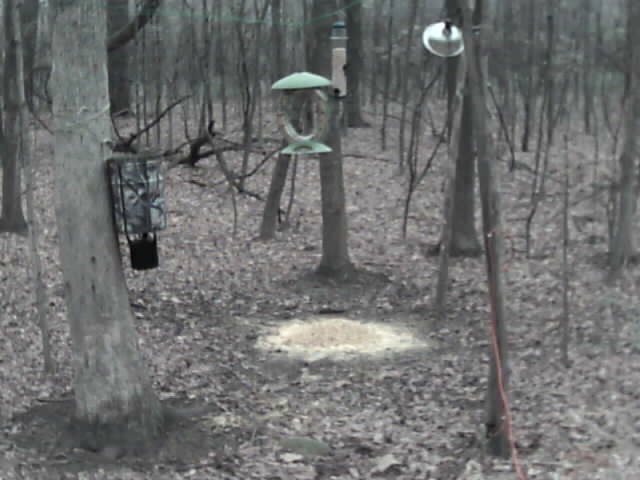 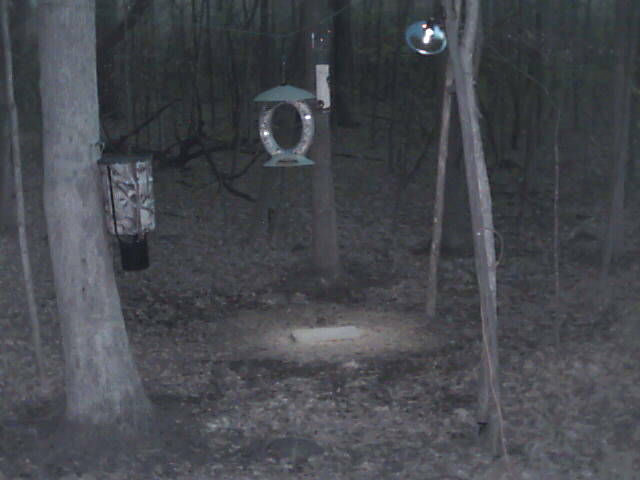 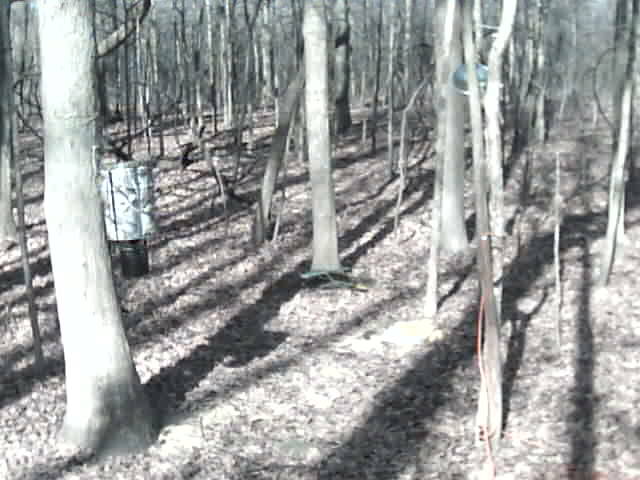 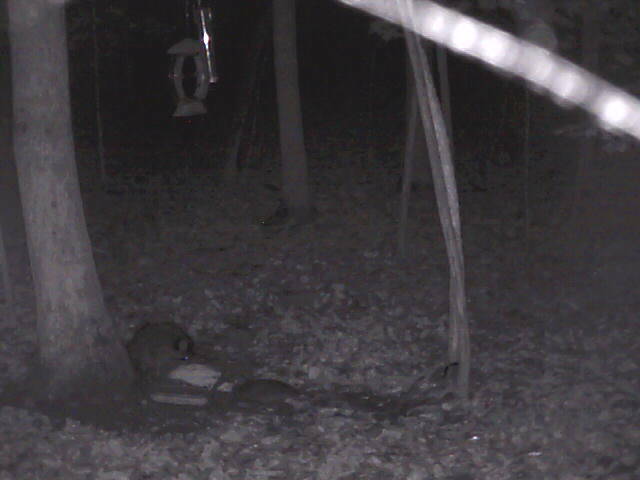 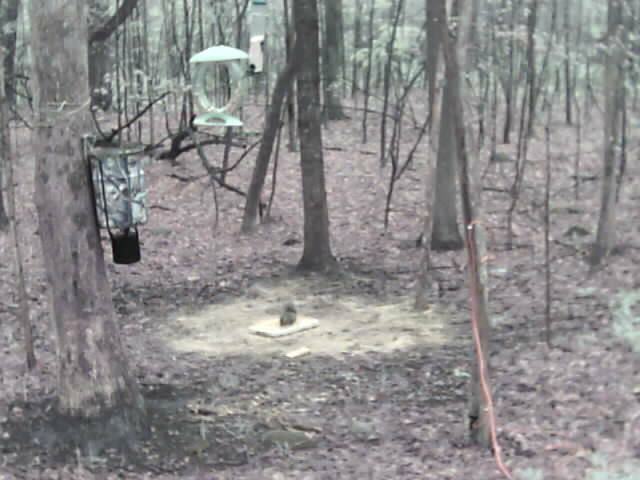 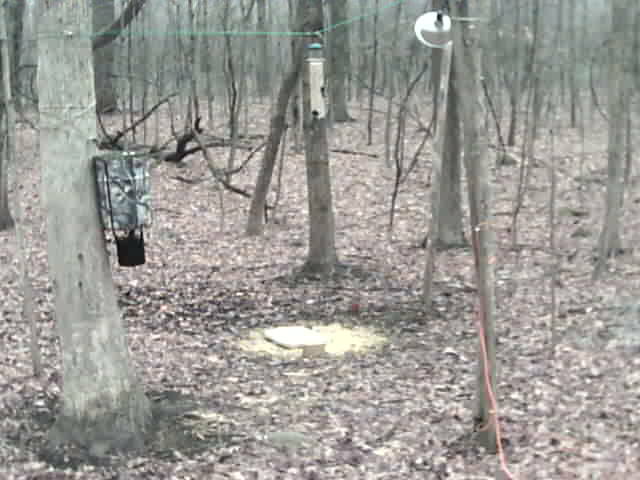 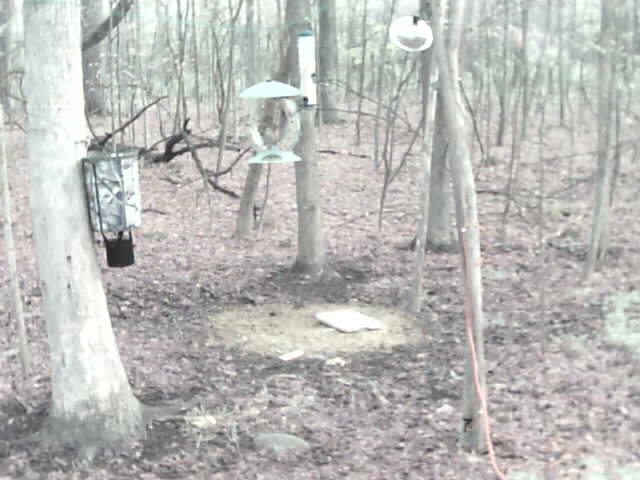 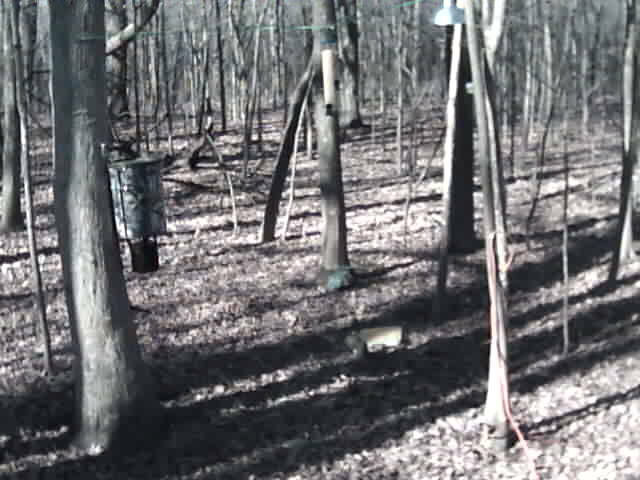 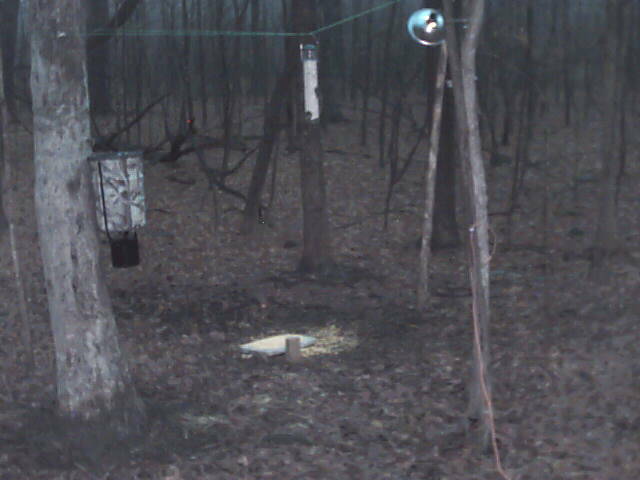 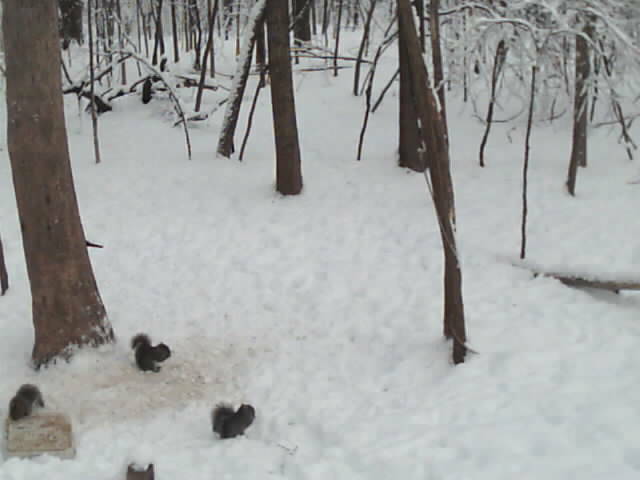 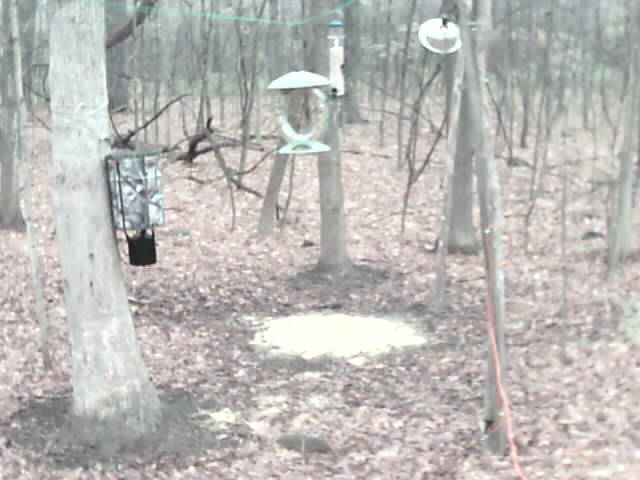 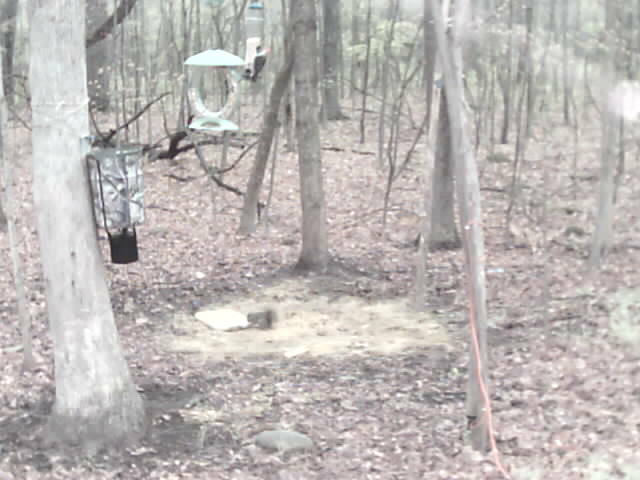 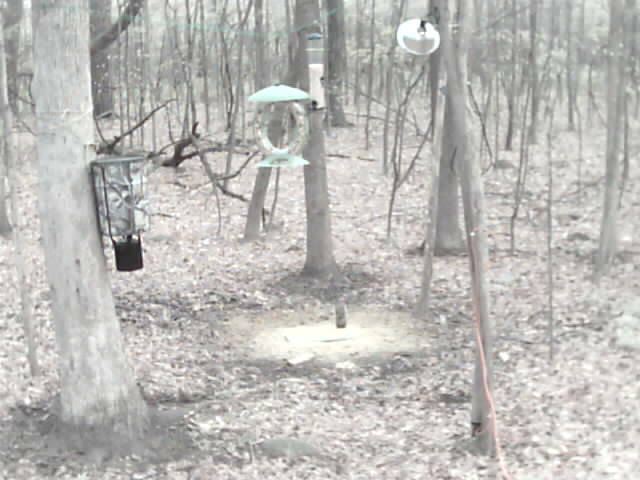 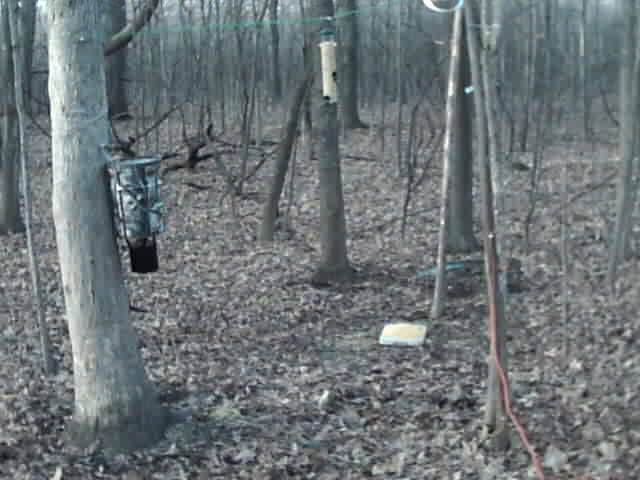 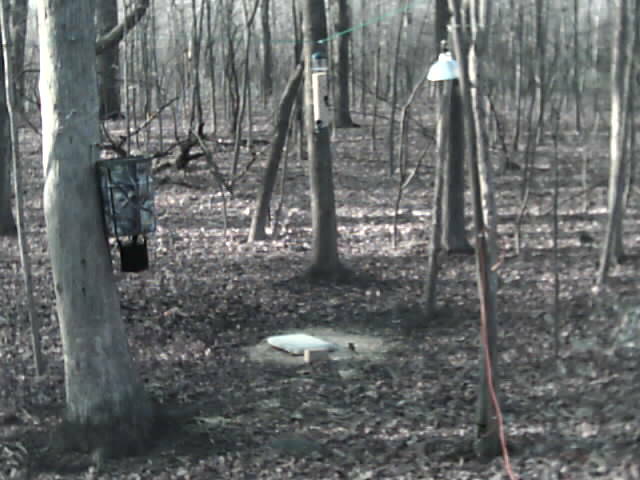 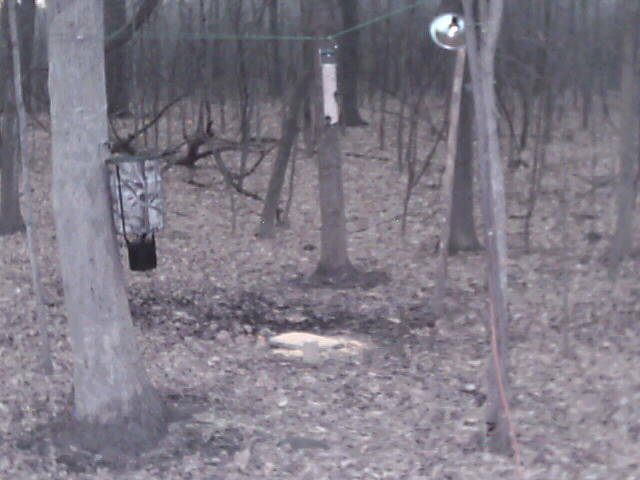 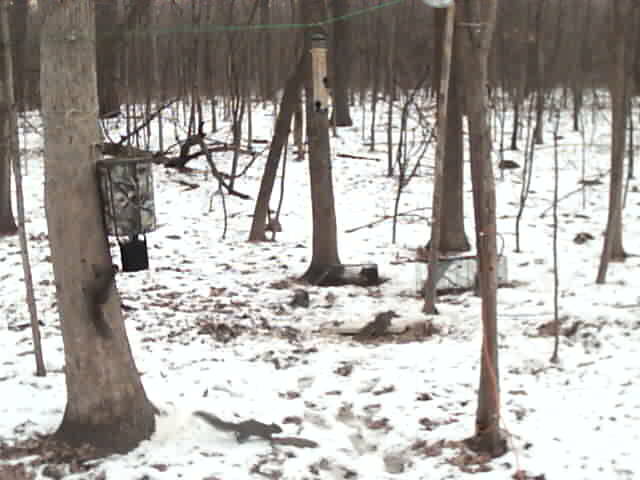 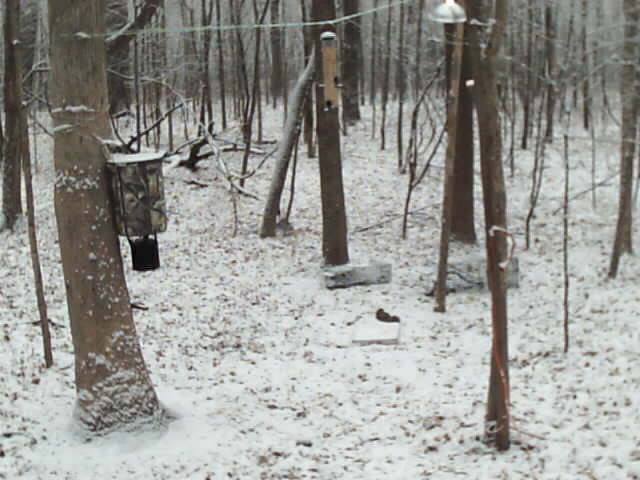 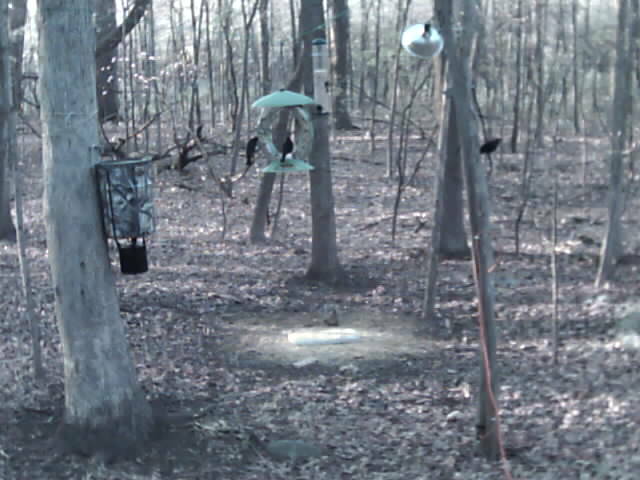 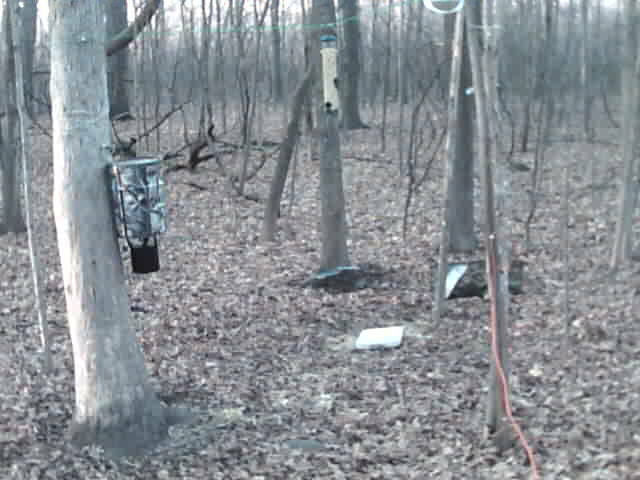 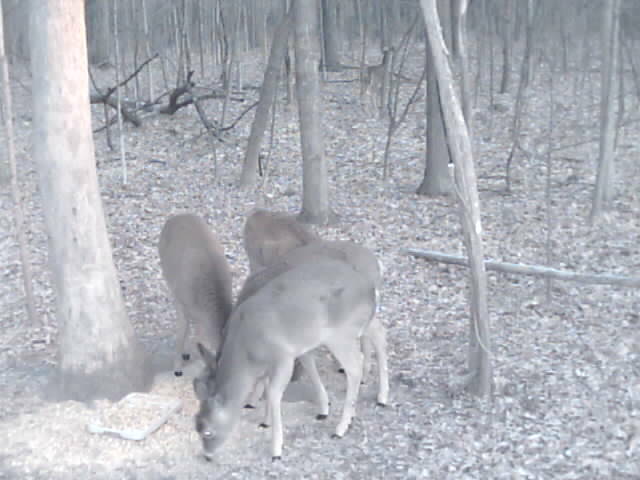 Lots of action on deercam! 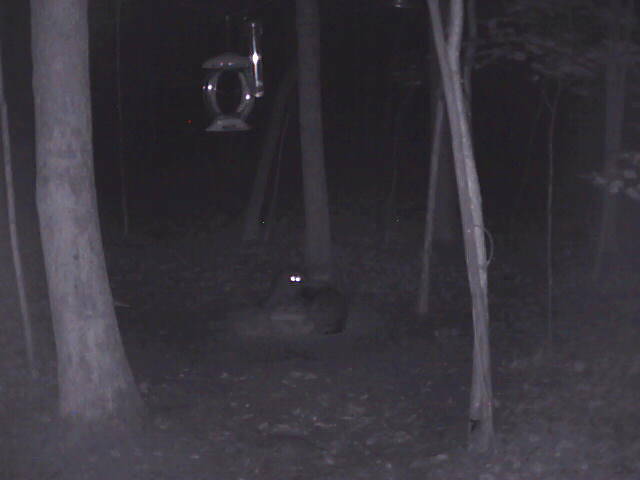 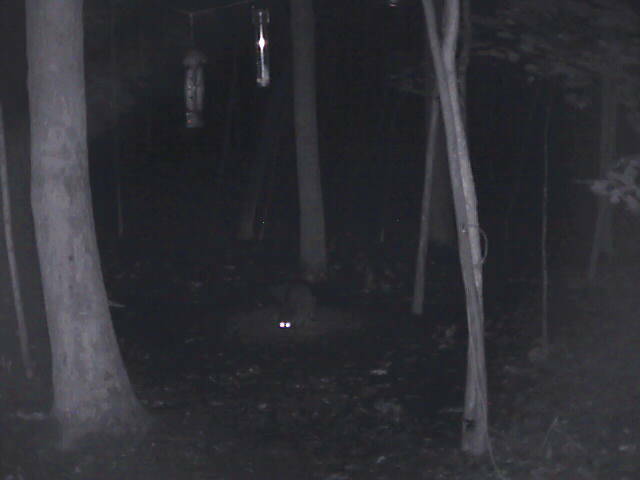 Monster Raccoon or small Bear? 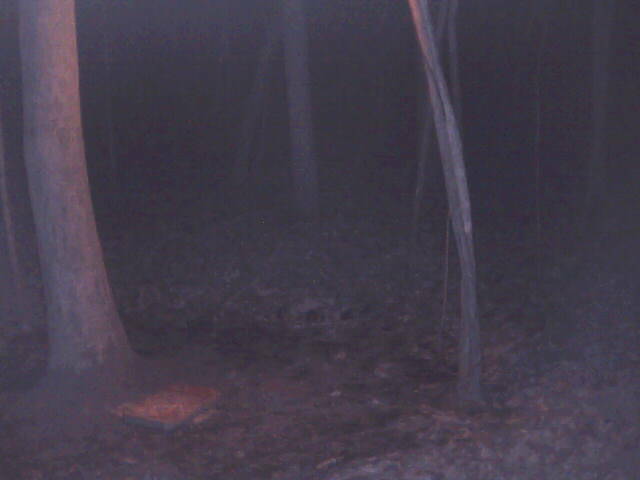 What a tangled web we weave!! 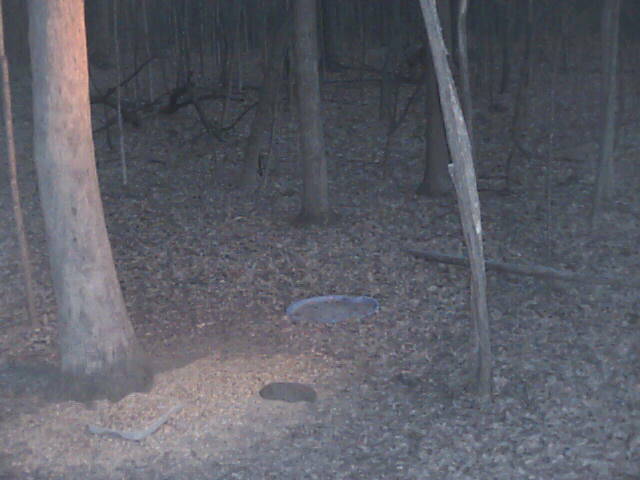 Gets windy in the woods! 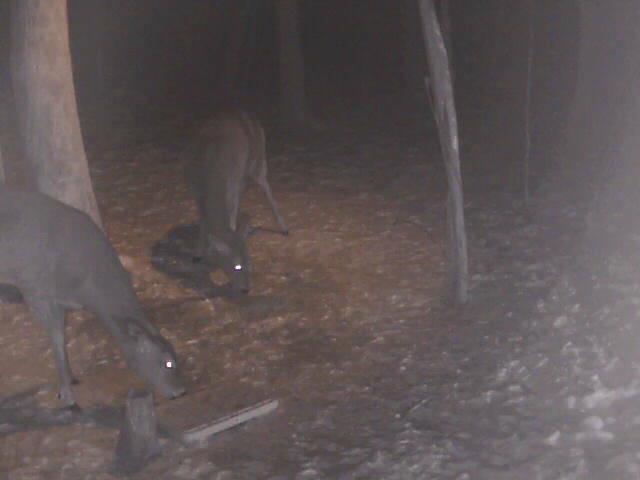 New for the Record Books!! 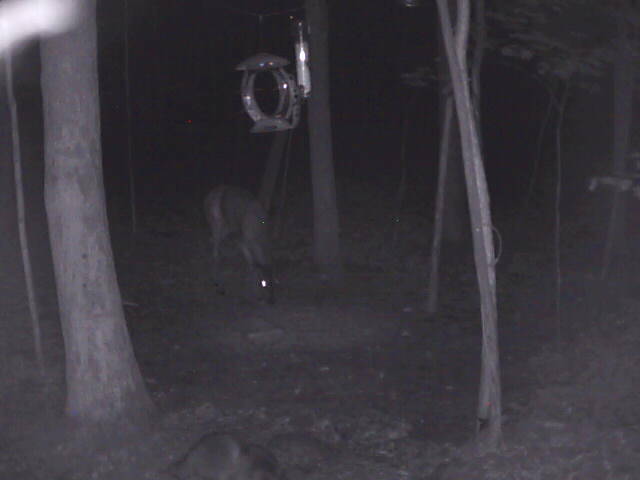 Deer times then spider times! 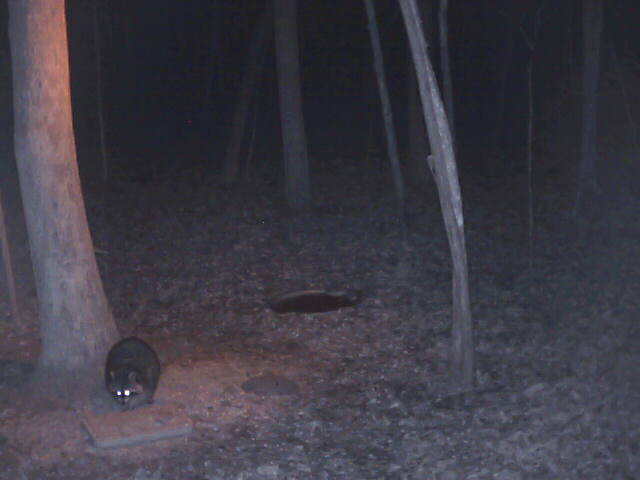 What kind of critter is this? 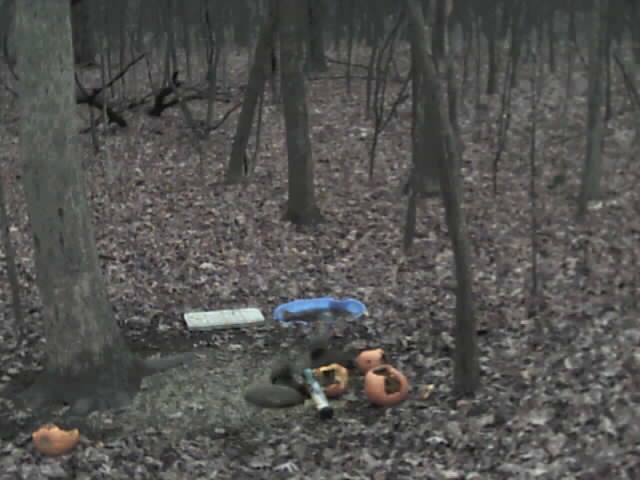 30000 views by this weekend?? 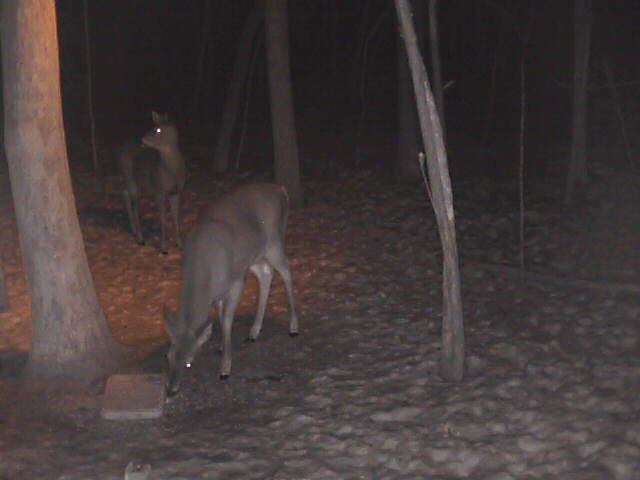 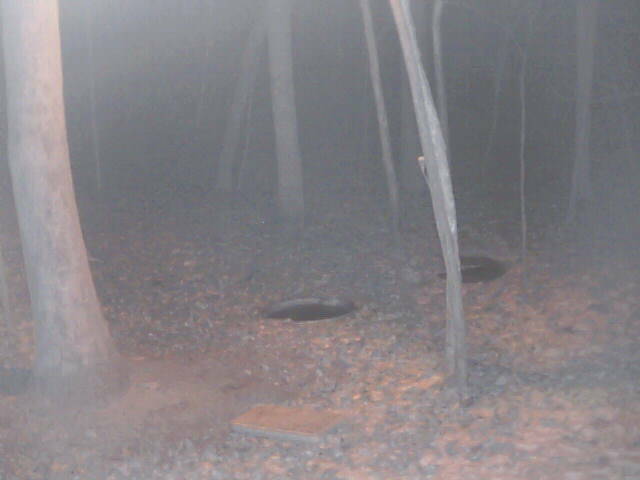 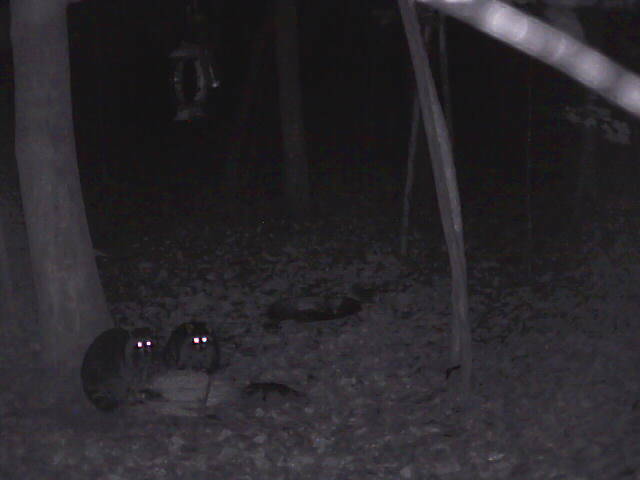 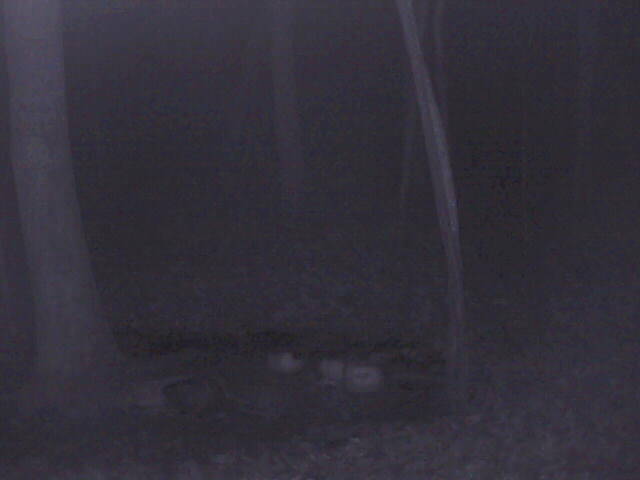 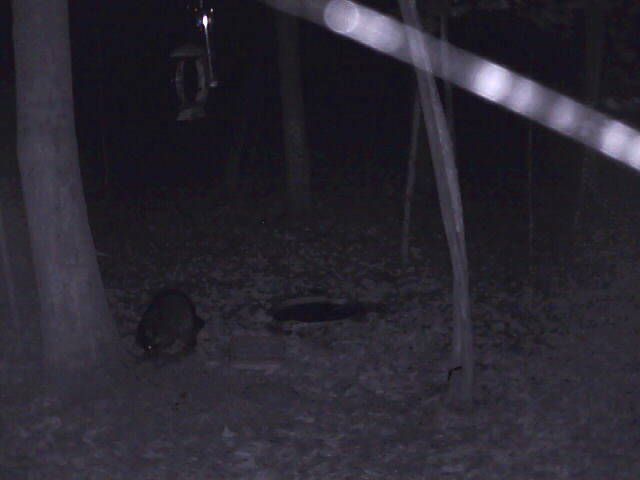 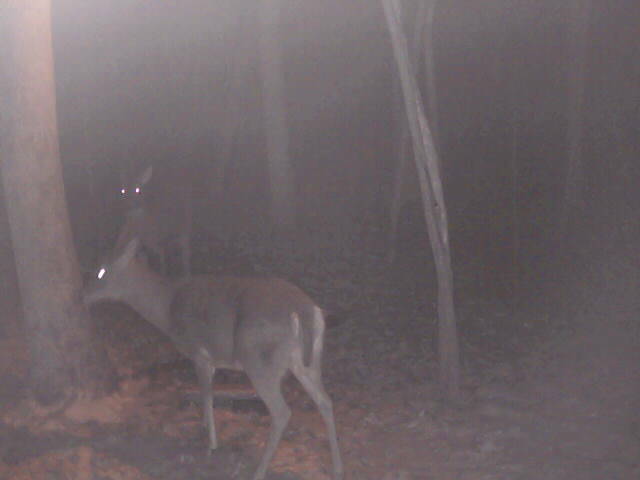 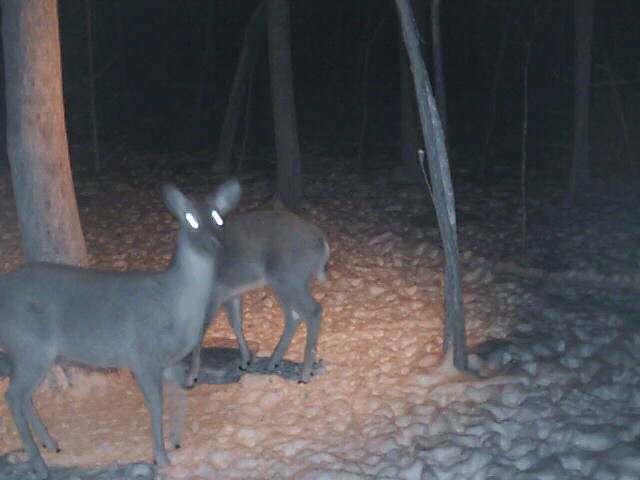 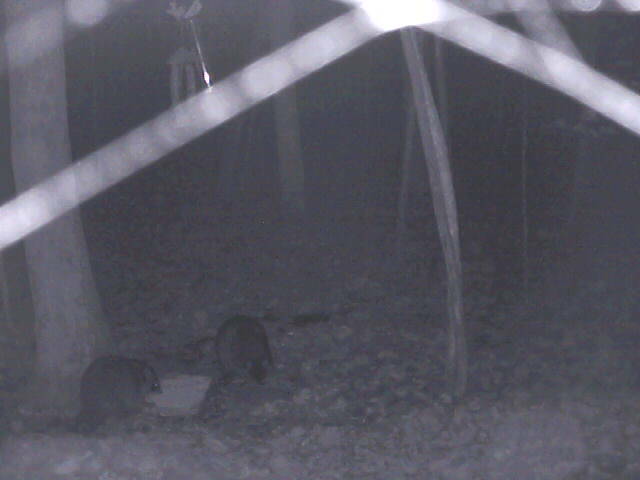 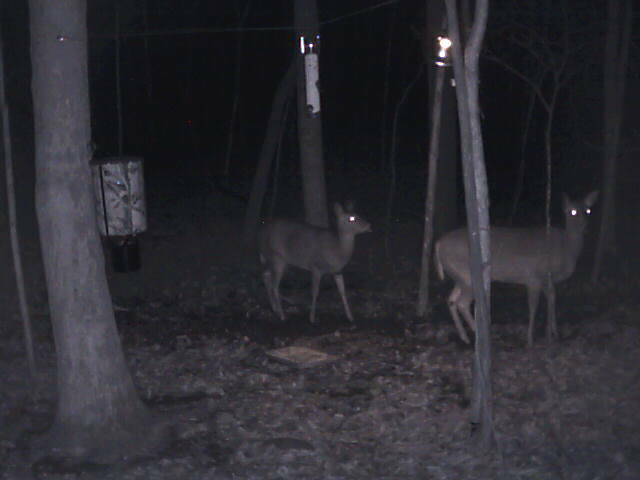 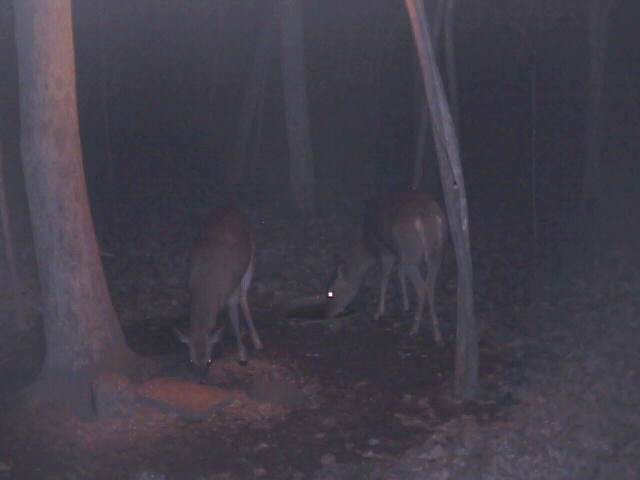 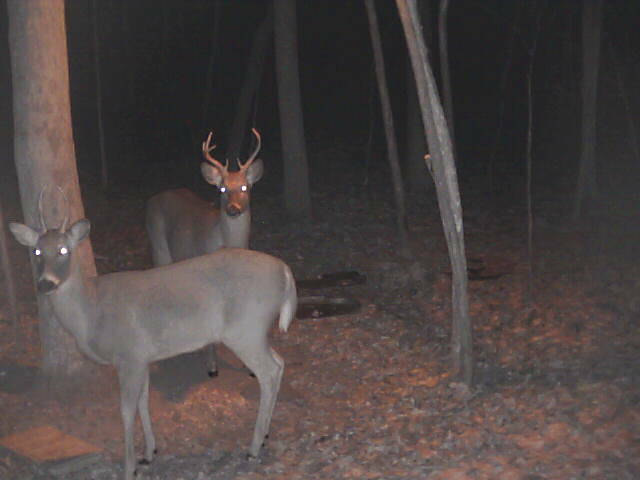 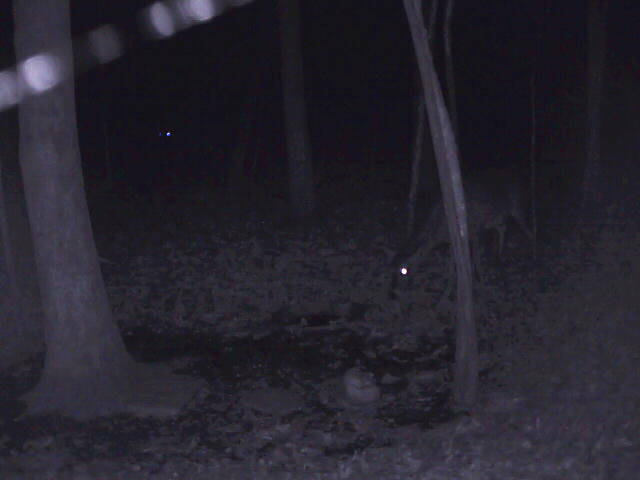 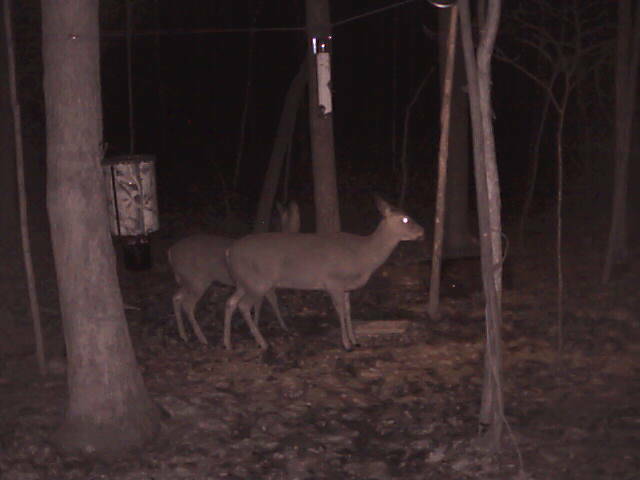 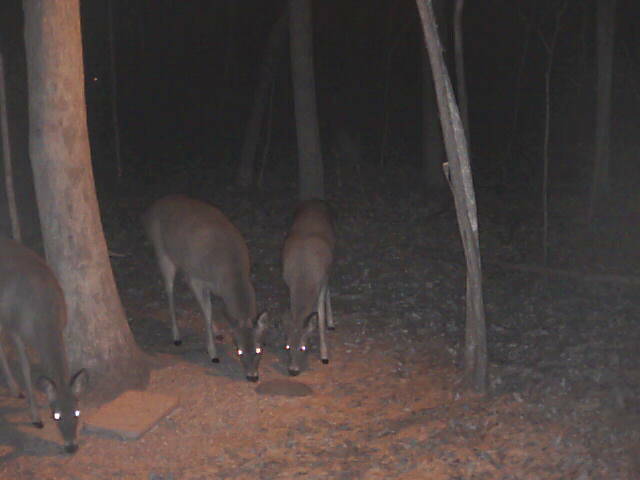 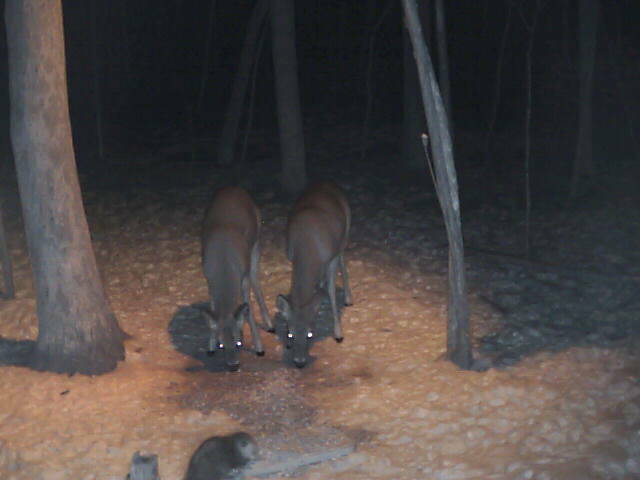 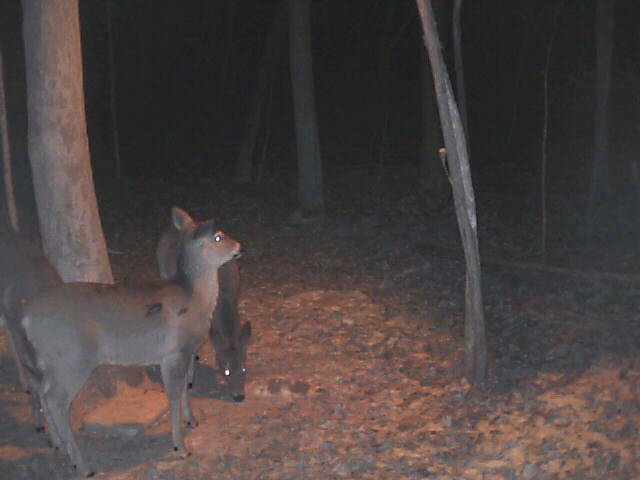 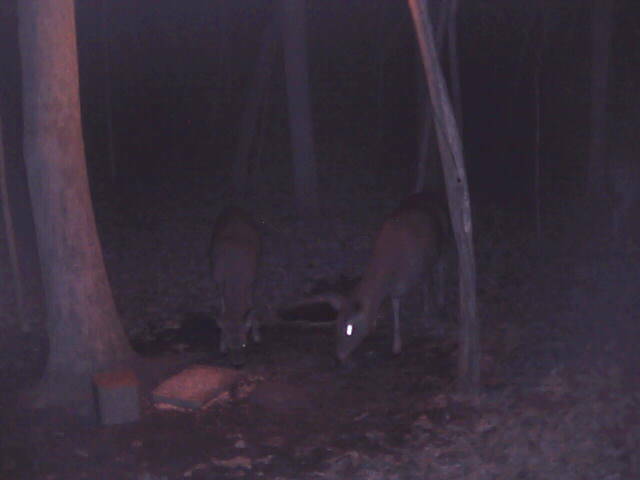 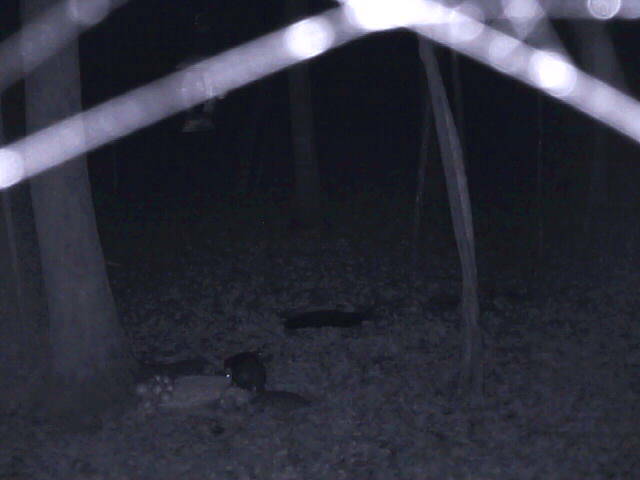 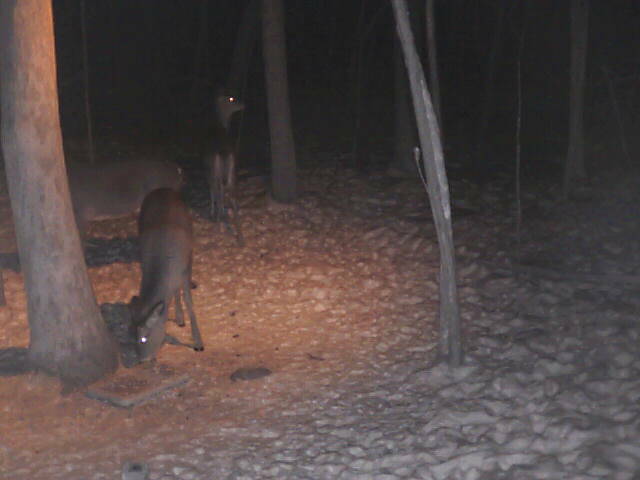 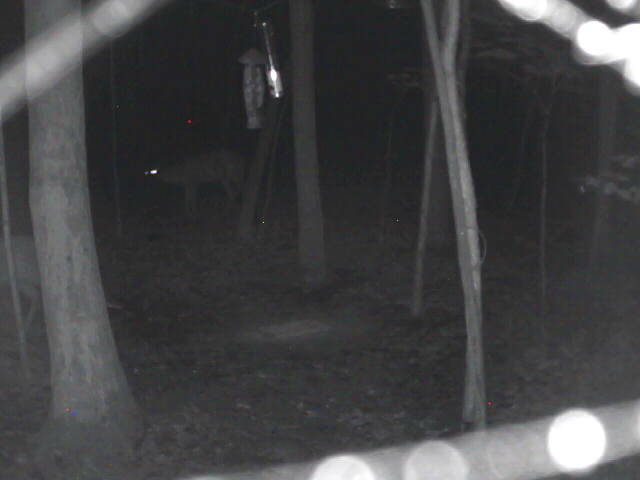 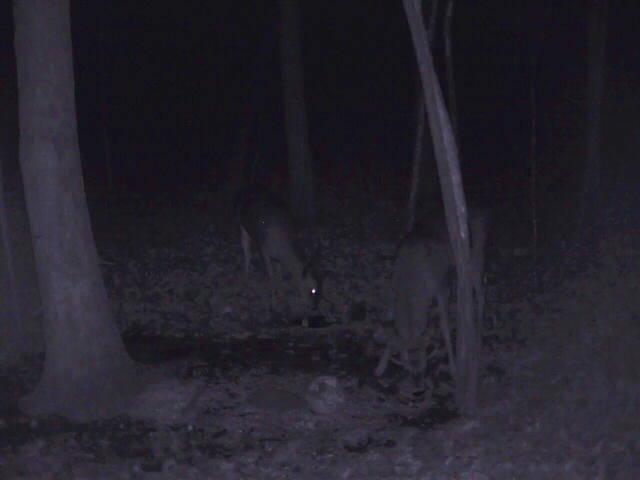 Two Deer at the Deercam!!! 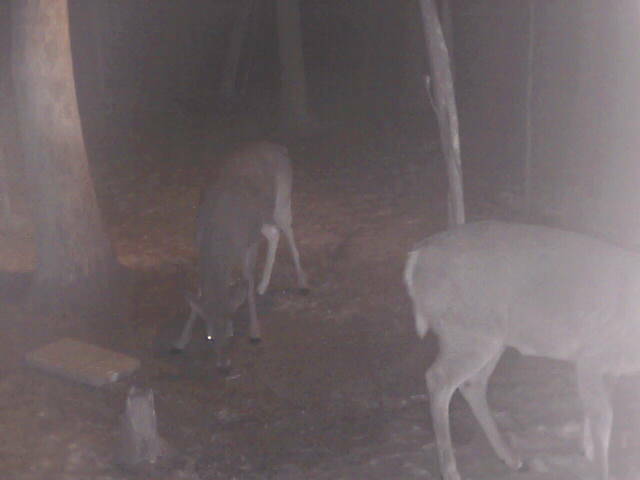 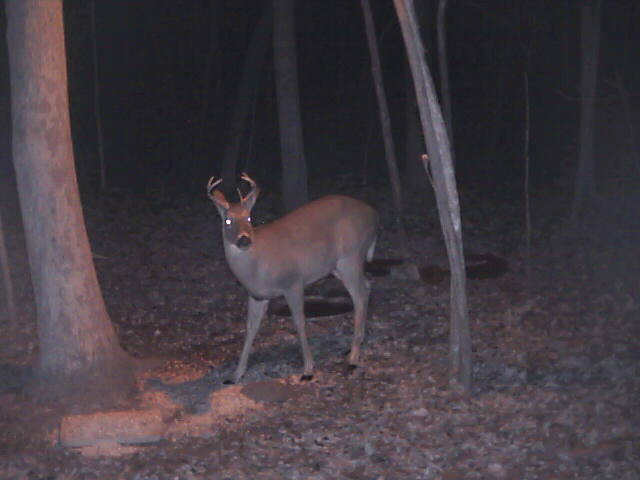 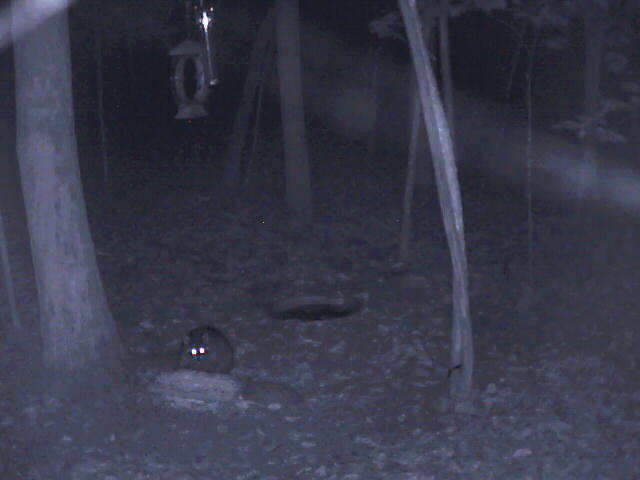 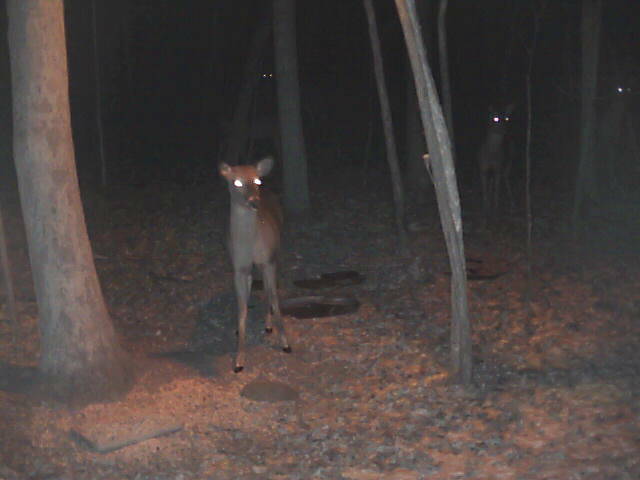 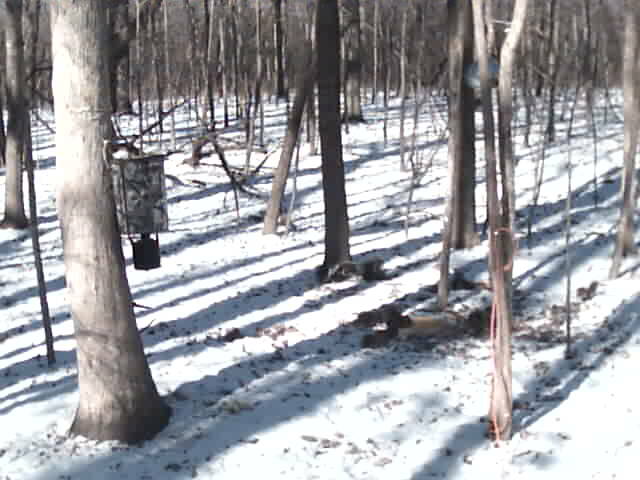 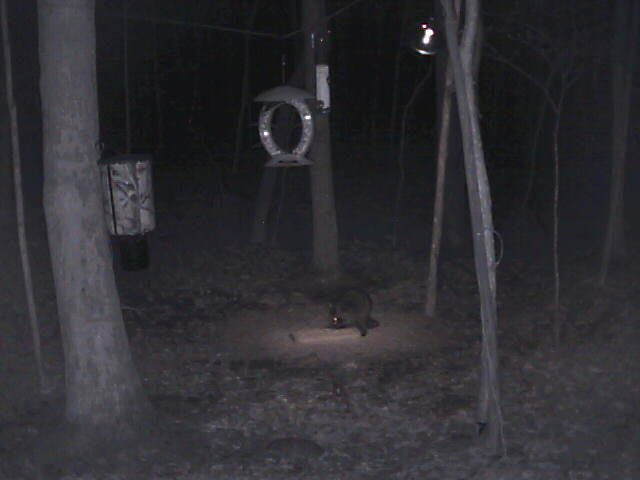 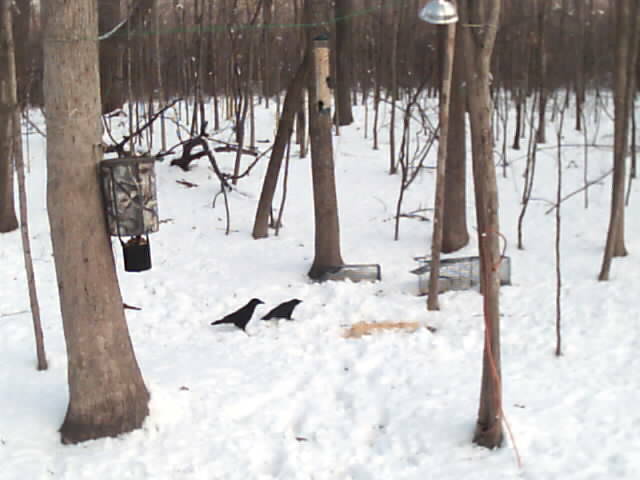 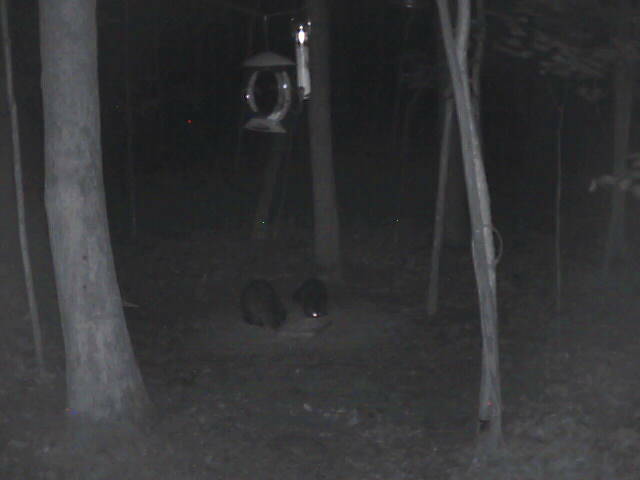 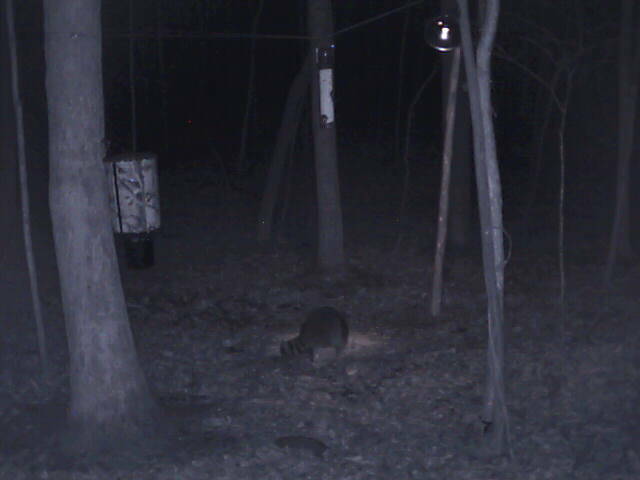 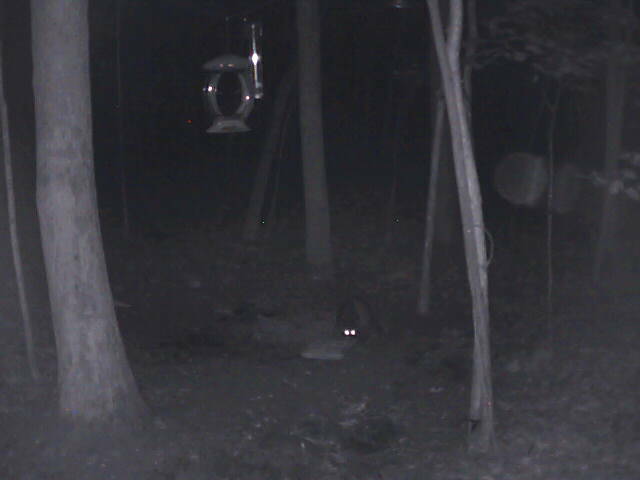 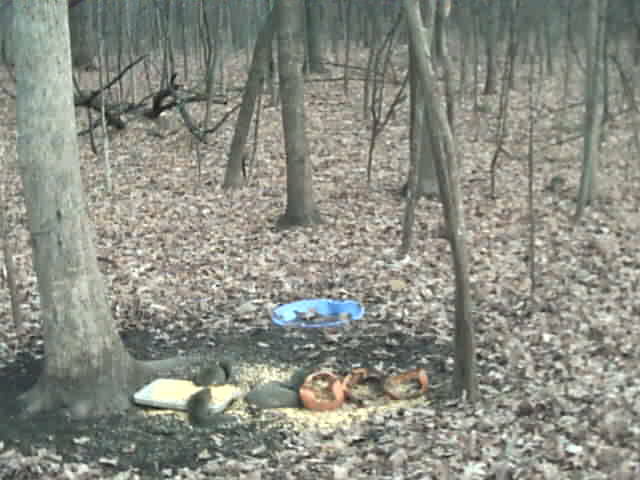 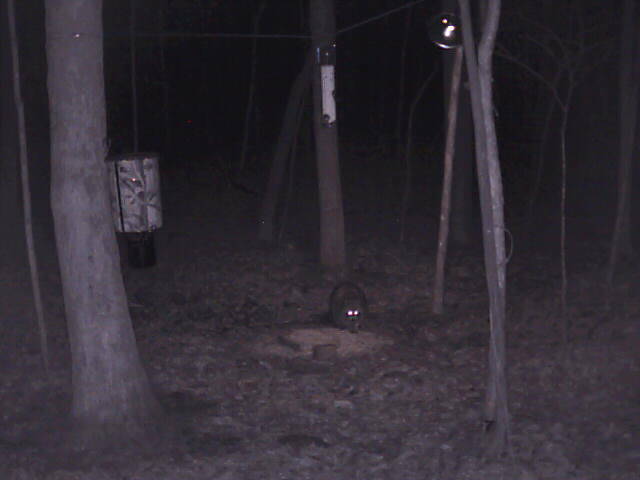 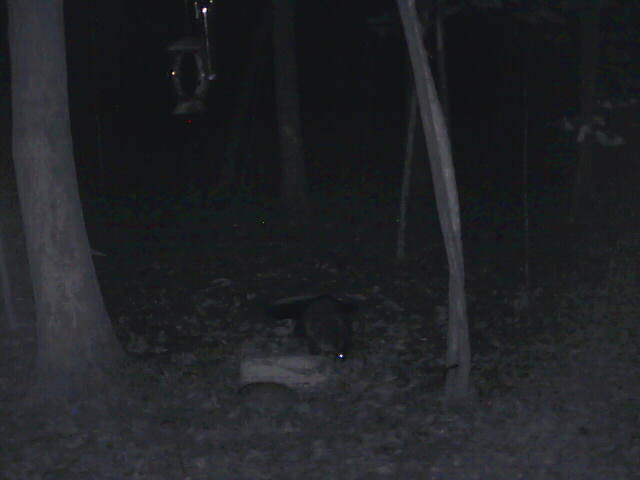 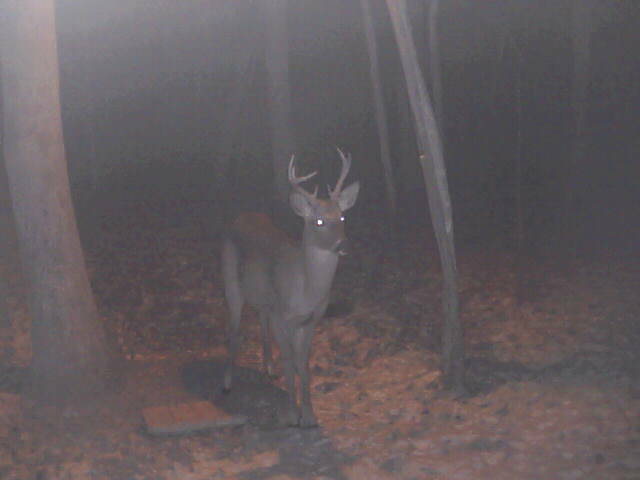 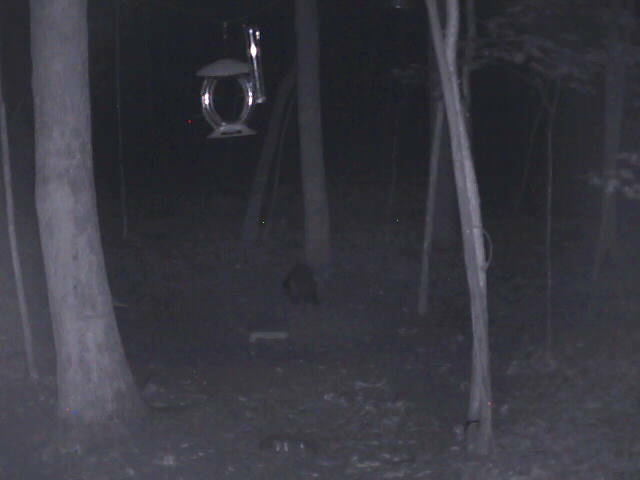 Hungry eyes at the deercam! 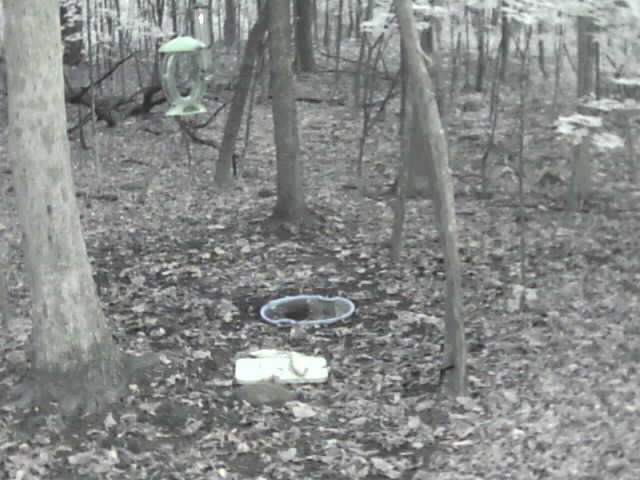 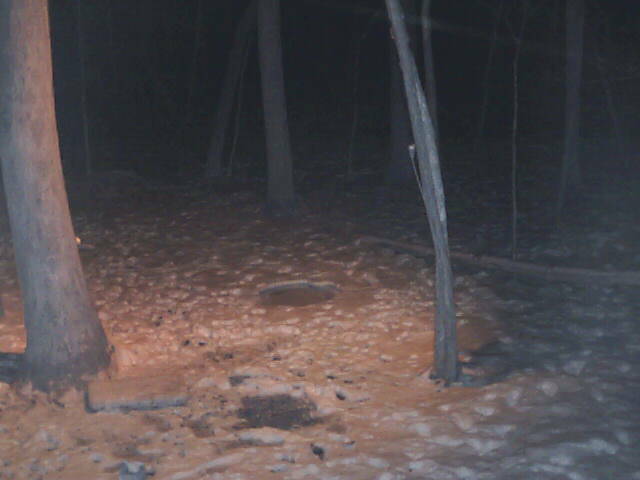 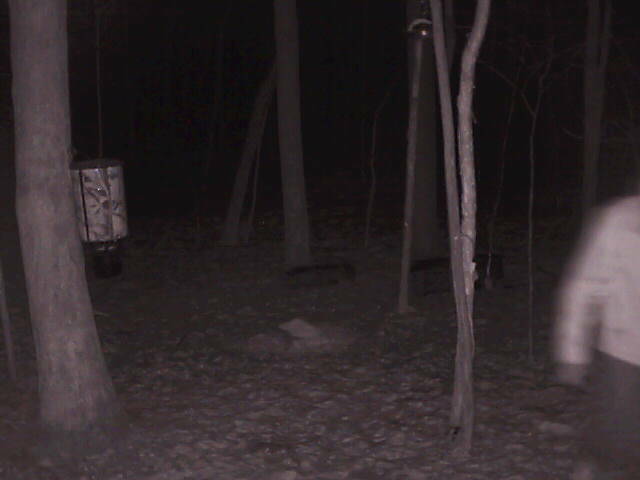 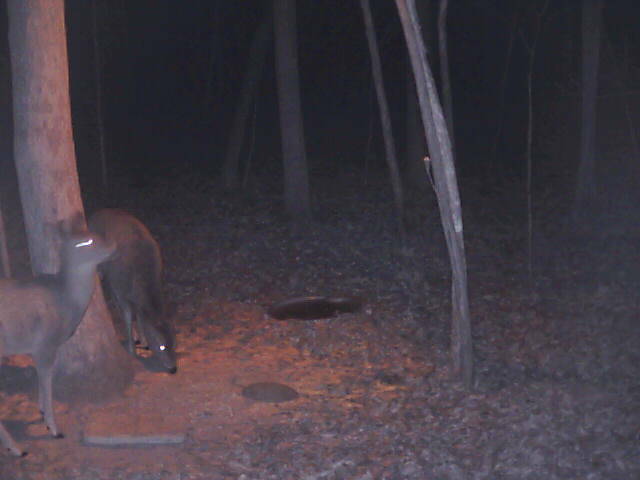 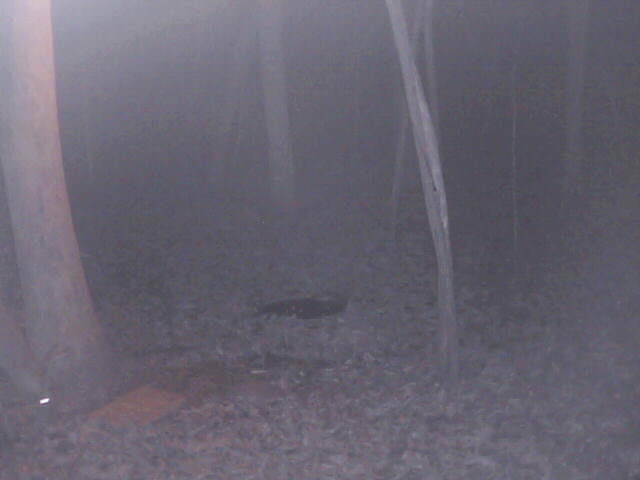 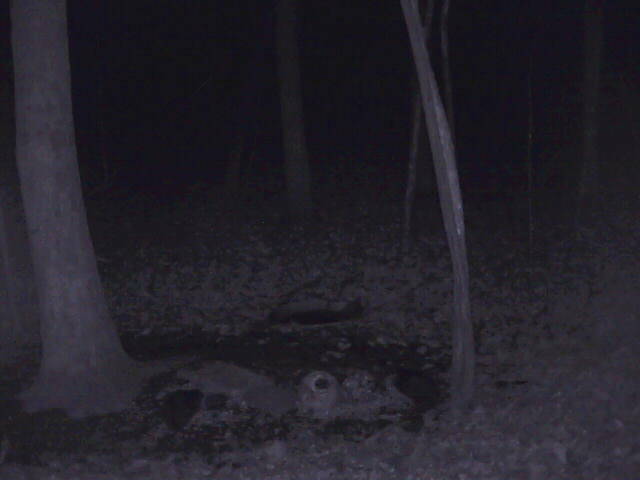 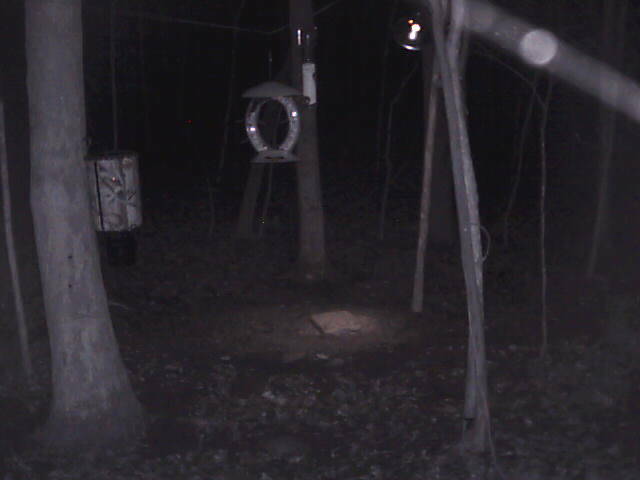 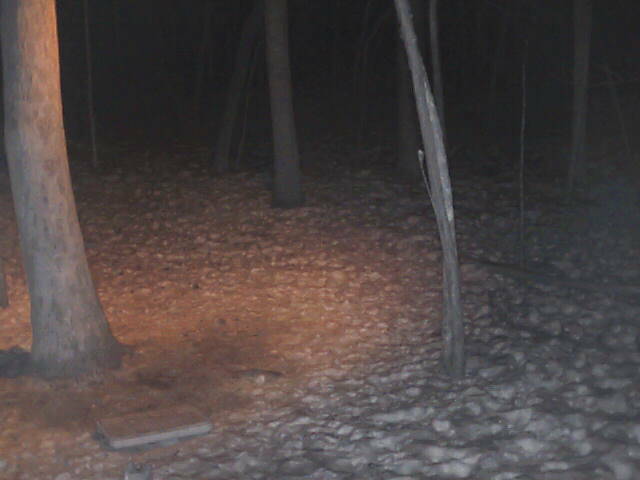 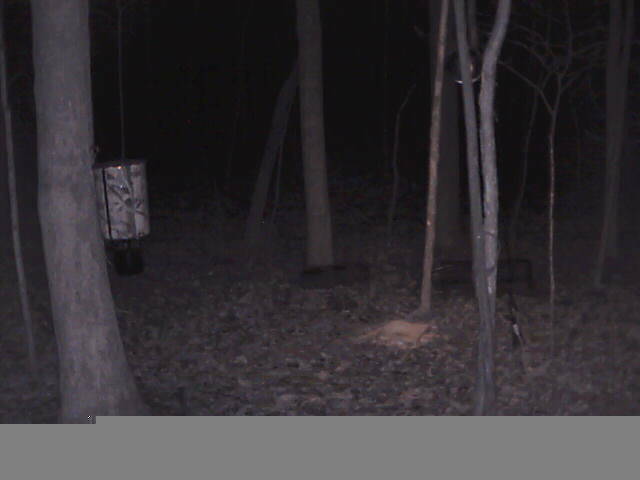 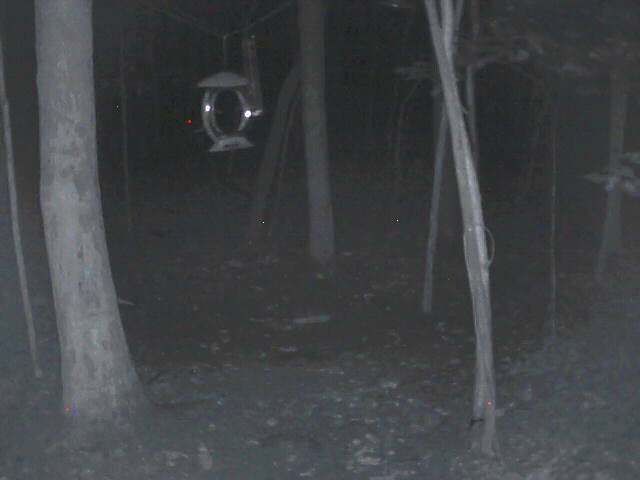 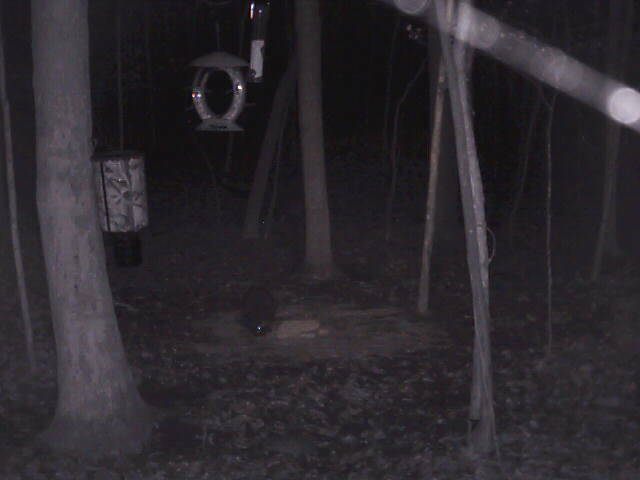 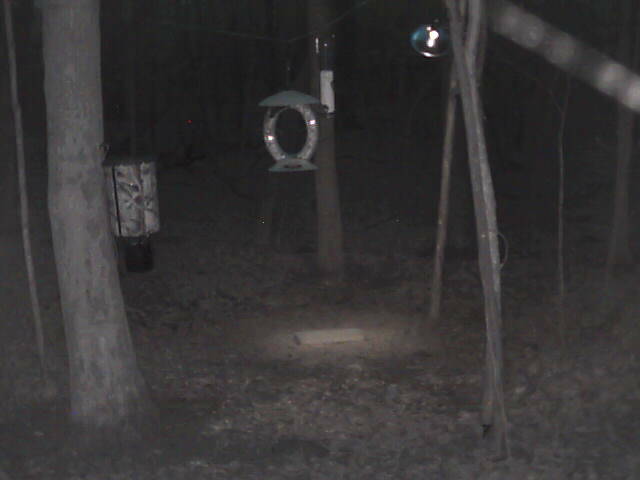 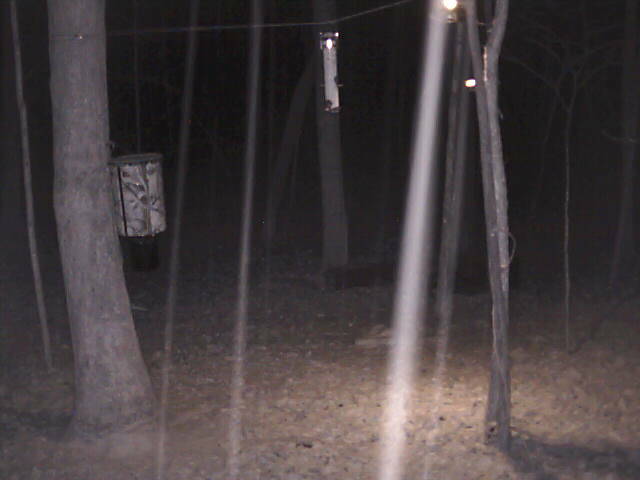 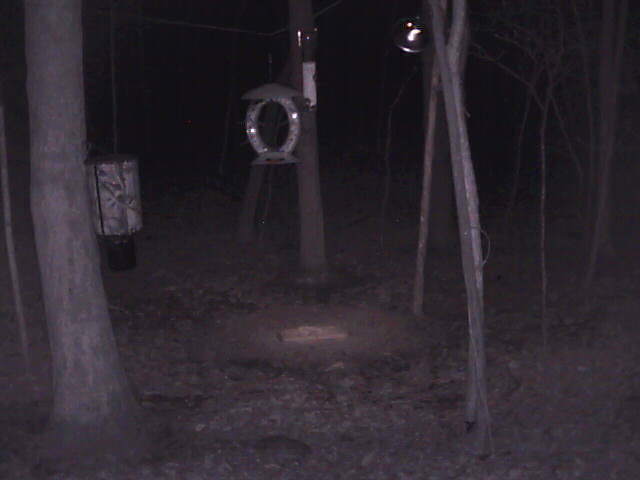 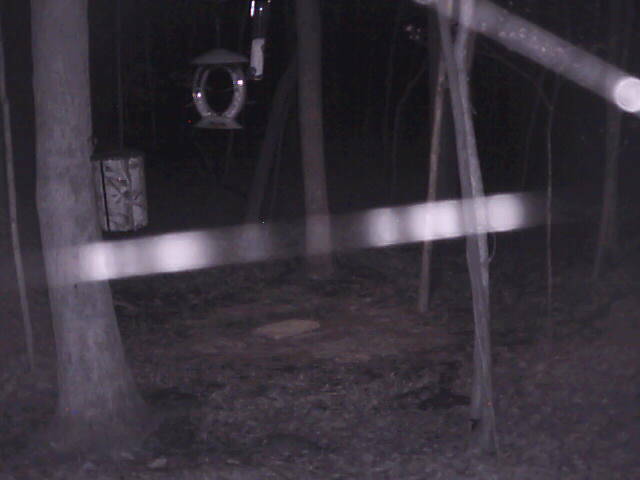 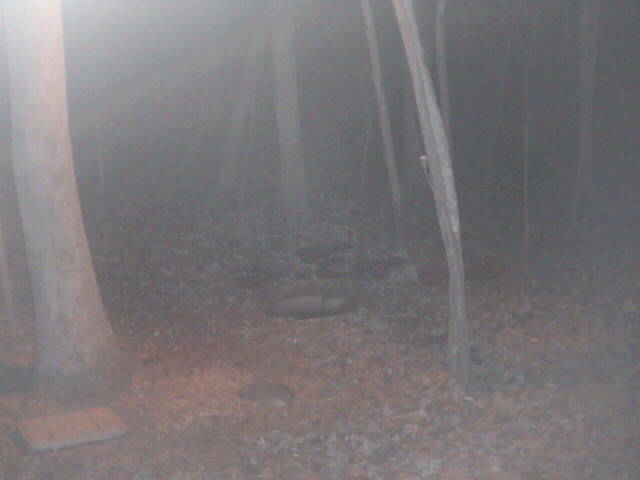 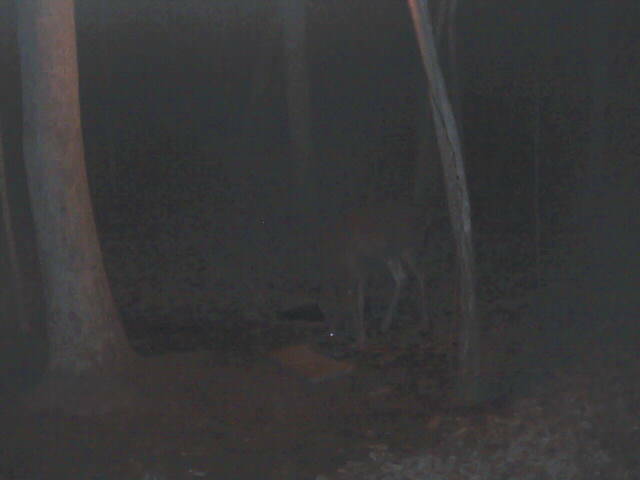 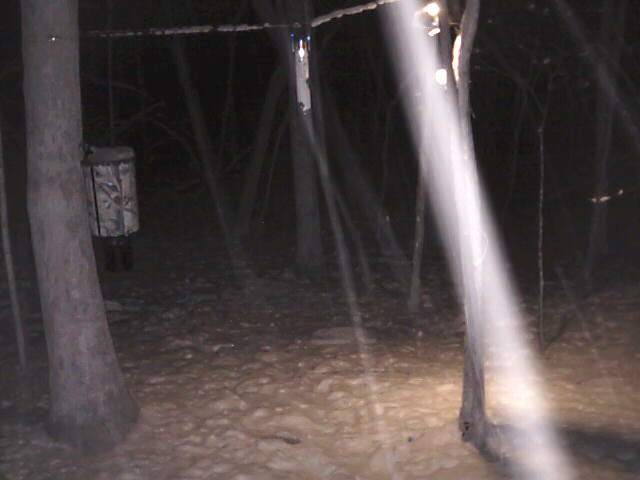 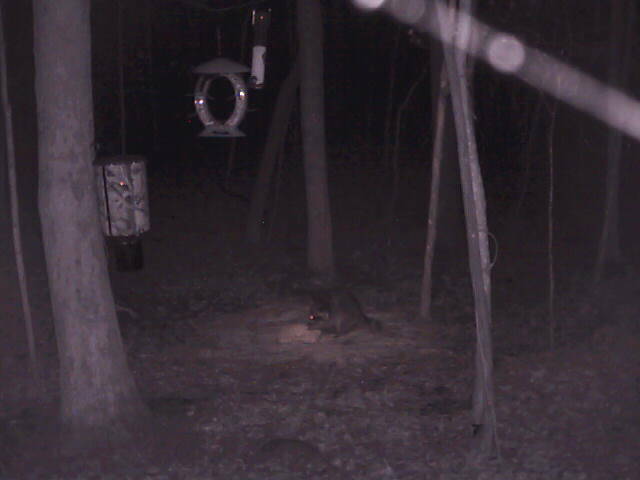 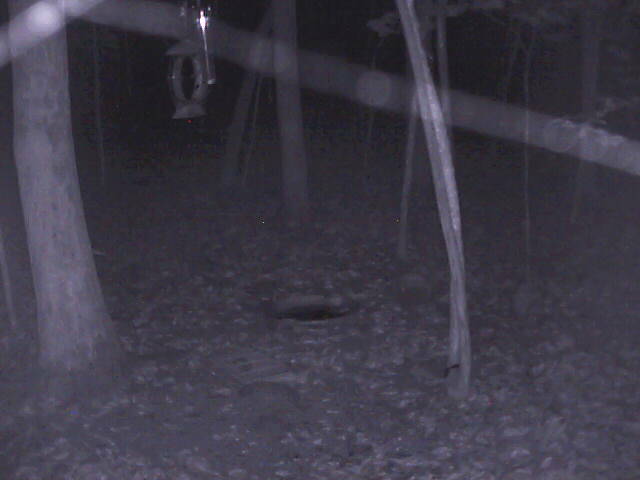 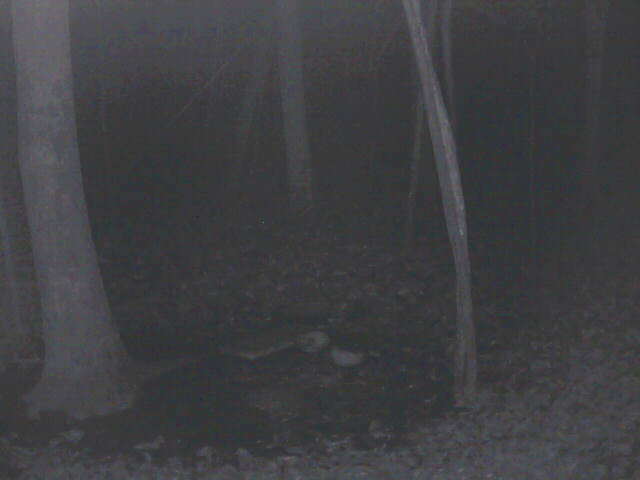 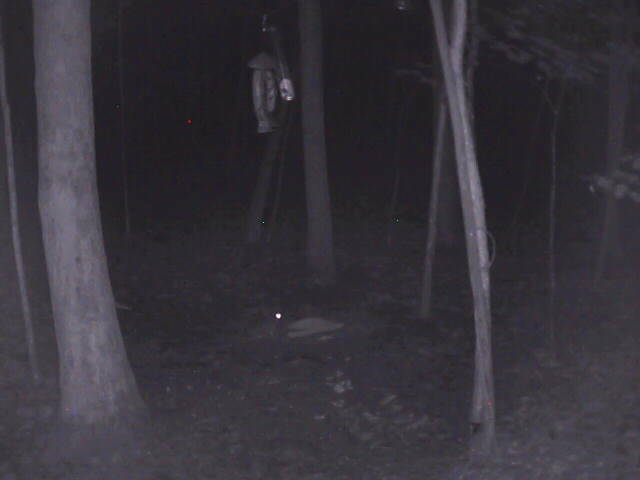 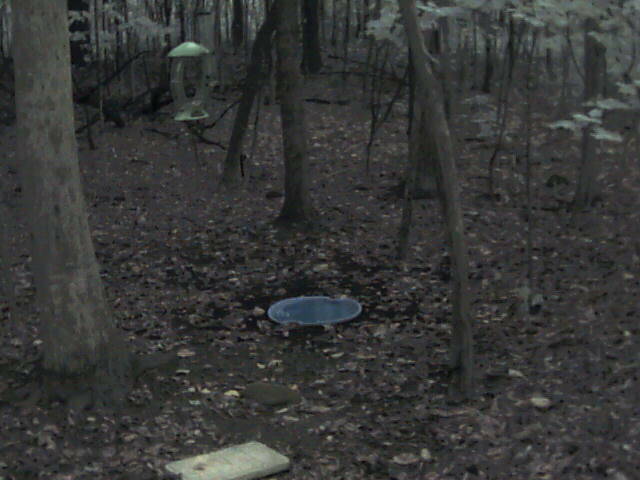 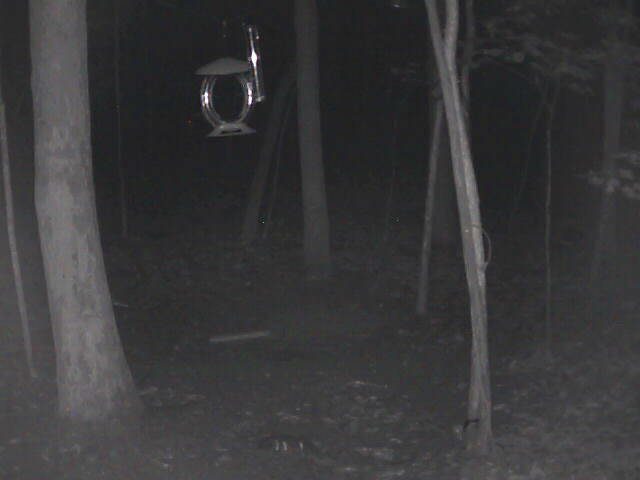 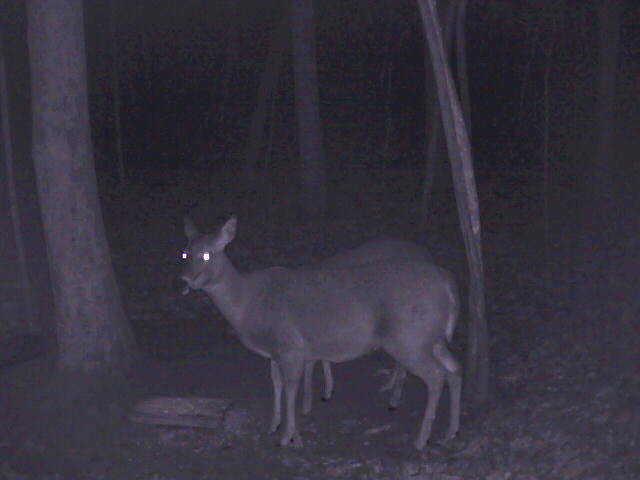 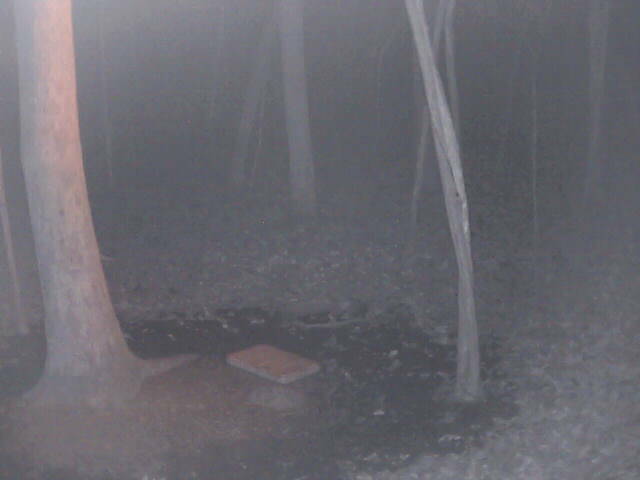 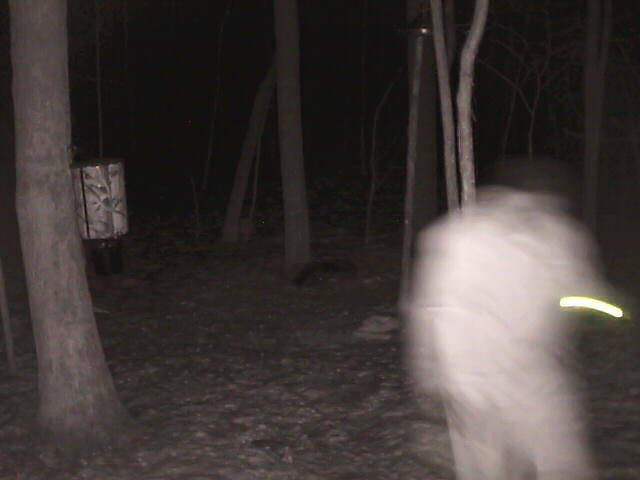 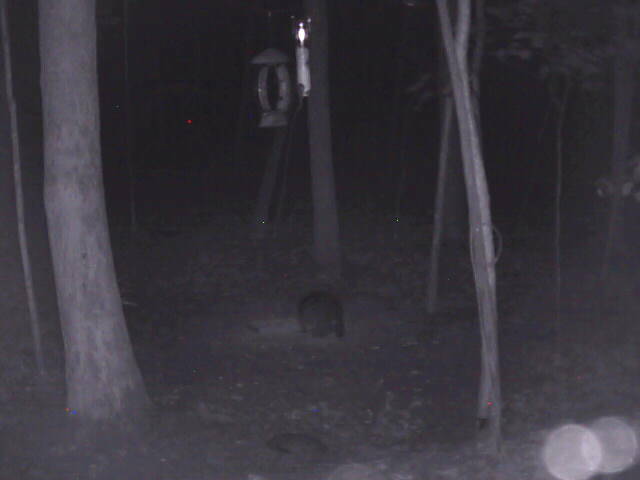 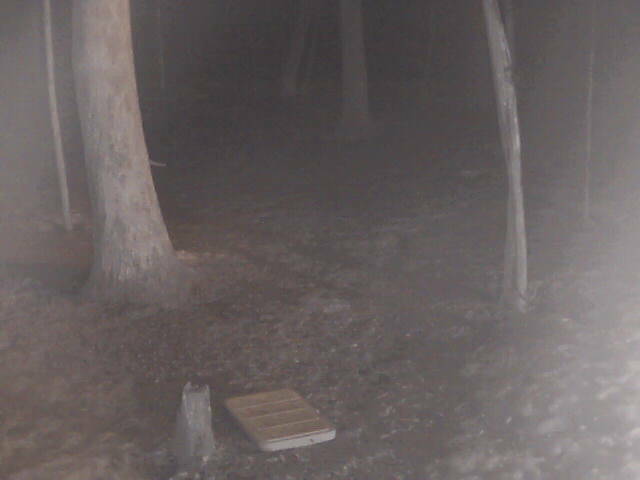 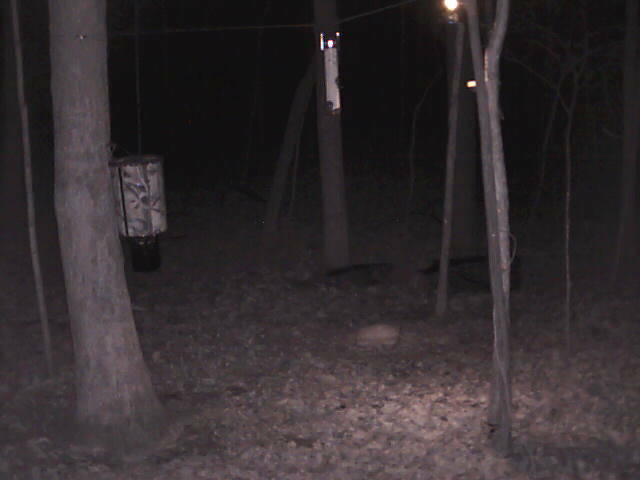 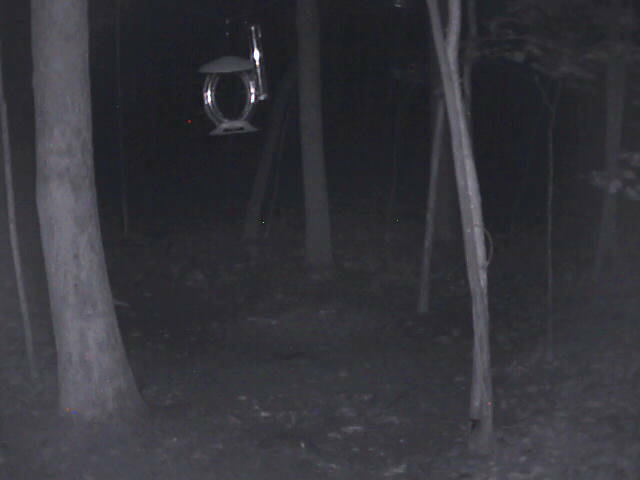 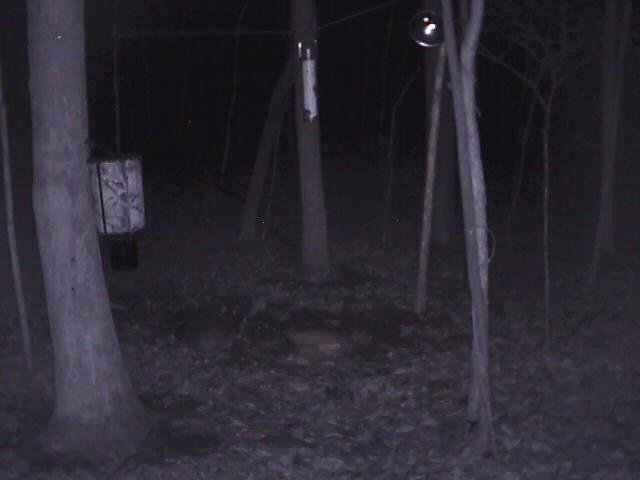 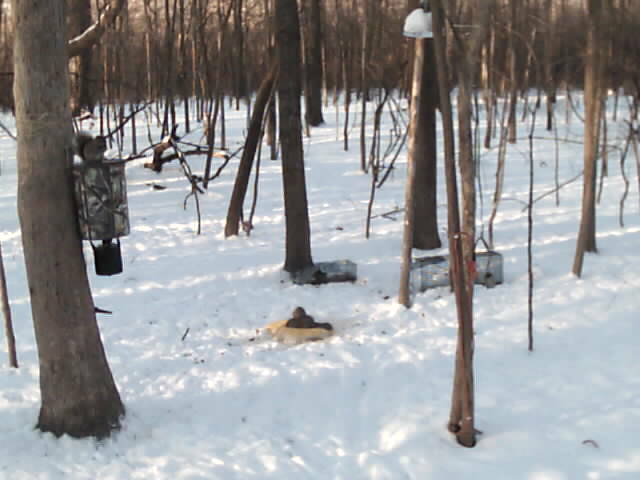 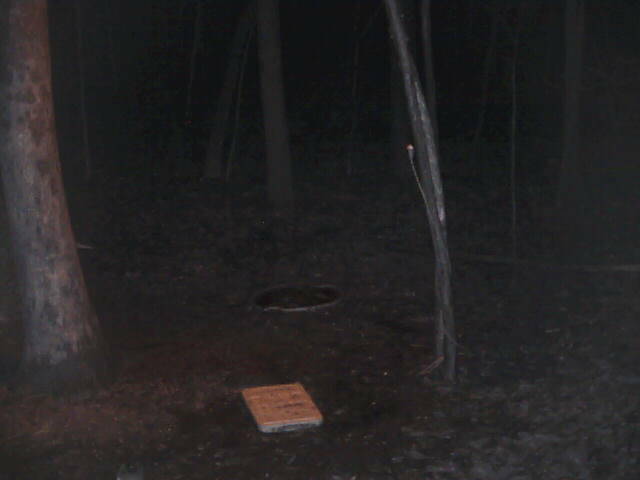 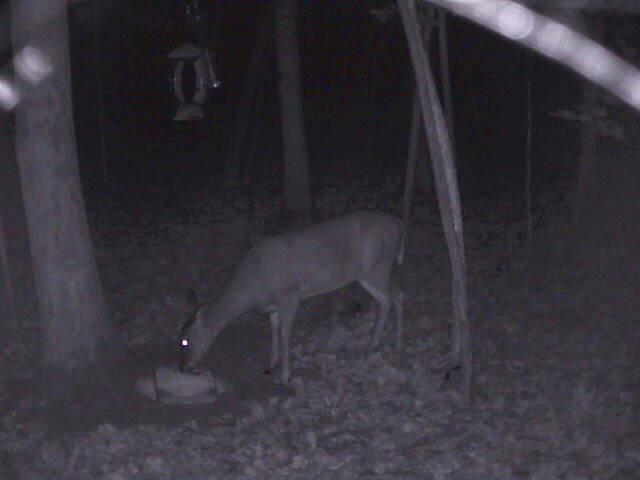 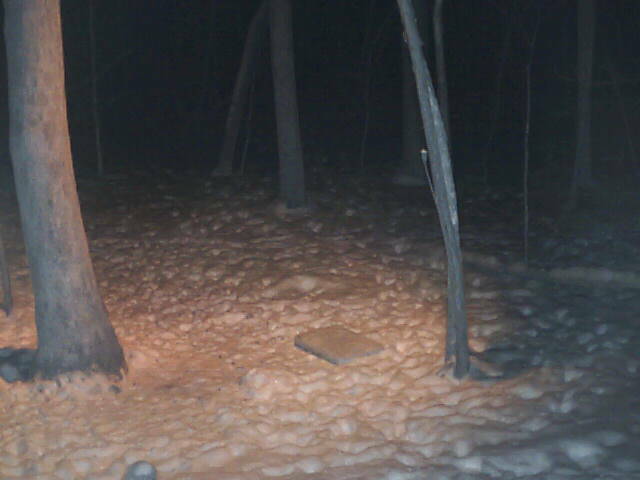 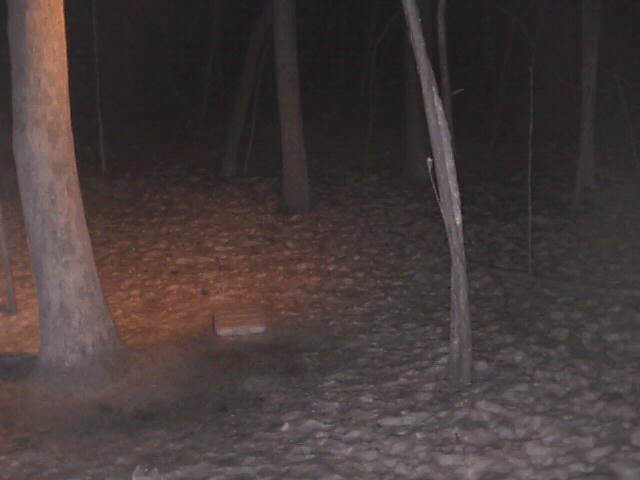 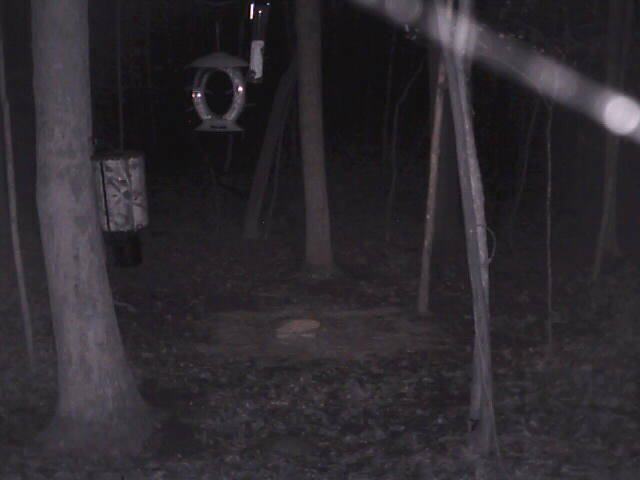 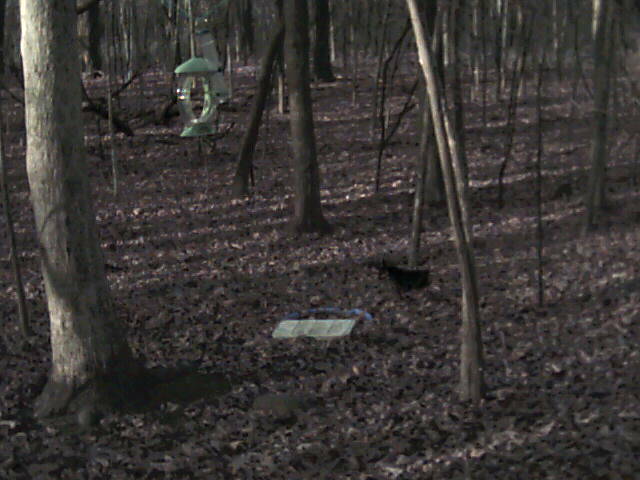 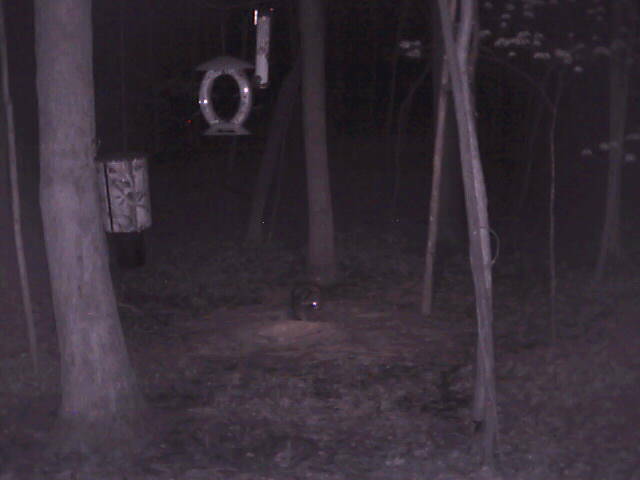 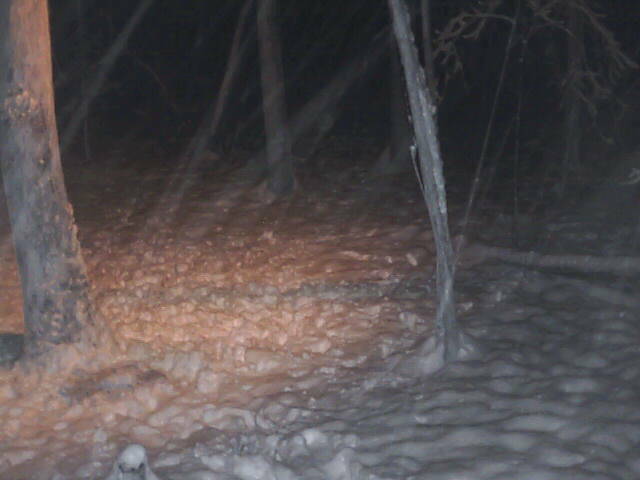 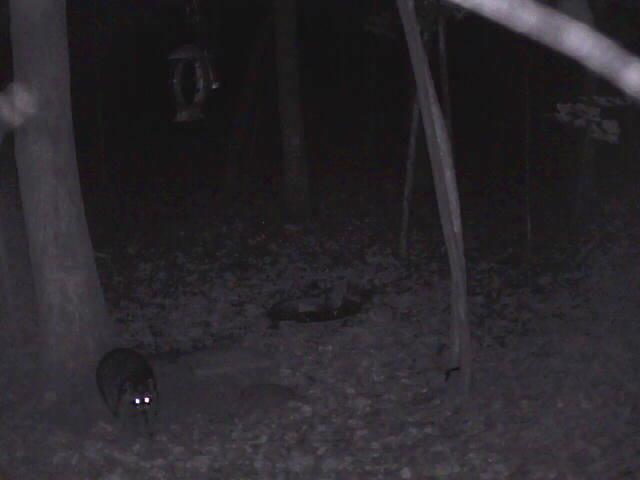 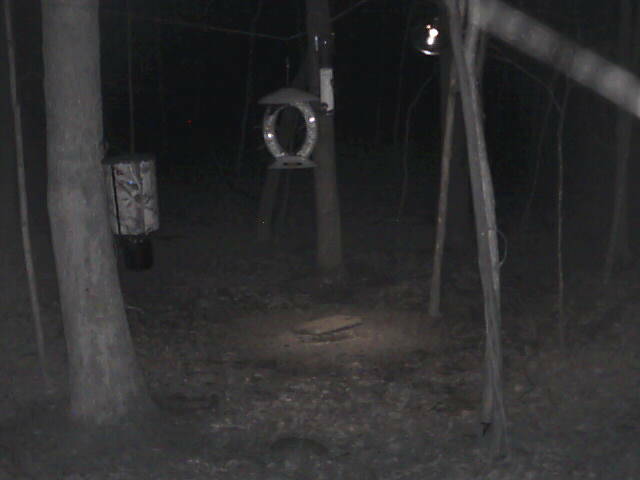 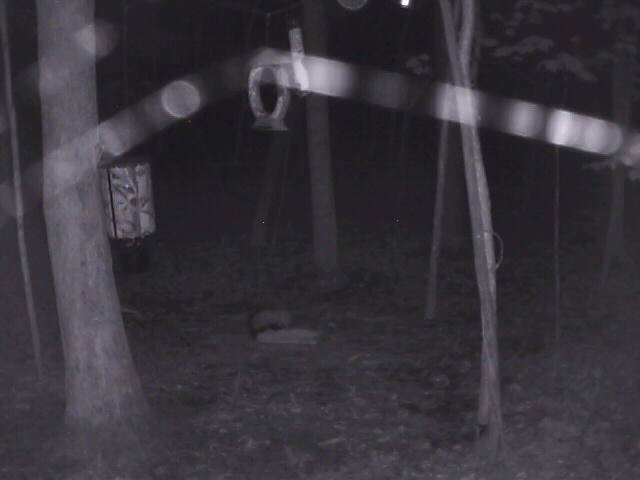 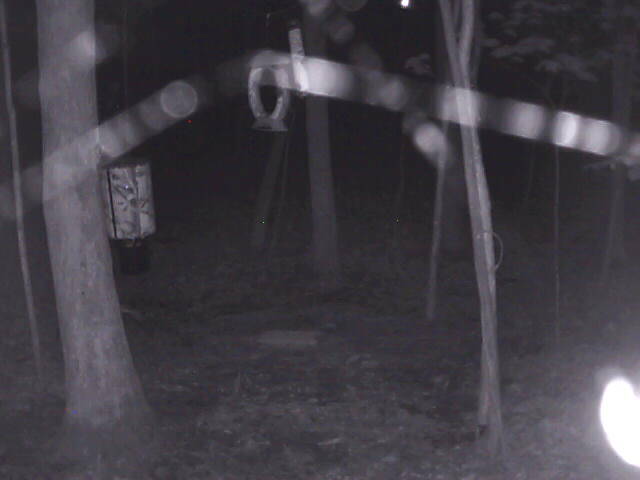 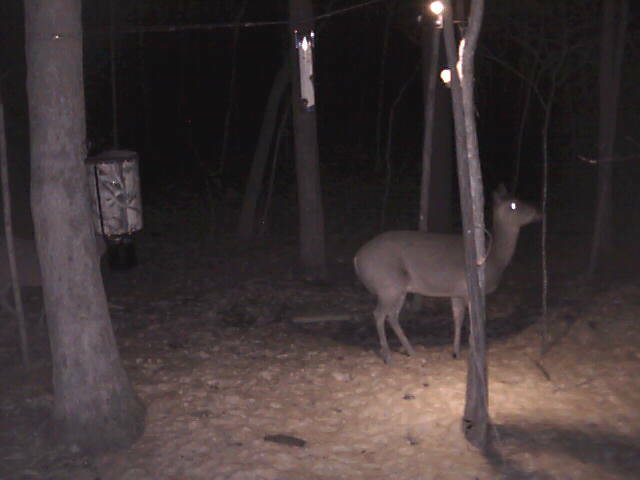 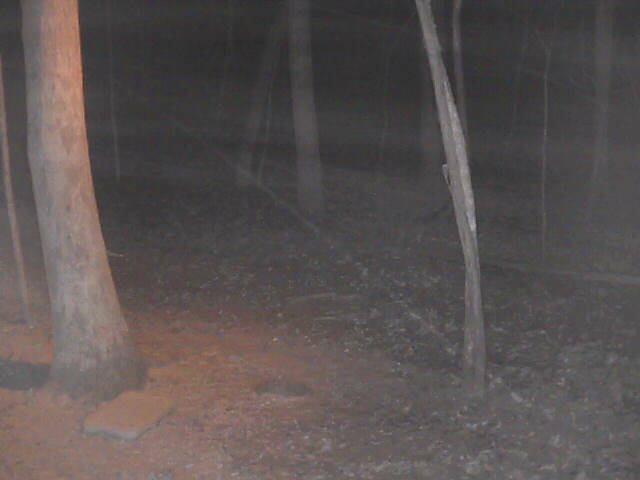 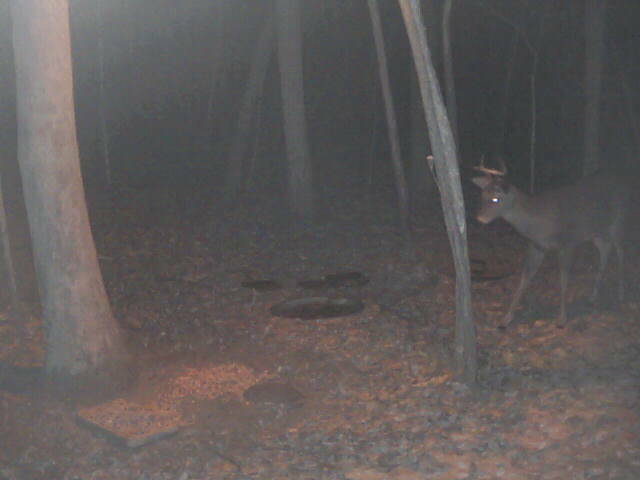 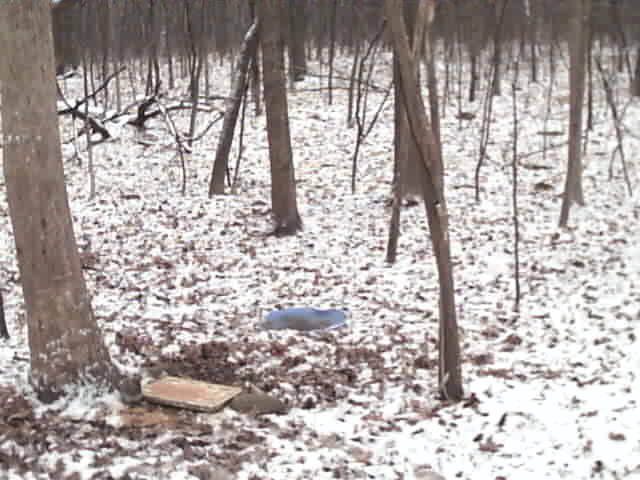 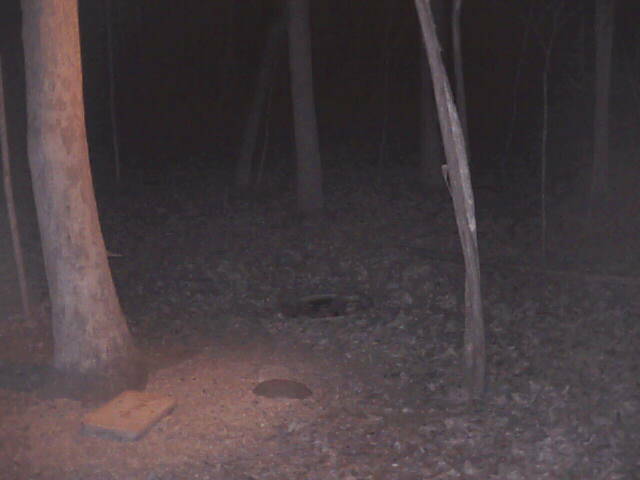 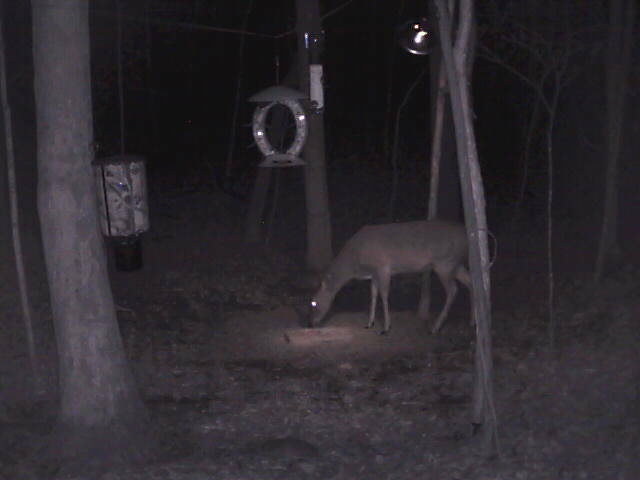 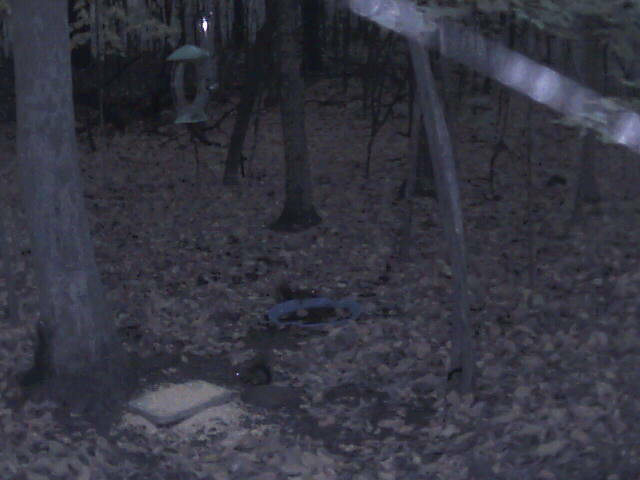 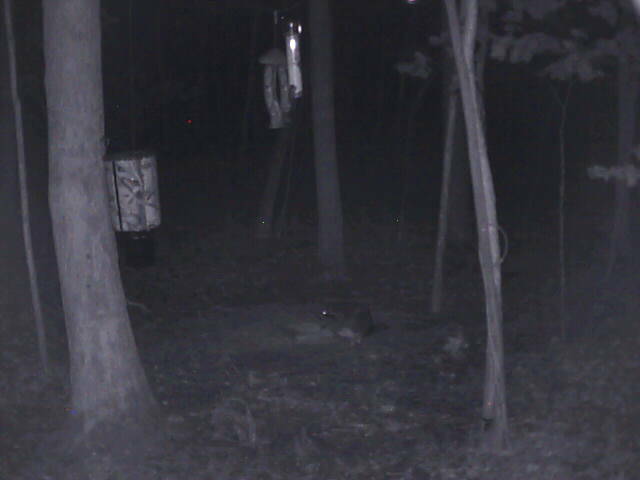 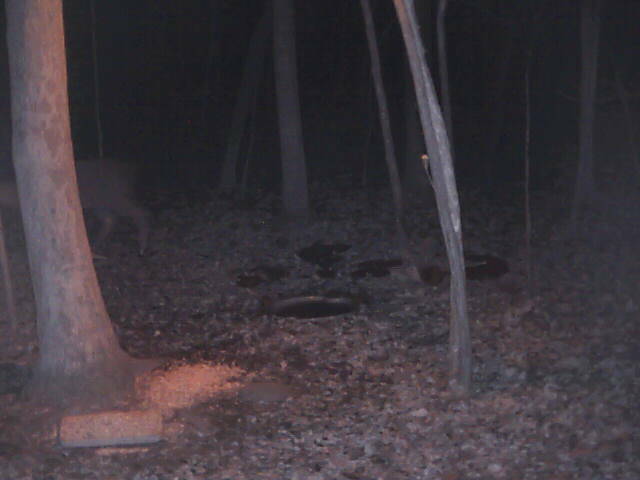 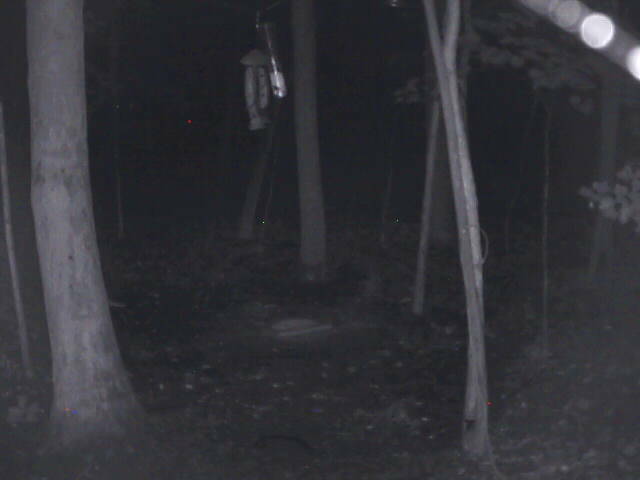 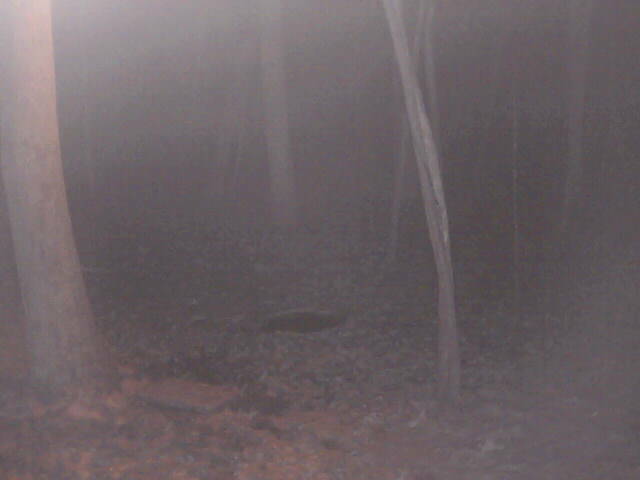 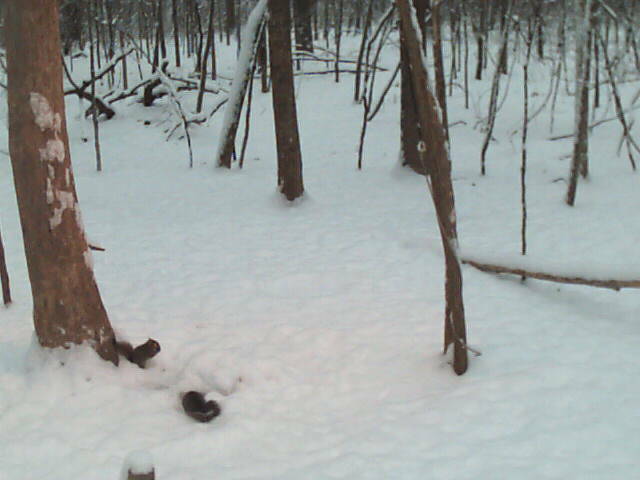 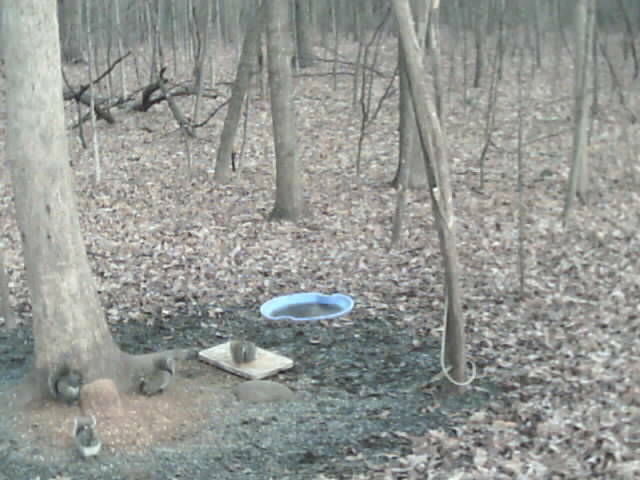 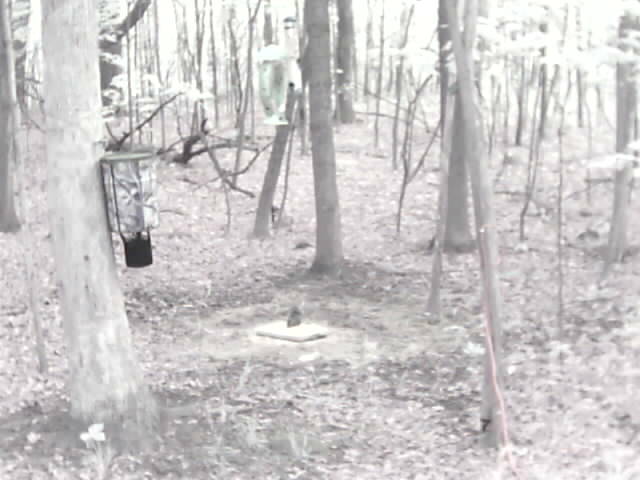 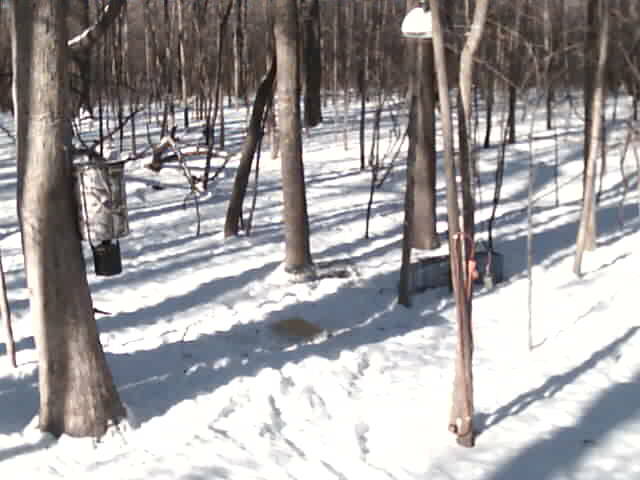 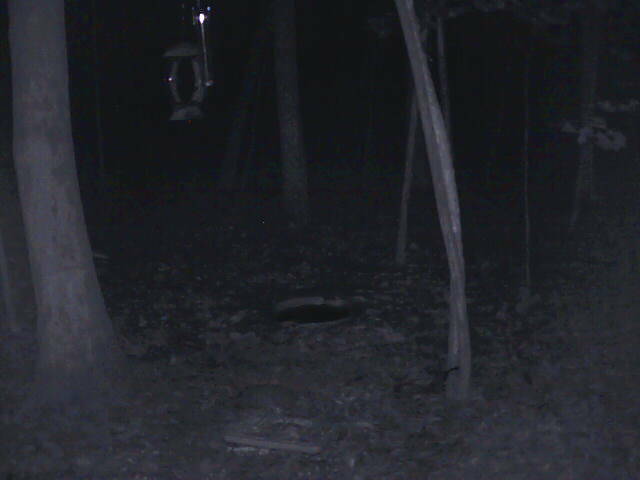 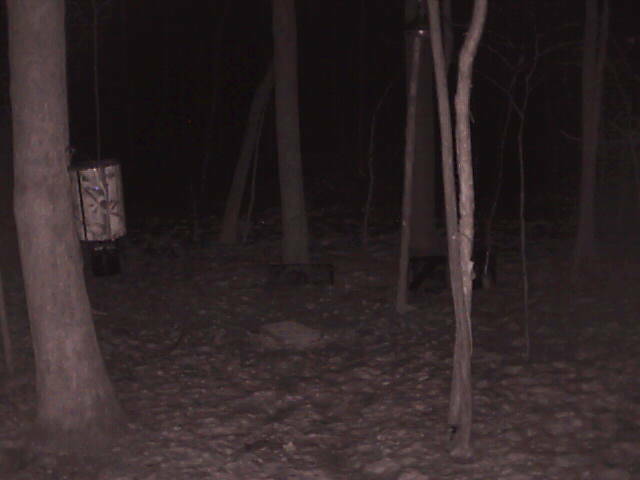 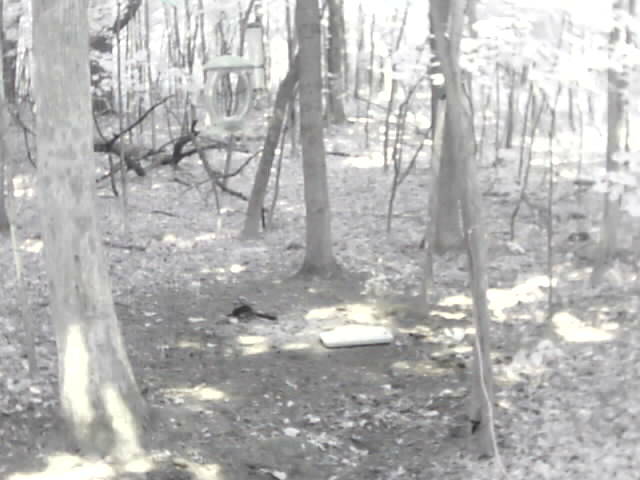 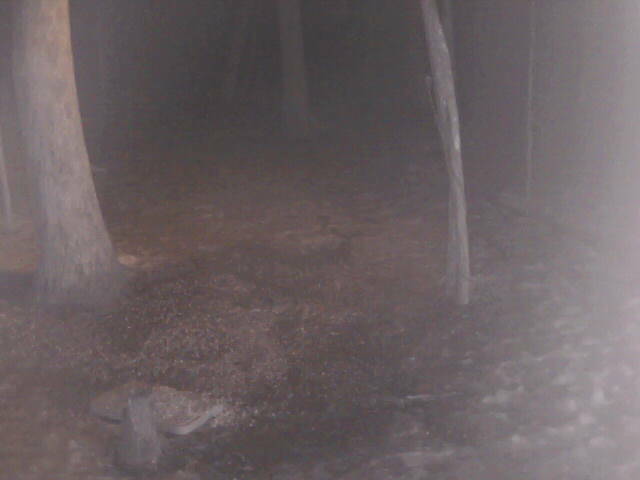 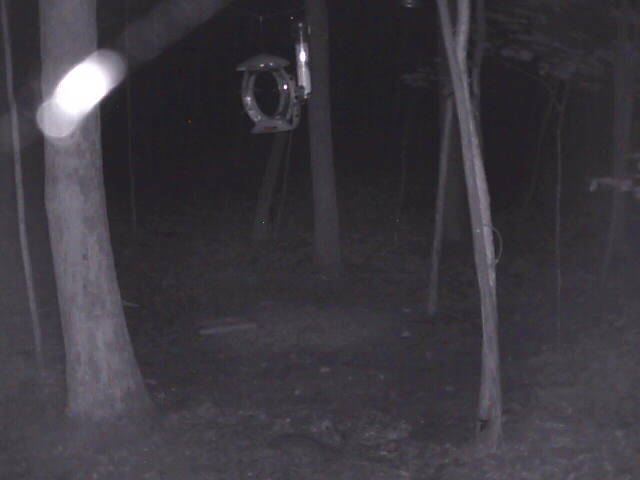 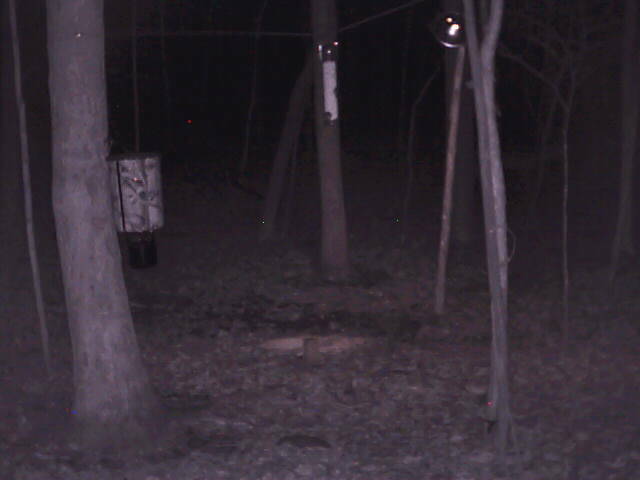 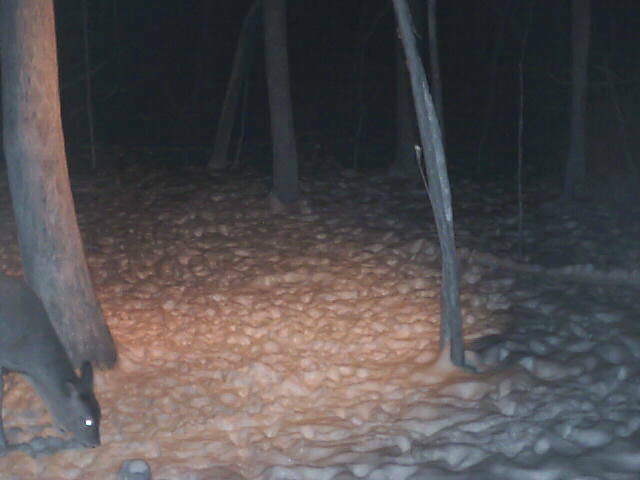 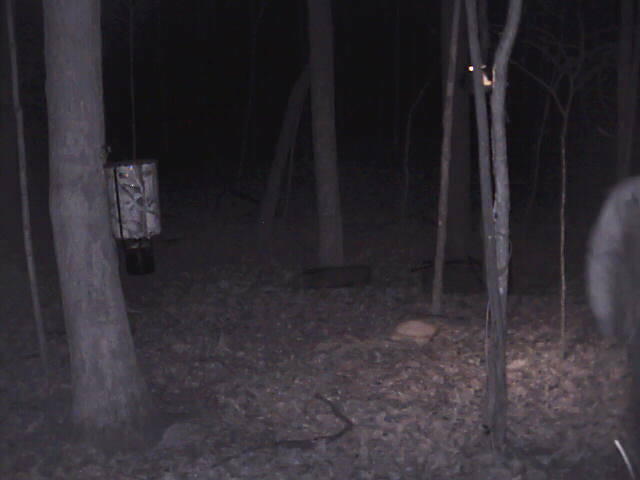 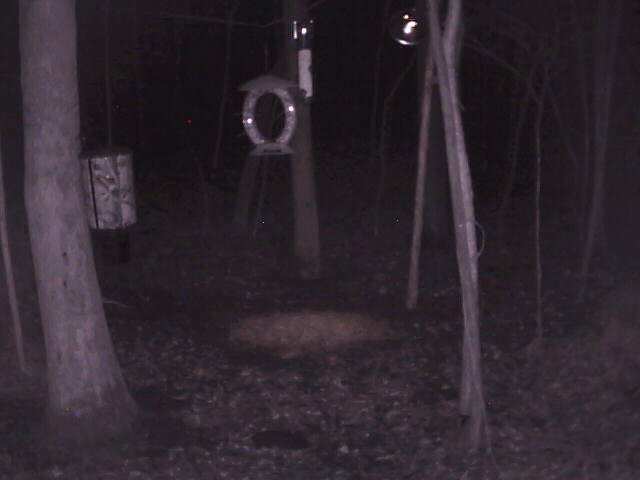 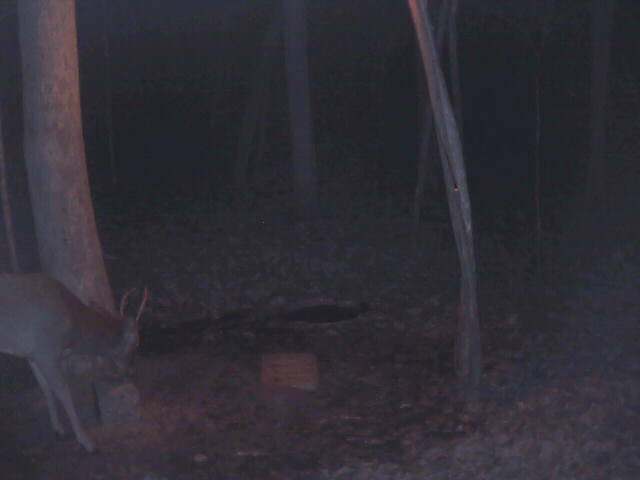 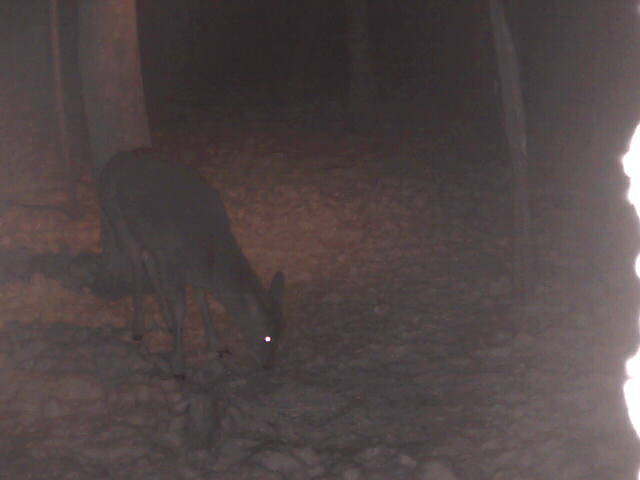 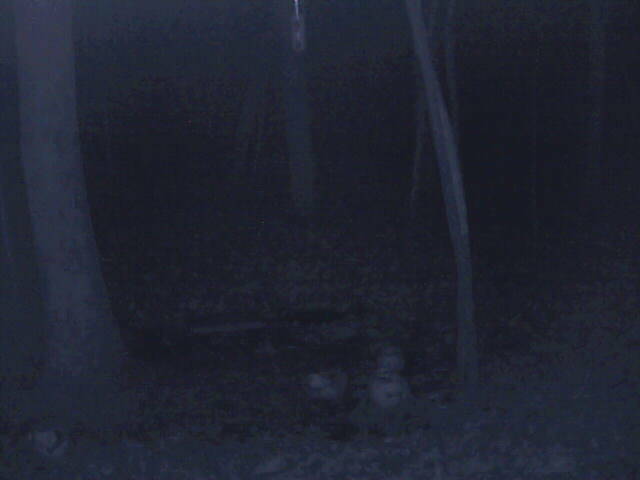 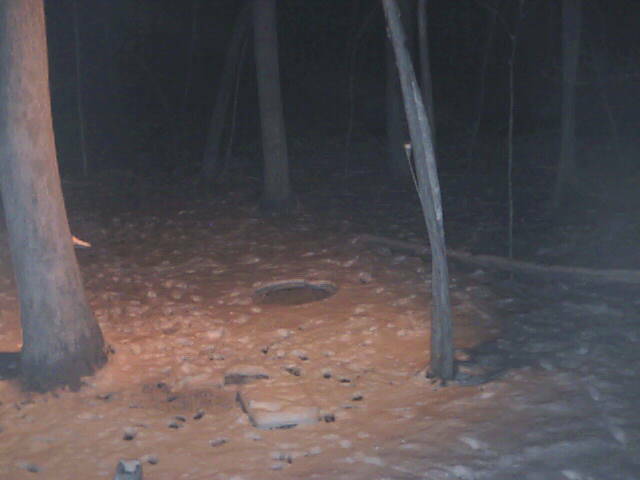 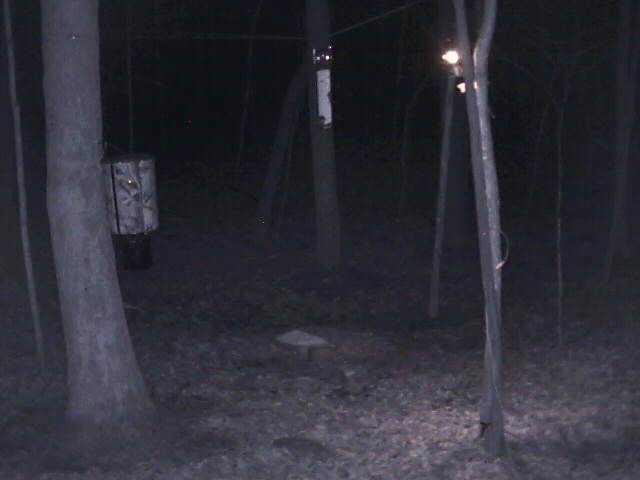 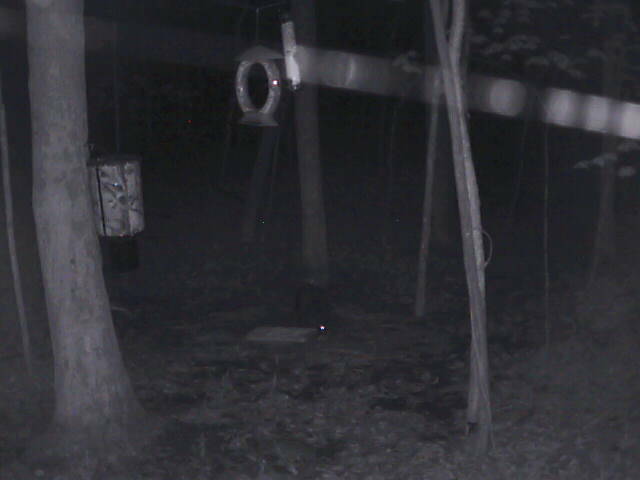 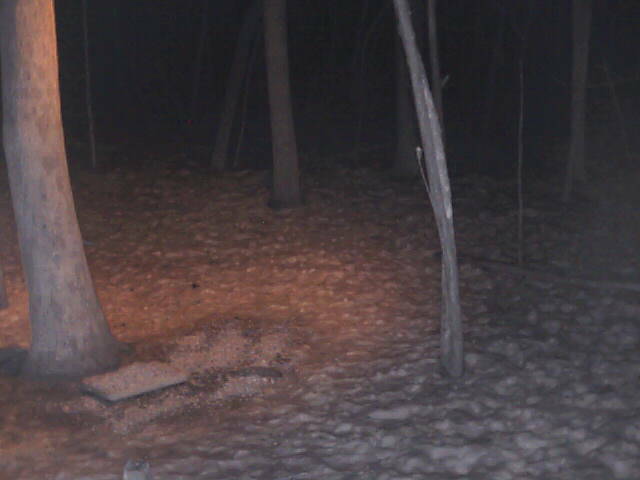 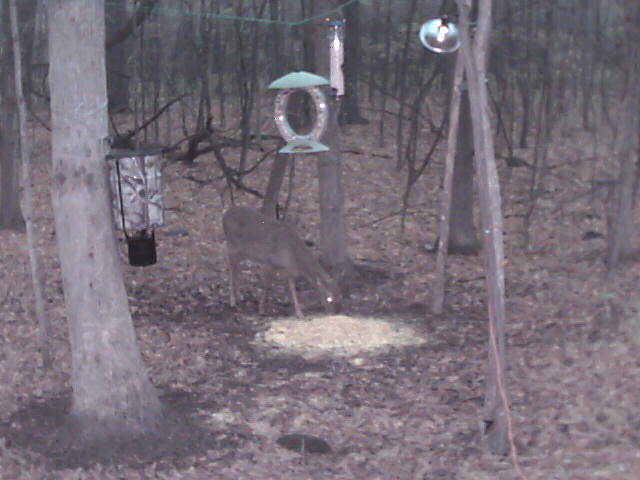 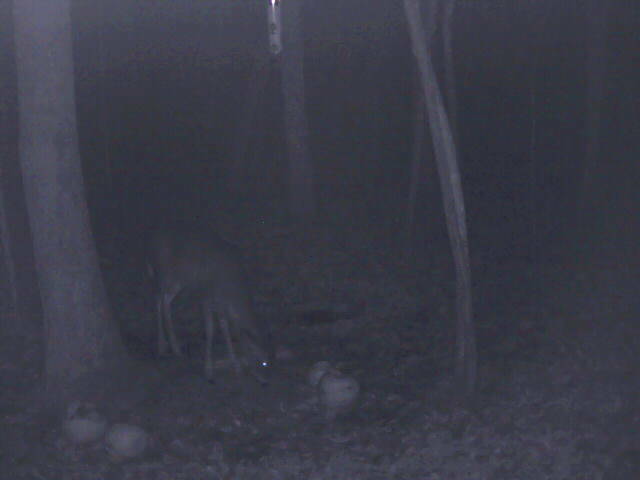 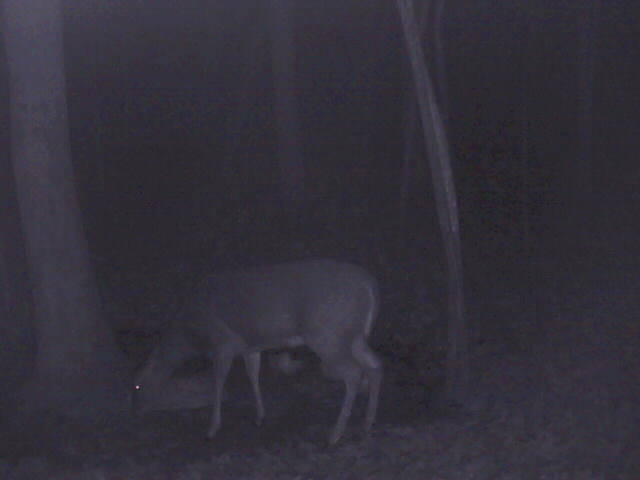 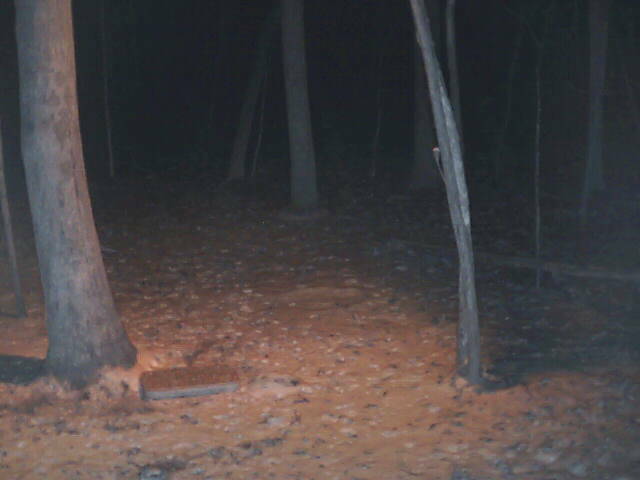 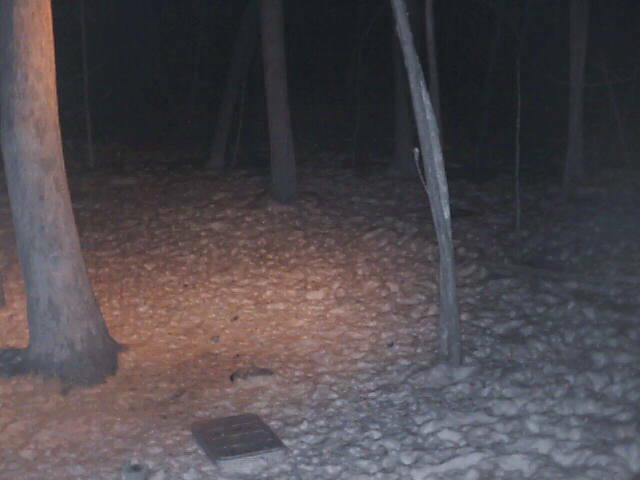 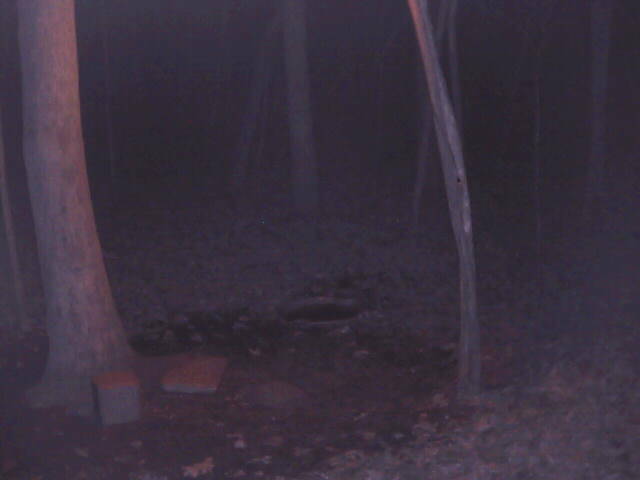 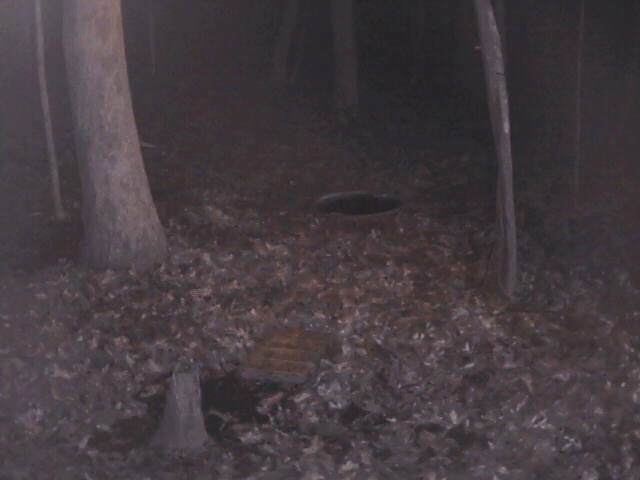 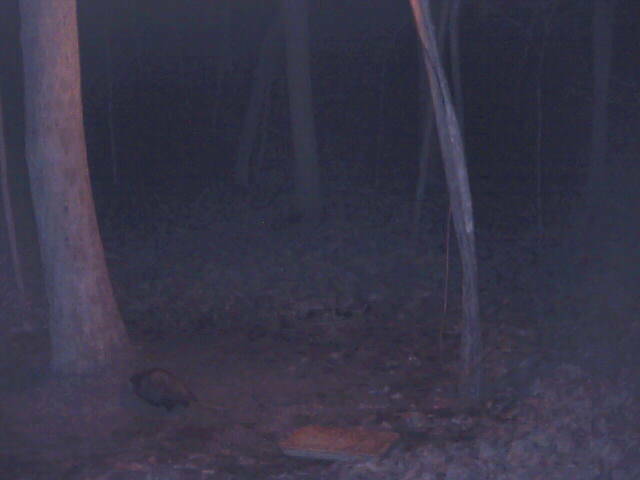 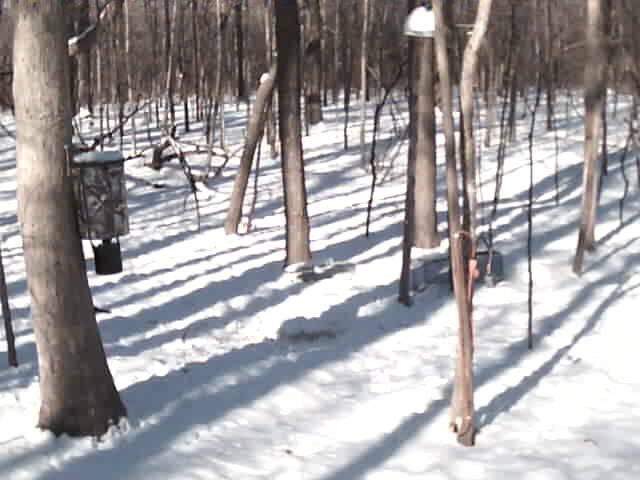 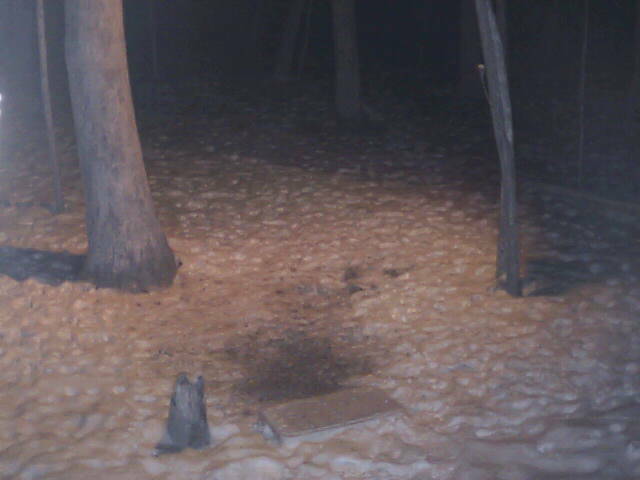 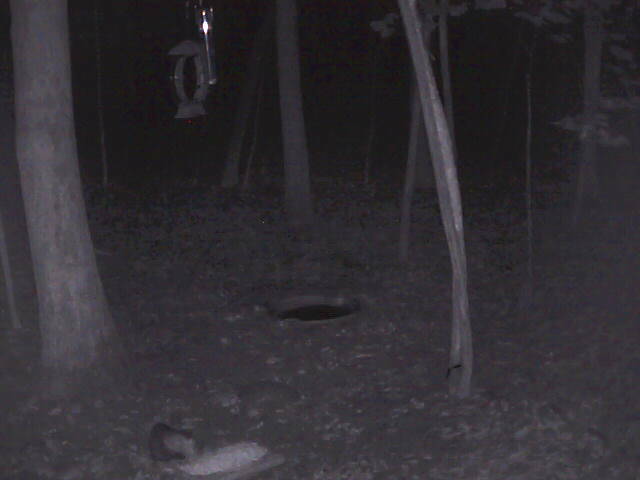 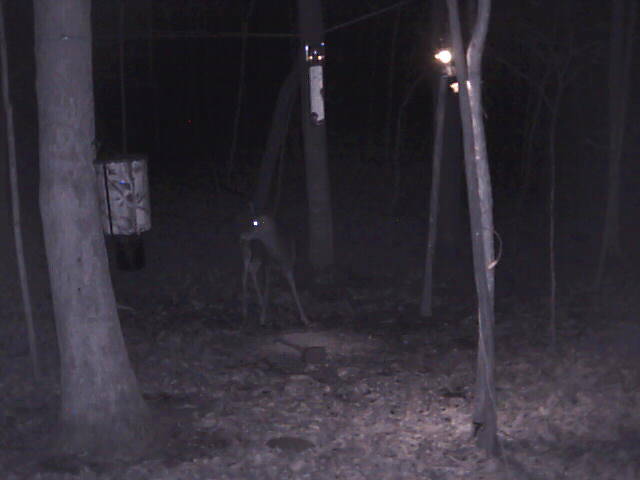 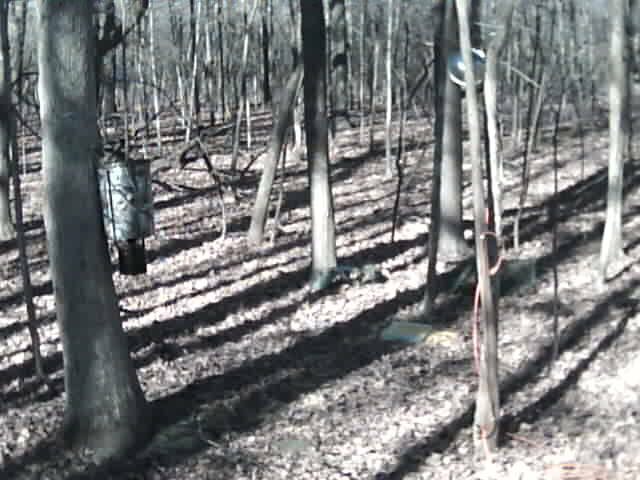 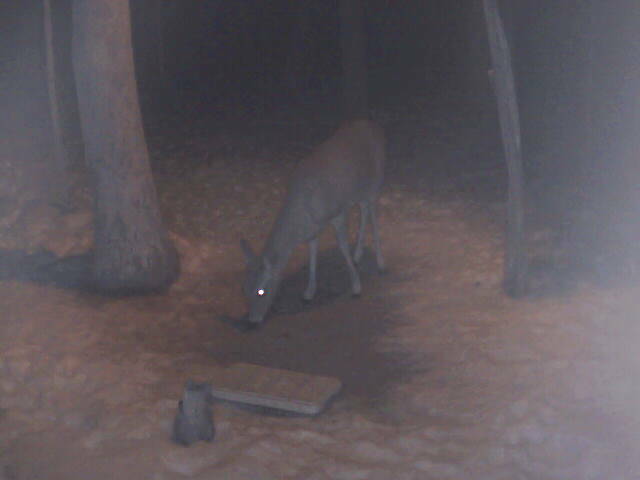 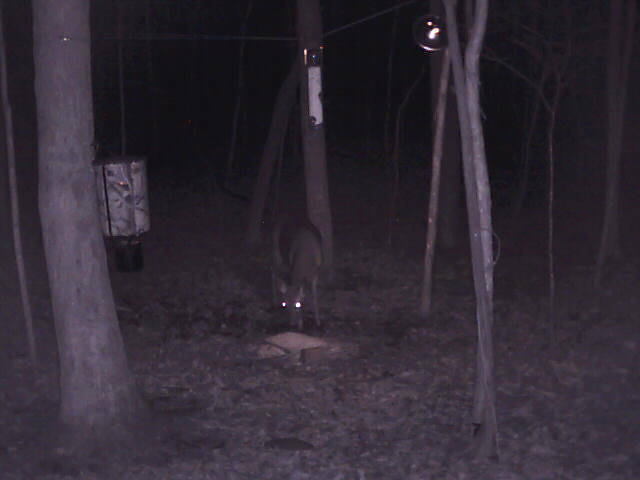 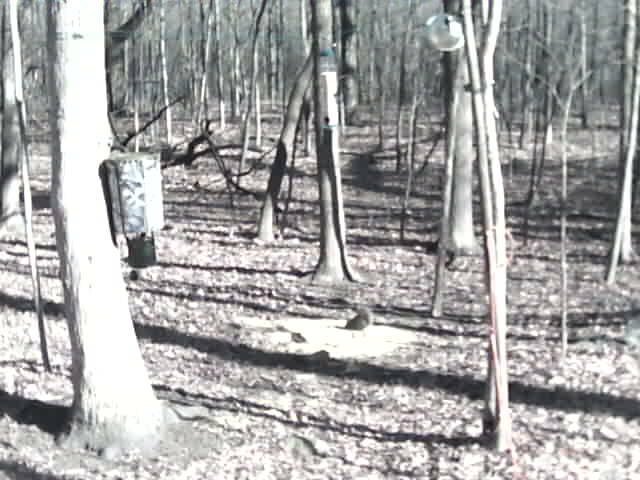 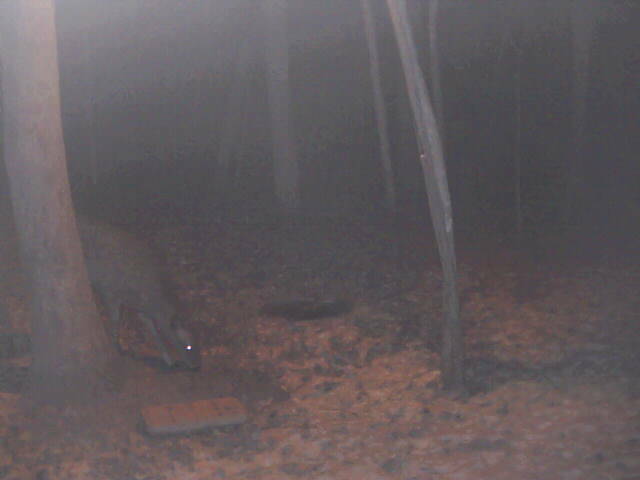 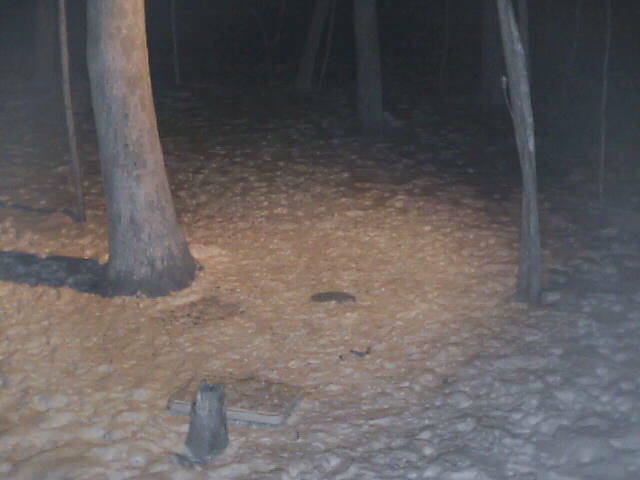 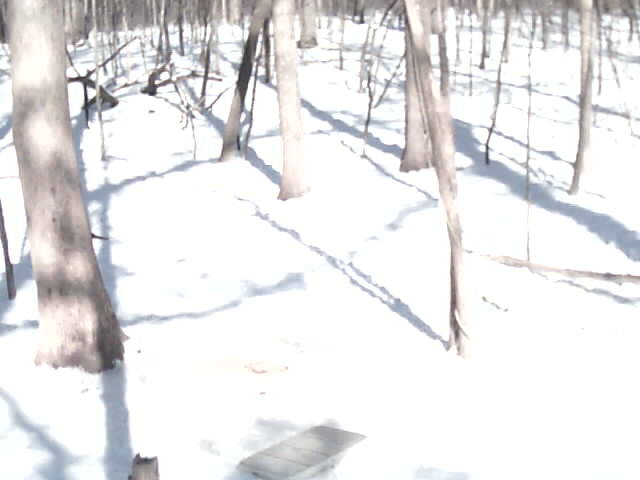 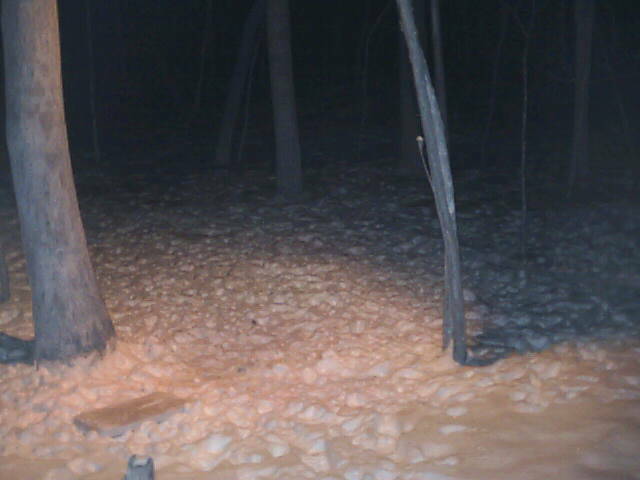 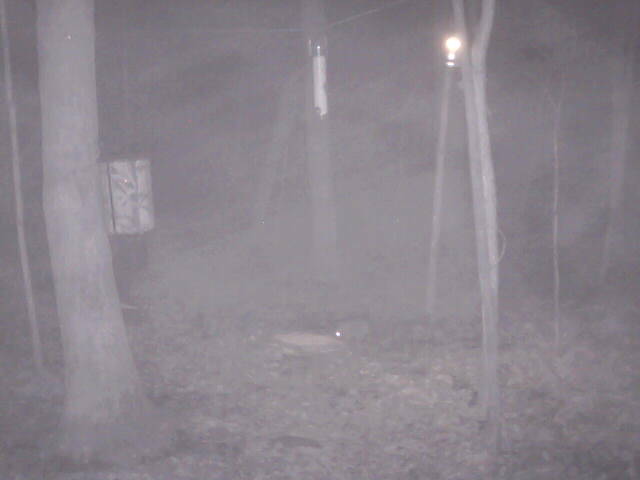 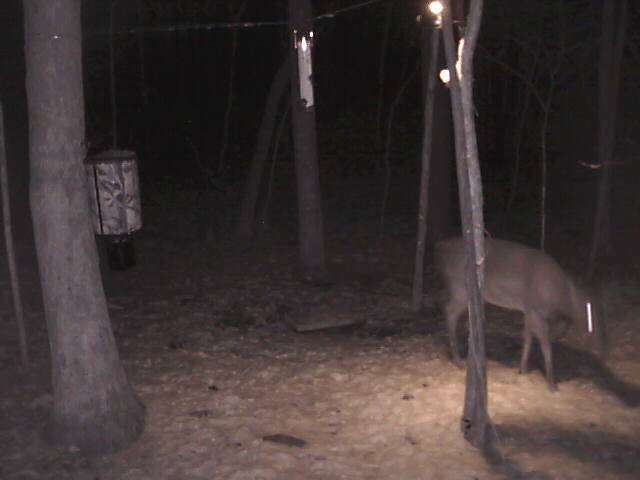 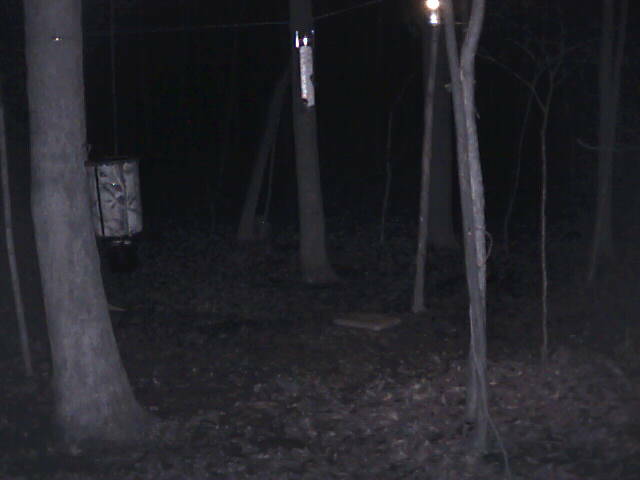 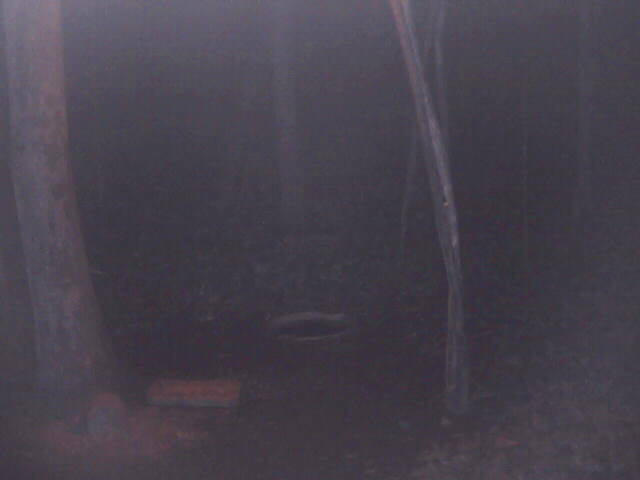 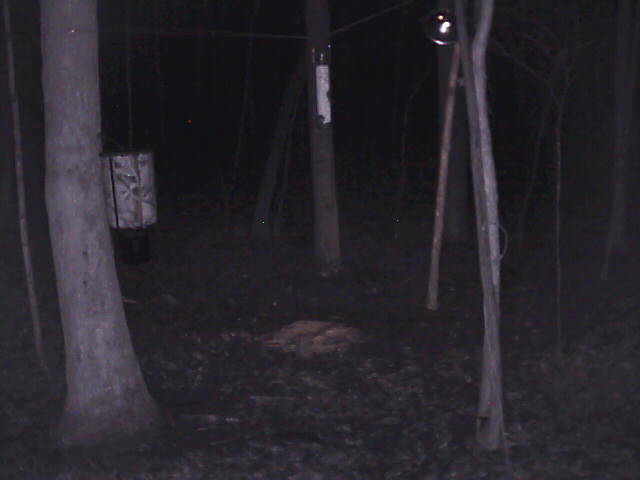 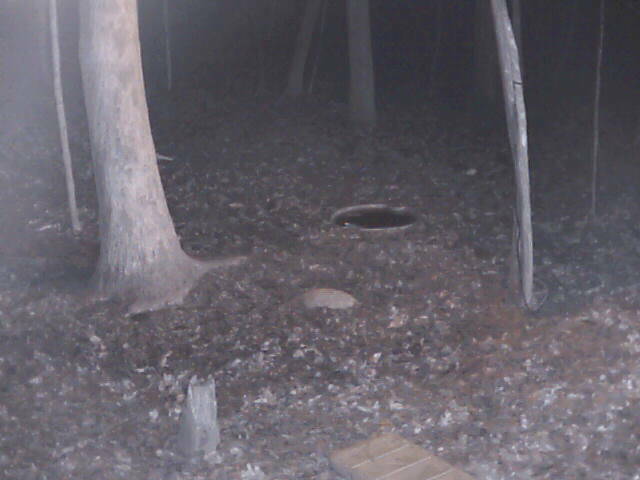 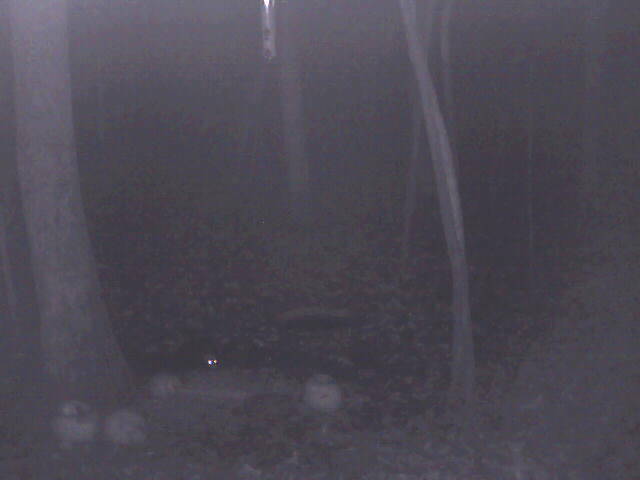 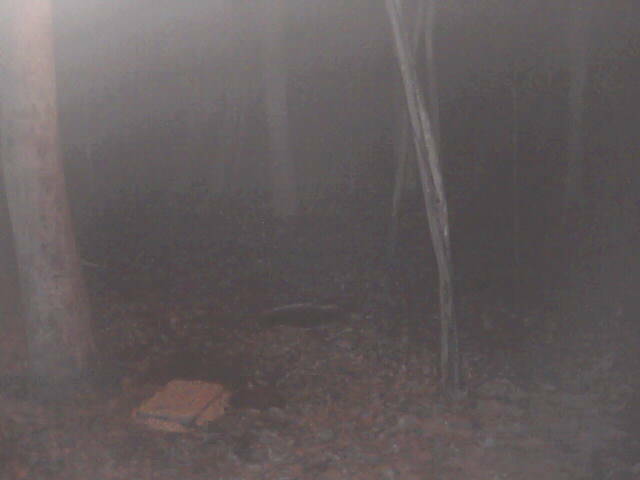 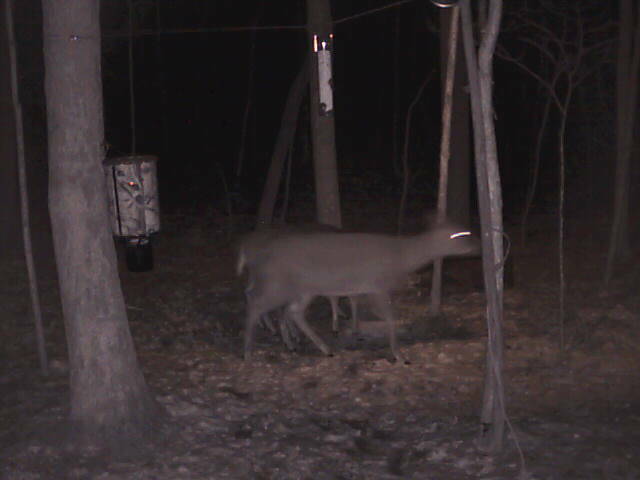 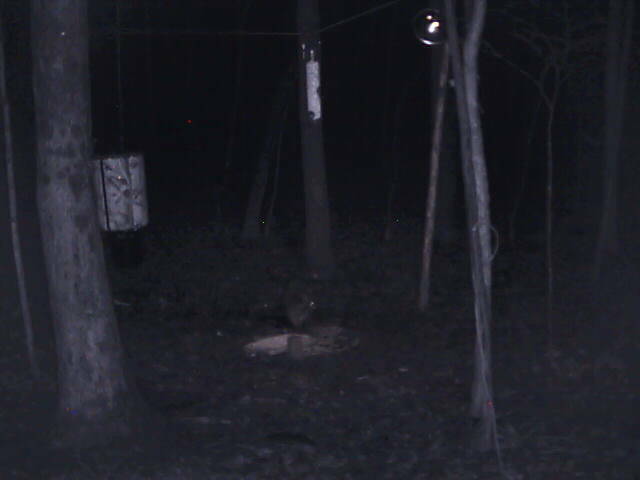 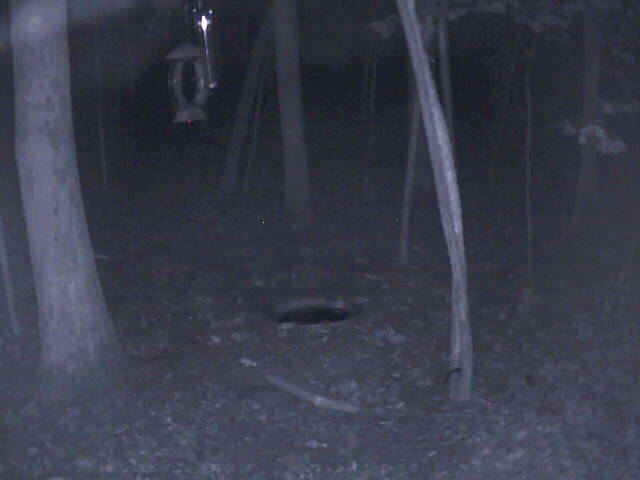 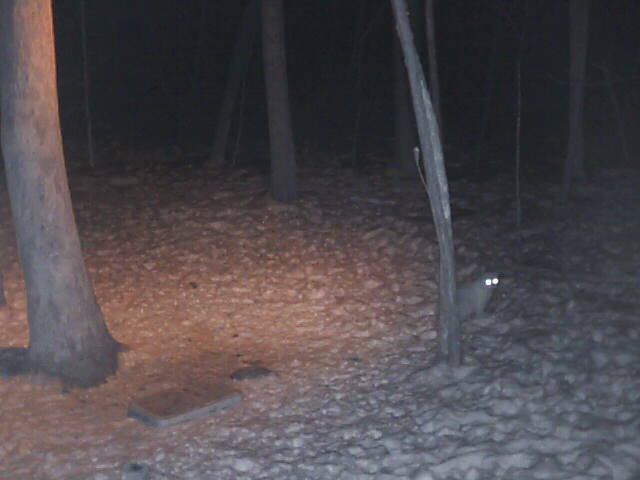 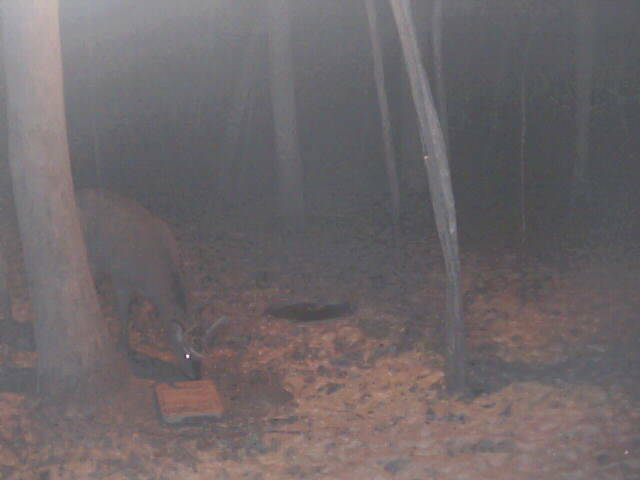 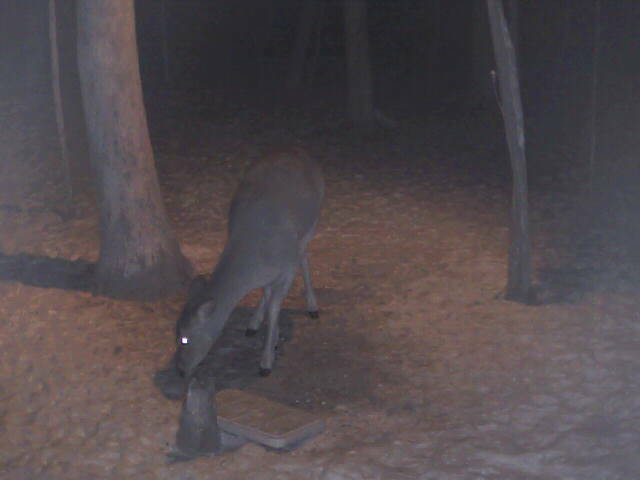 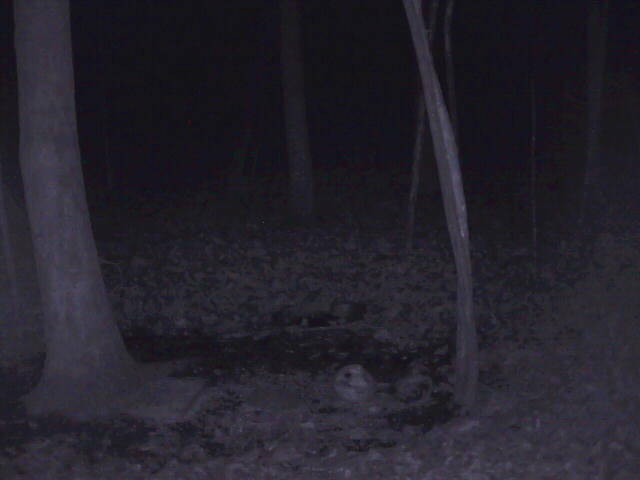 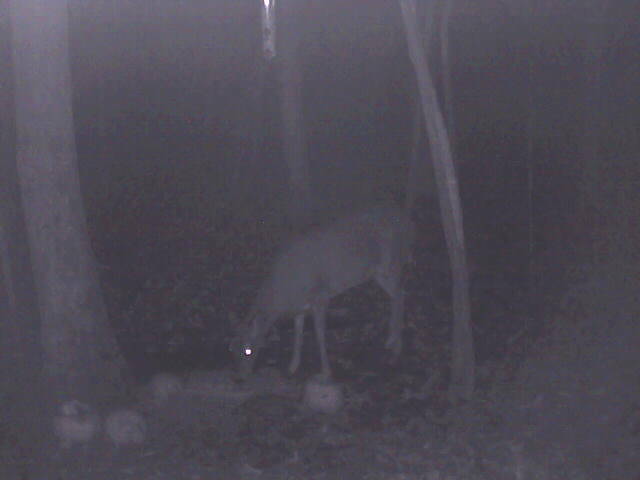 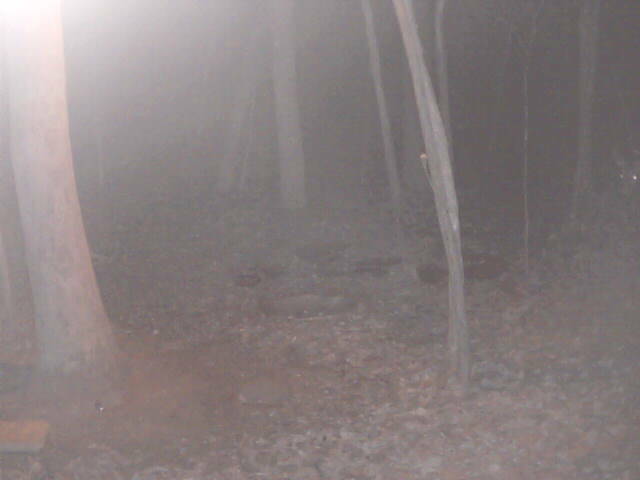 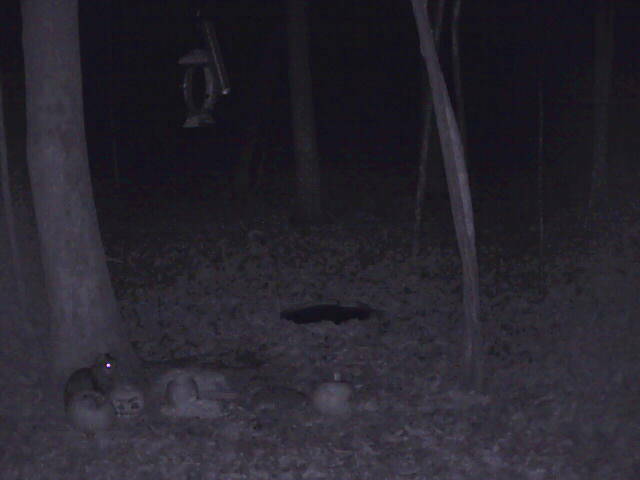 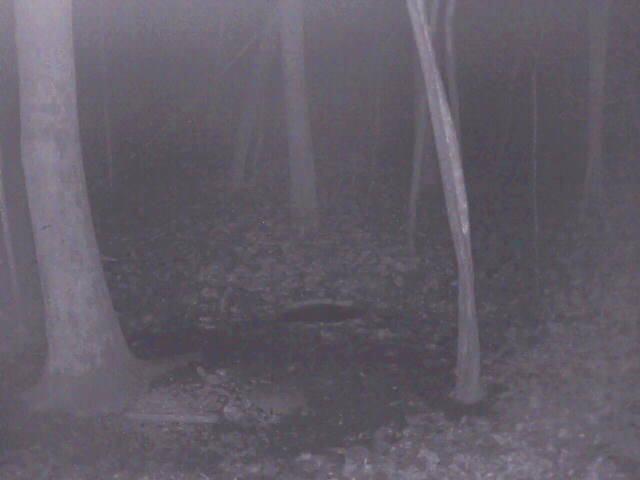 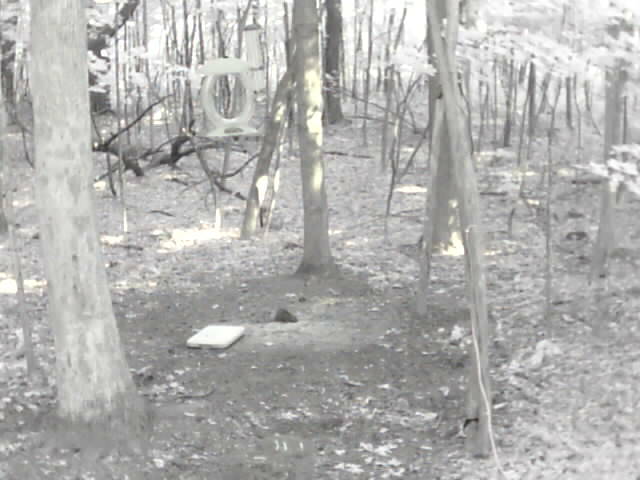 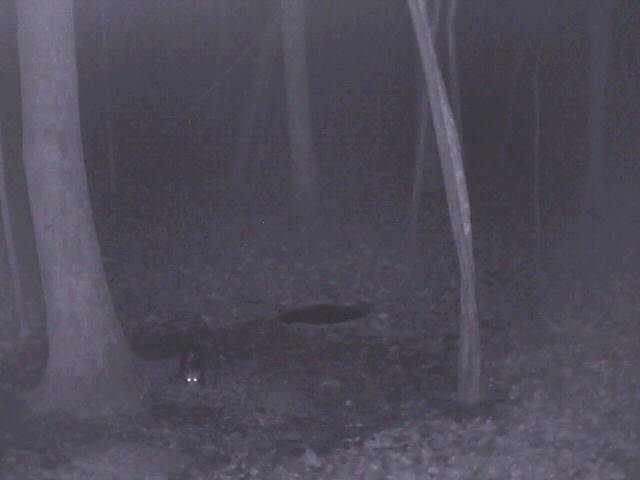 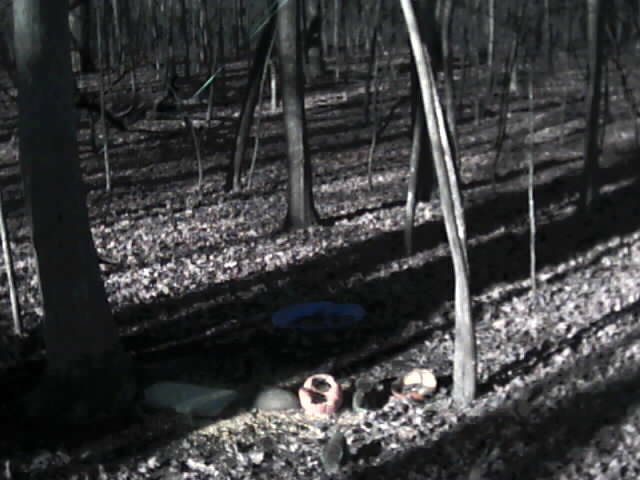 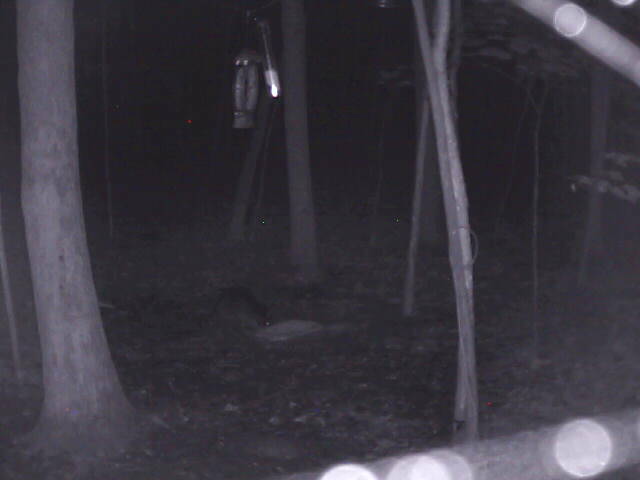 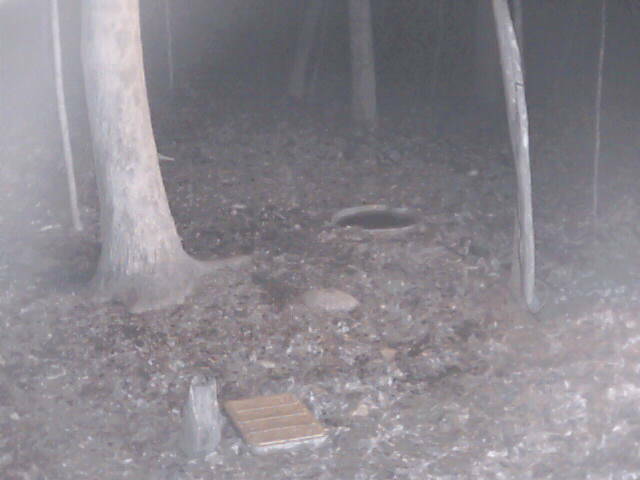 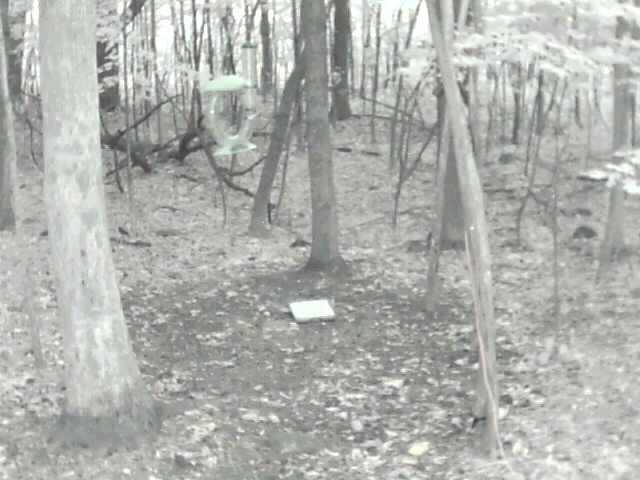 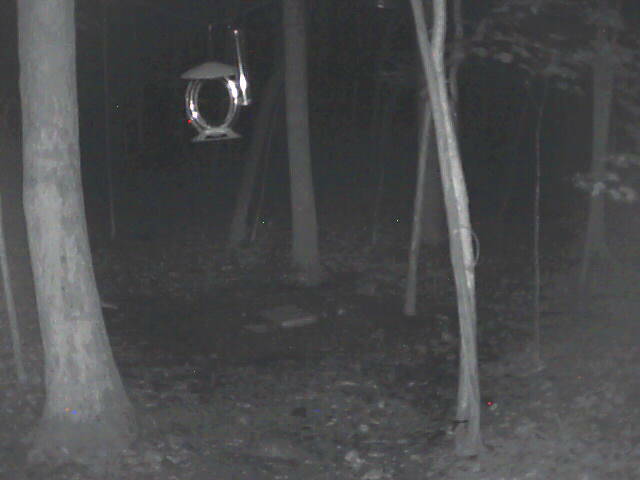 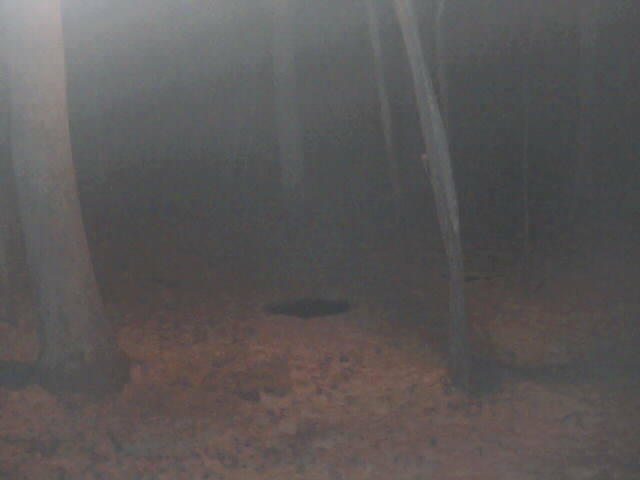 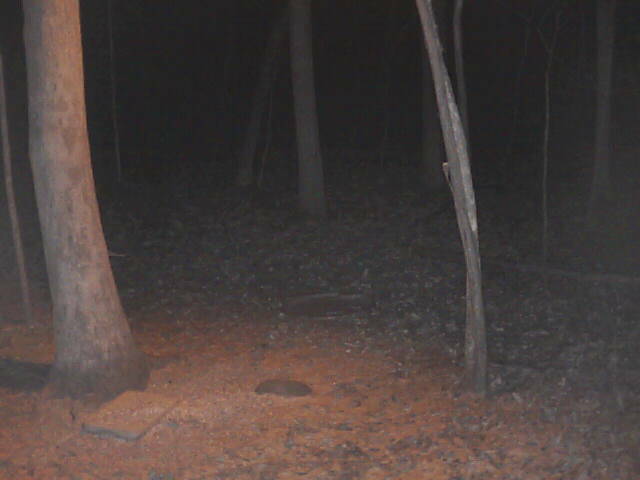 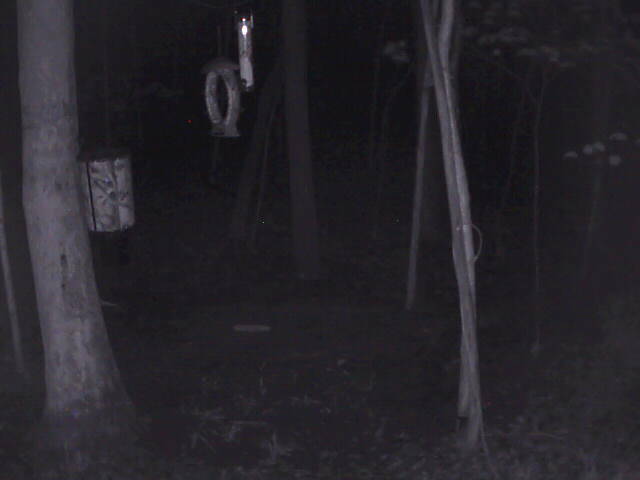 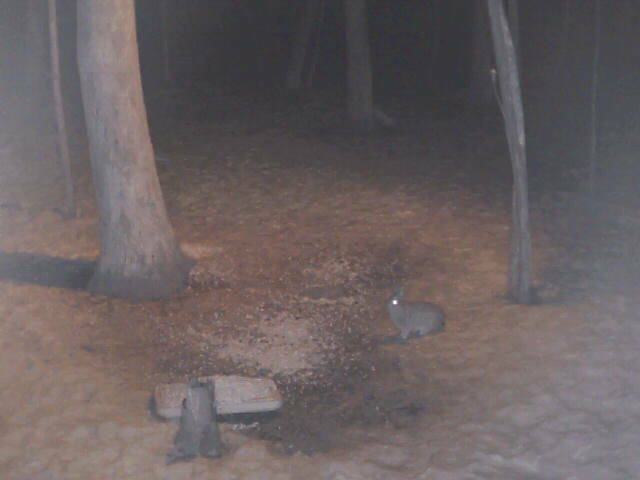 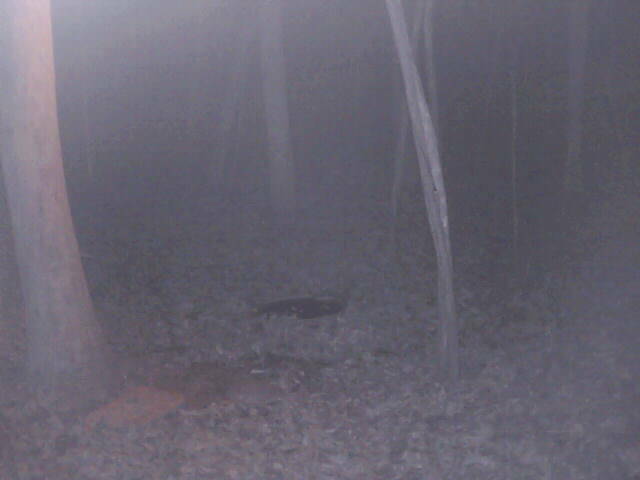 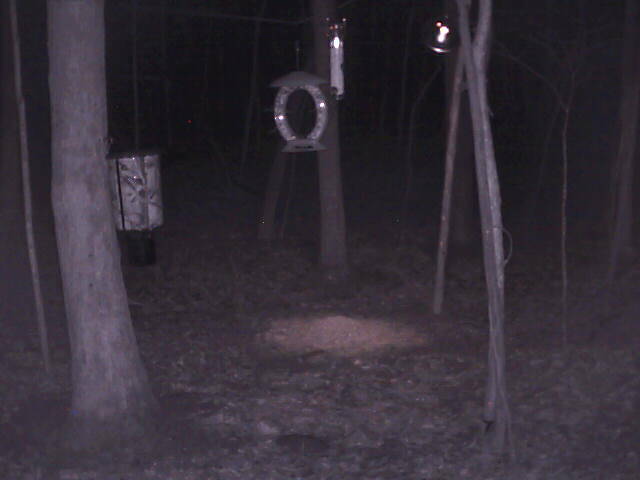 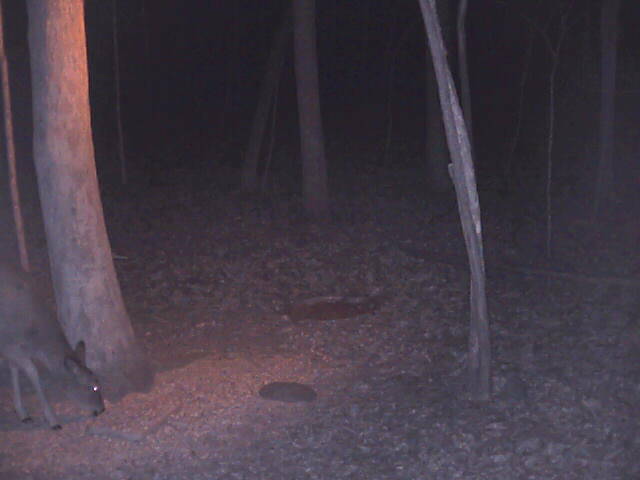 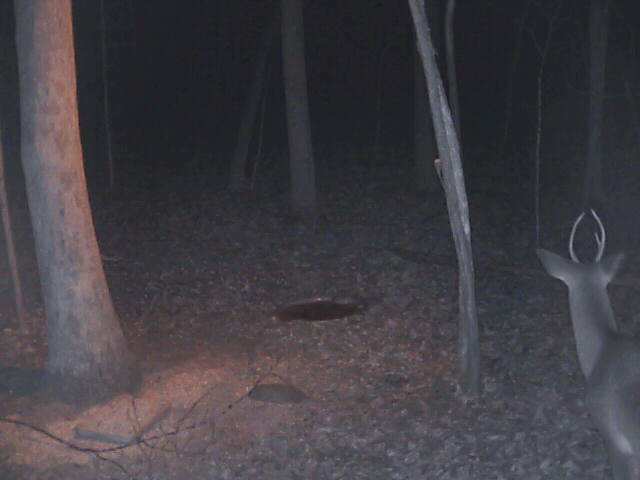 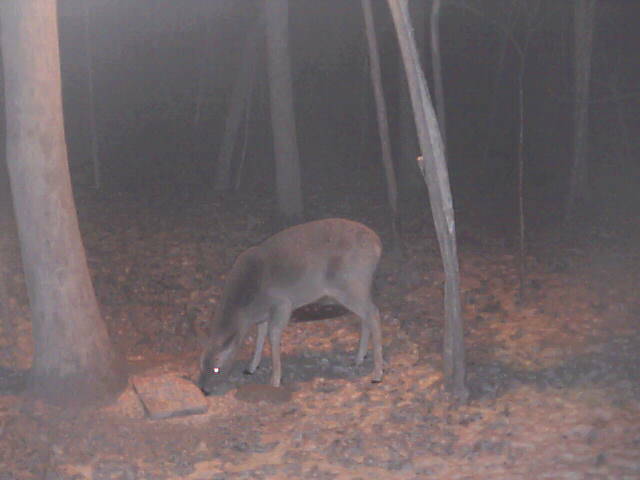 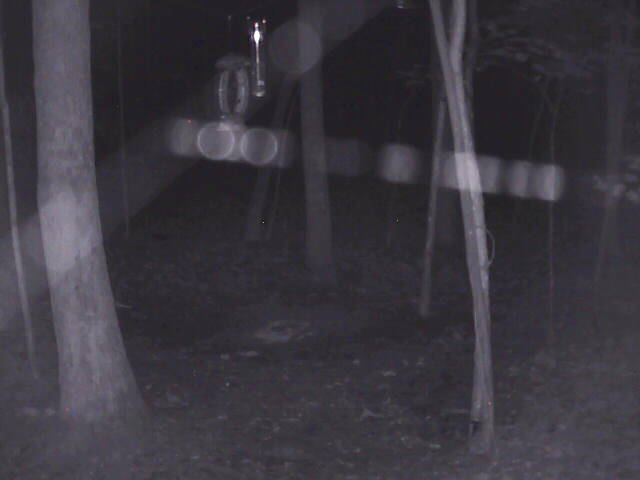 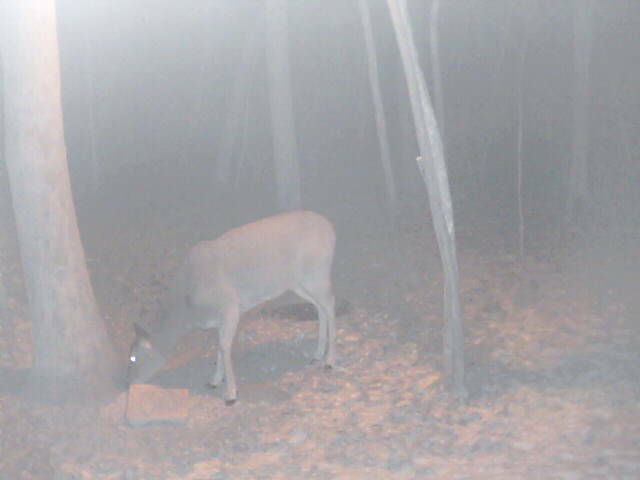 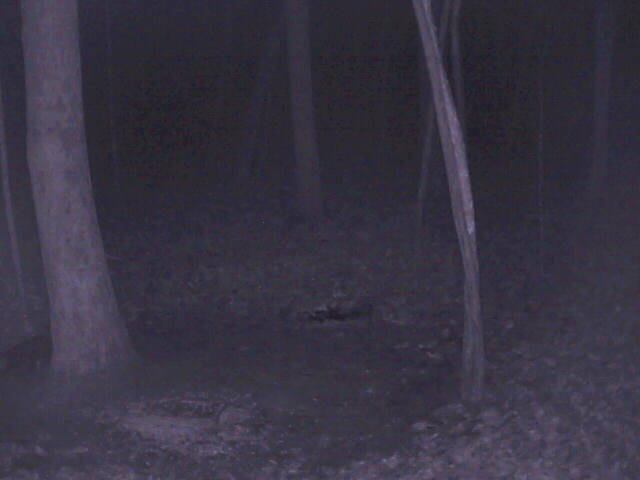 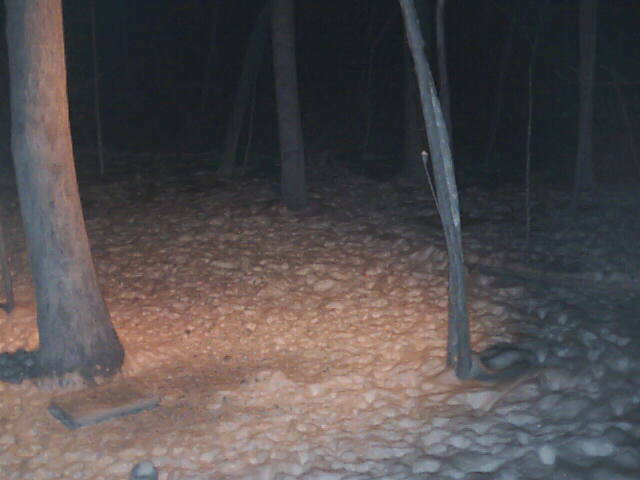 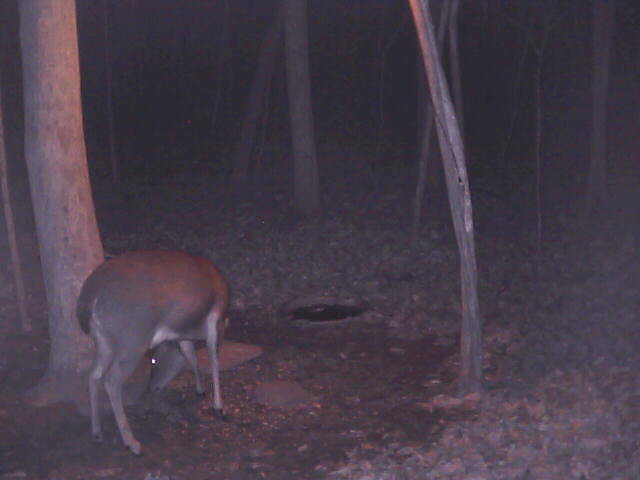 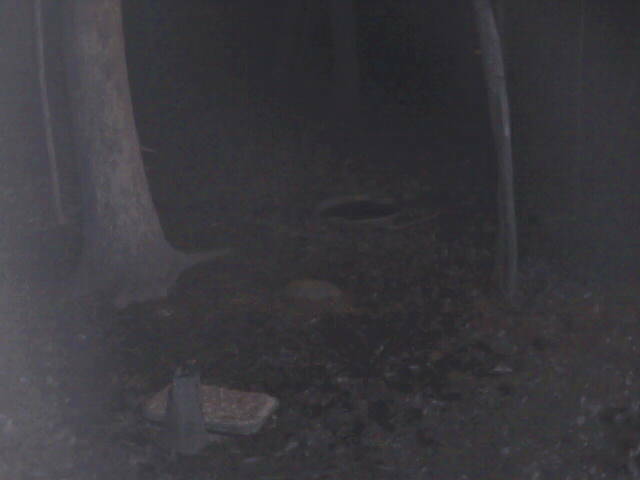 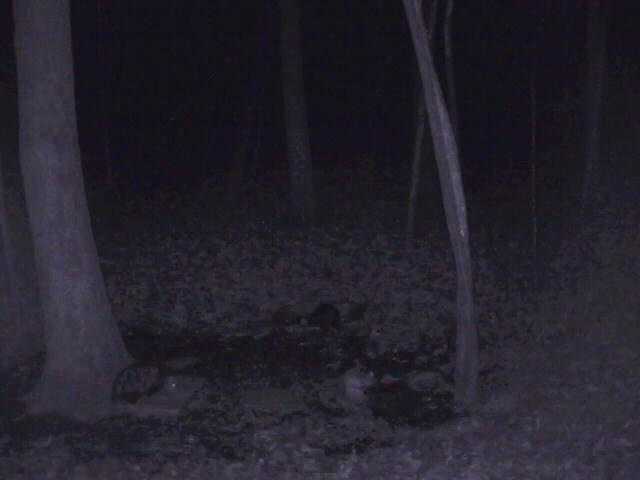 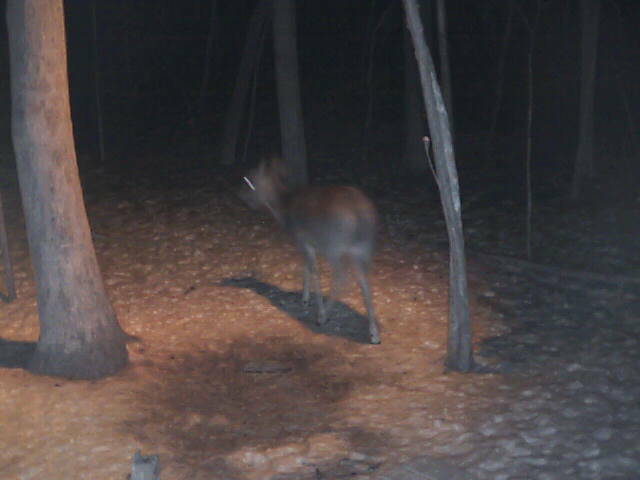 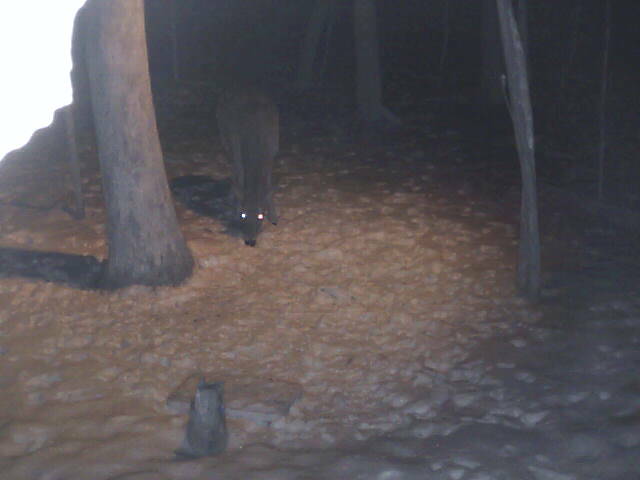 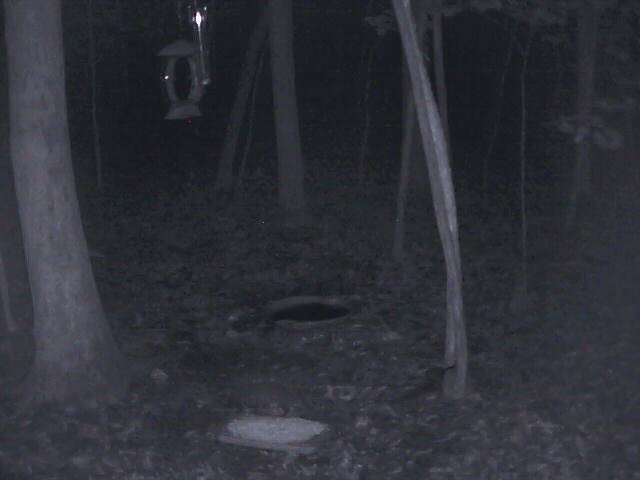 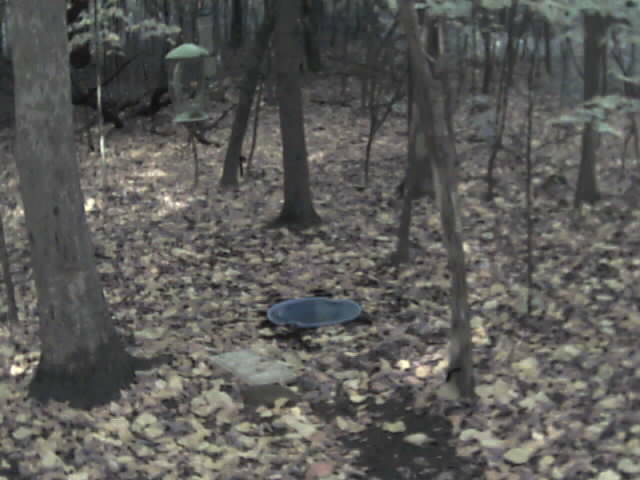 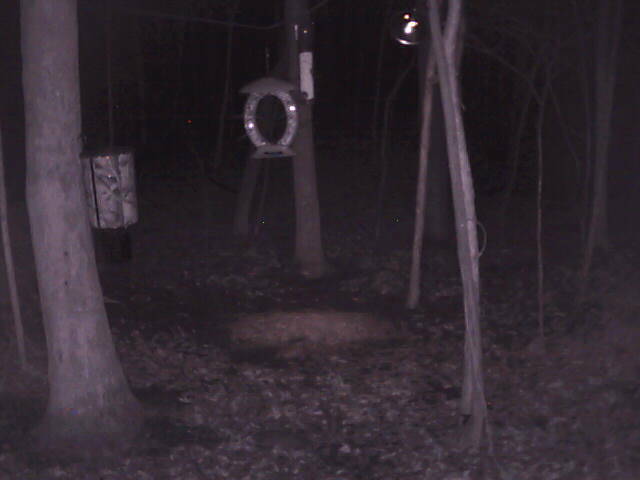 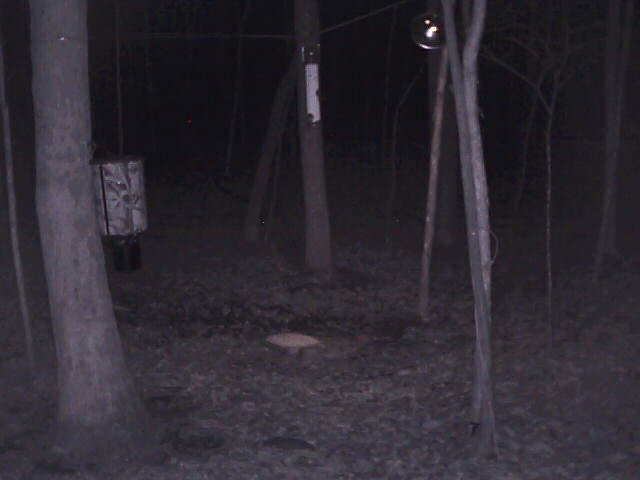 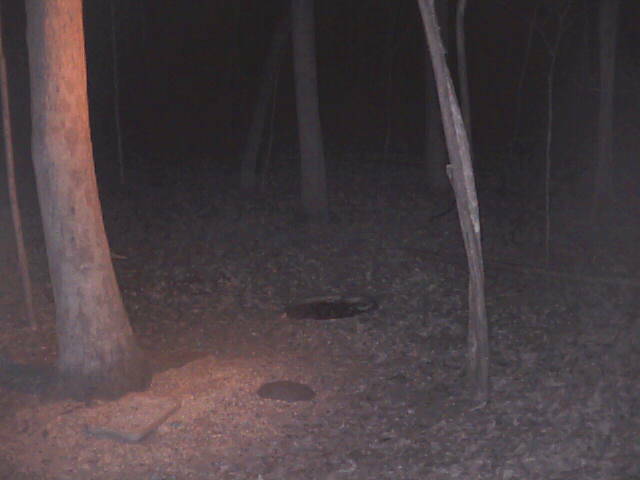 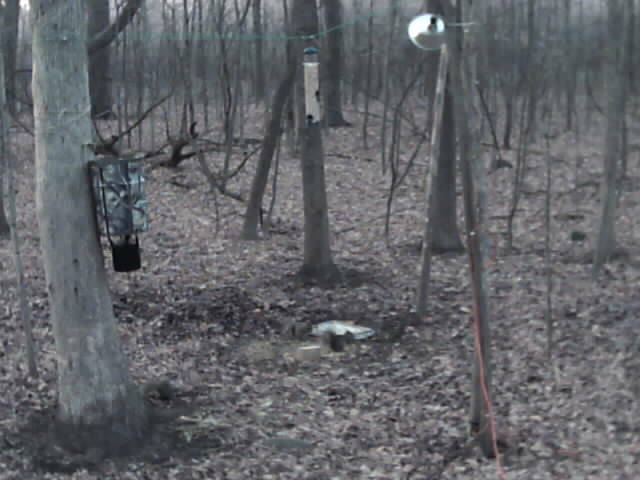 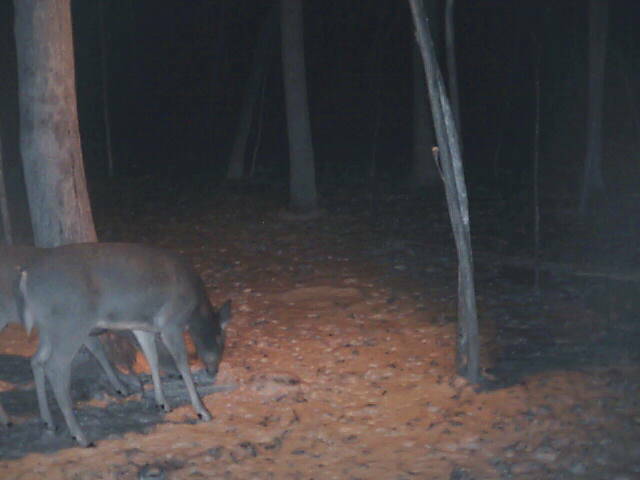 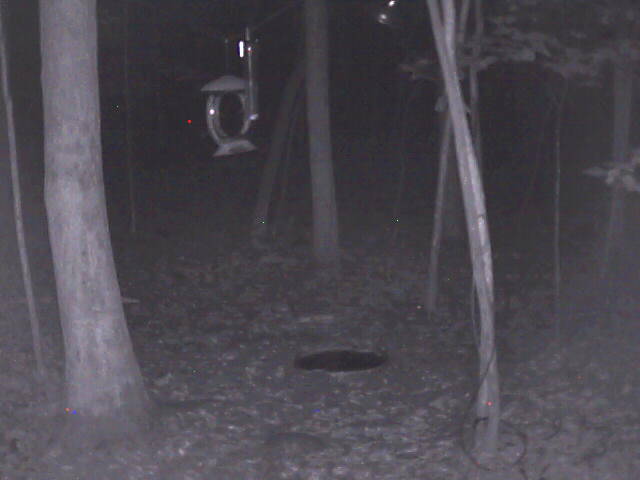 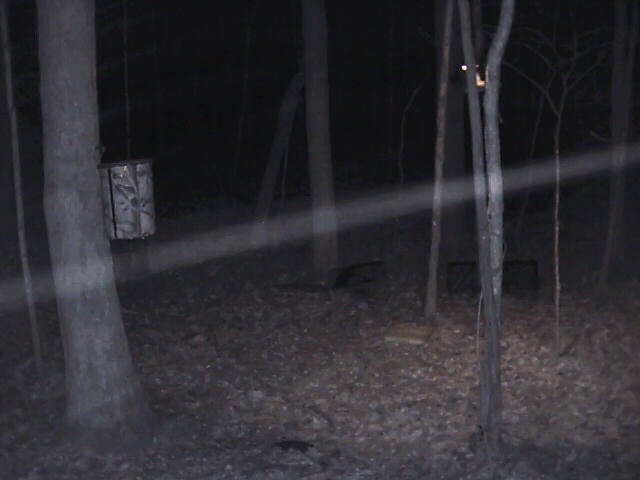 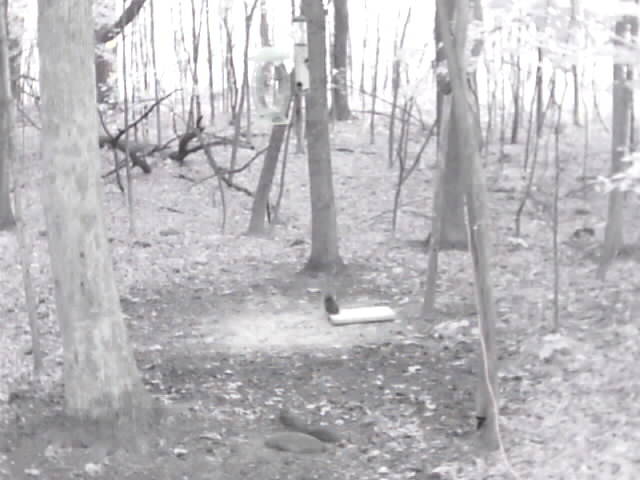 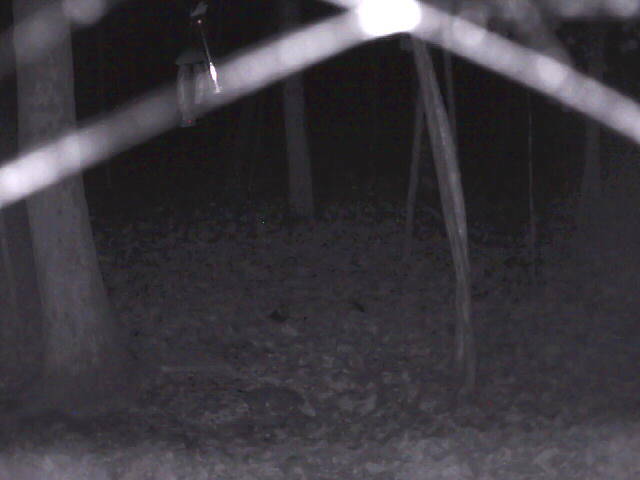 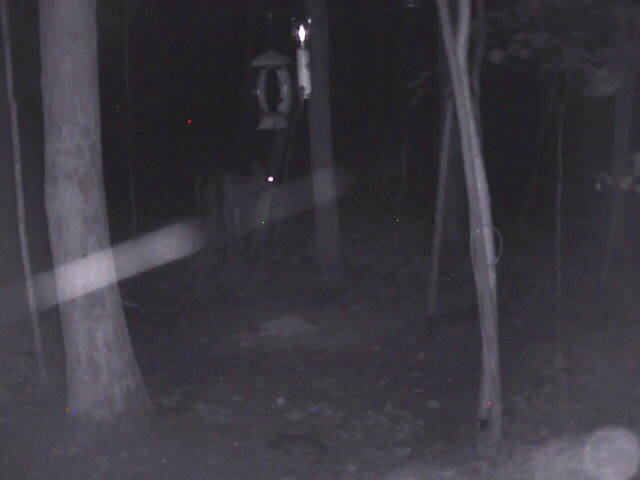 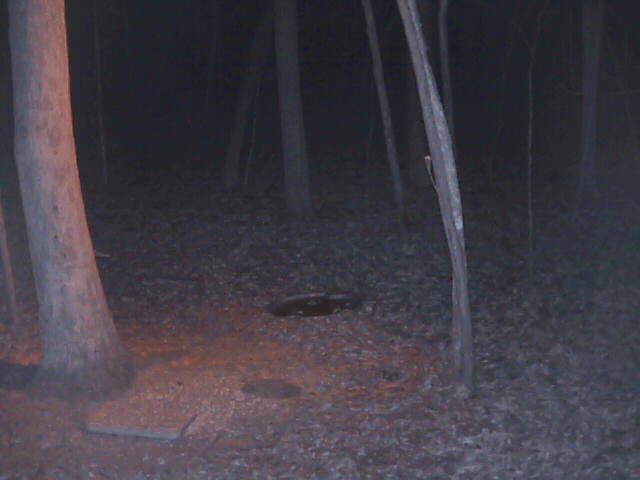 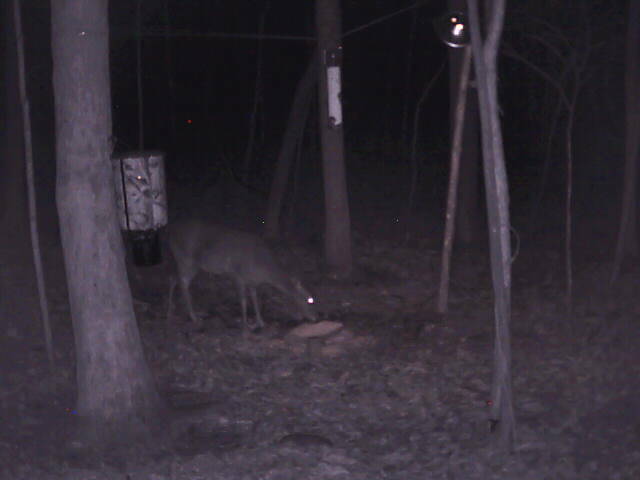 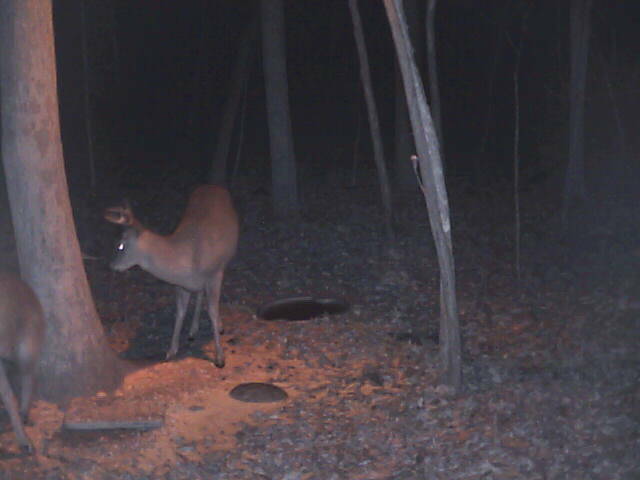 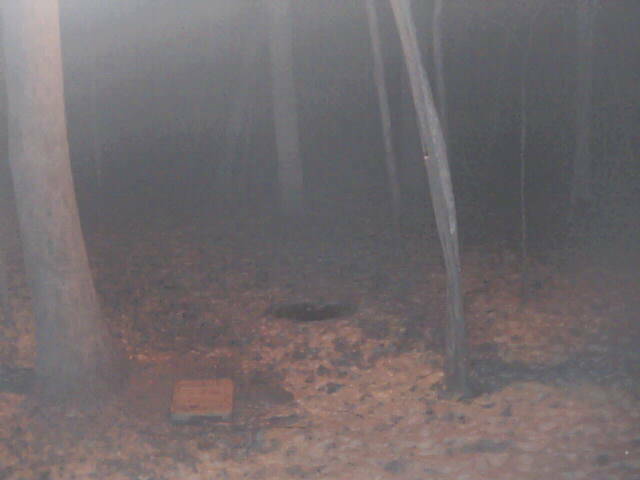 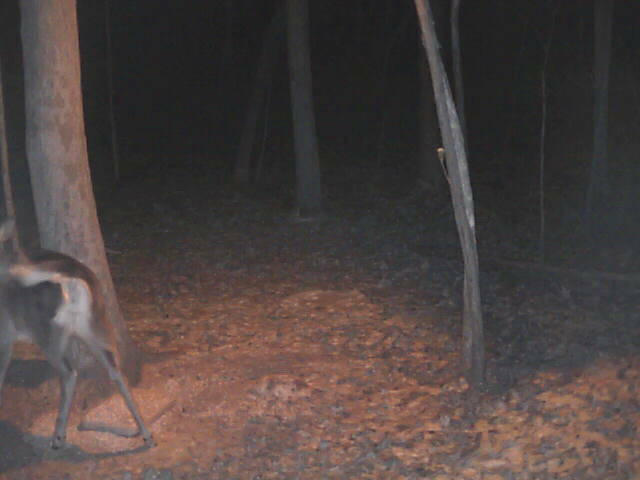 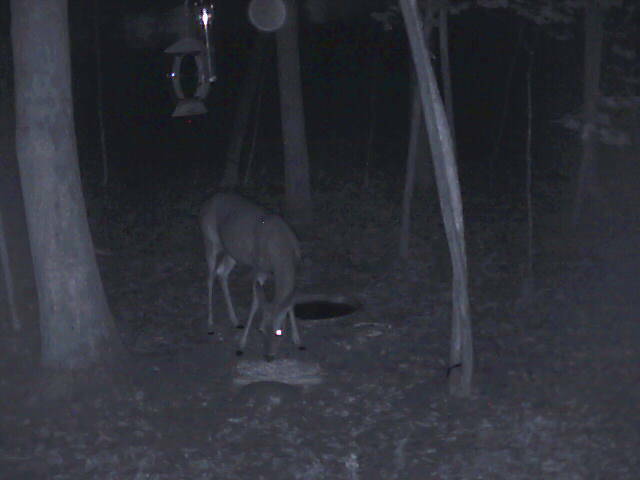 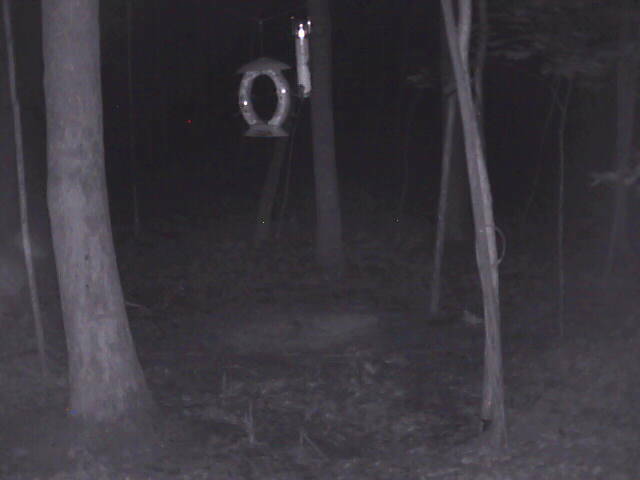 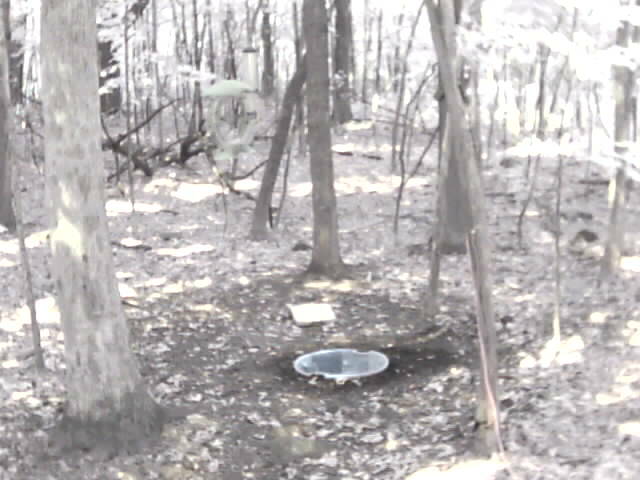 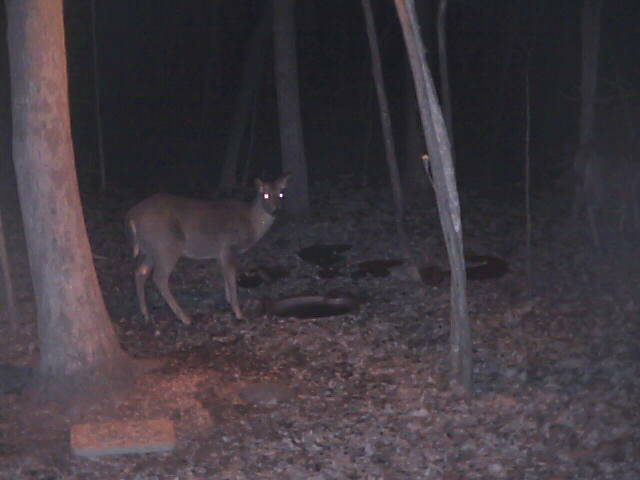 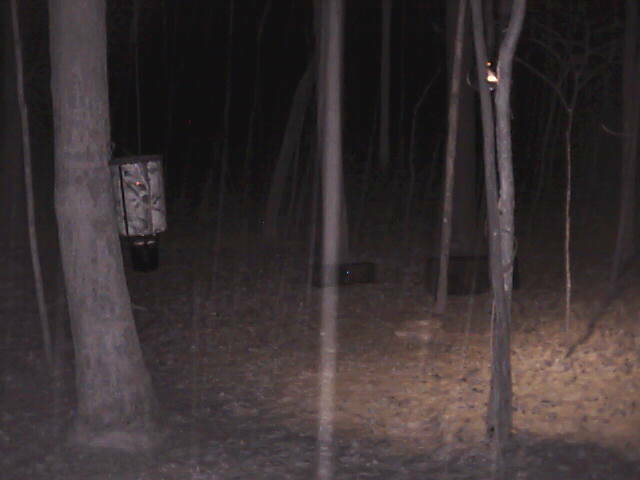 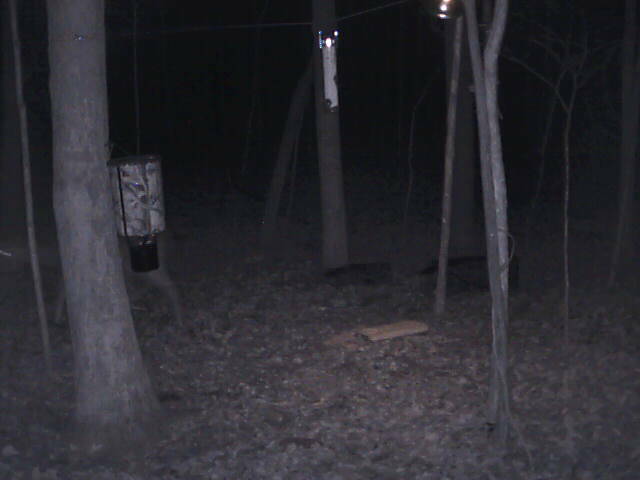 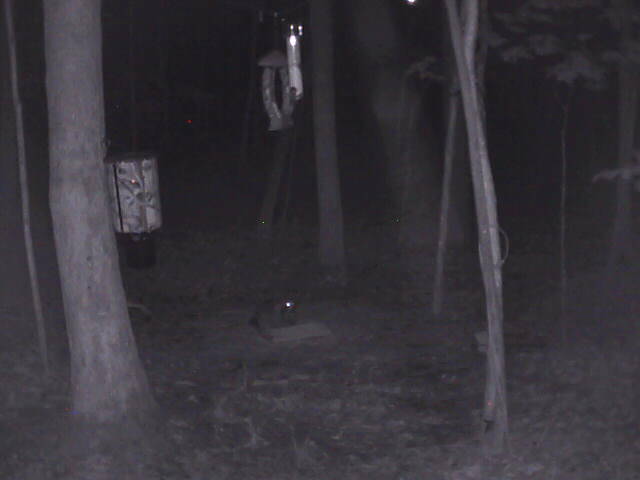 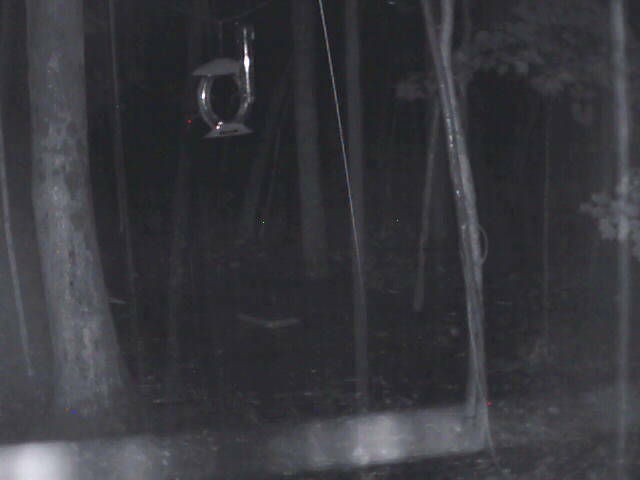 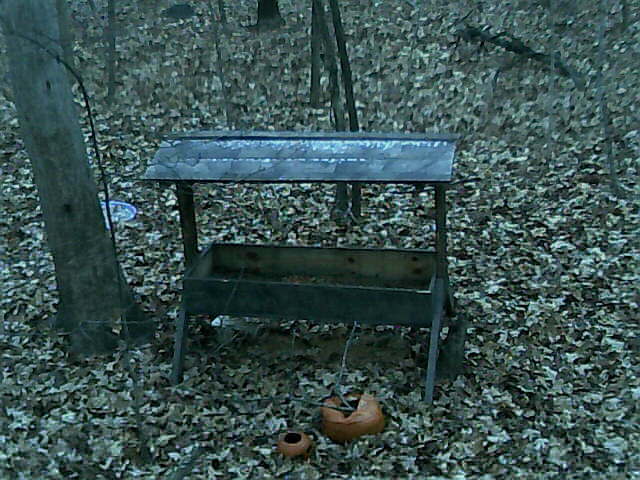 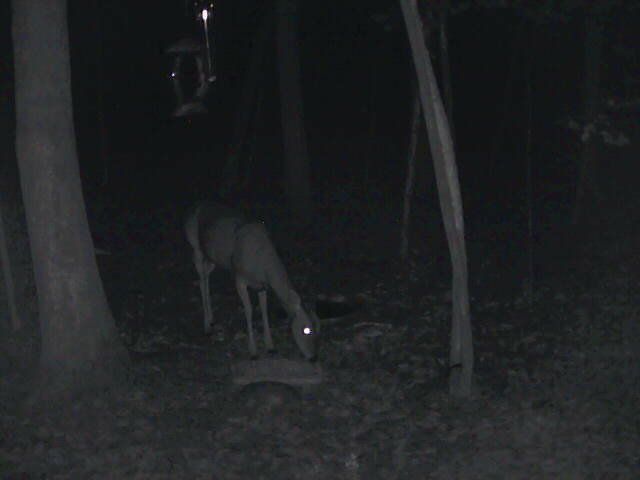 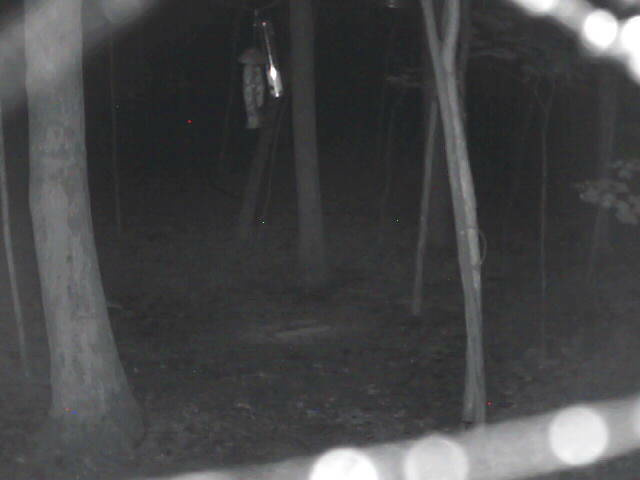 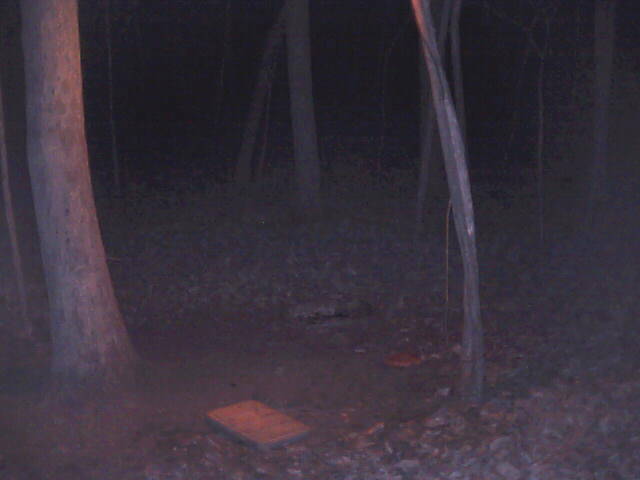 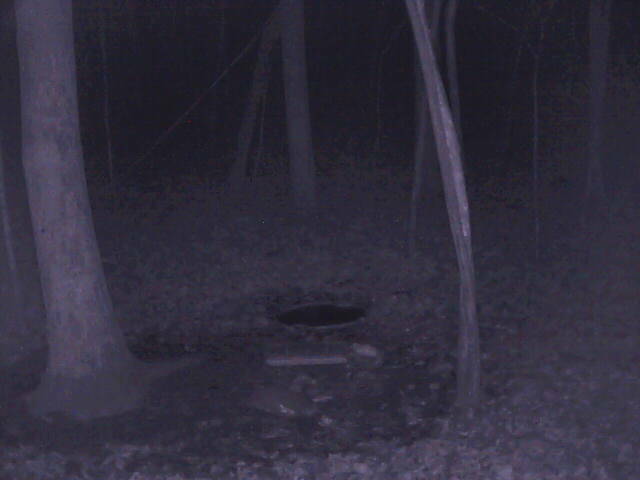 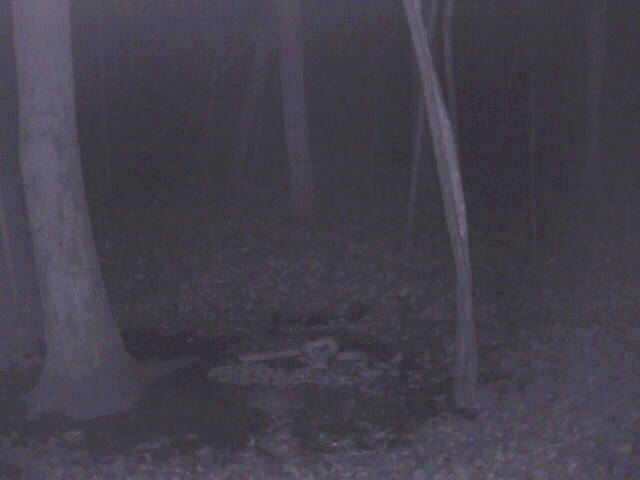 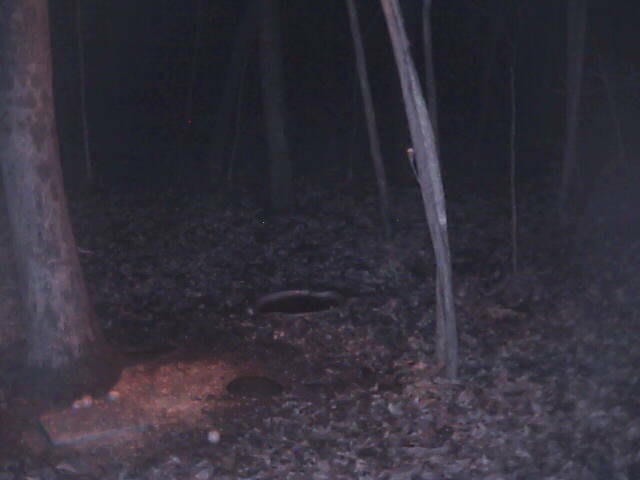 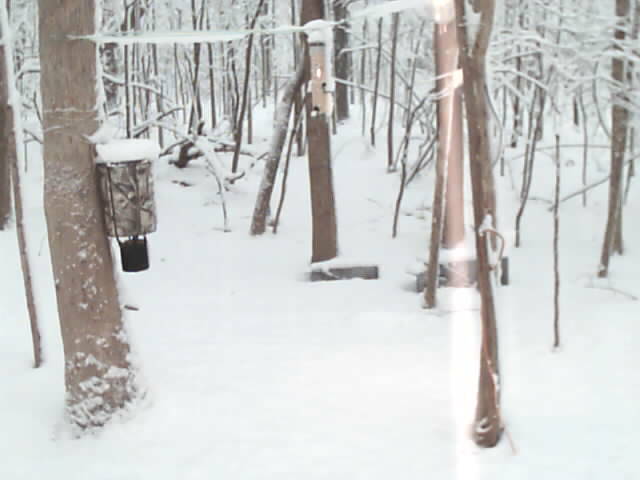 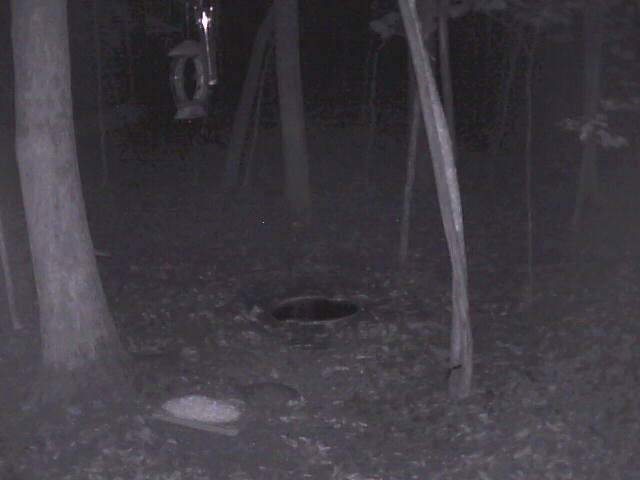 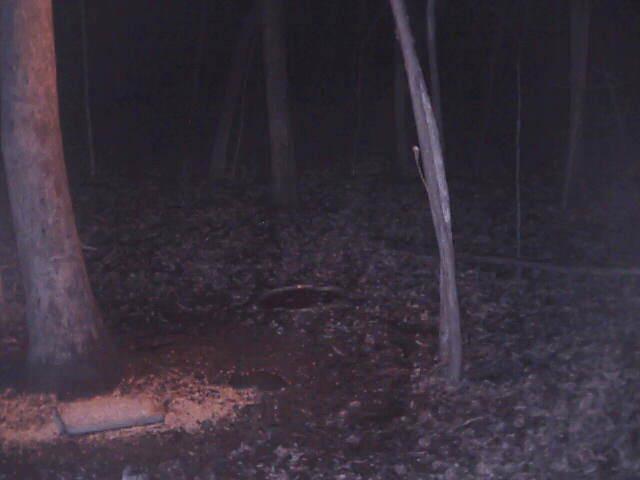 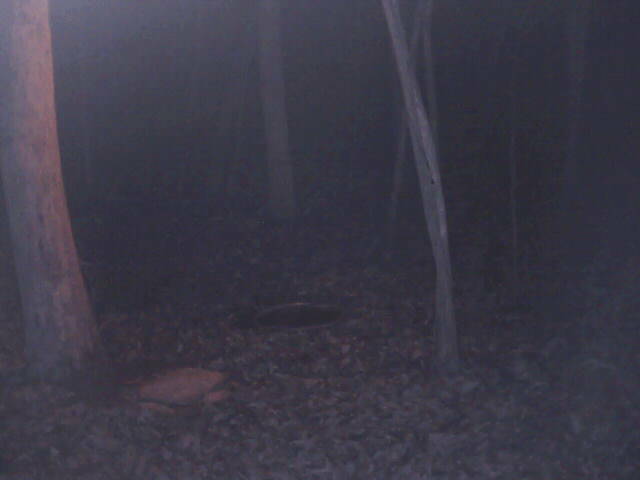 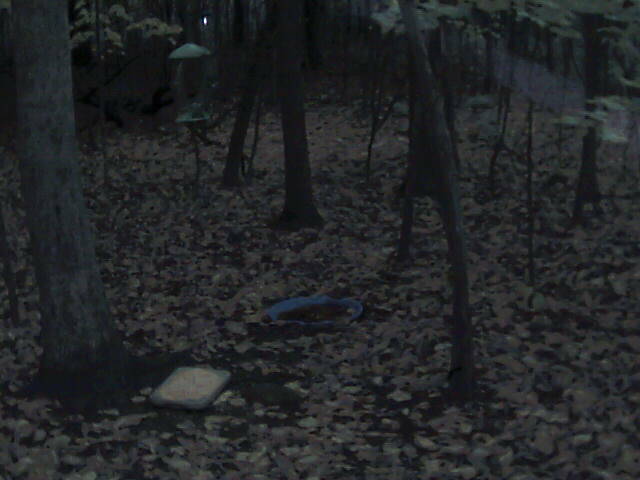 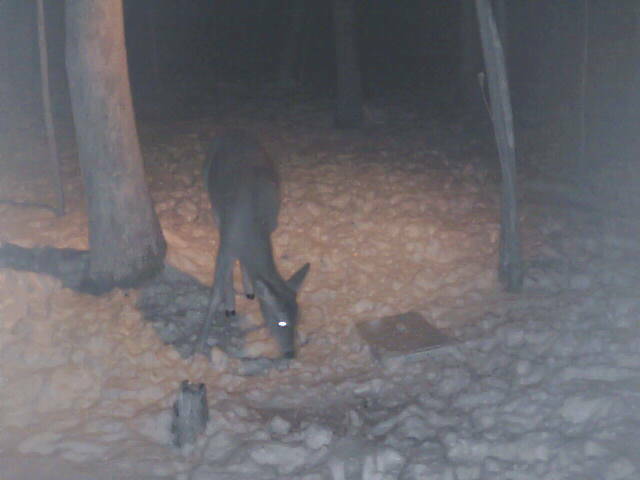 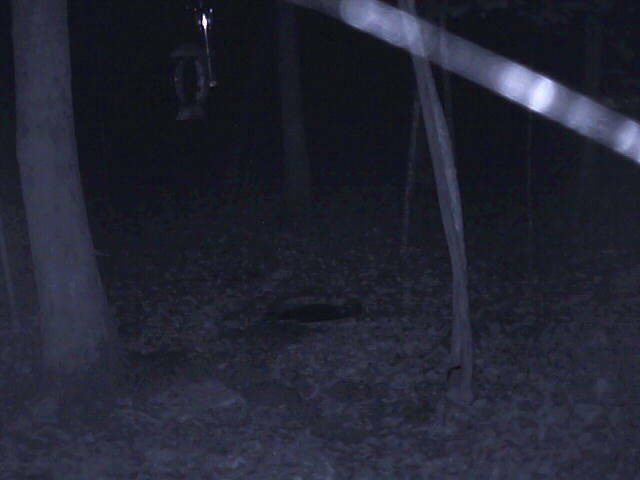 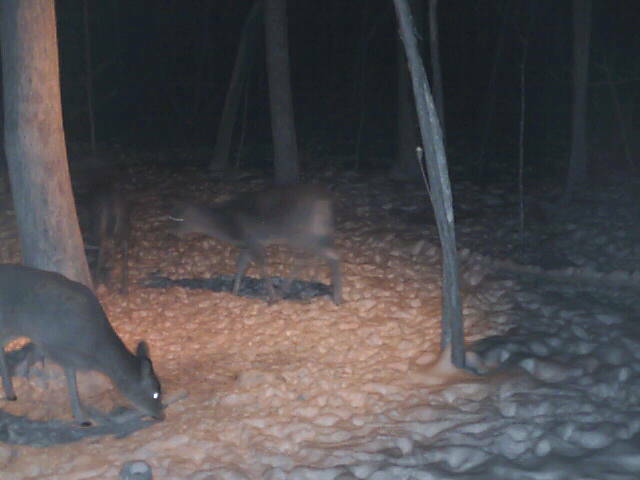 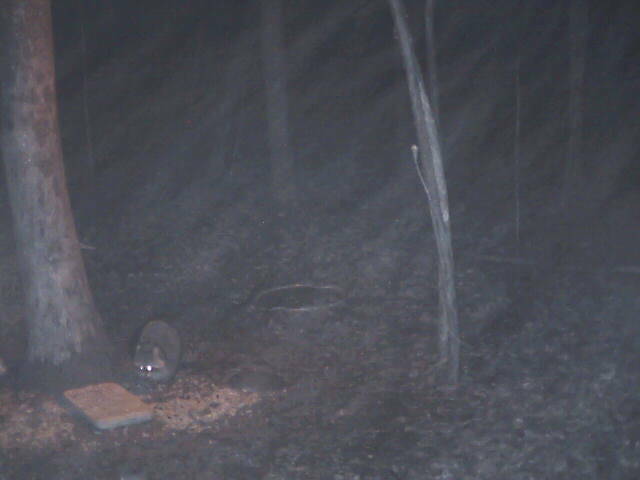 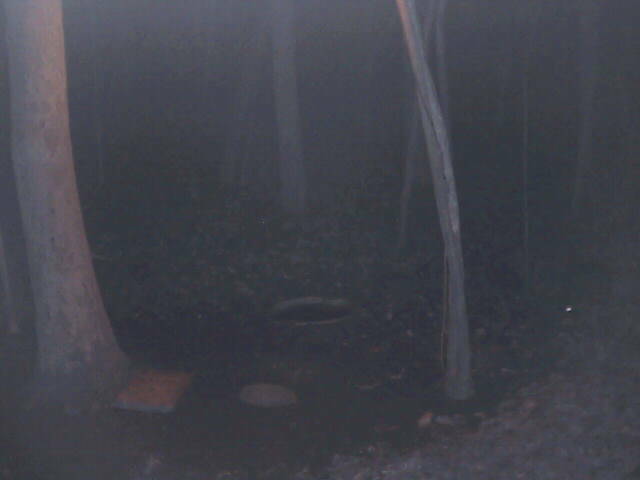 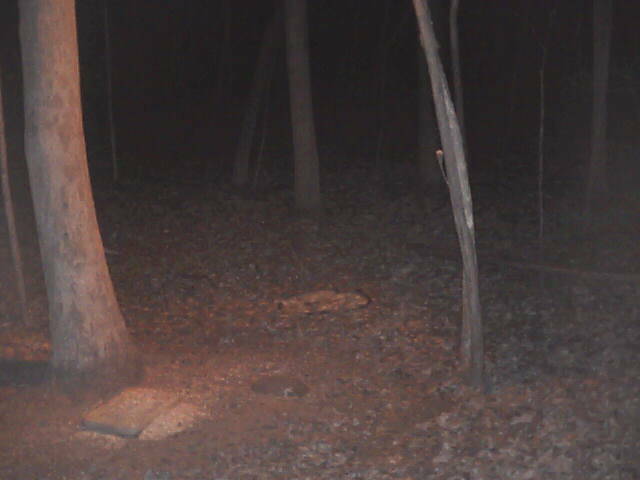 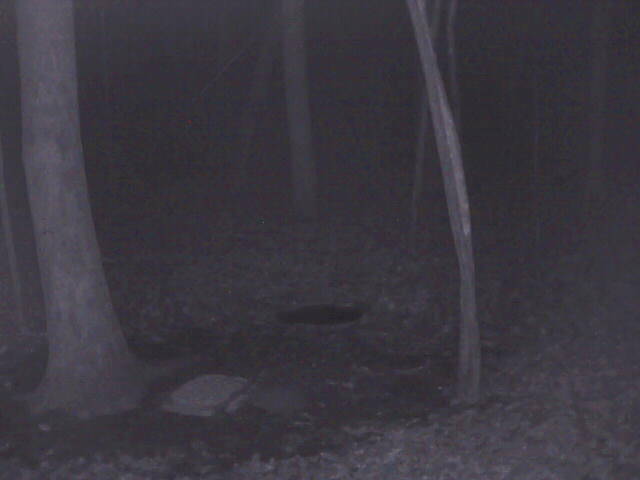 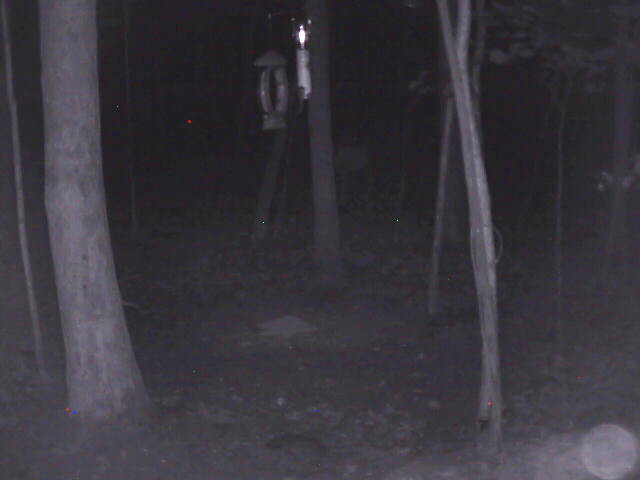 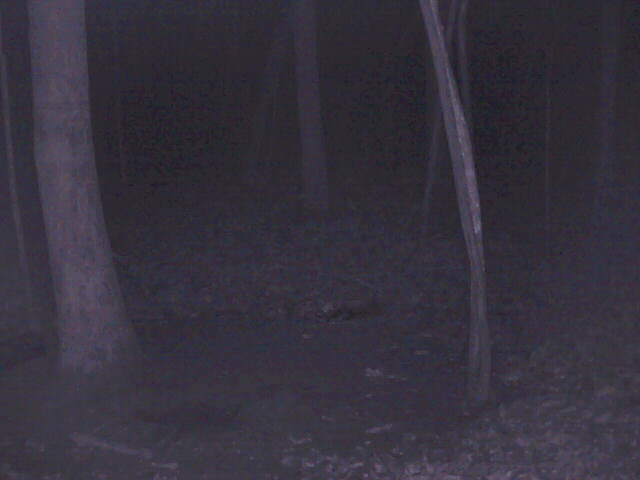 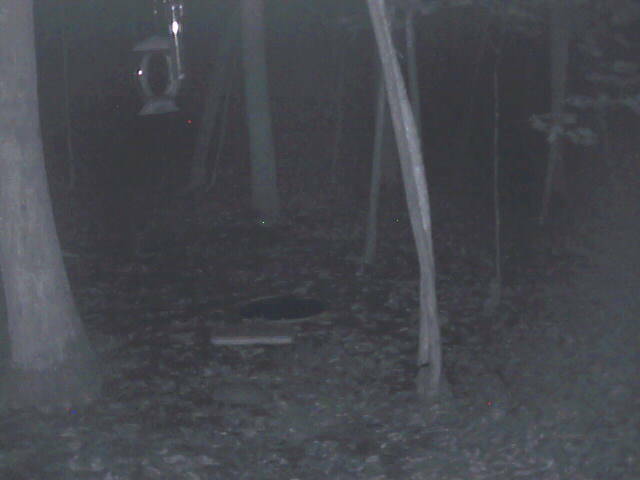 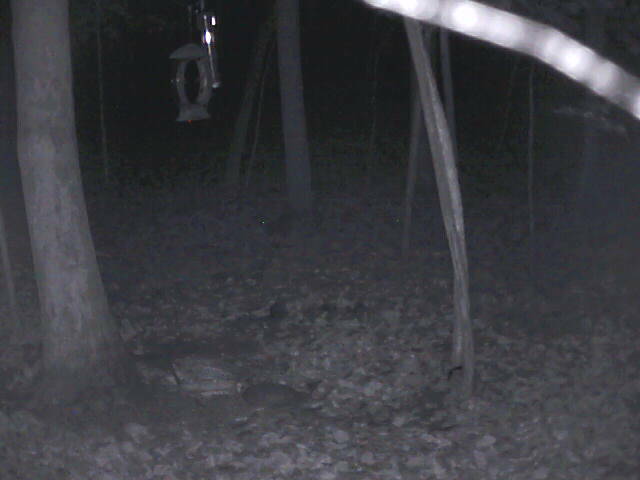 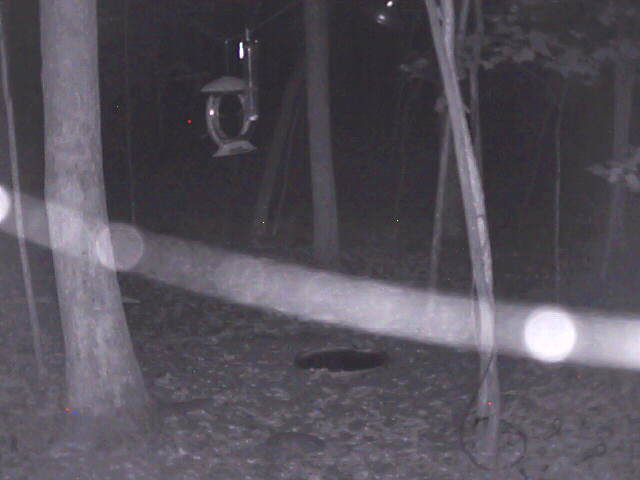 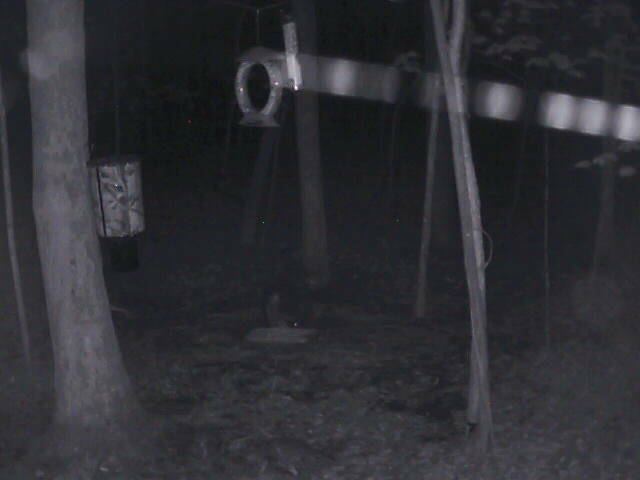 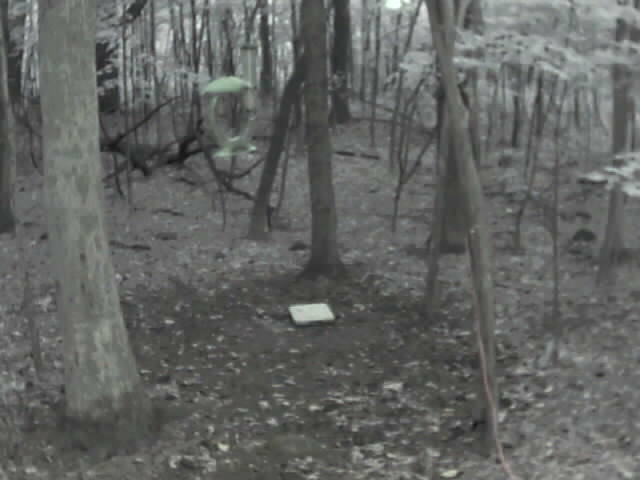 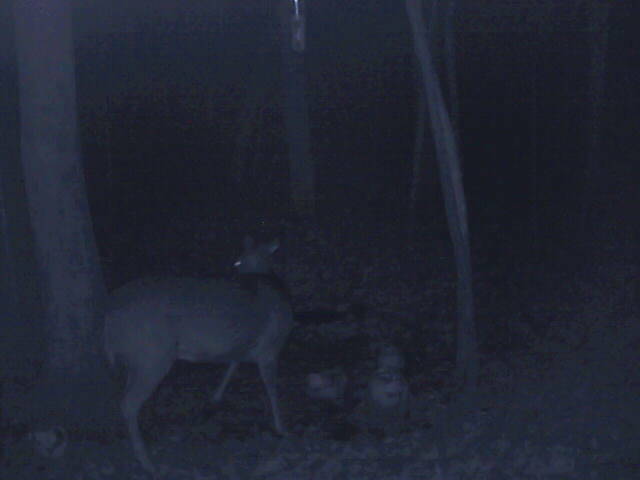 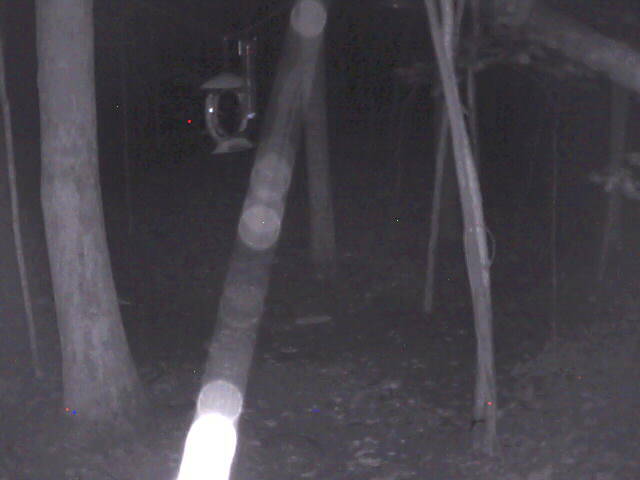 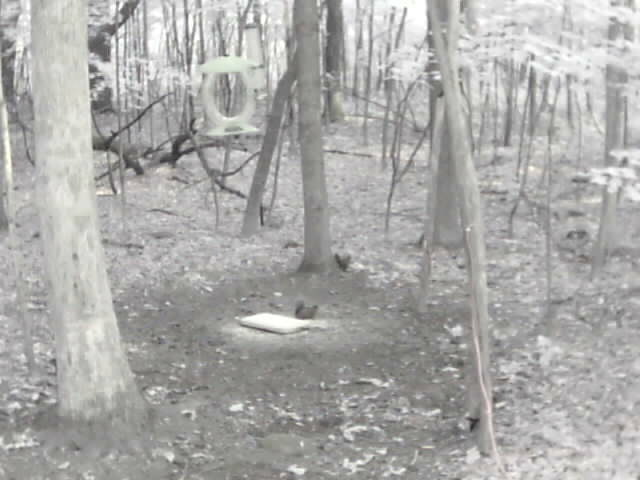 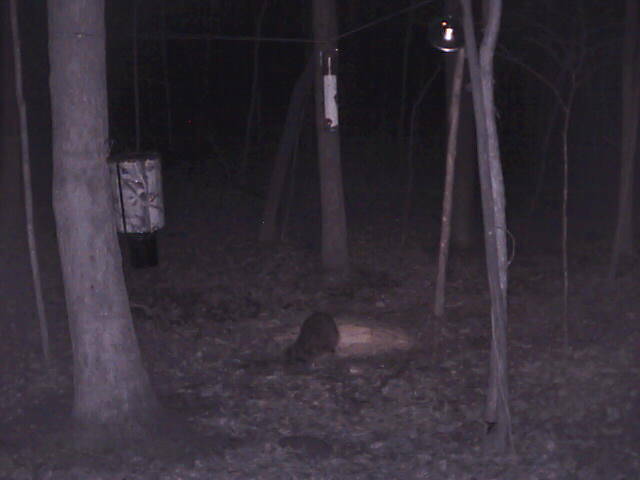 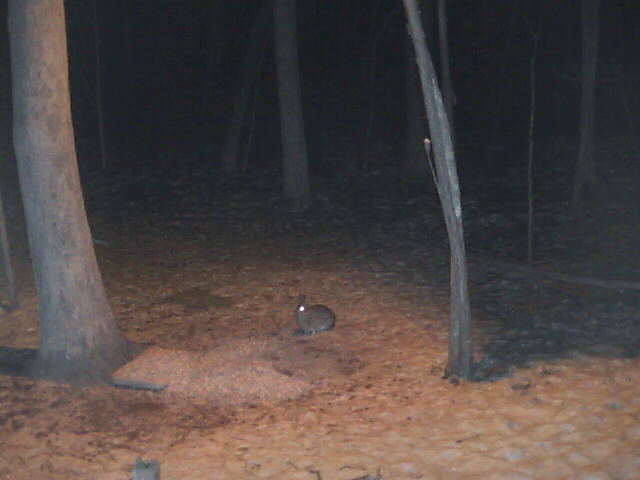 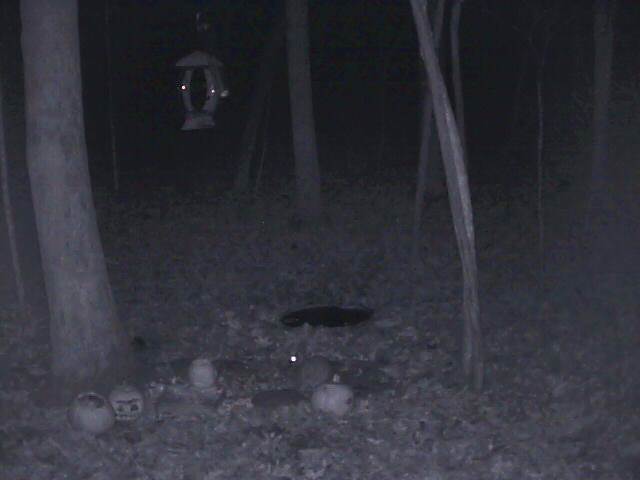 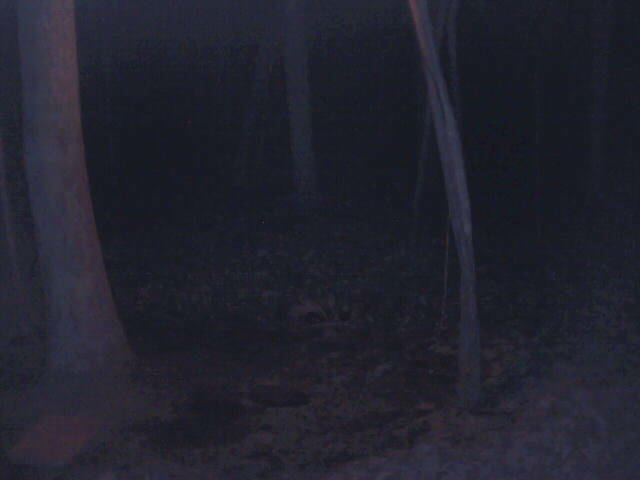 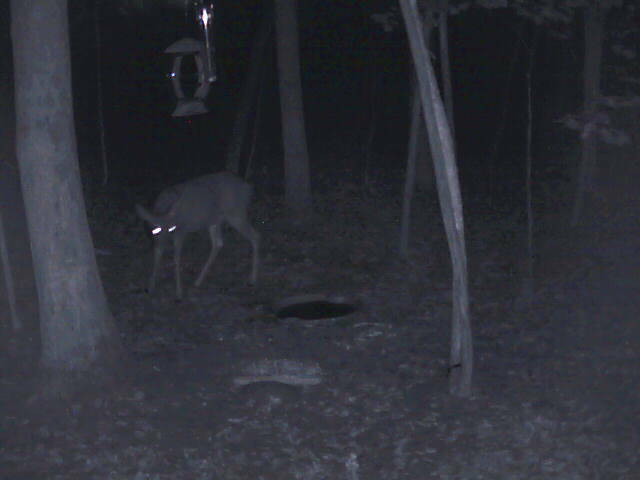 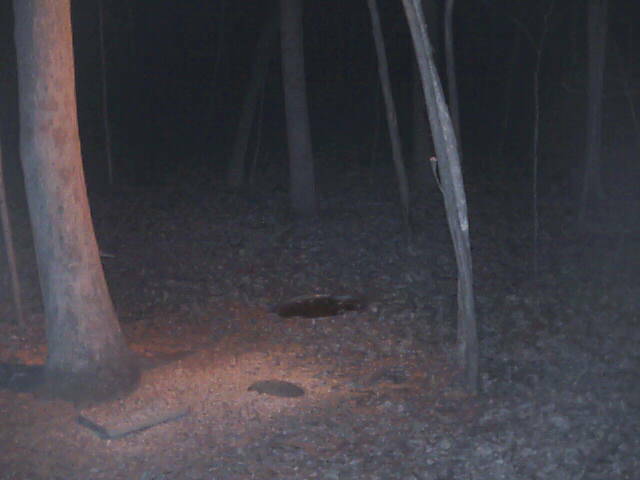 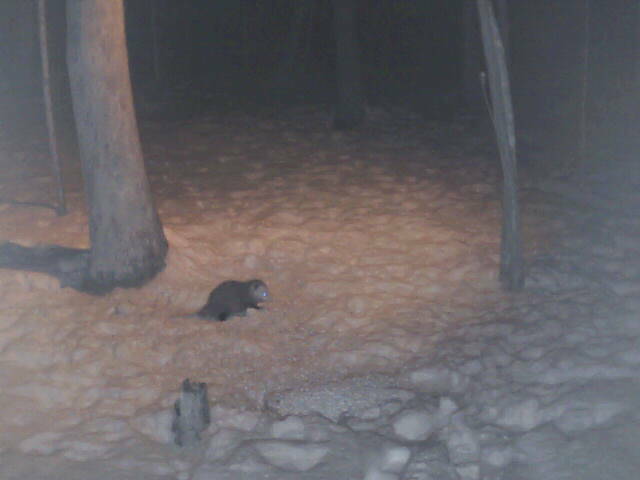 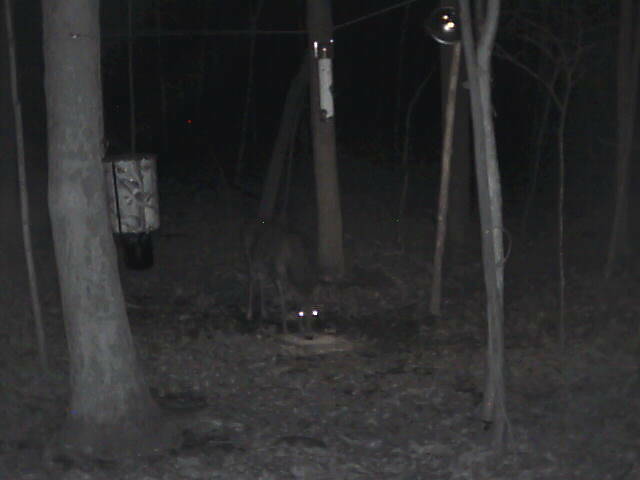 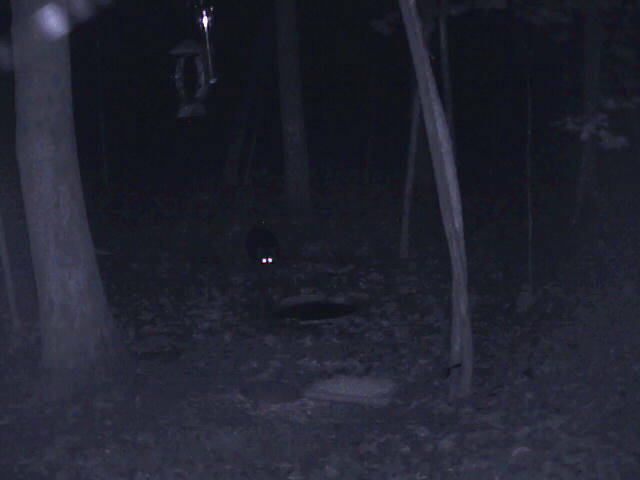 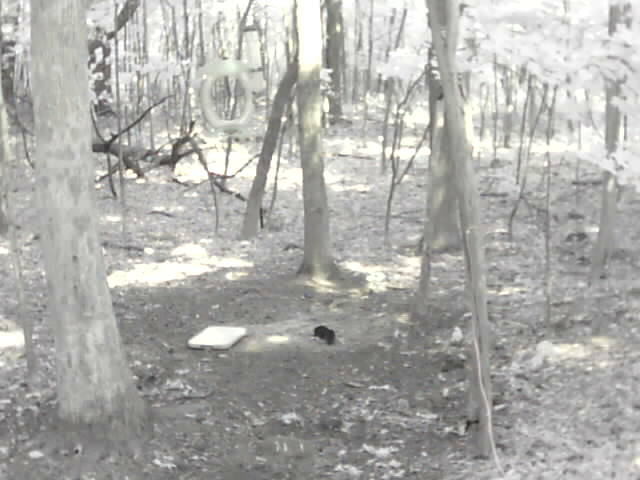 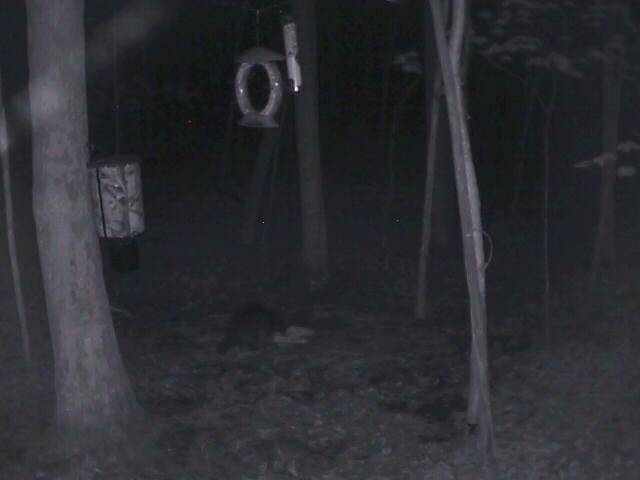 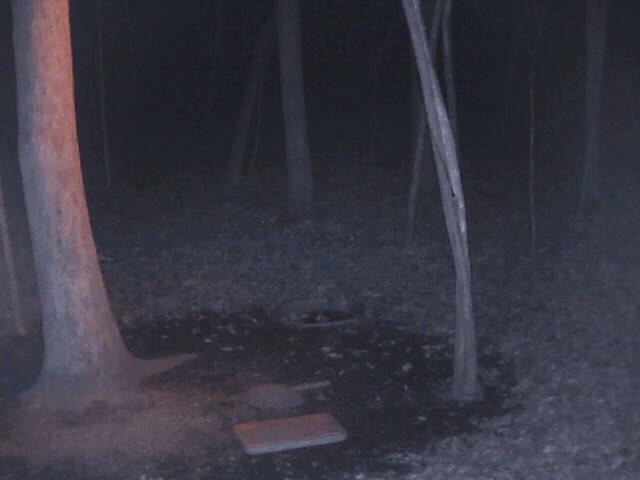 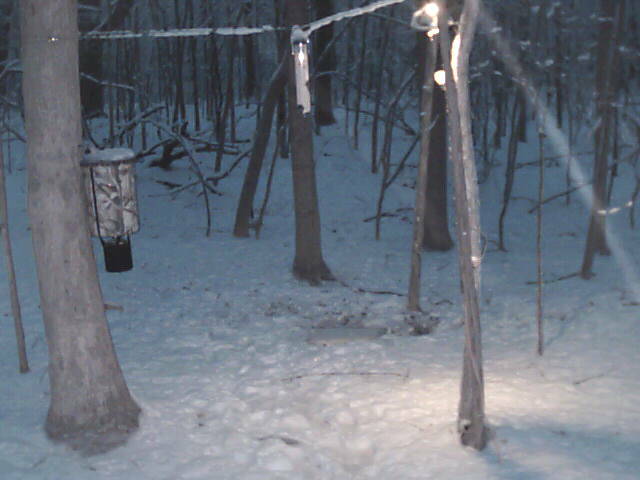 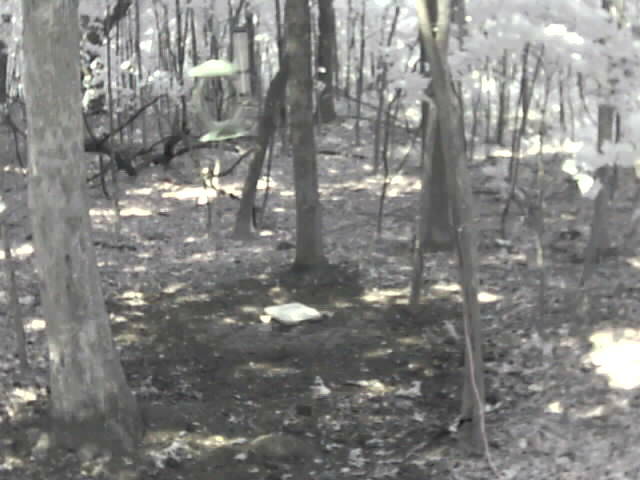 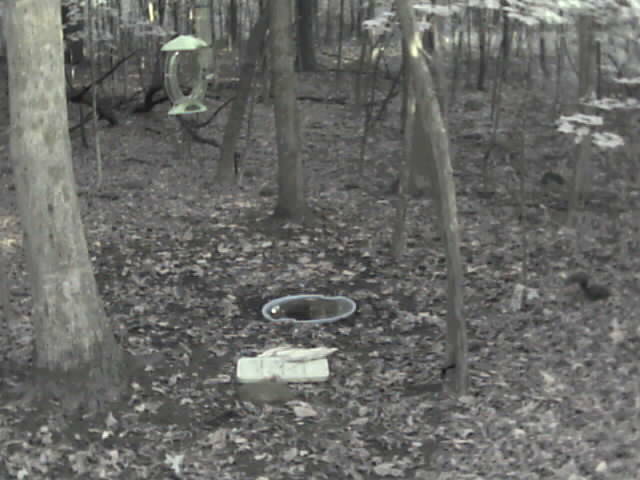 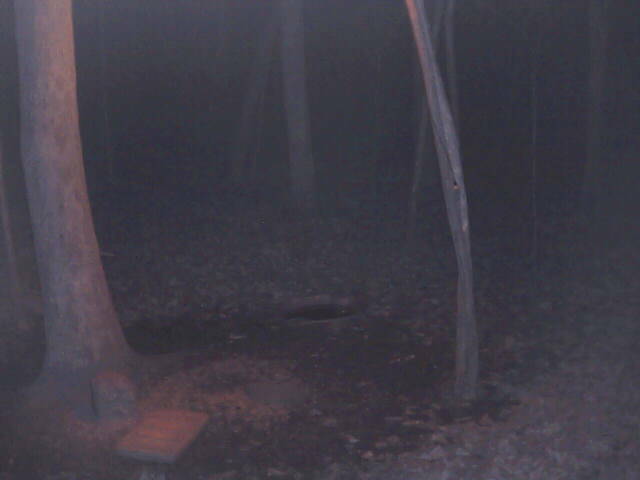 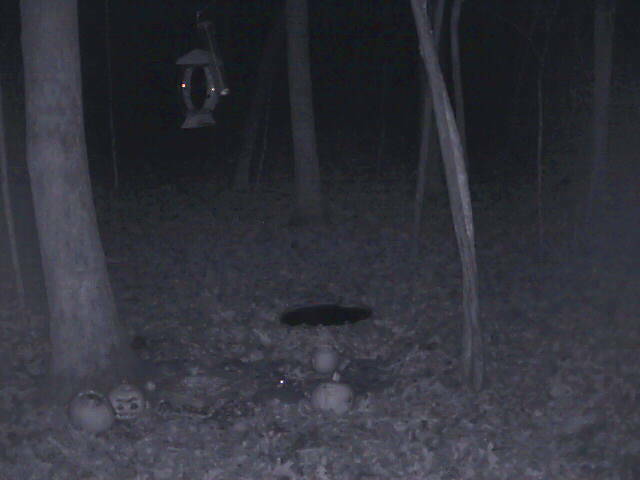 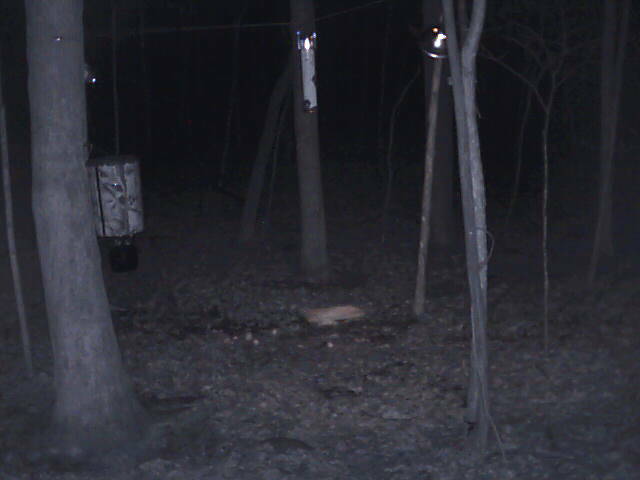 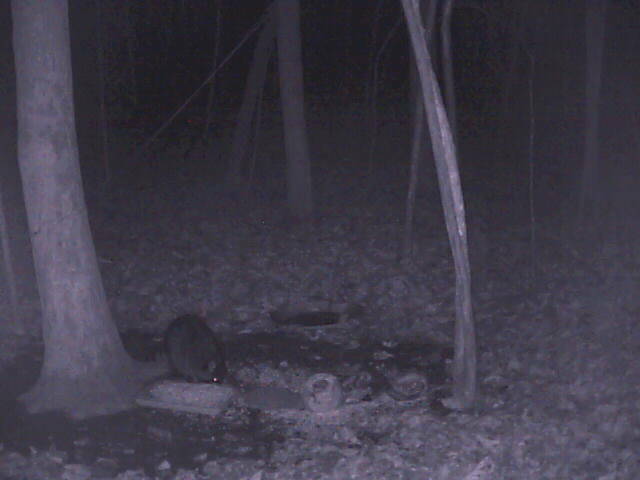 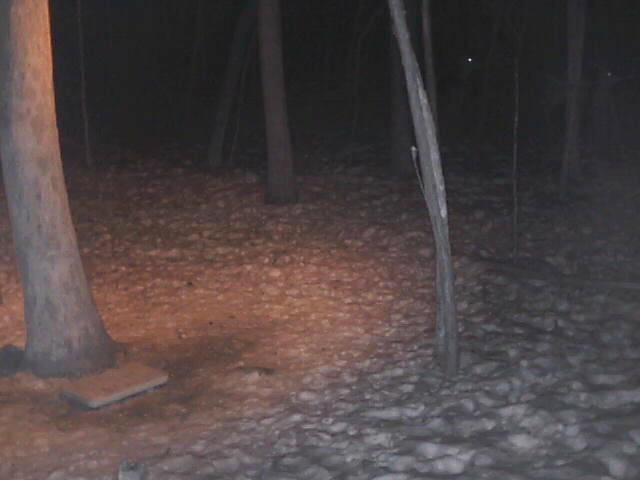 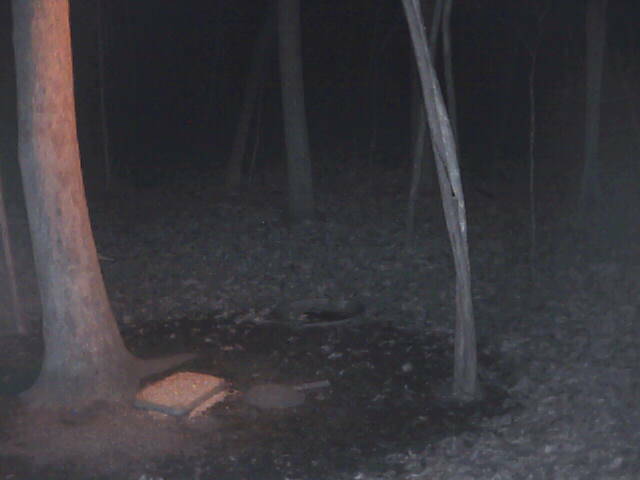 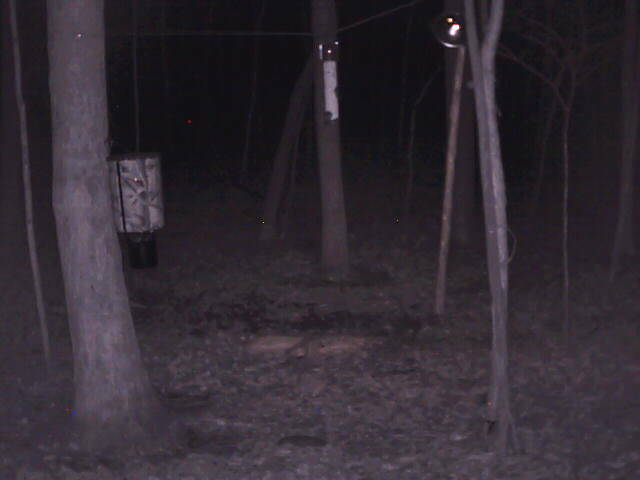 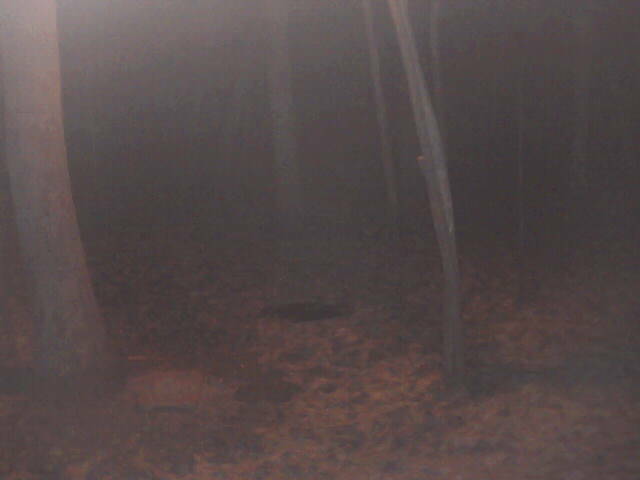 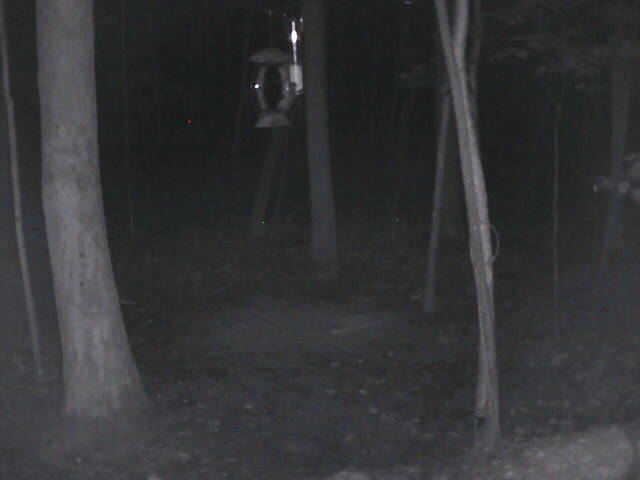 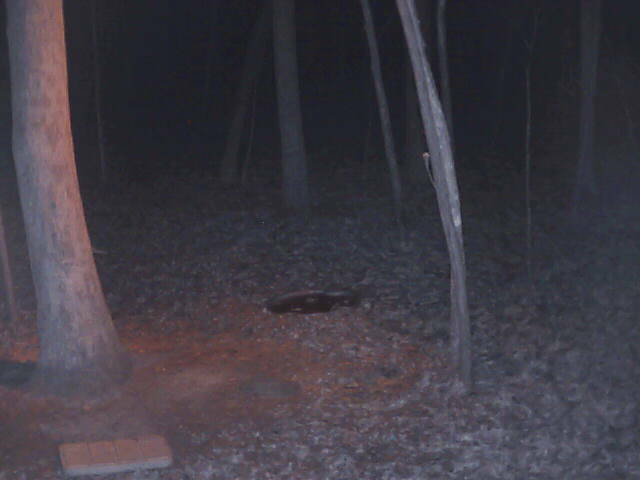 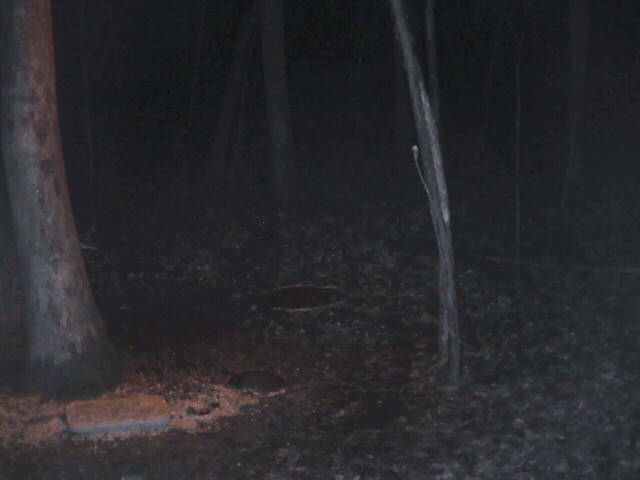 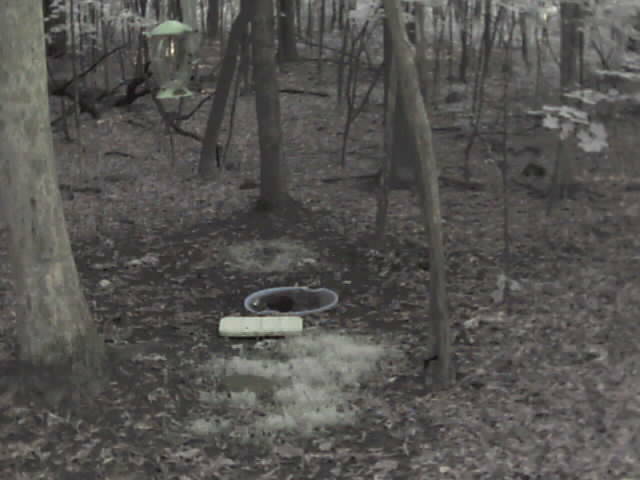 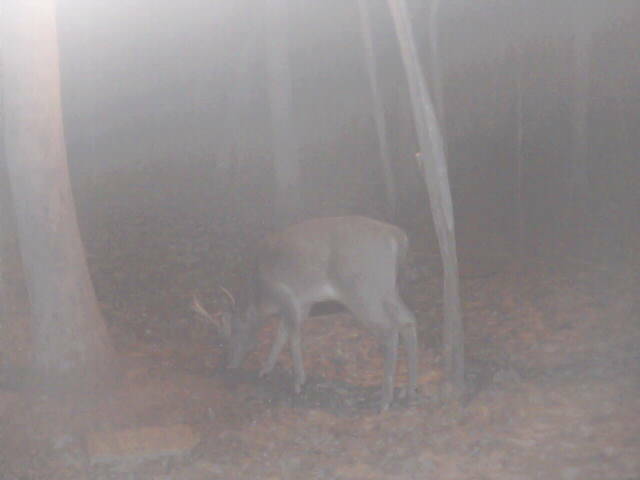 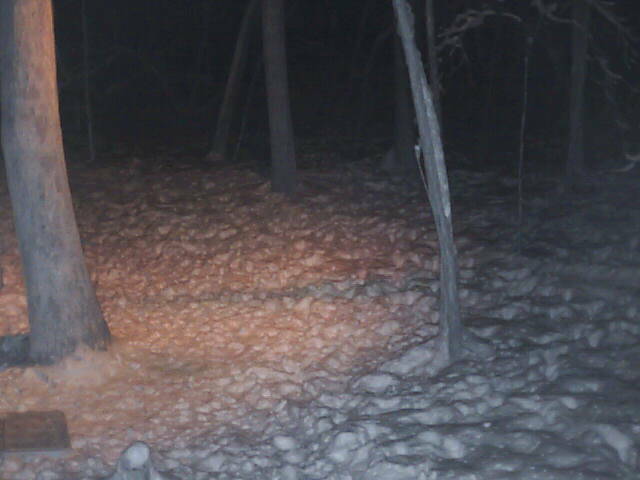 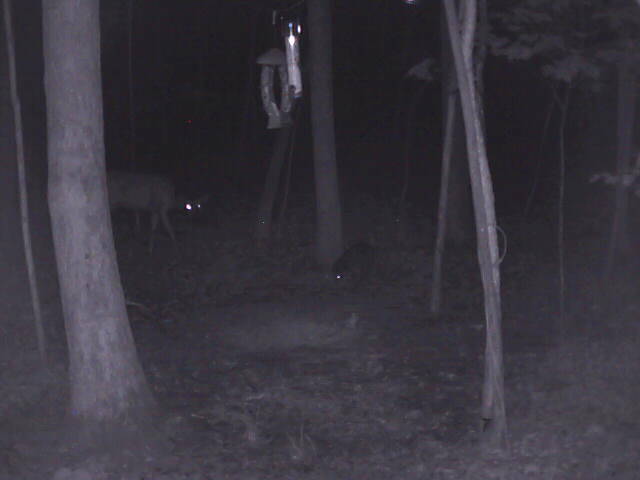 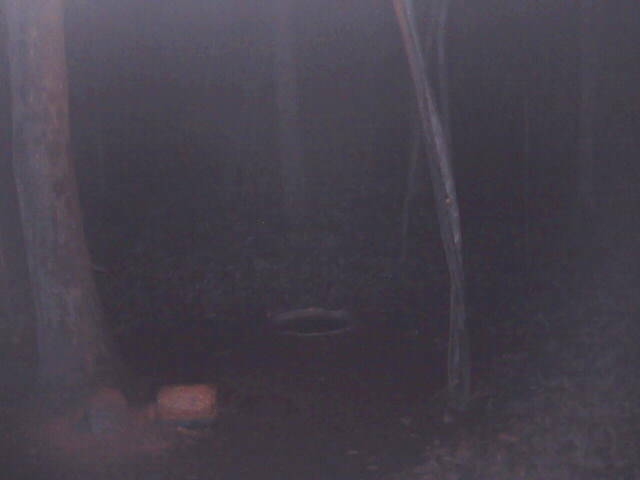 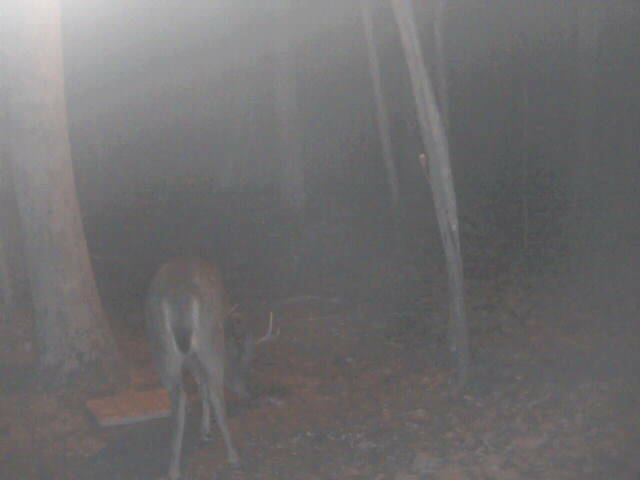 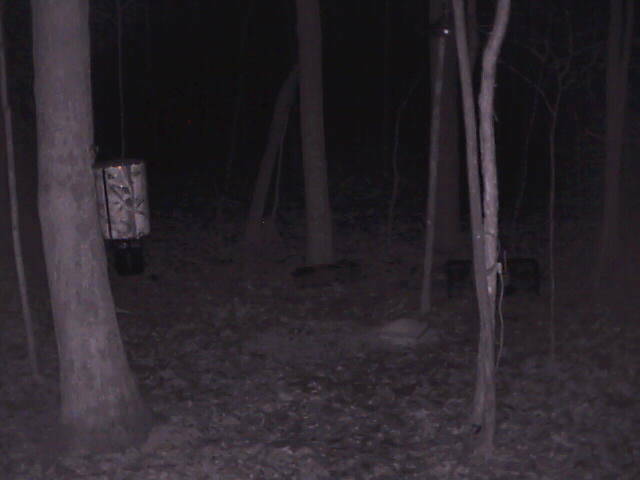 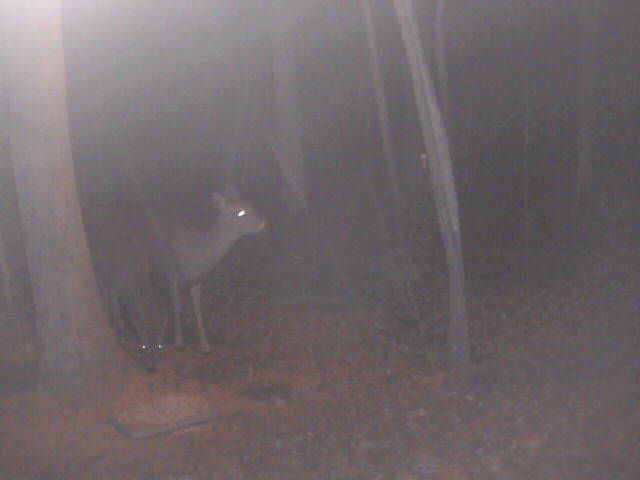 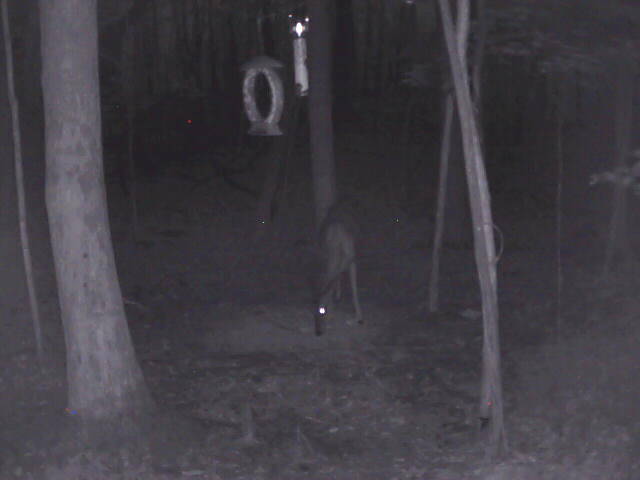 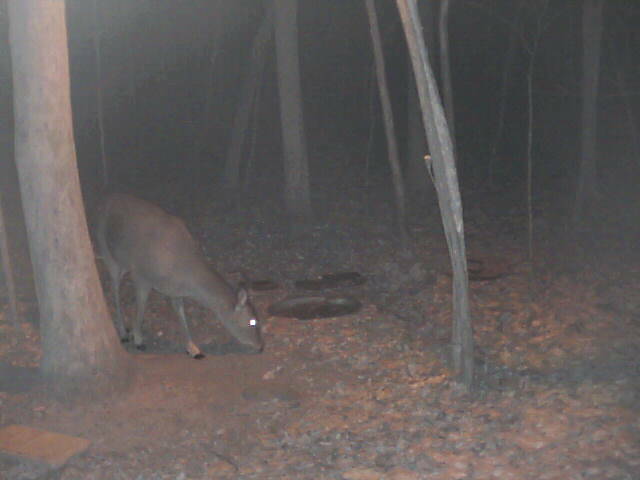 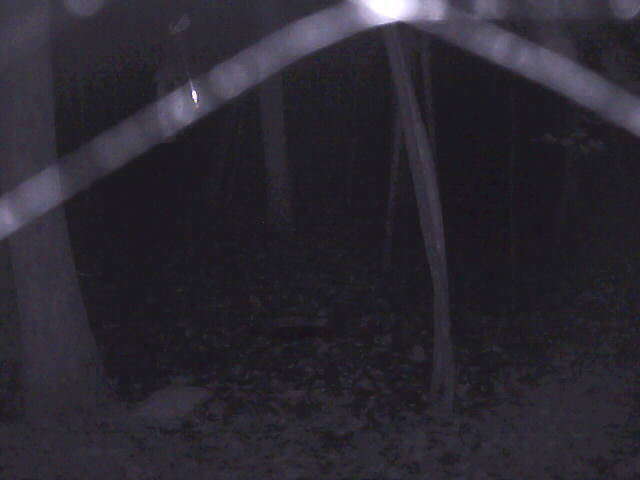 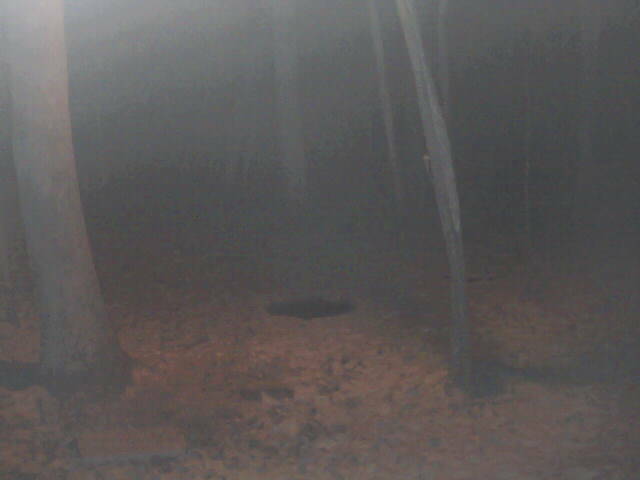 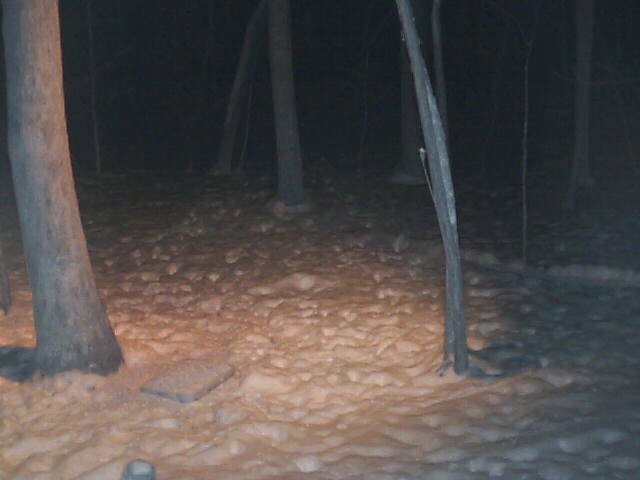 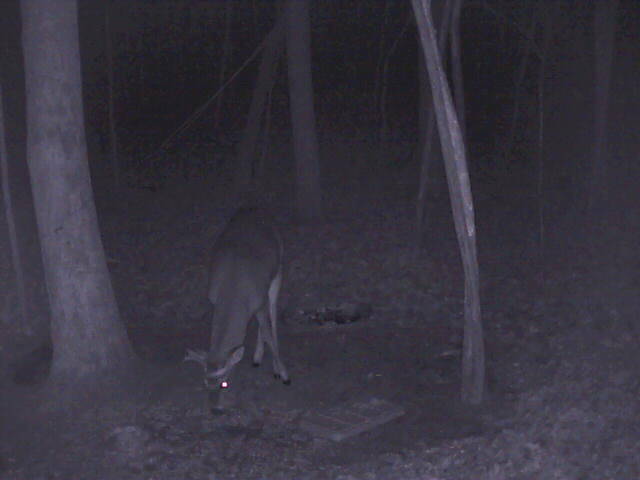 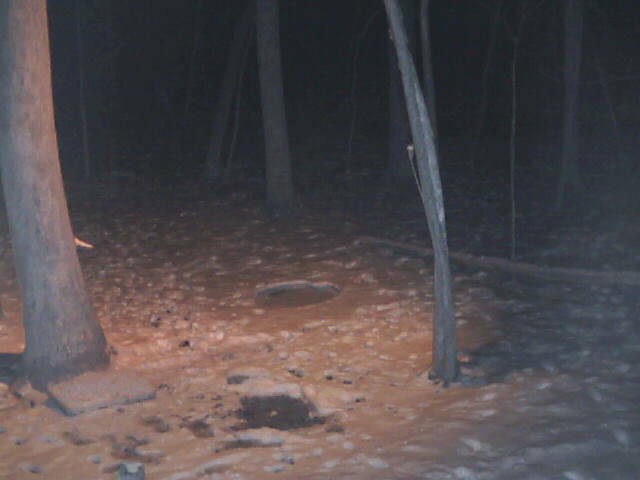 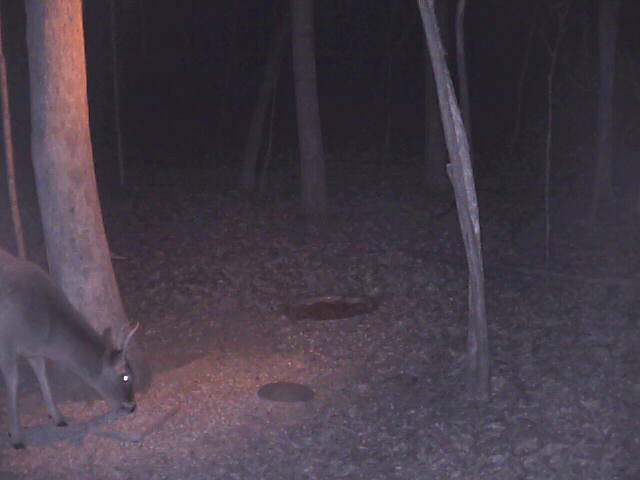 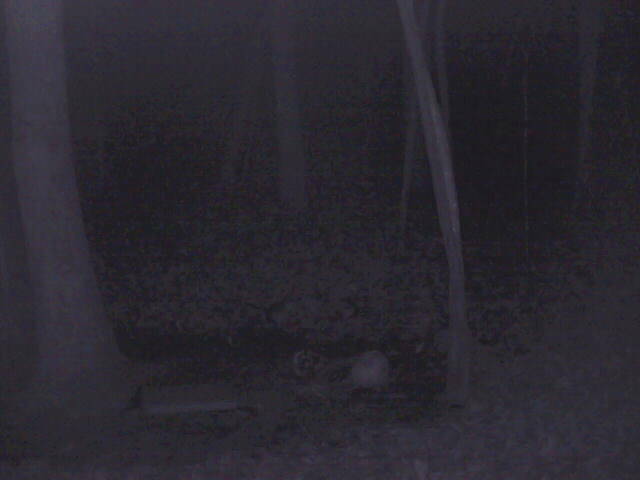 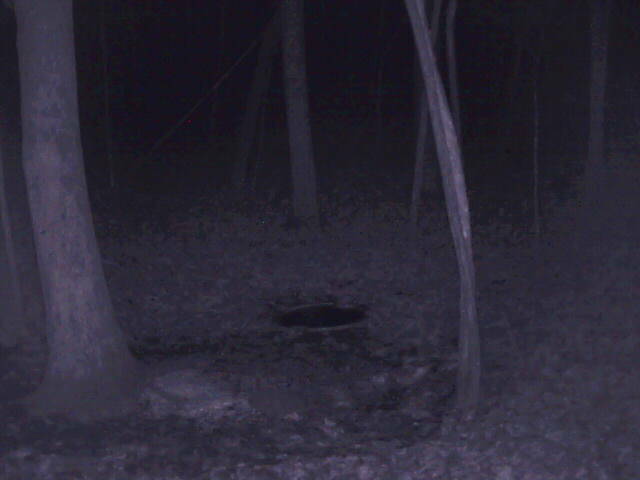 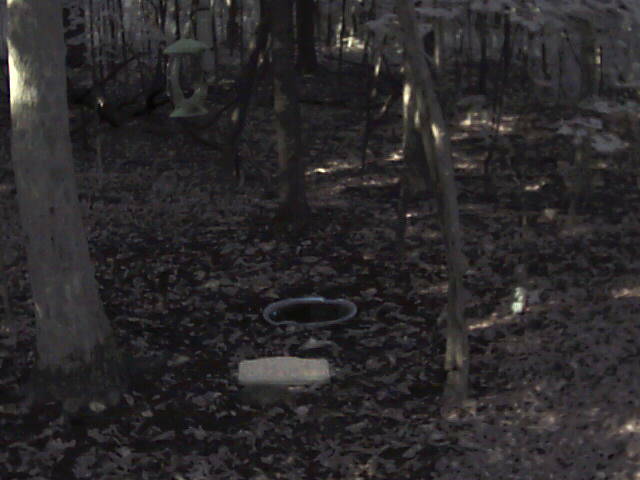 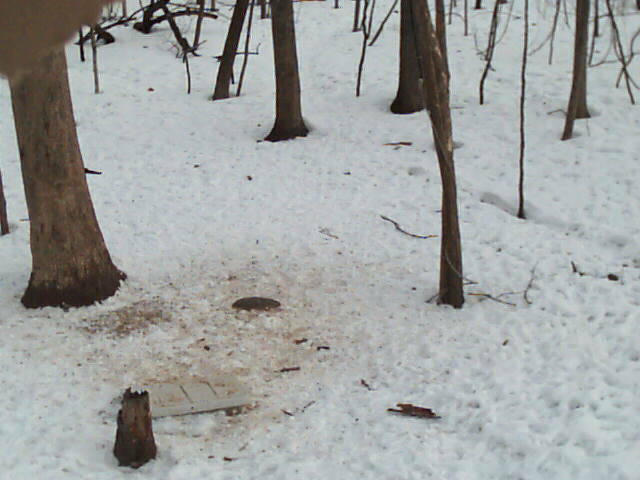 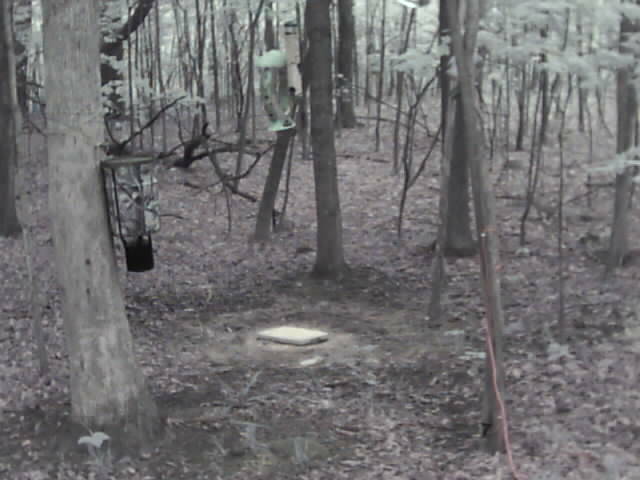 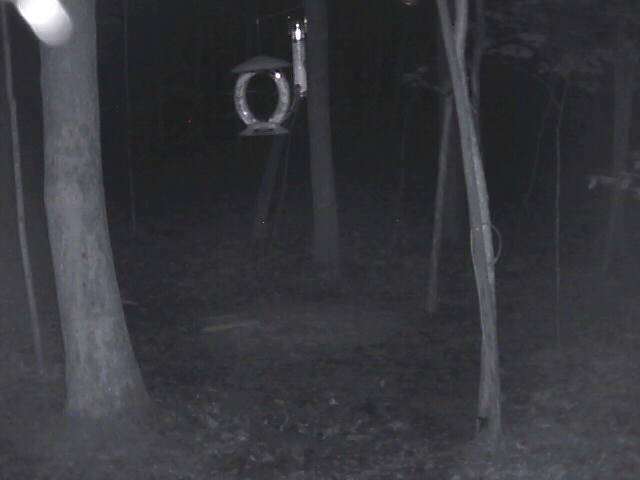 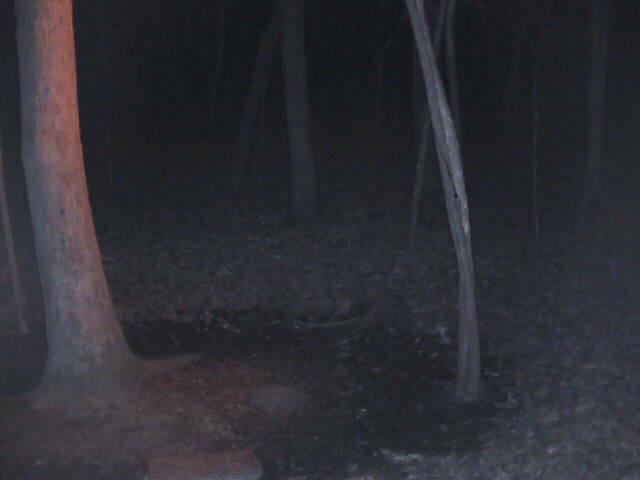 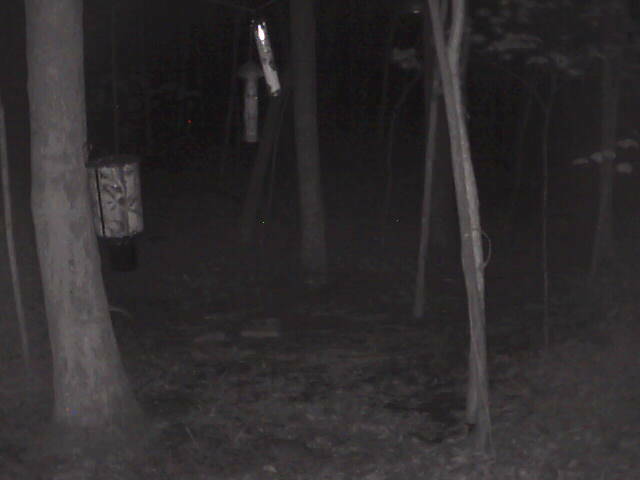 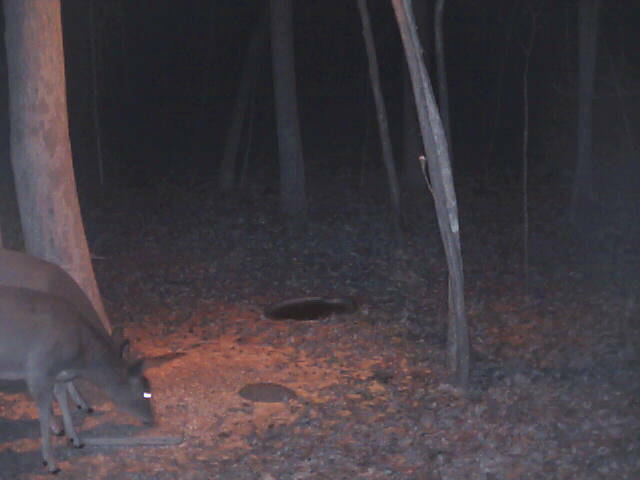 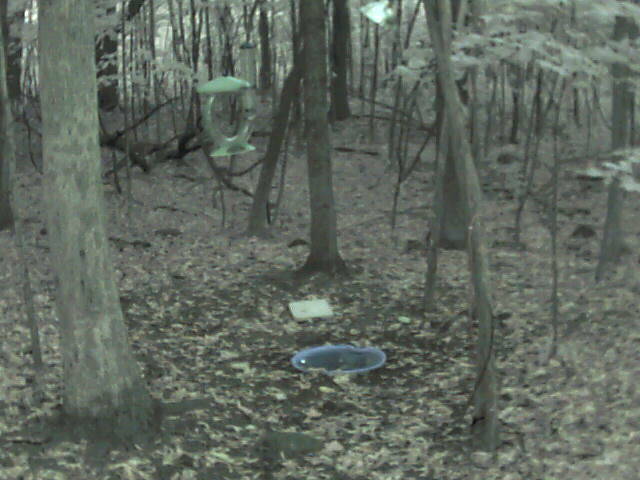 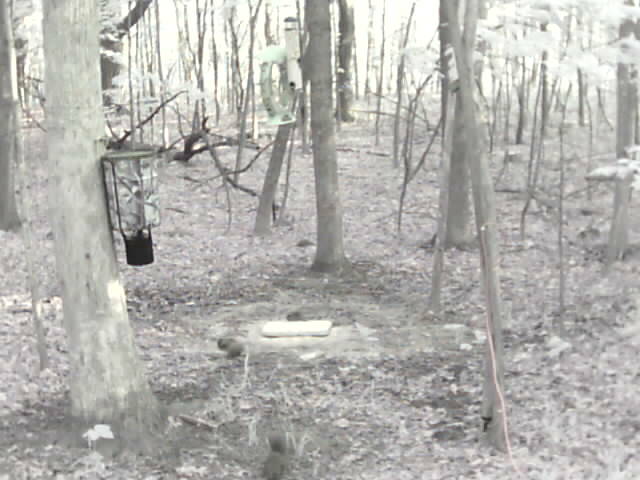 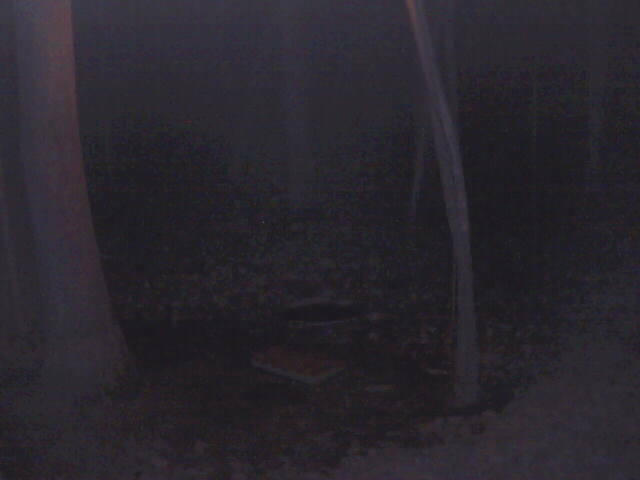 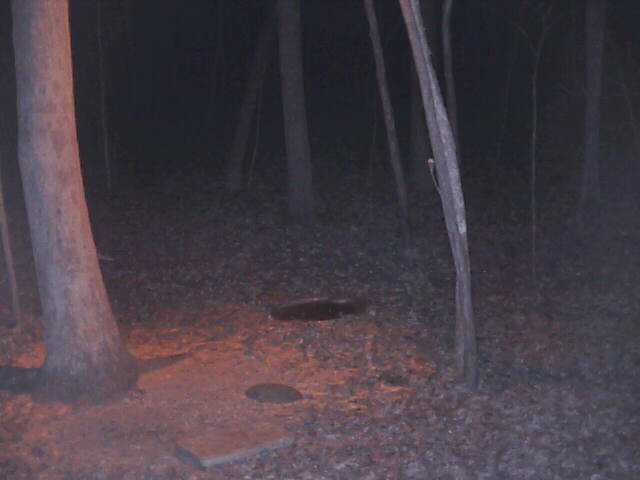 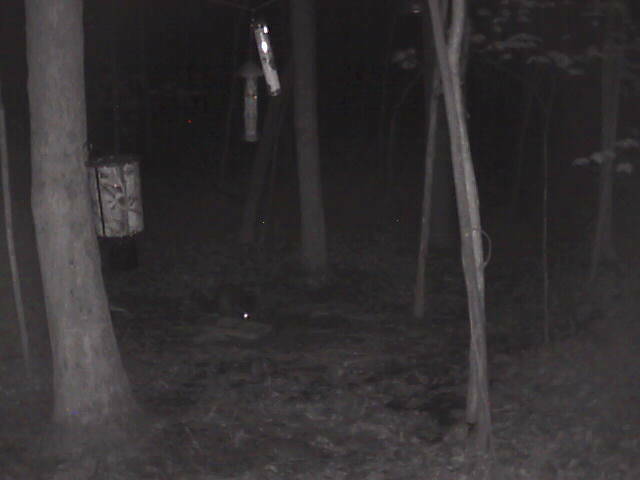 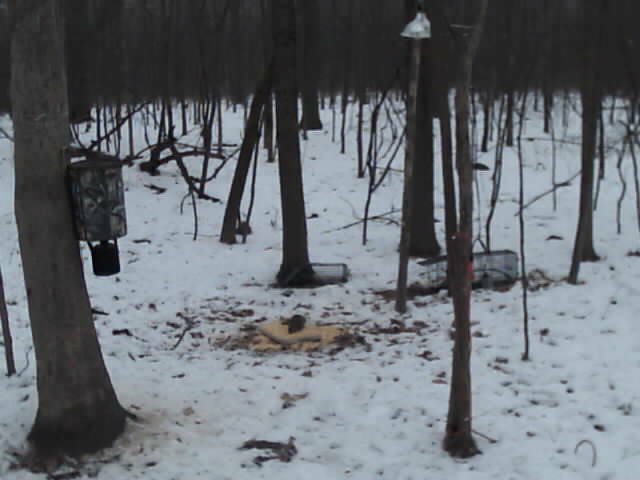 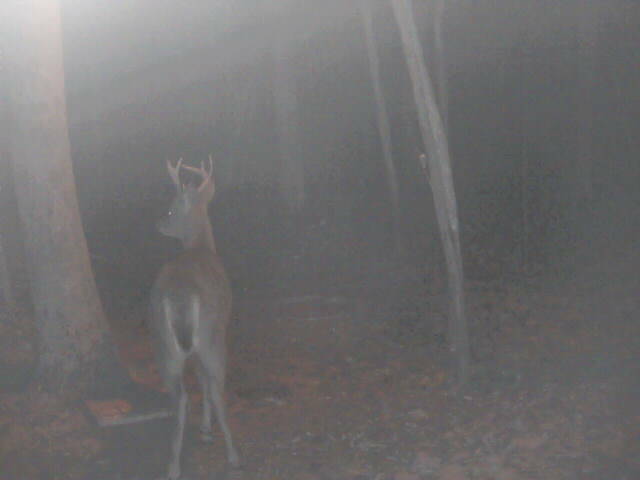 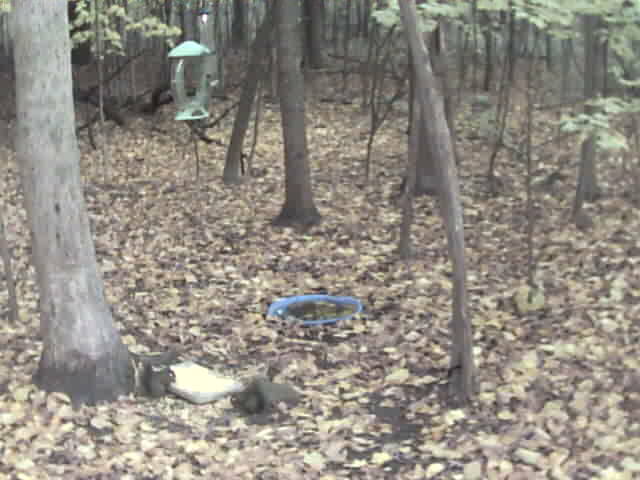 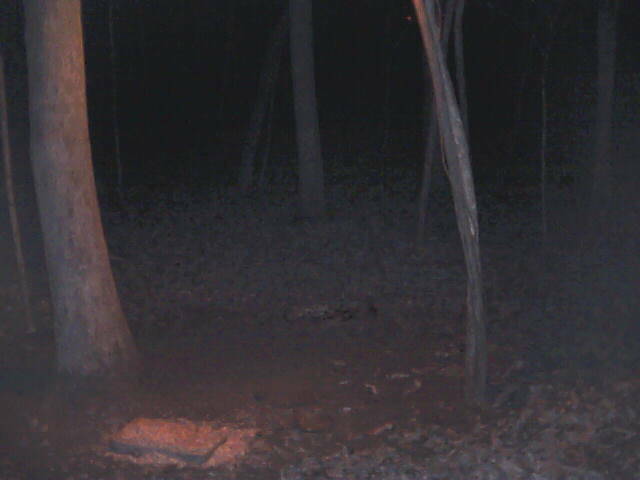 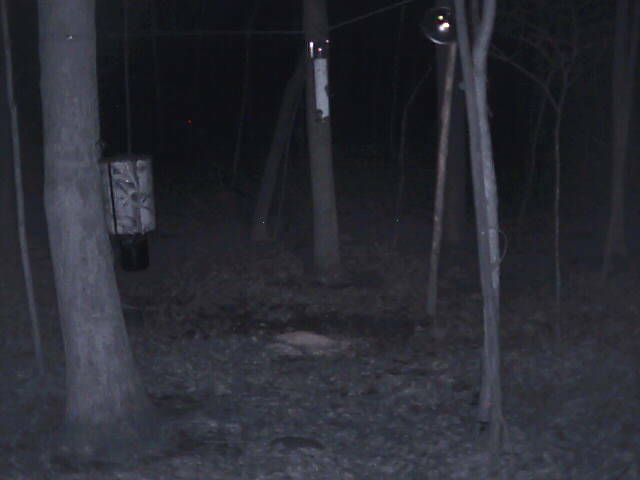 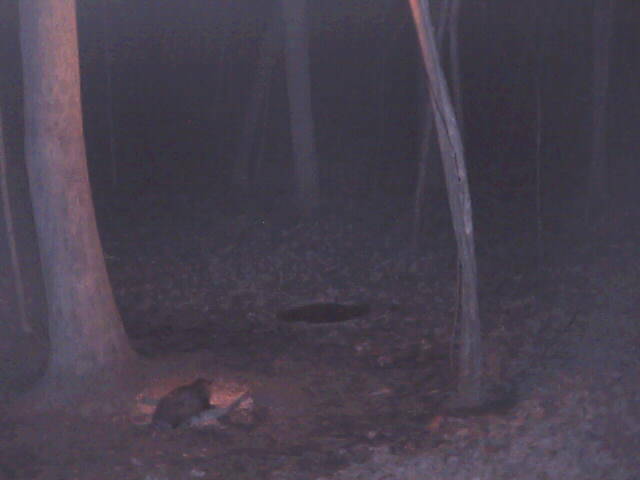 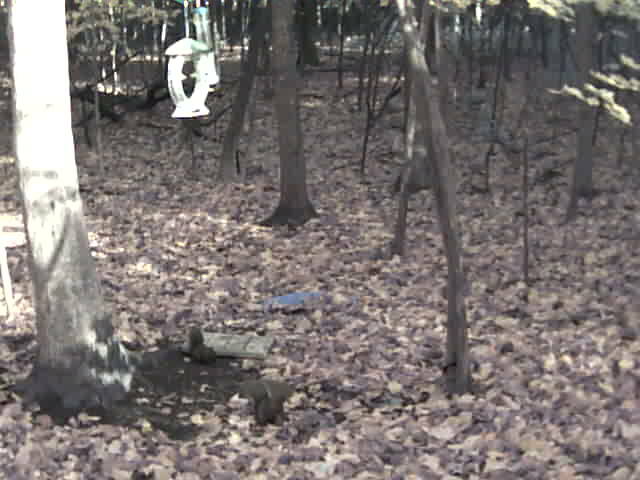 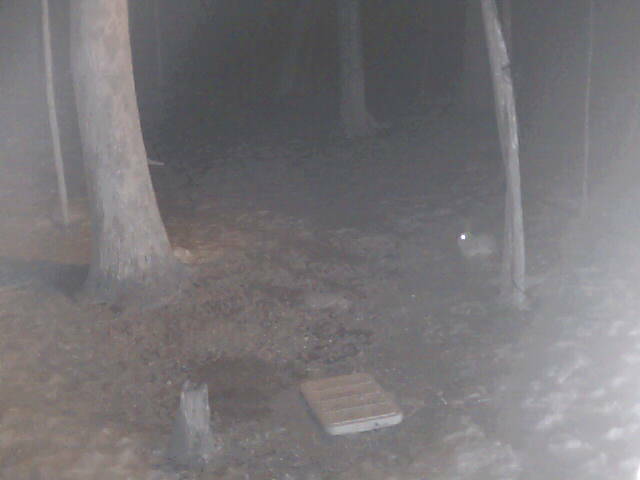 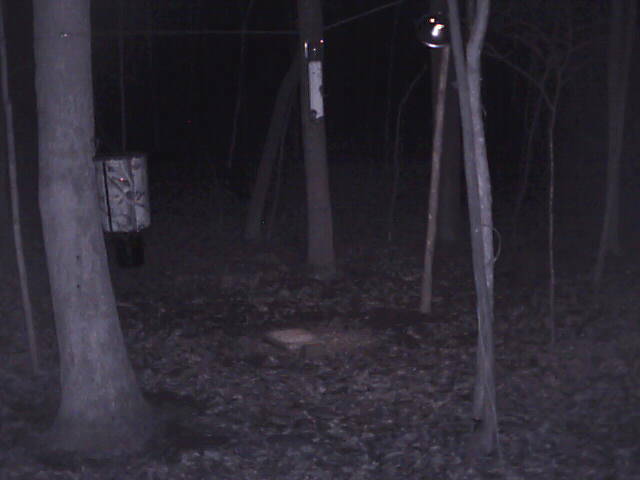 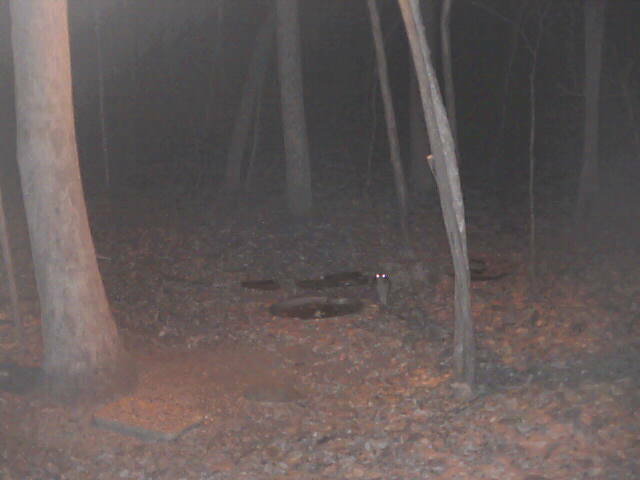 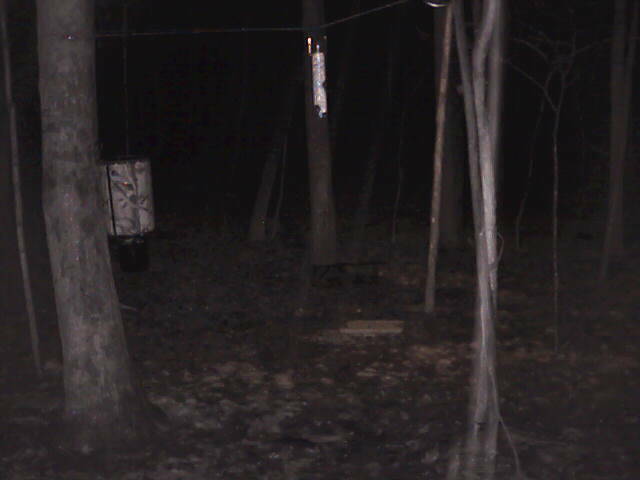 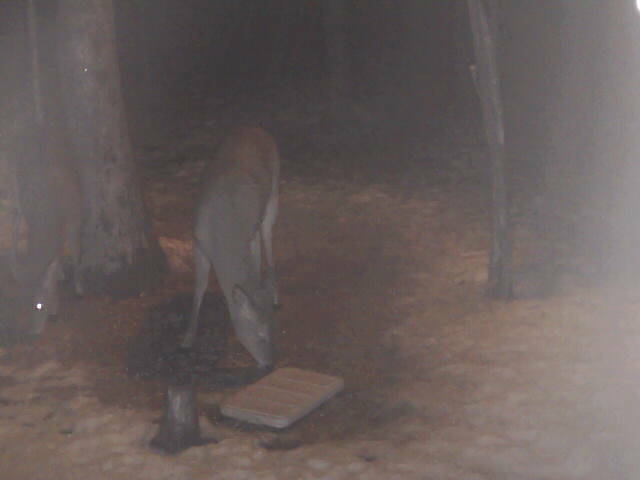 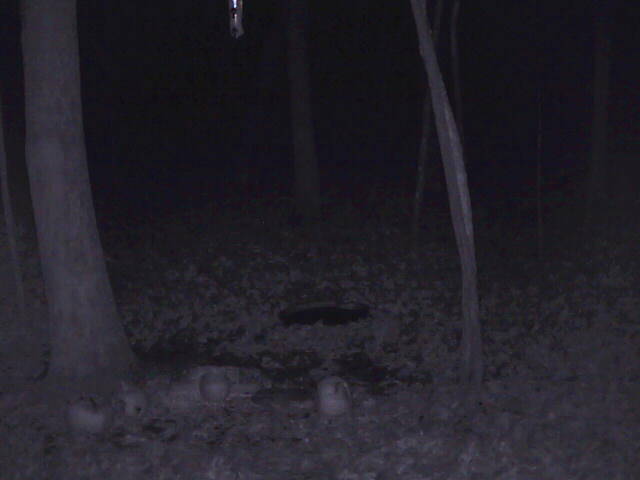 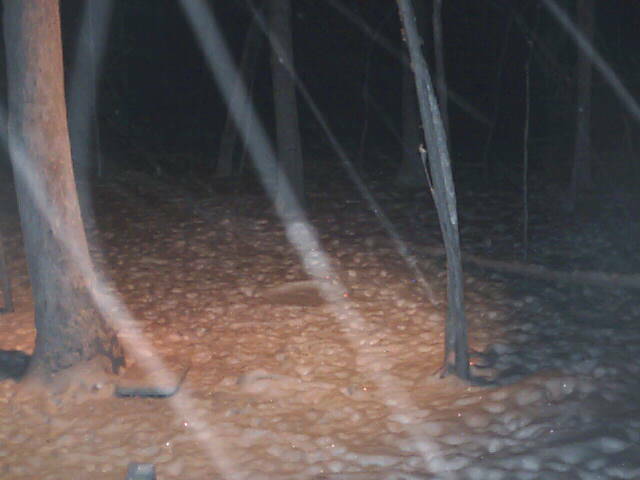 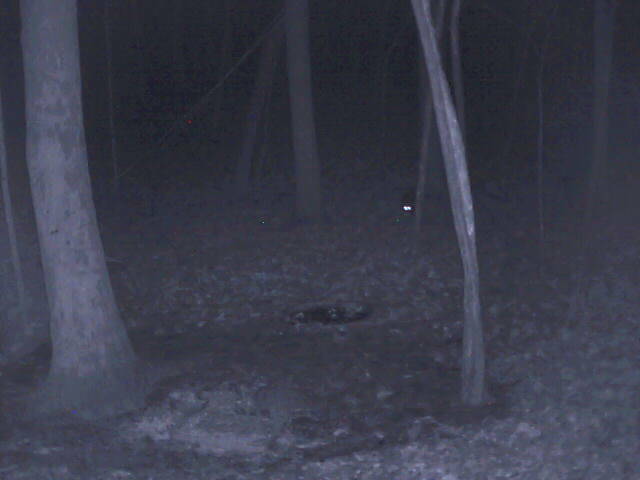 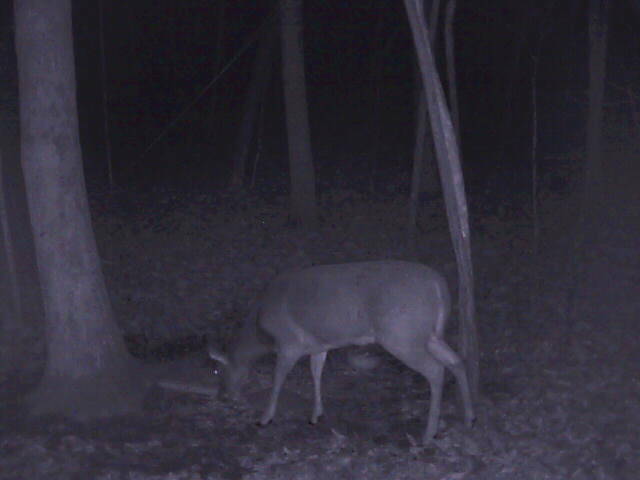 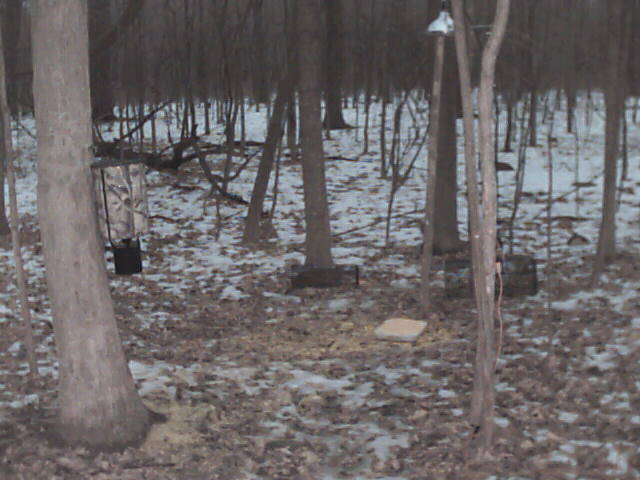 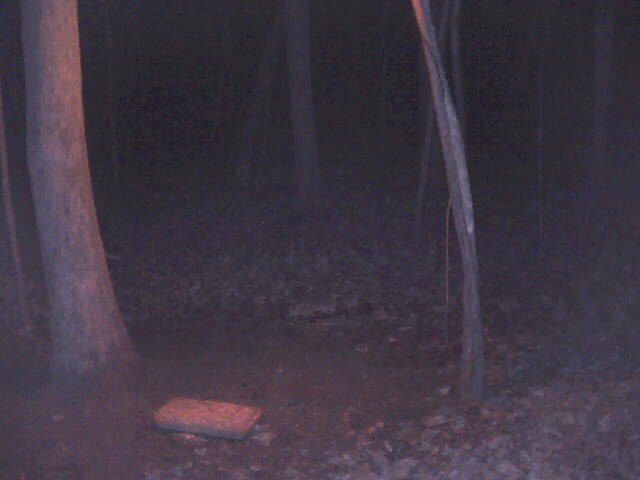 Little doe at the deercam! Big Buck in the background!! 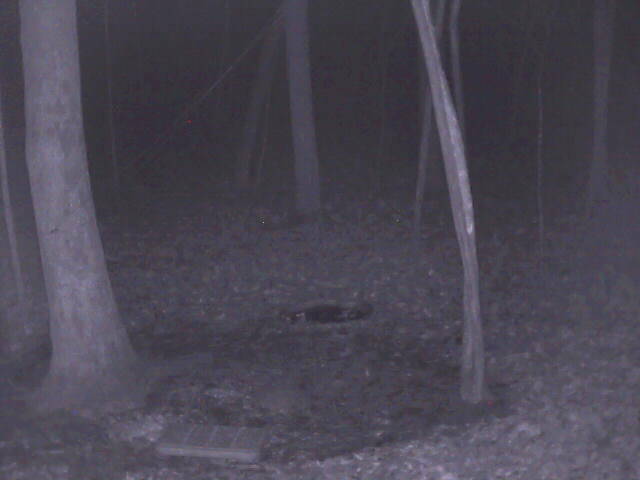 Say hi to miss black hoolves!! 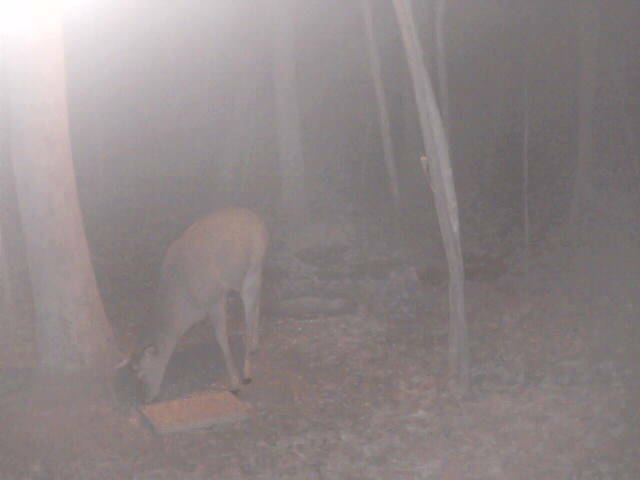 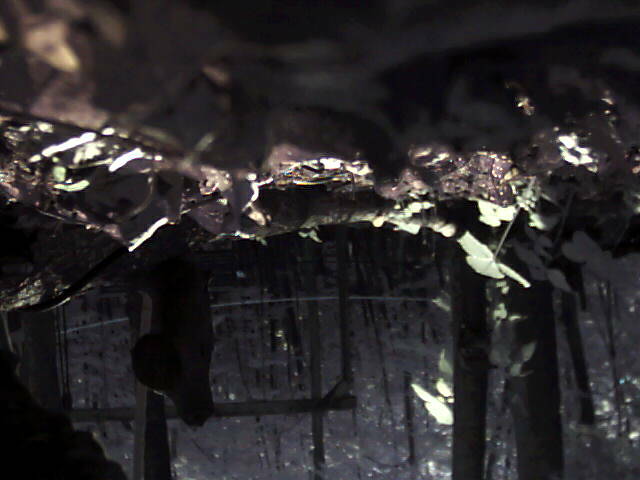 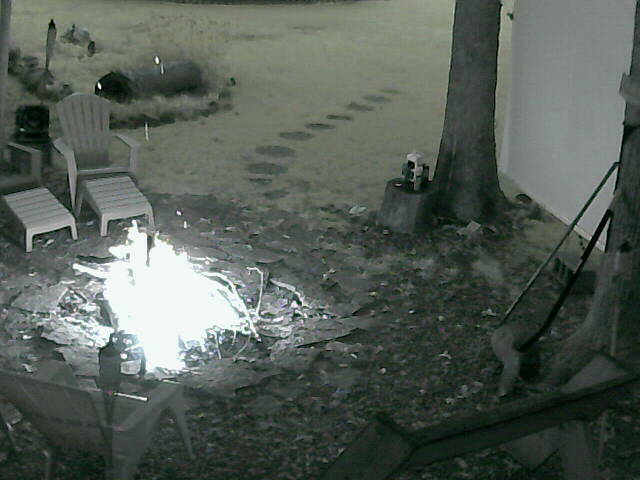 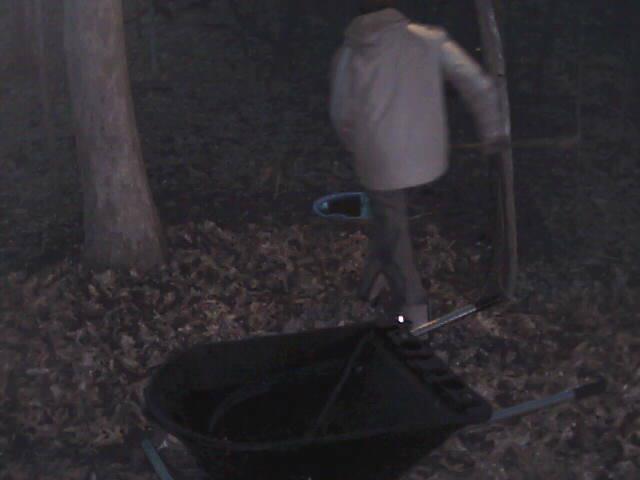 New Year at the deerCam!! 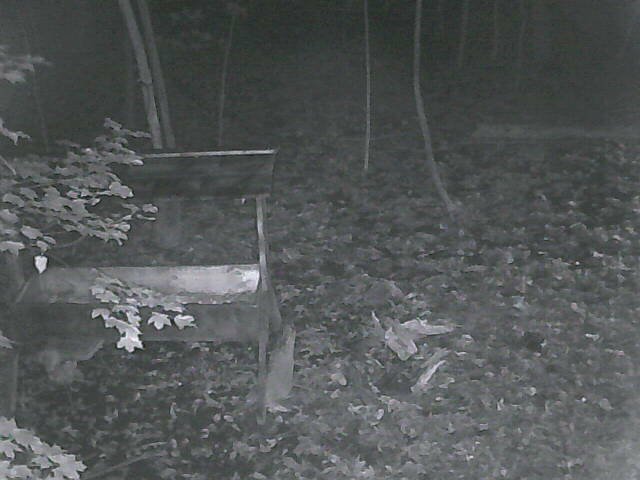 Can't sleep at 4 A.M.? 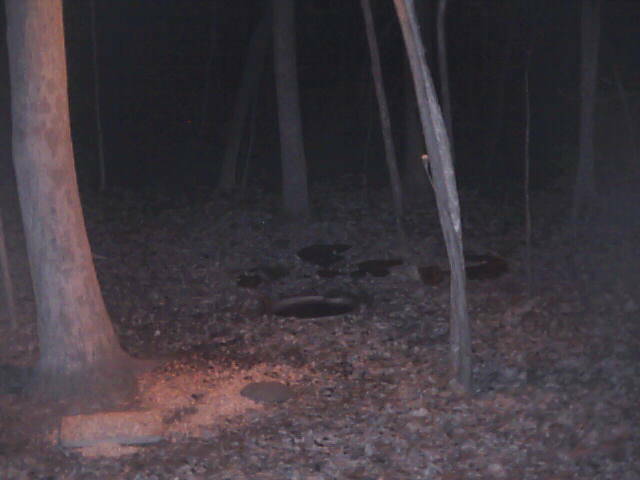 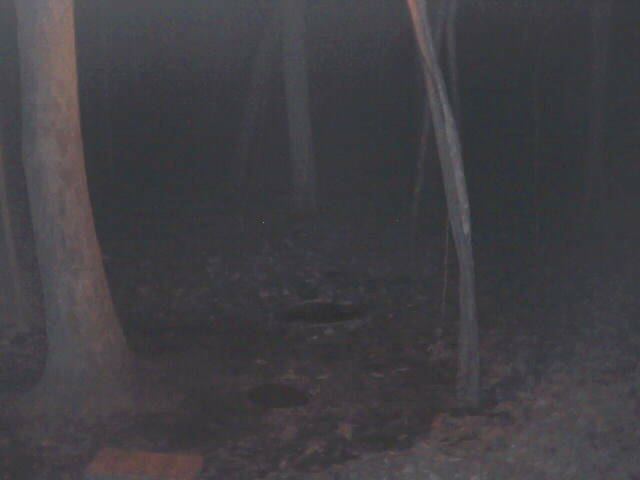 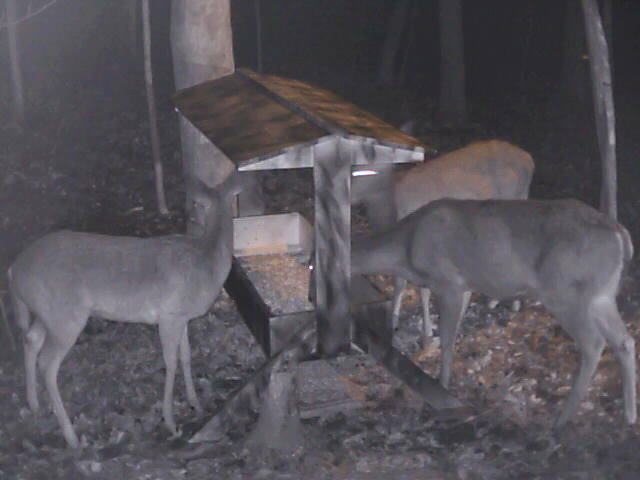 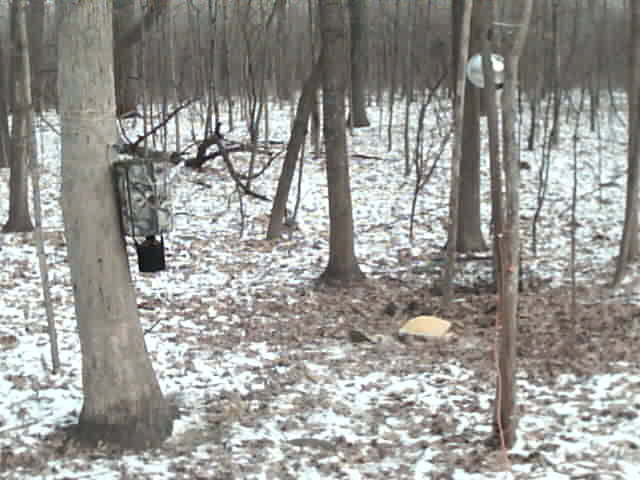 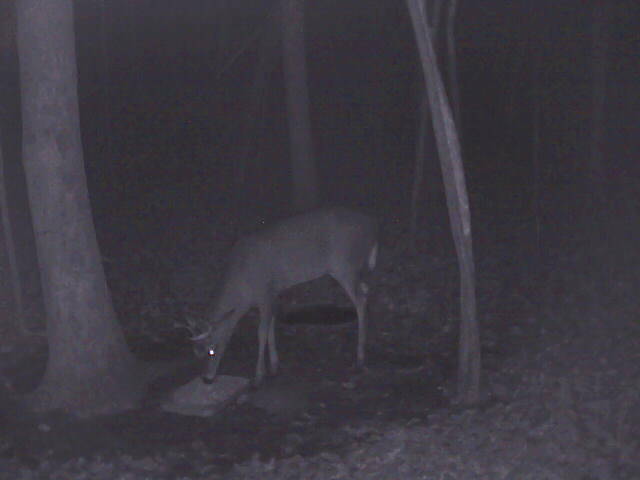 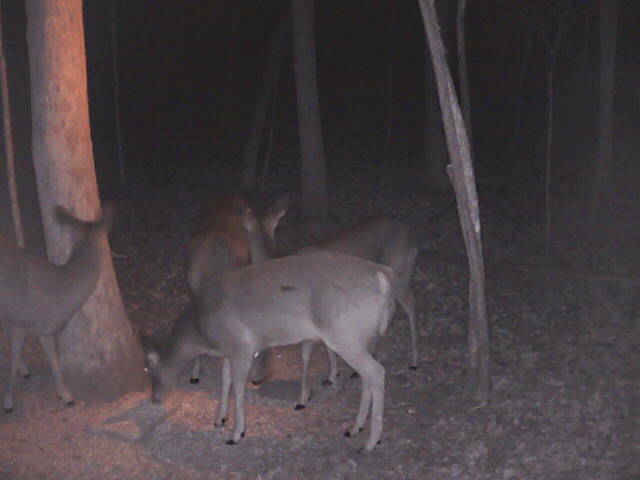 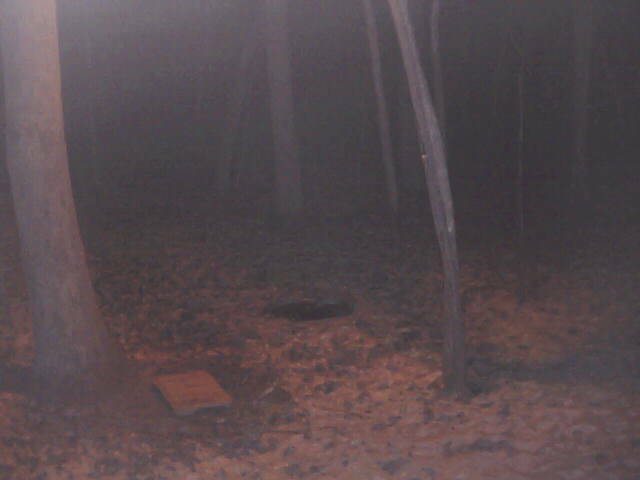 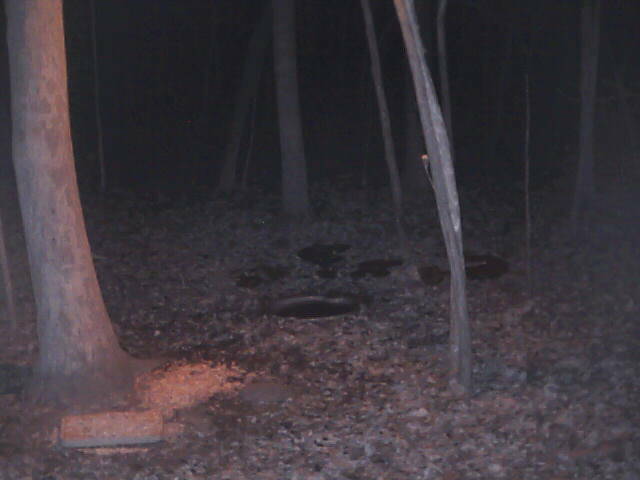 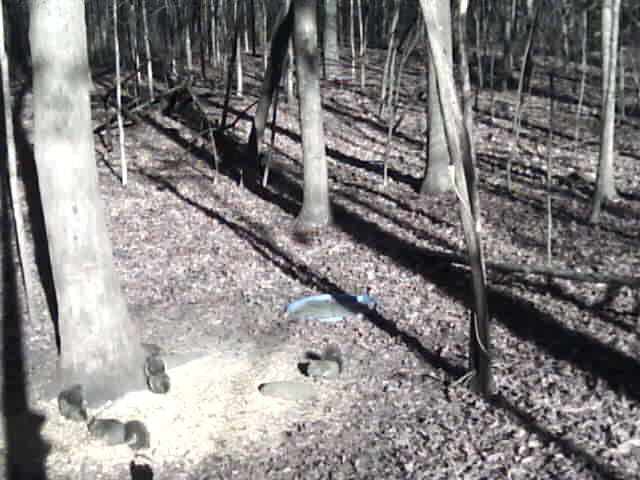 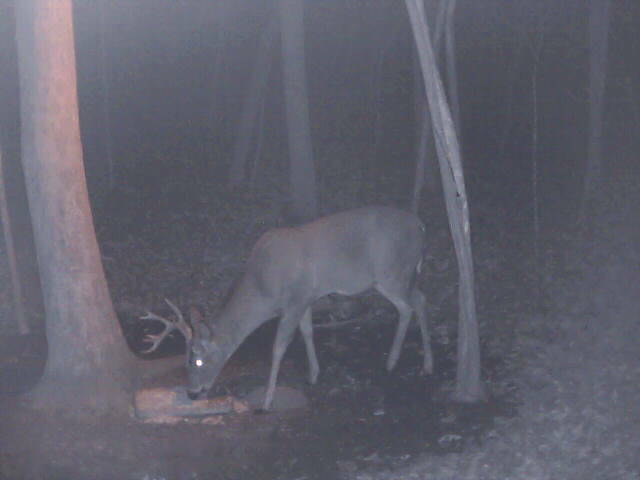 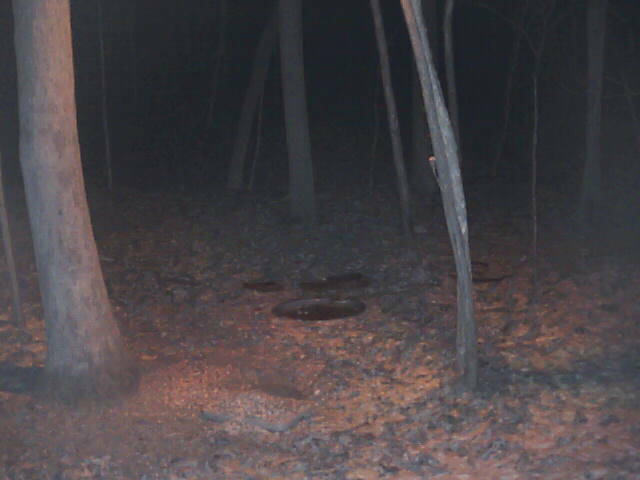 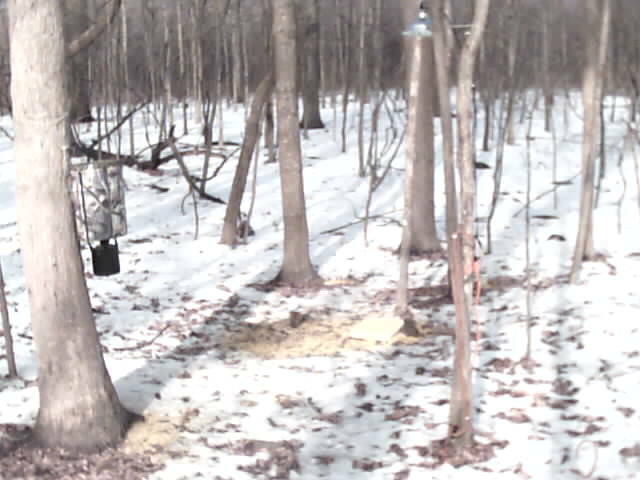 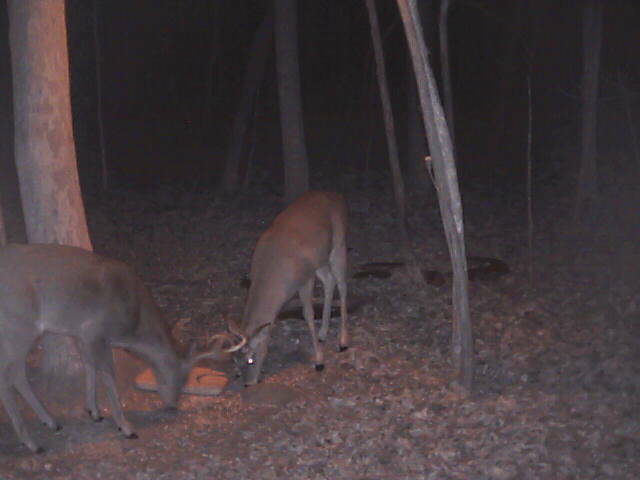 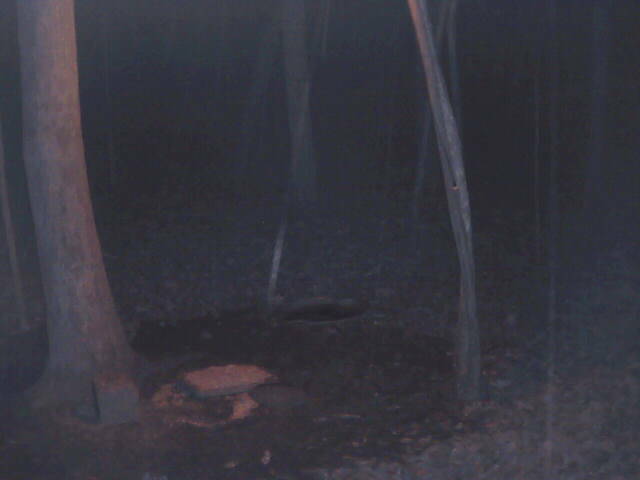 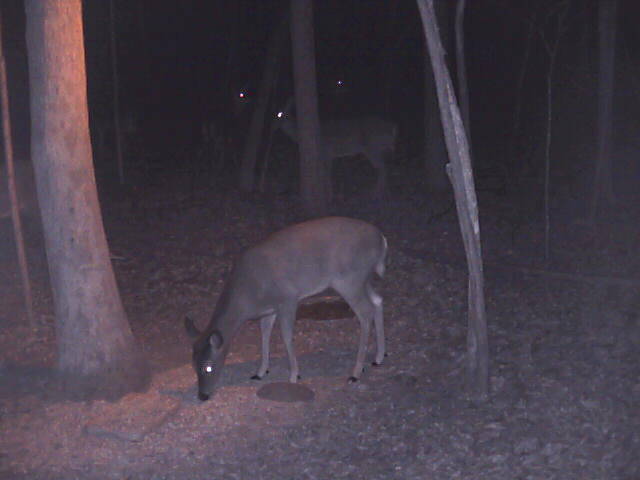 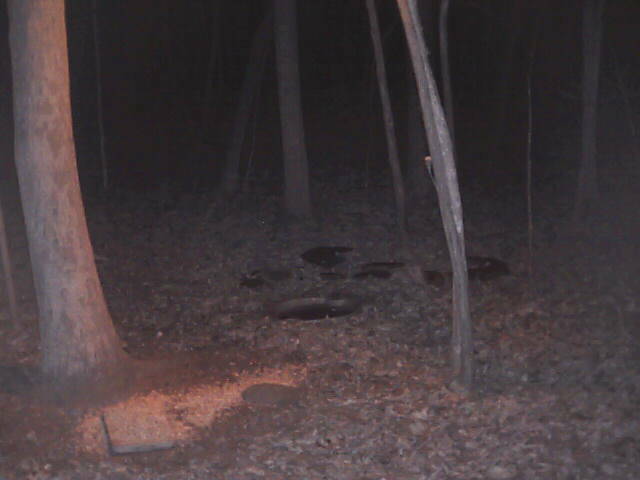 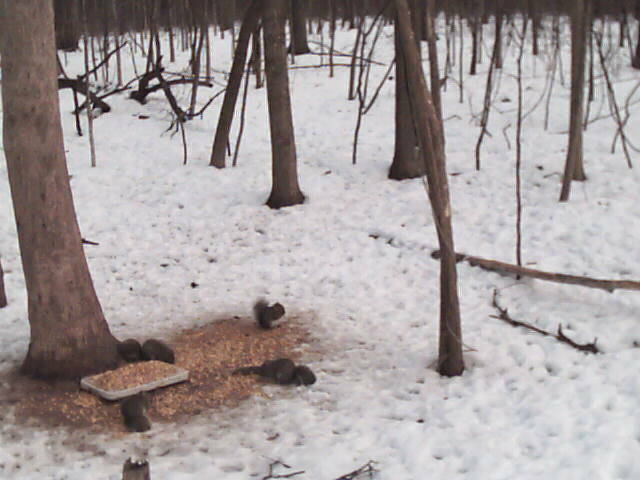 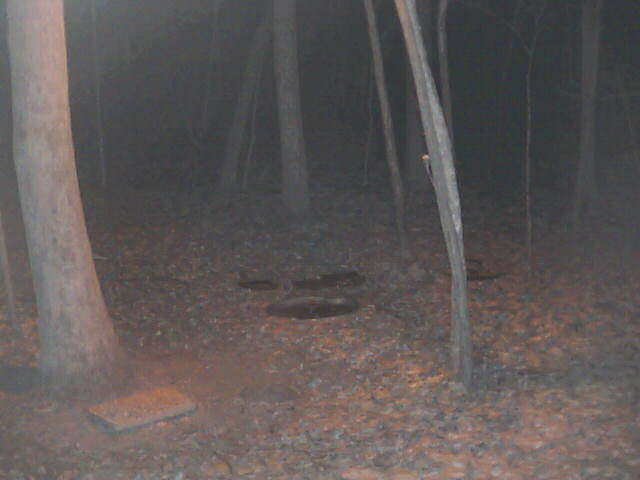 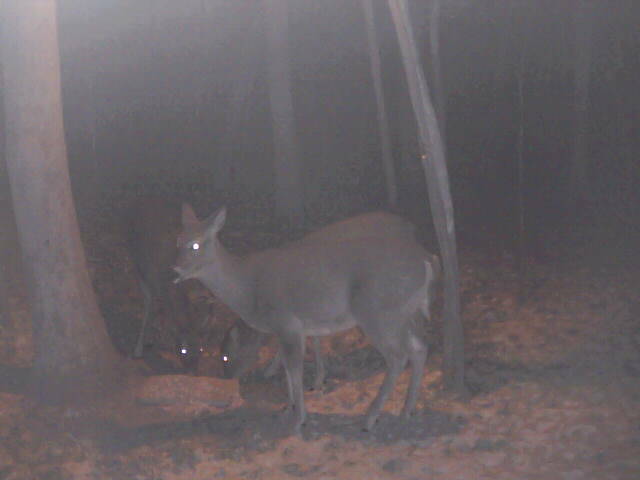 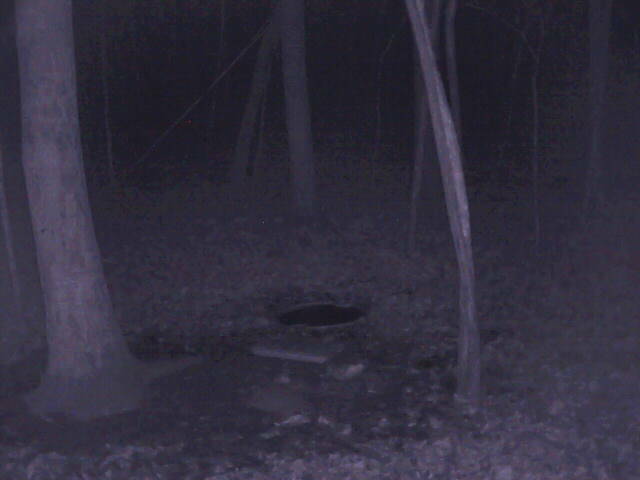 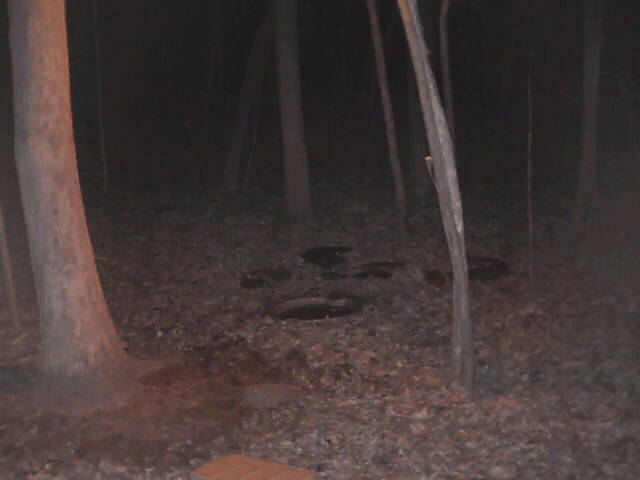 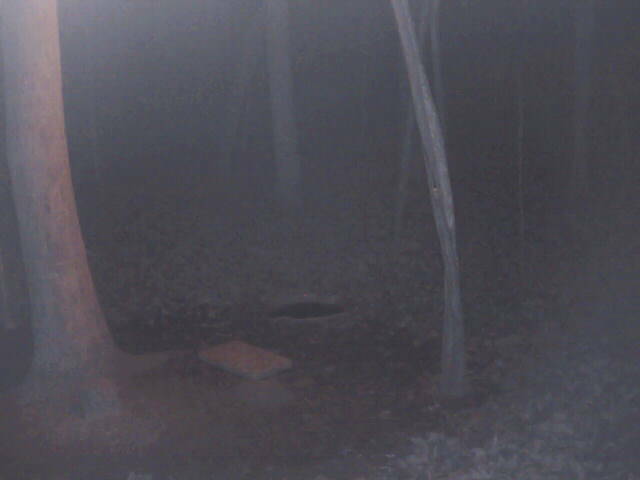 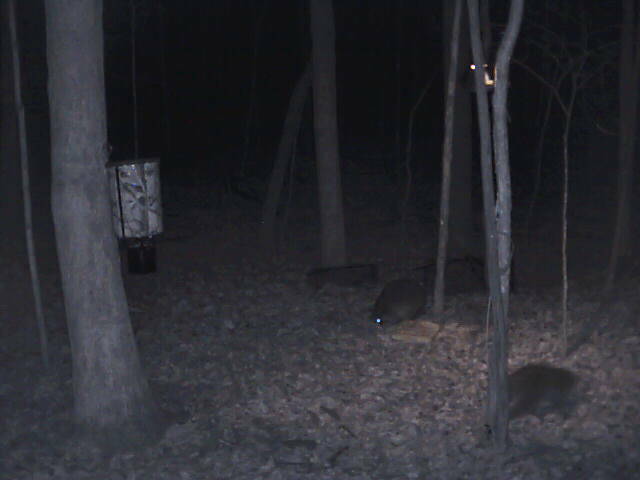 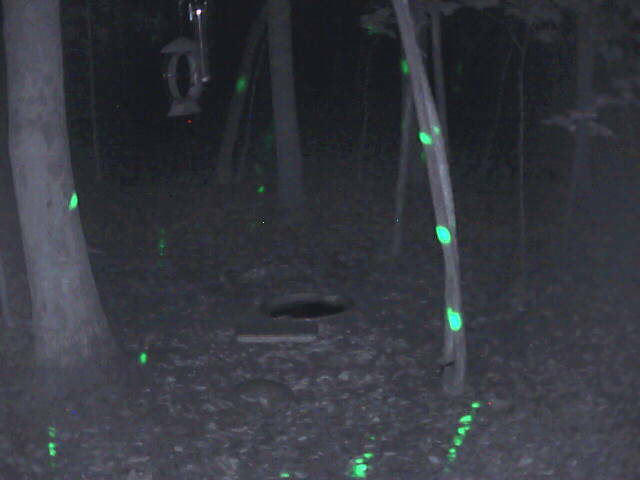 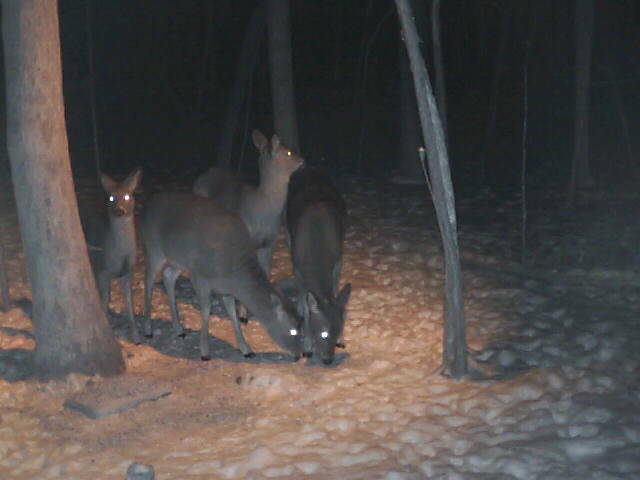 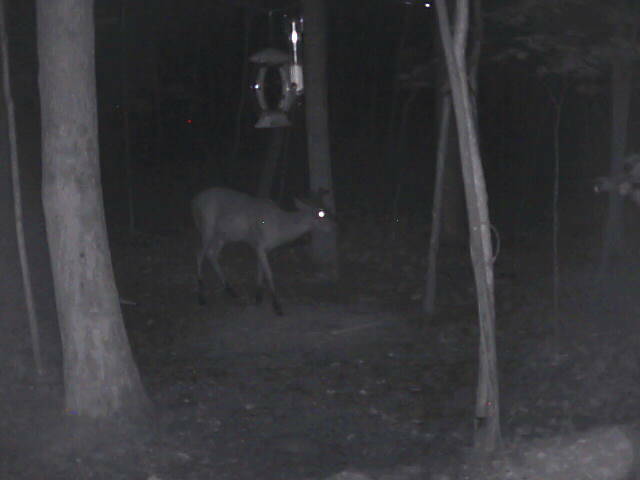 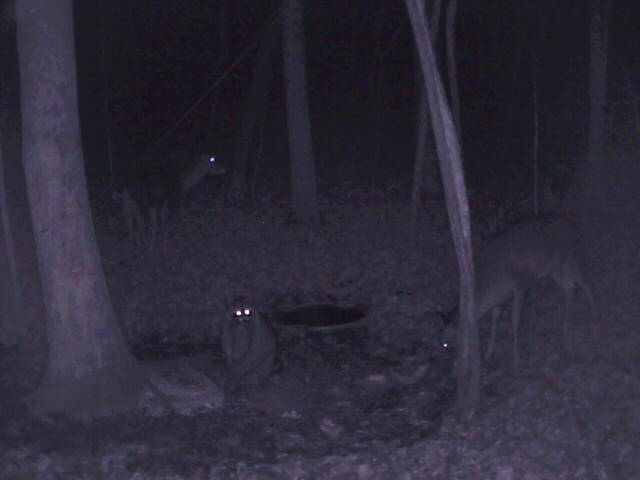 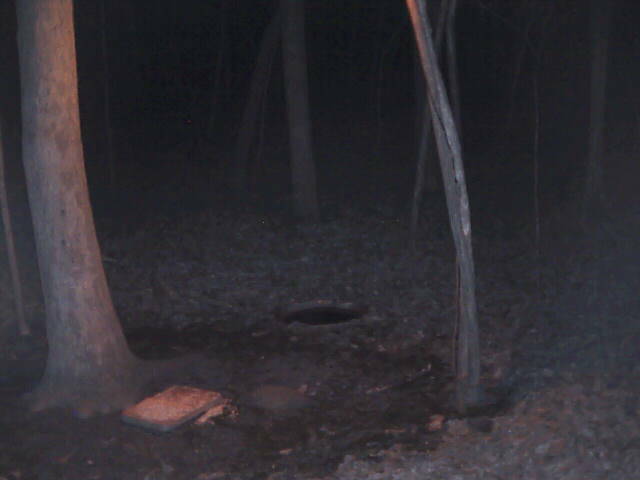 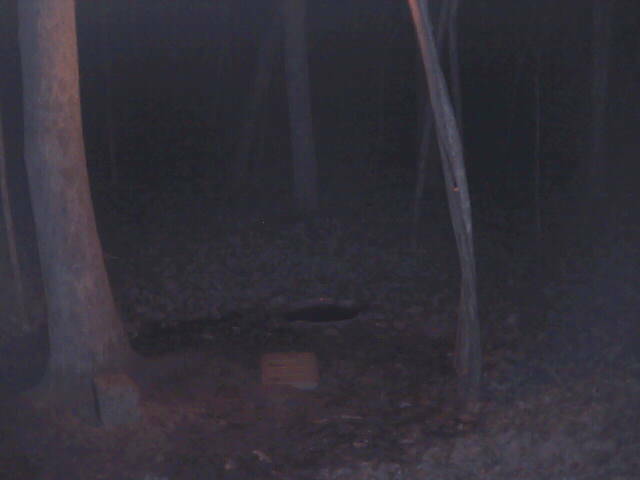 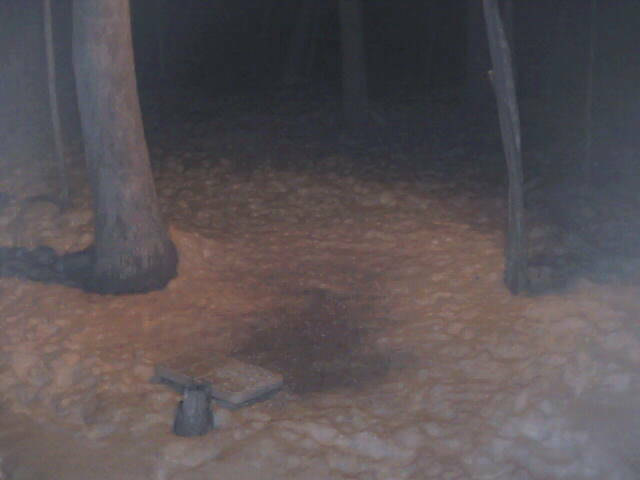 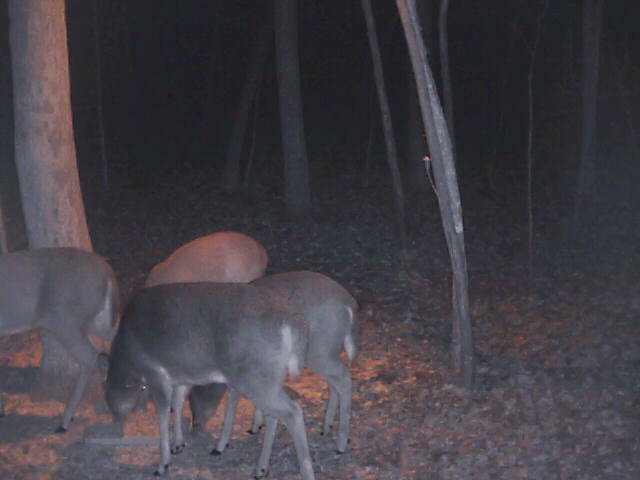 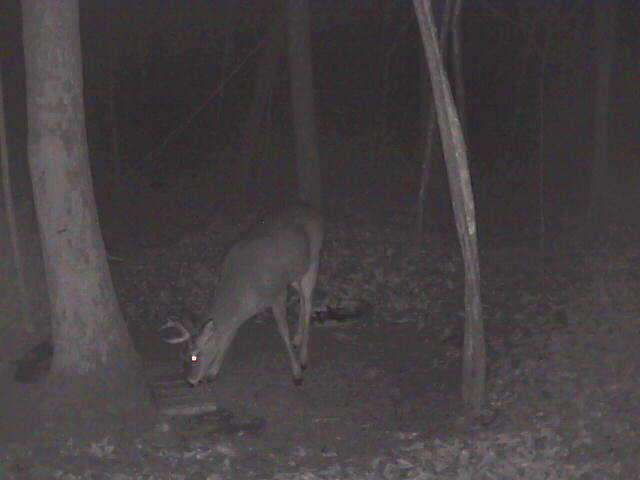 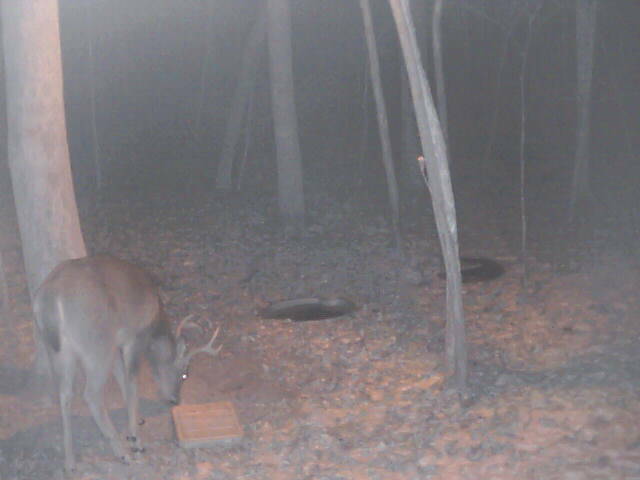 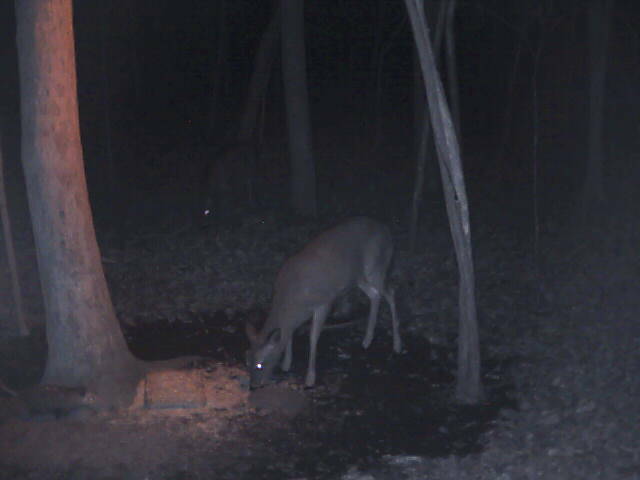 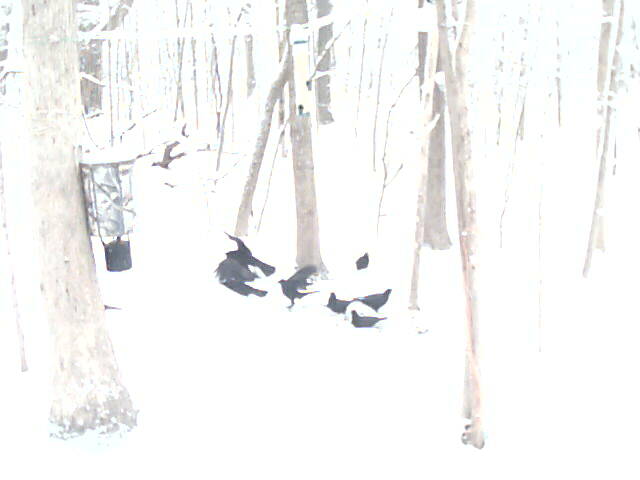 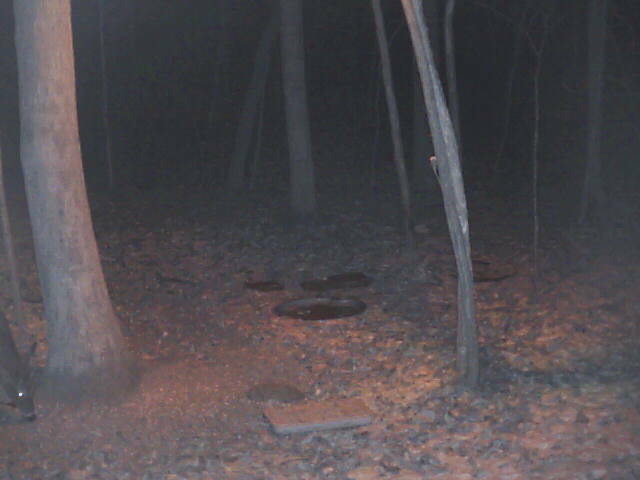 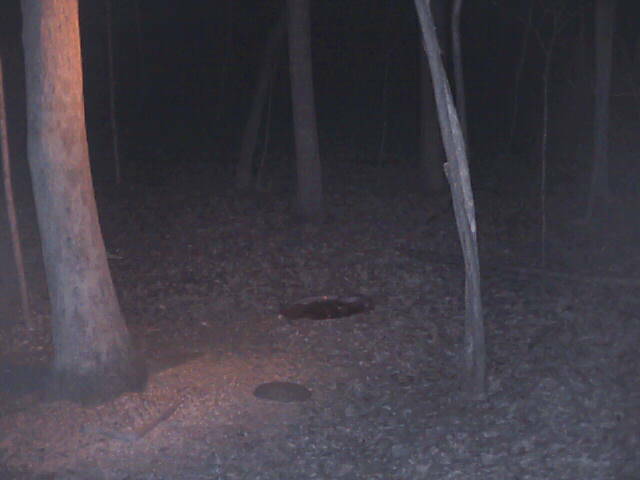 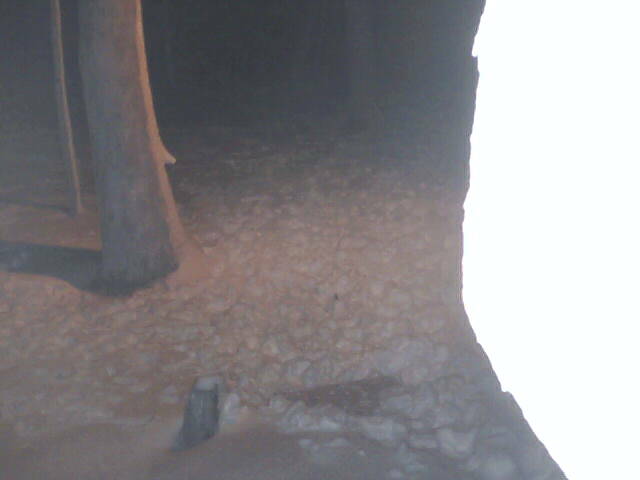 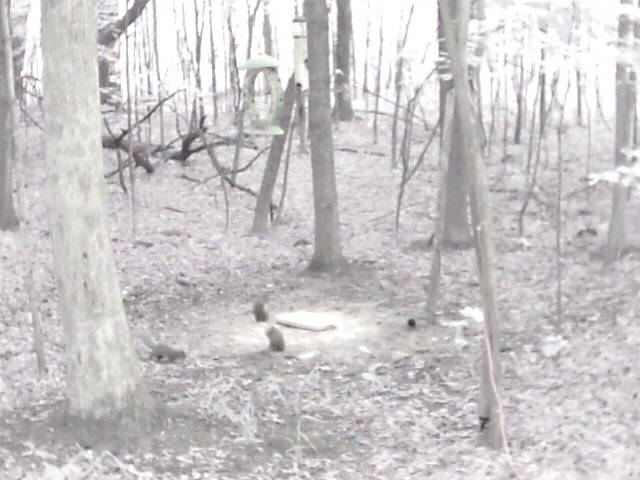 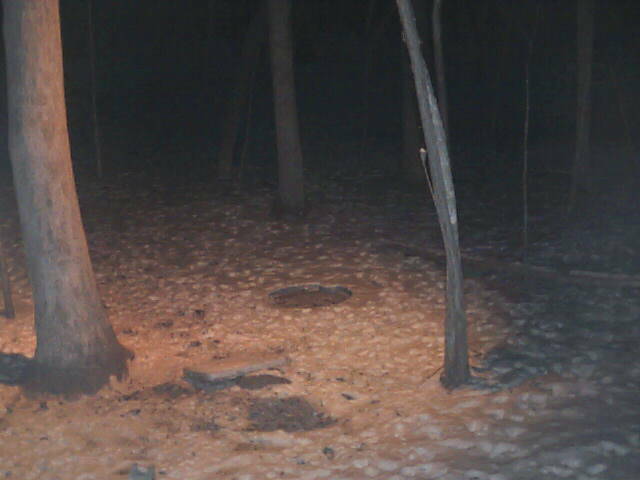 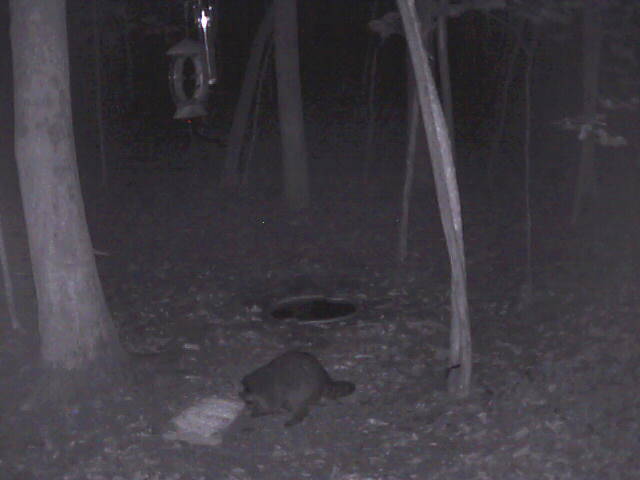 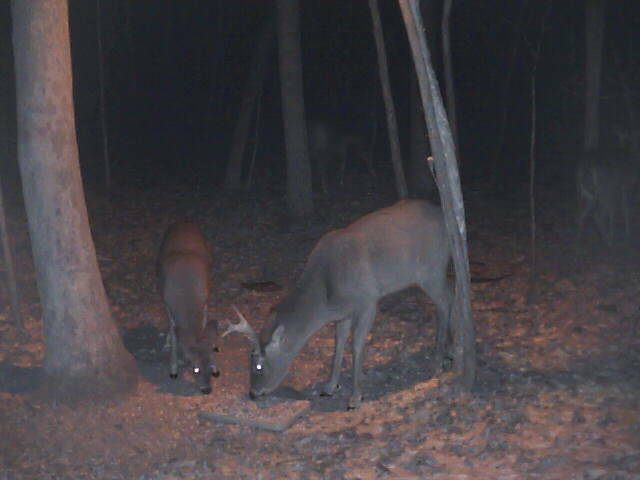 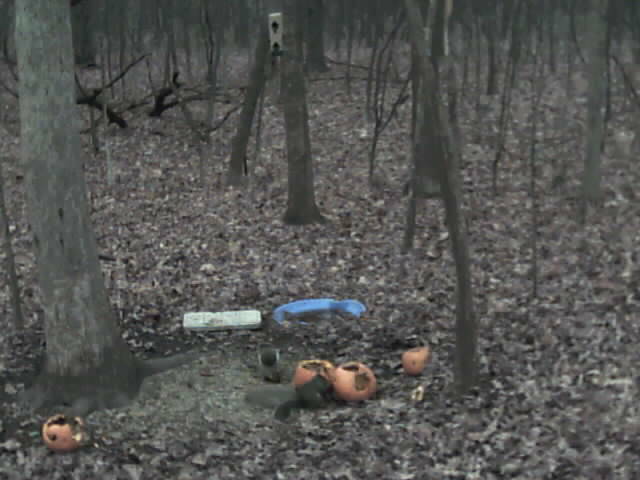 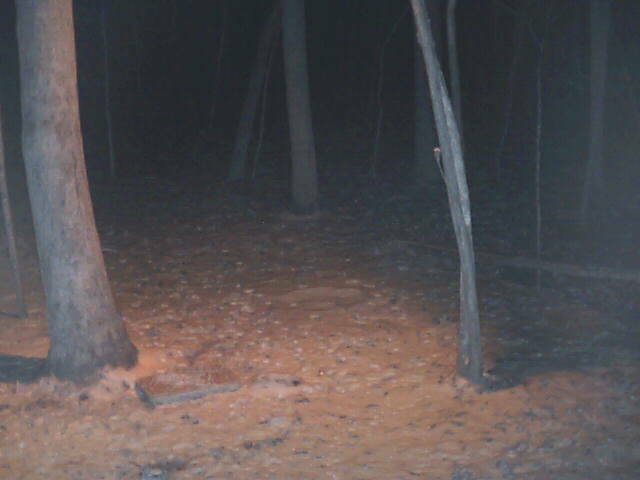 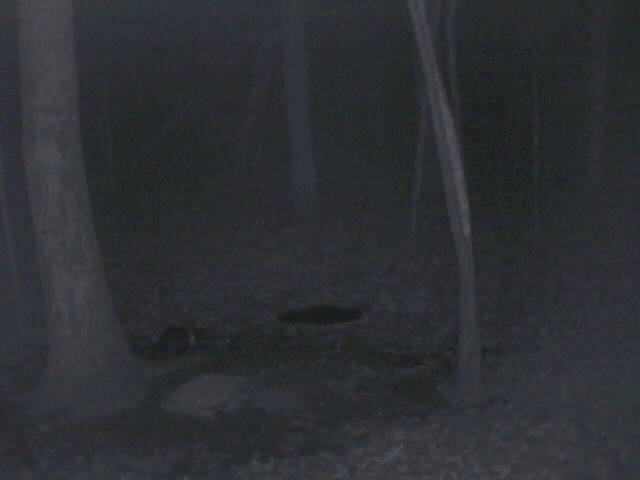 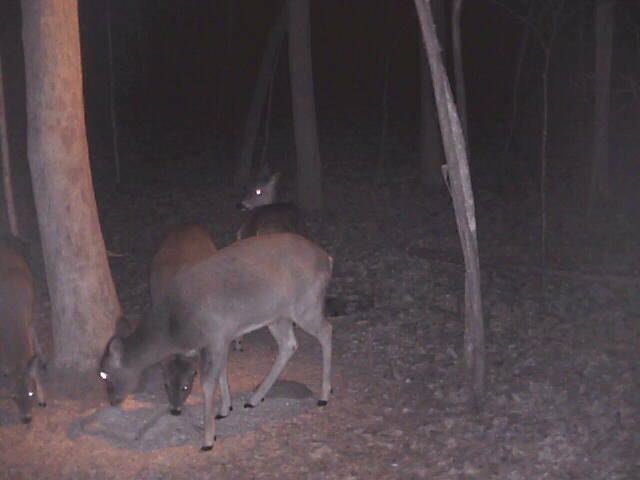 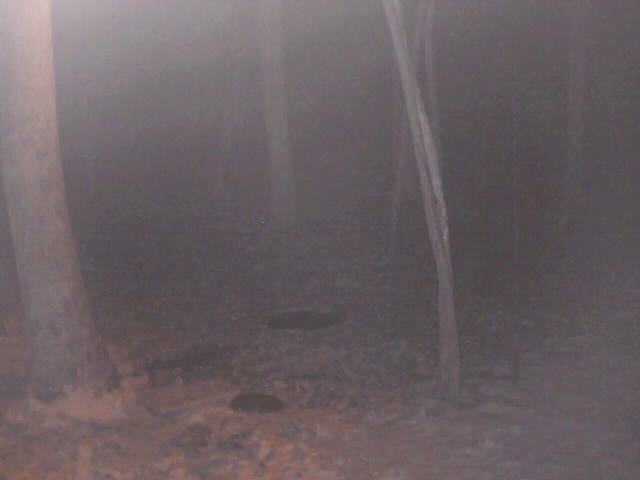 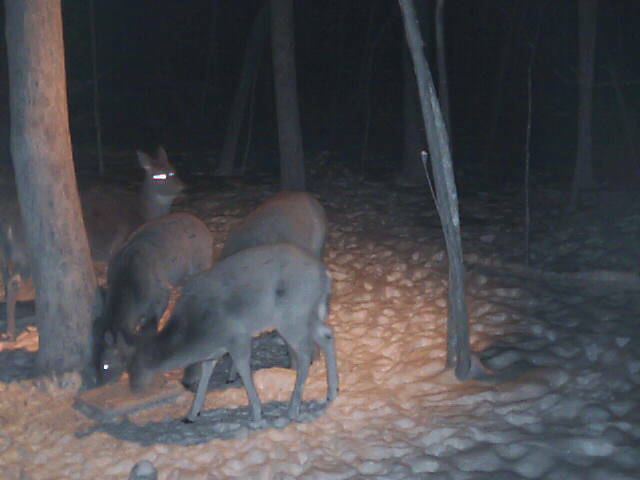 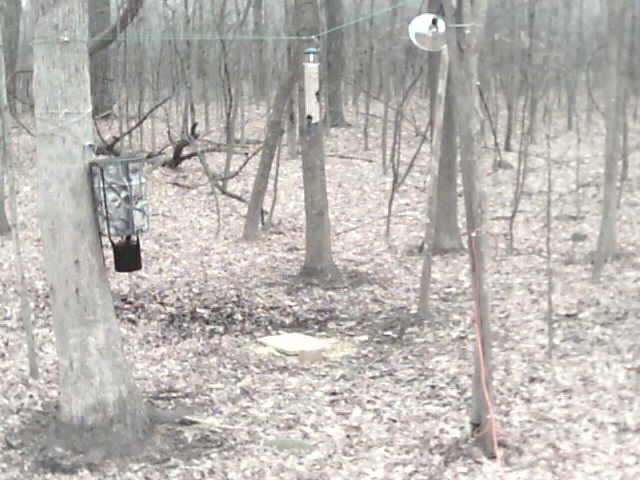 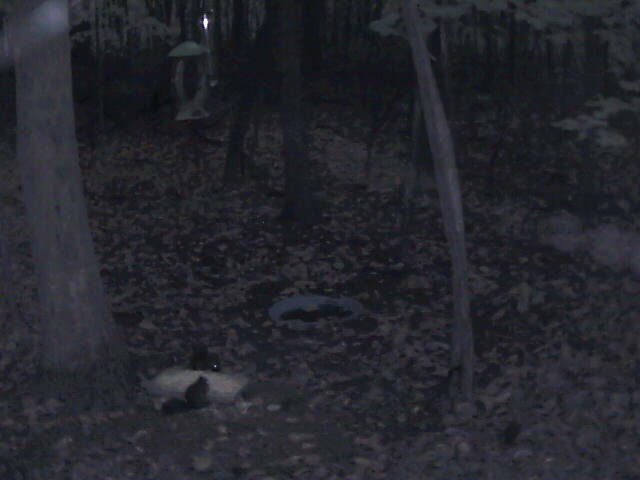 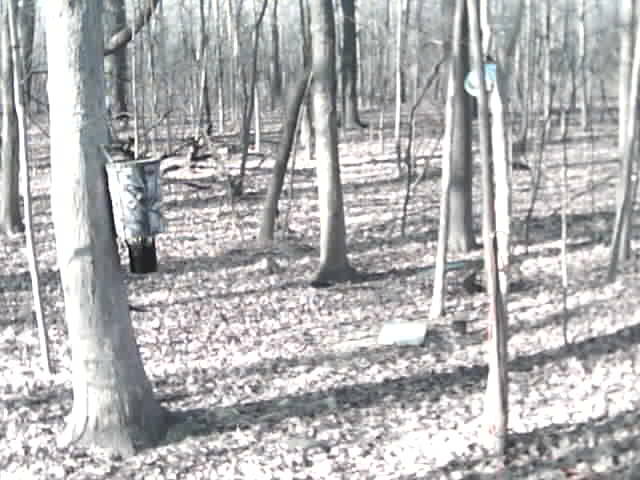 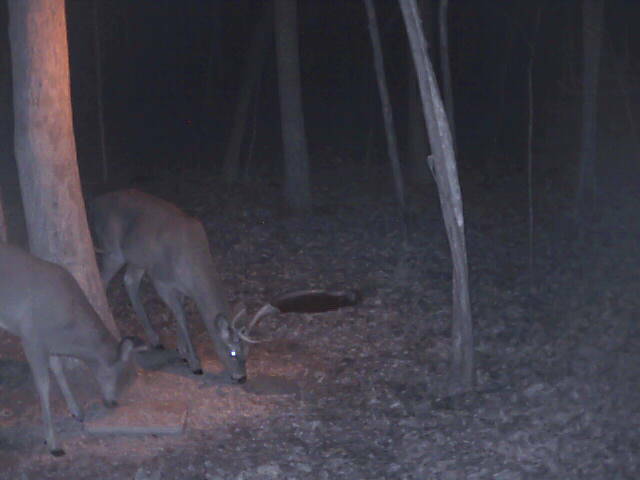 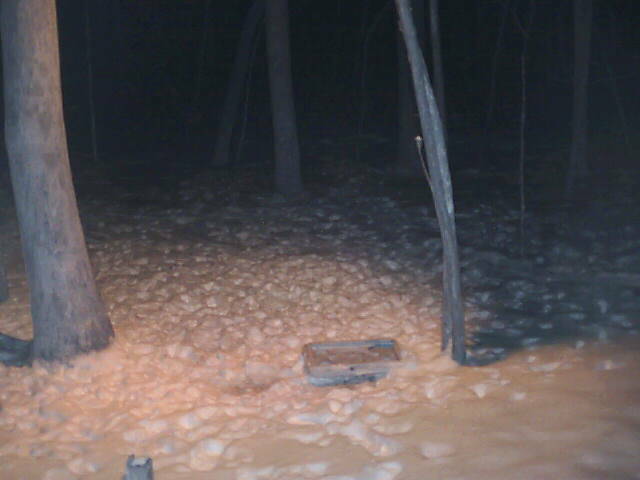 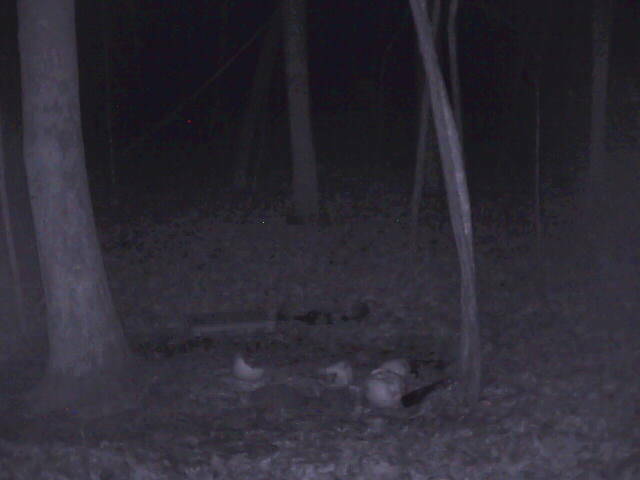 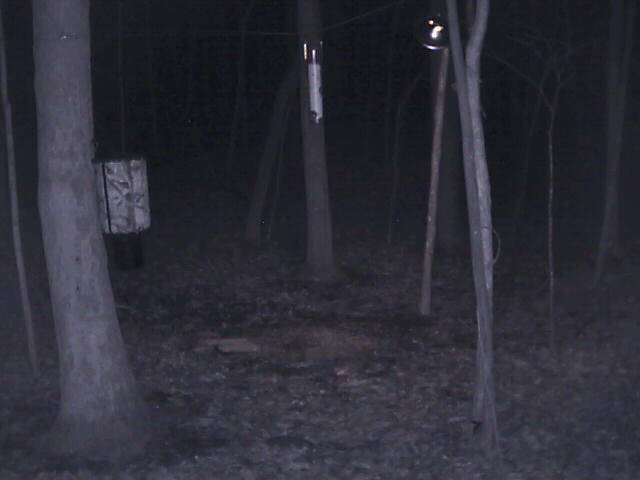 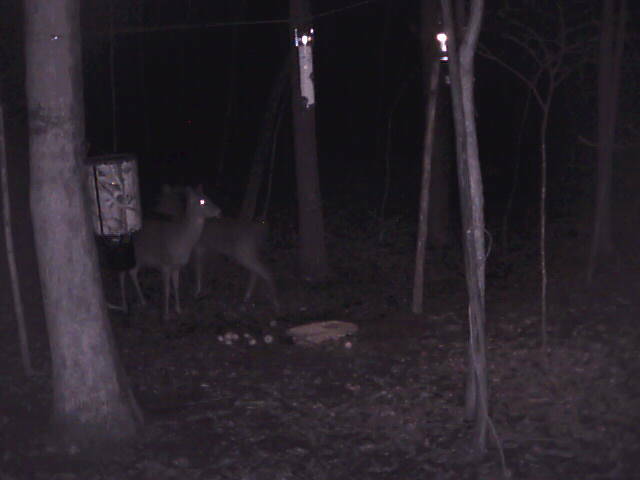 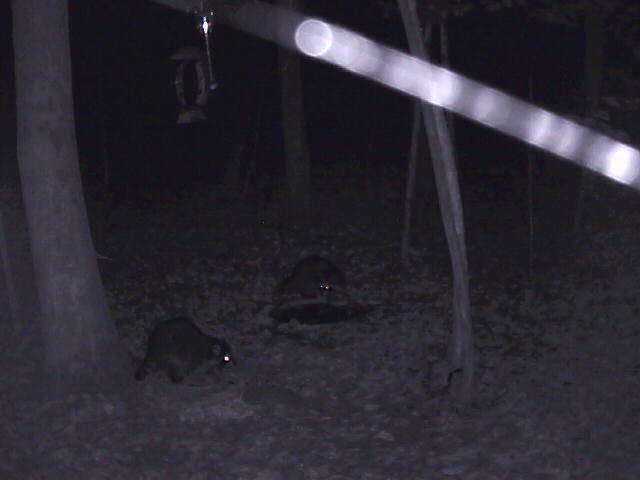 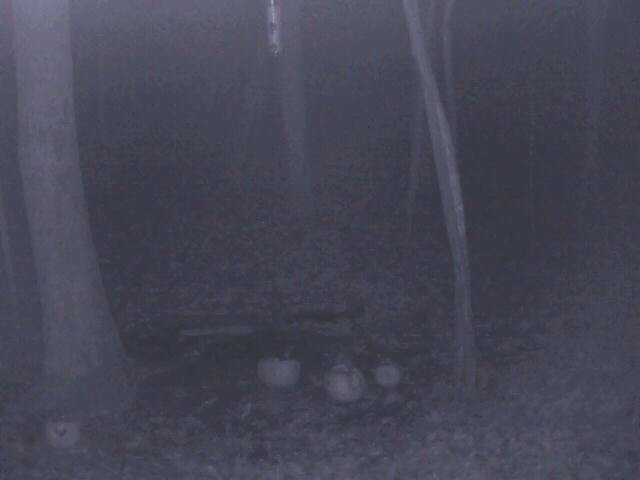 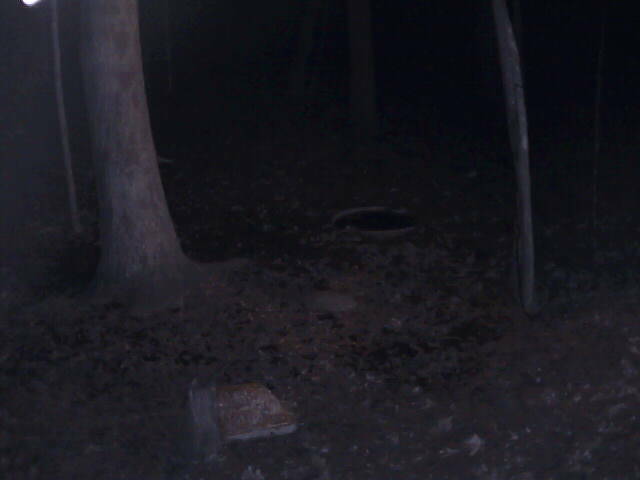 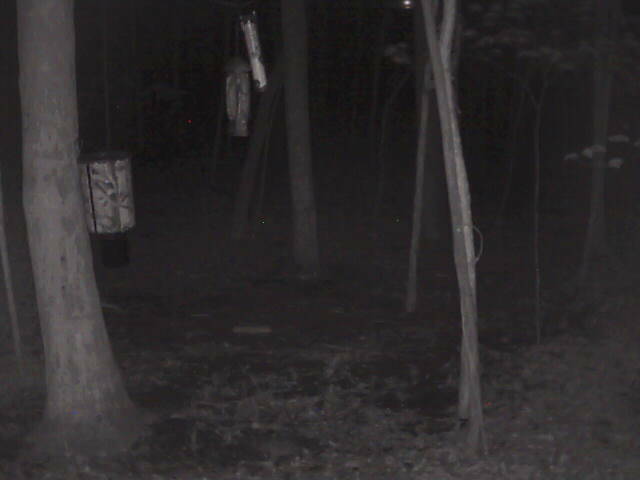 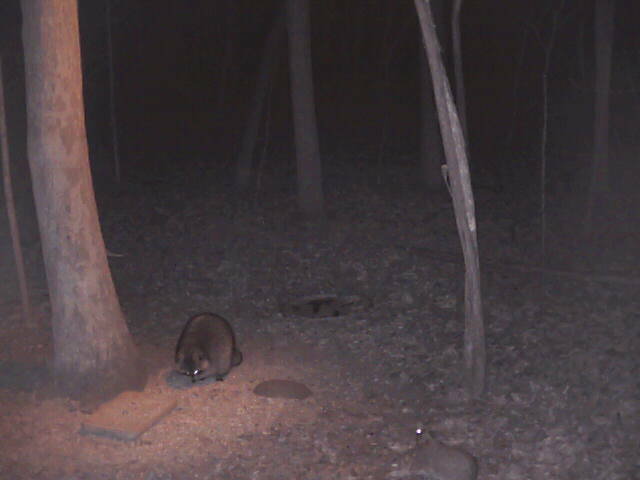 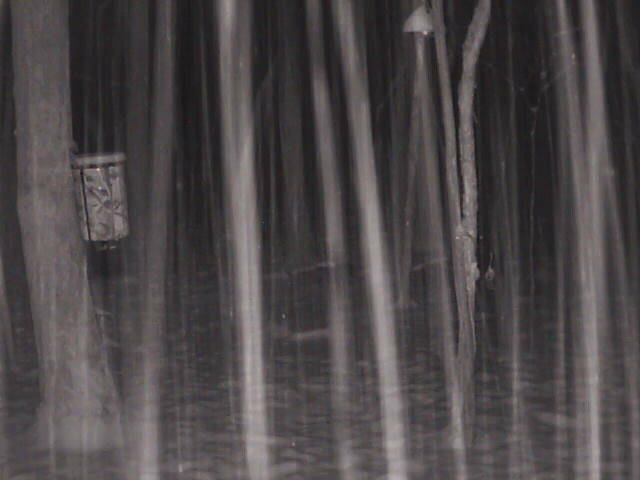 Bucks Galore @ the Deer Cam !! 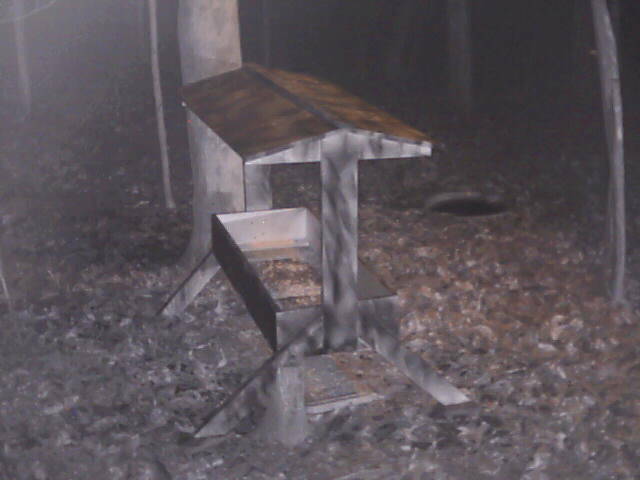 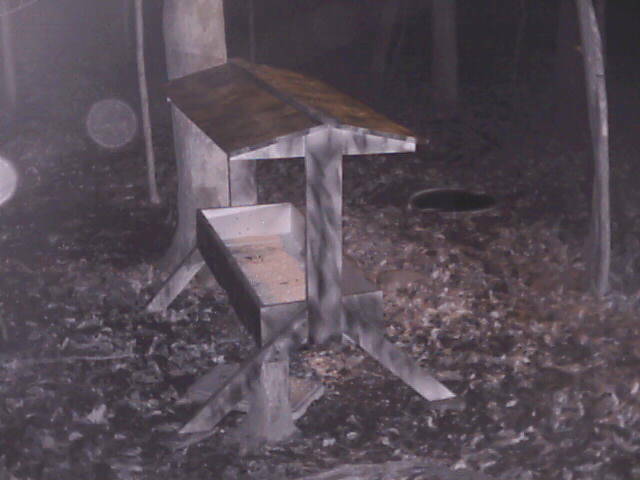 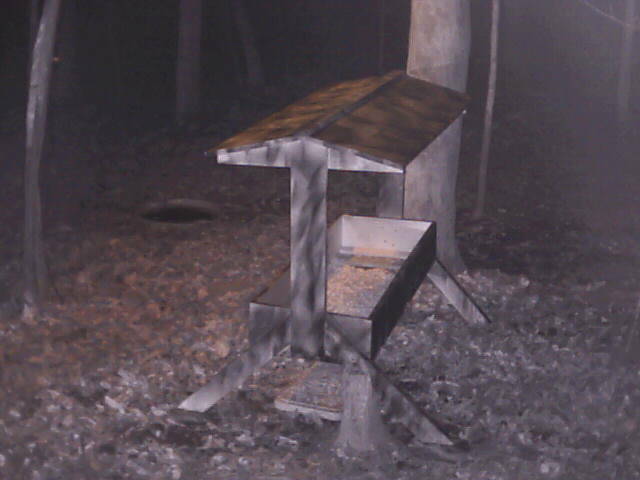 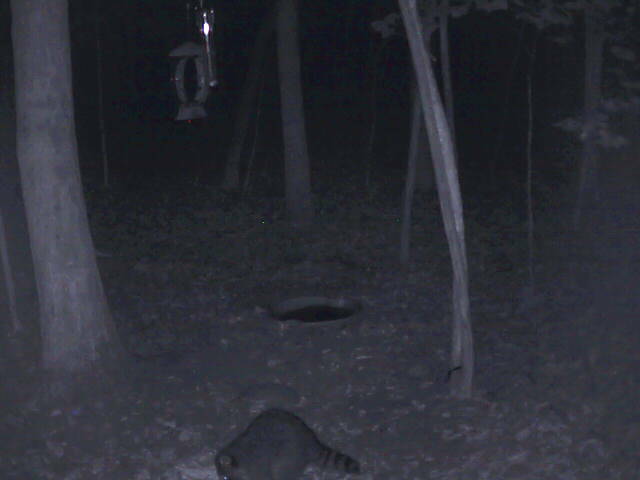 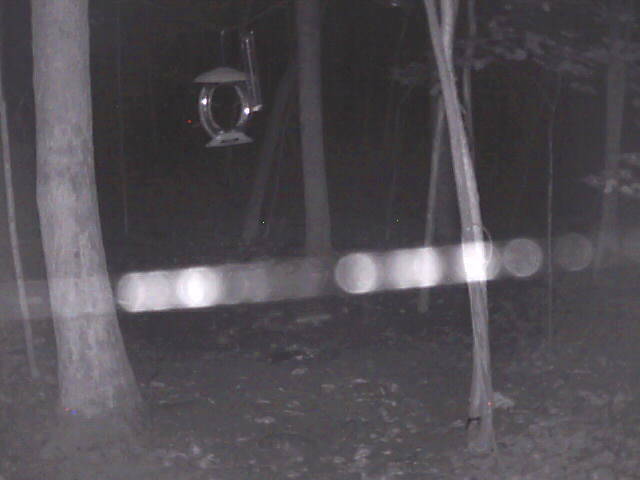 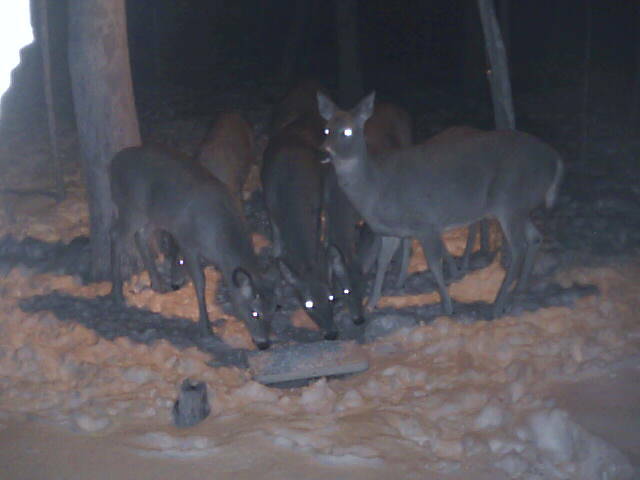 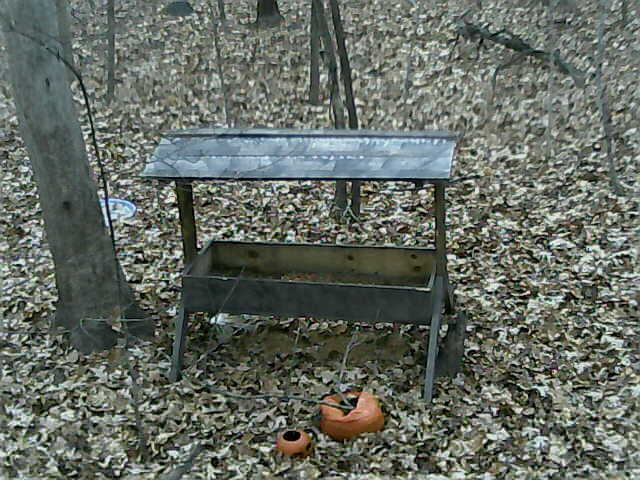 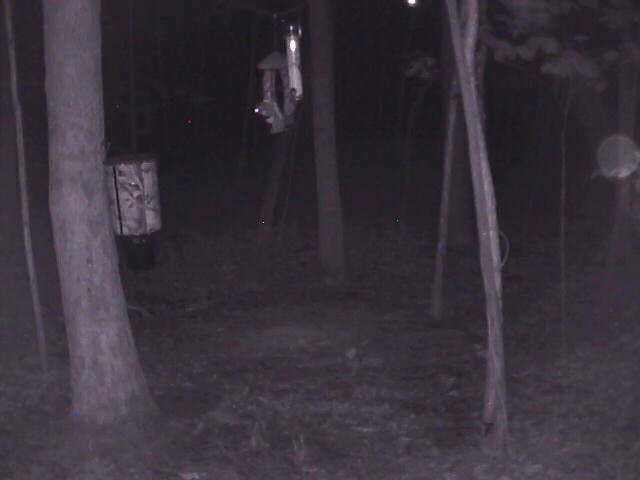 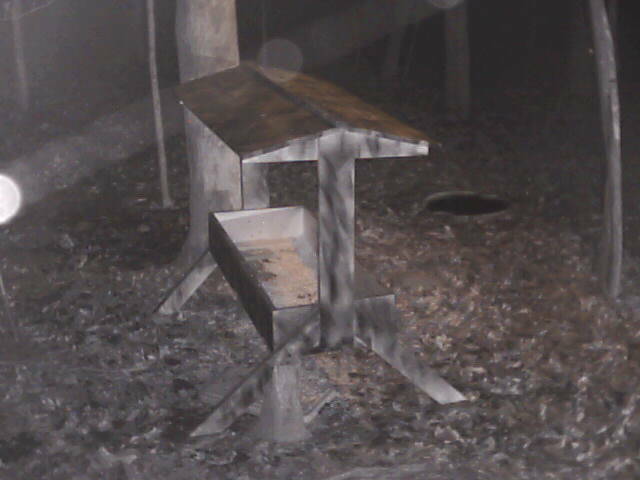 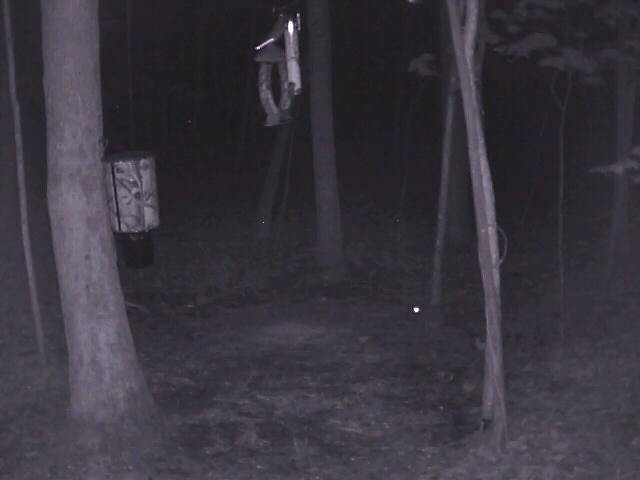 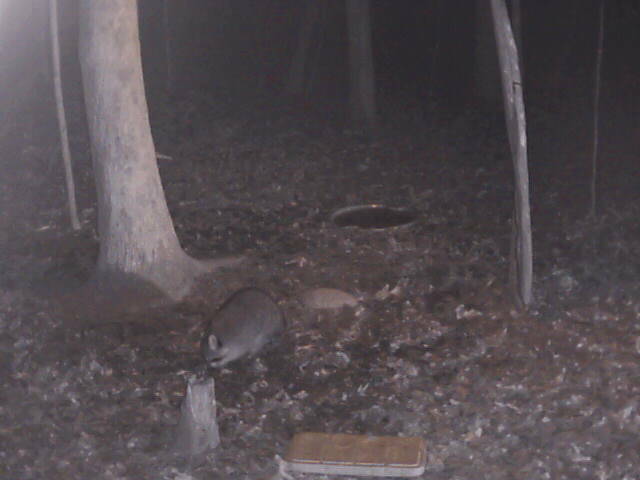 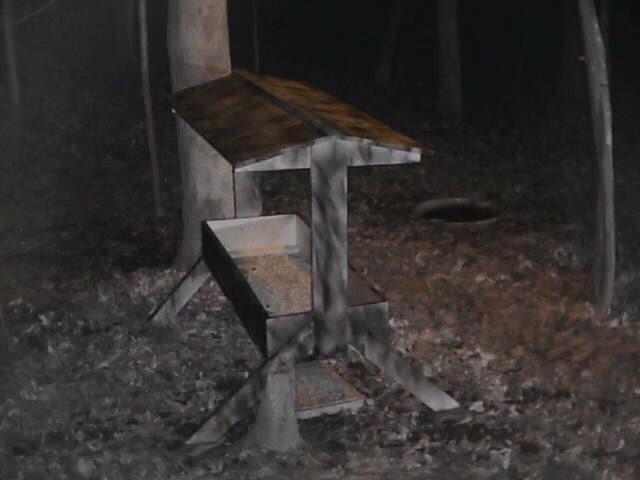 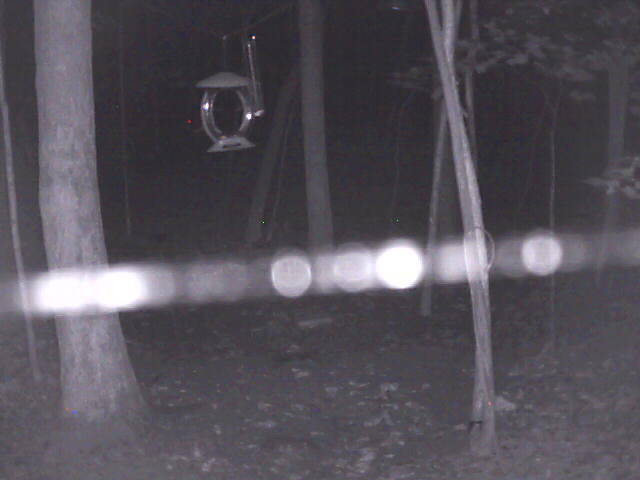 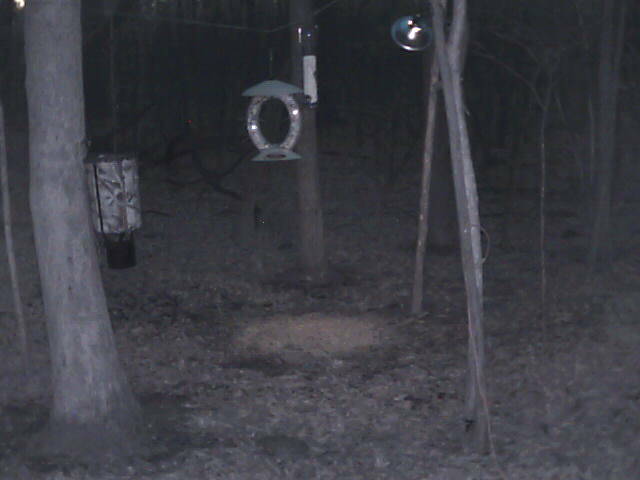 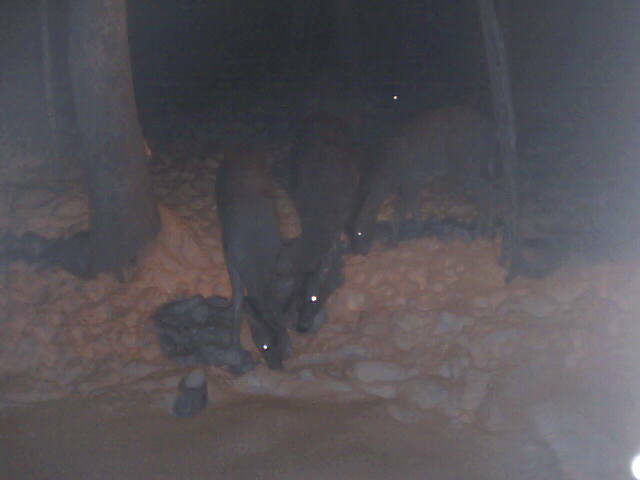 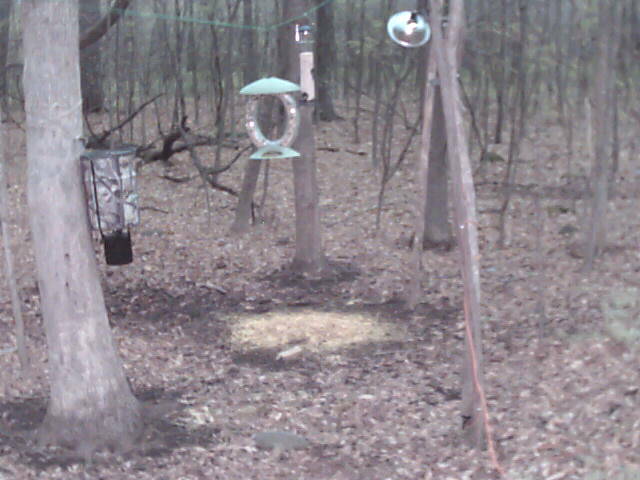 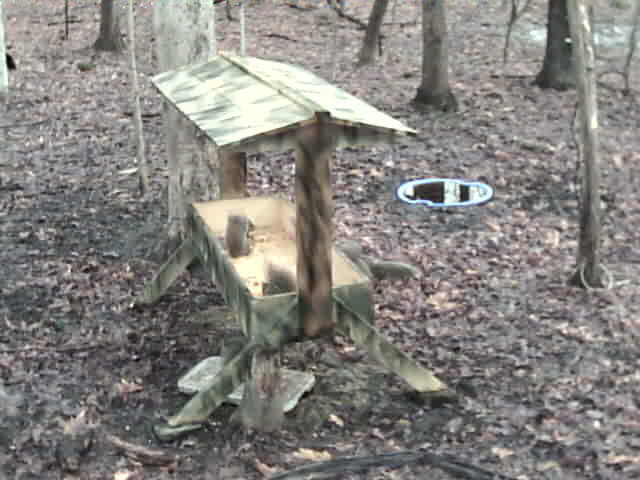 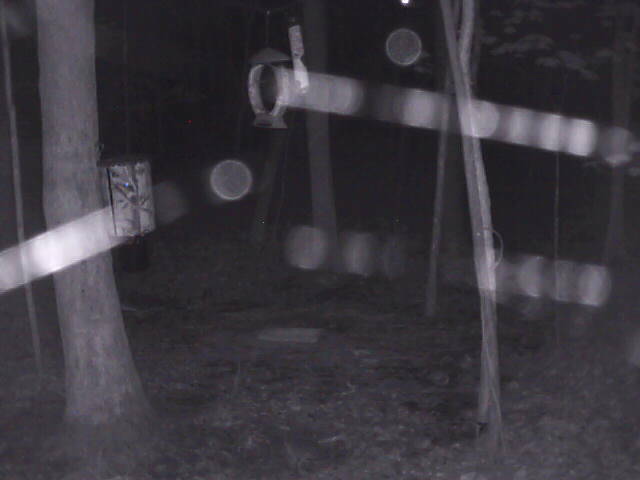 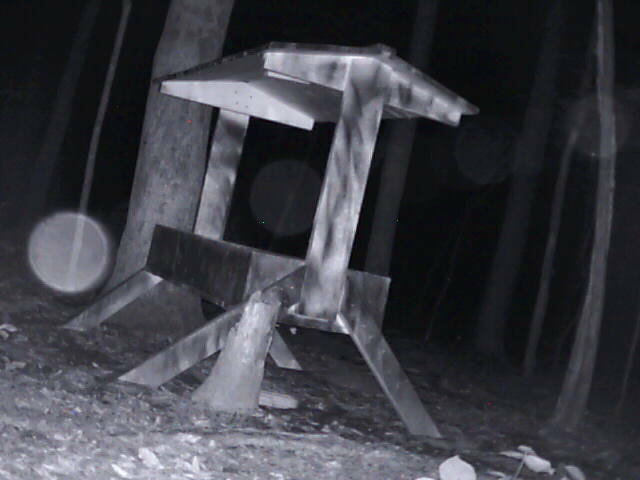 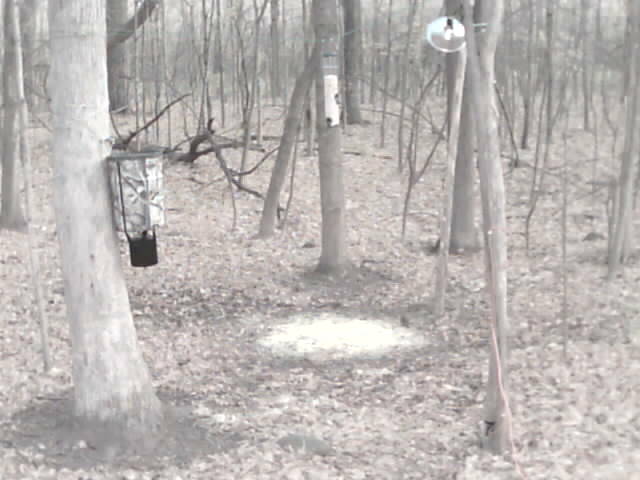 Deer Cam Diner is open!! 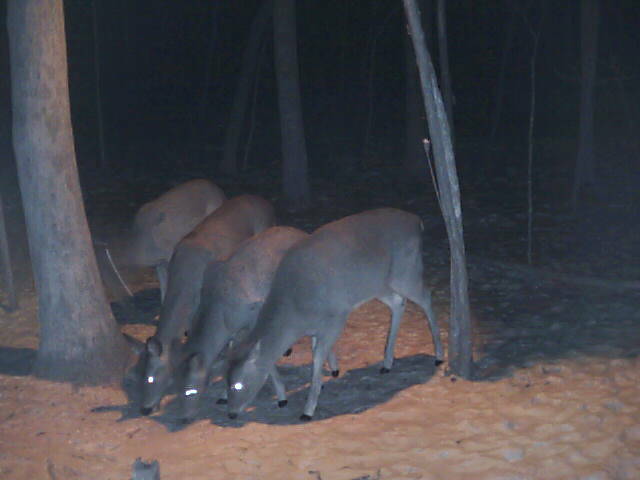 Doe's during the Super Bowl!! 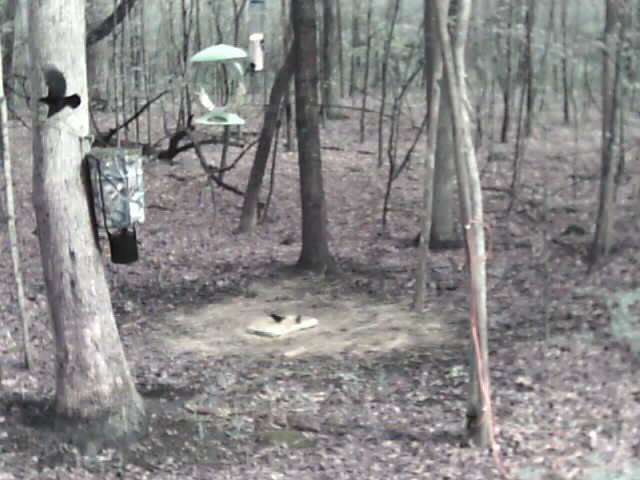 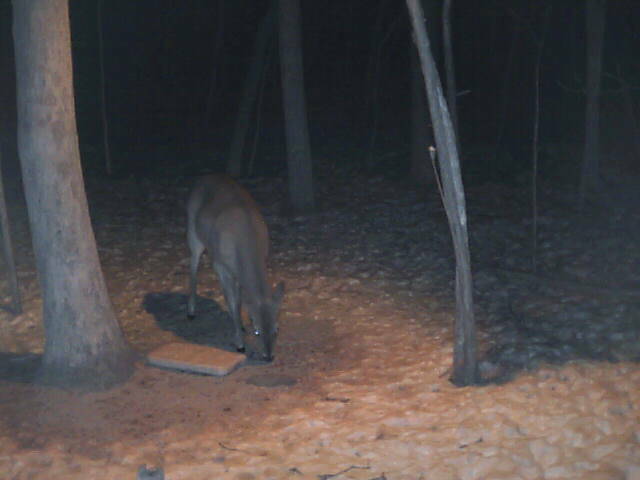 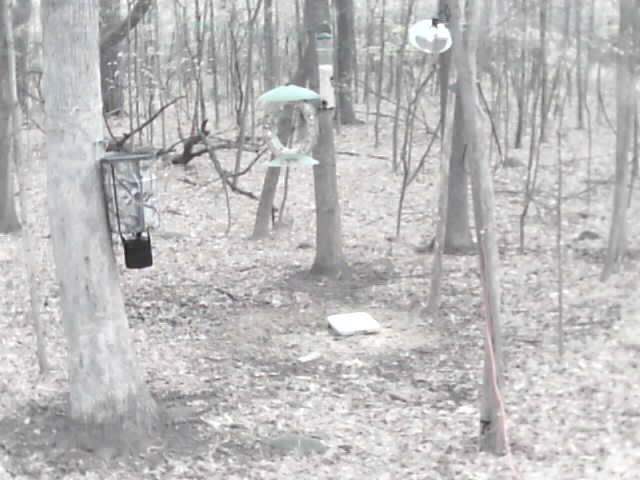 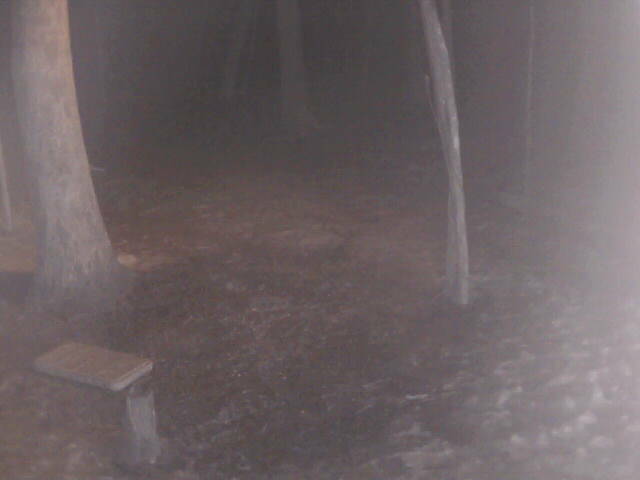 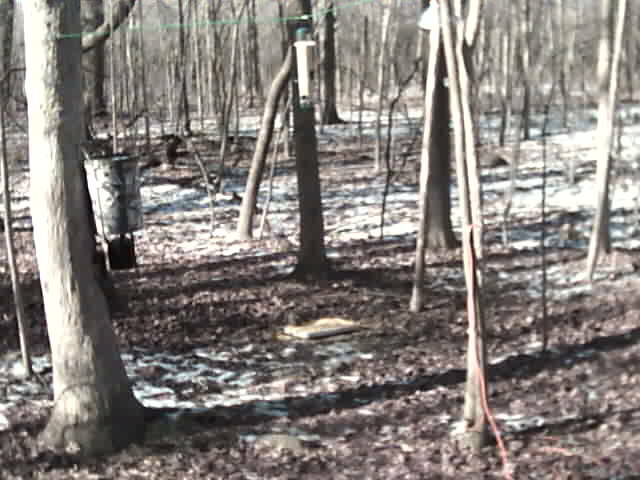 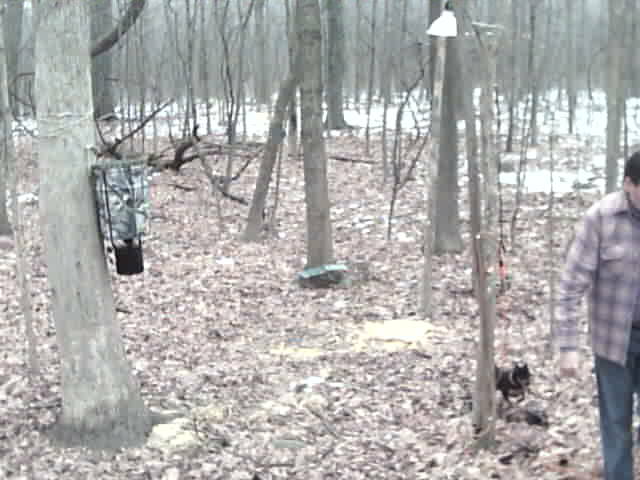 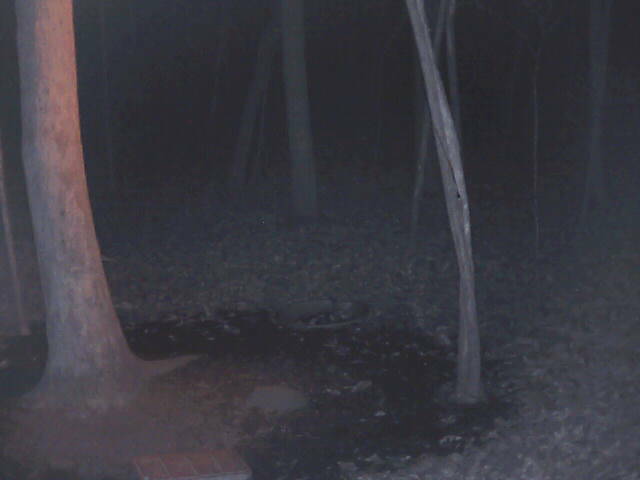 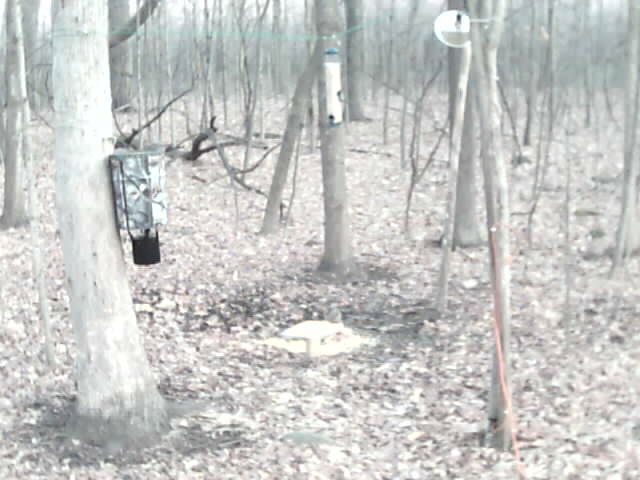 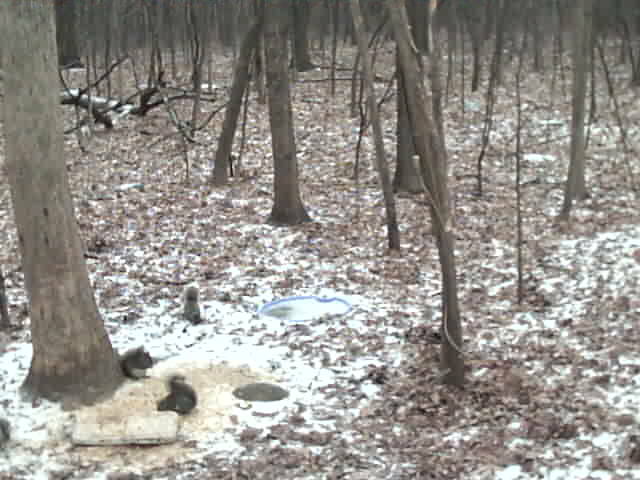 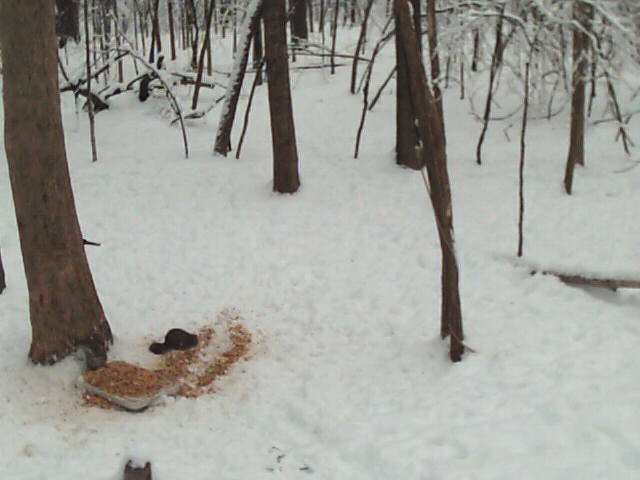 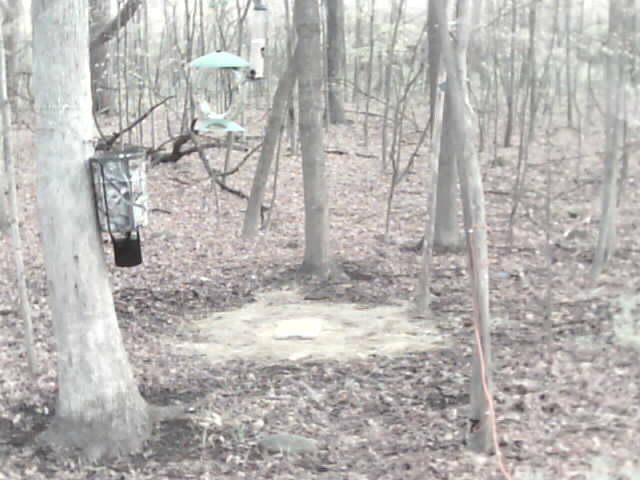 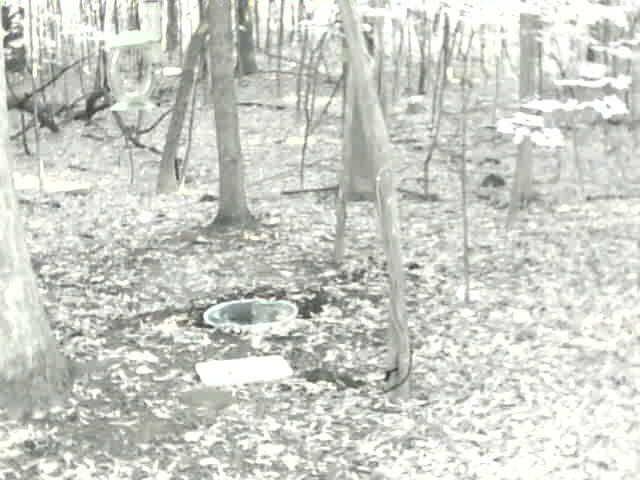 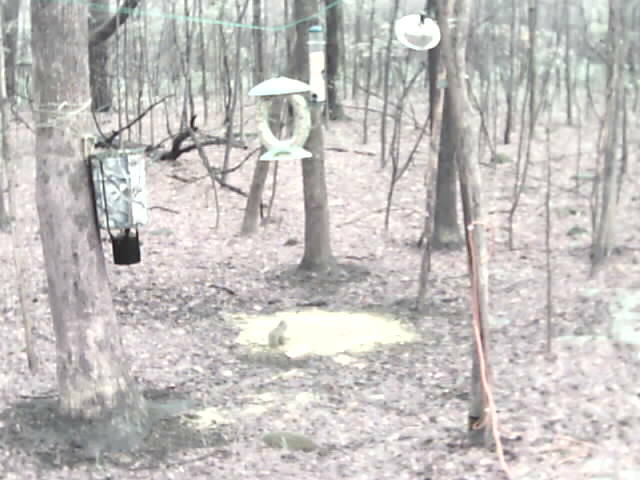 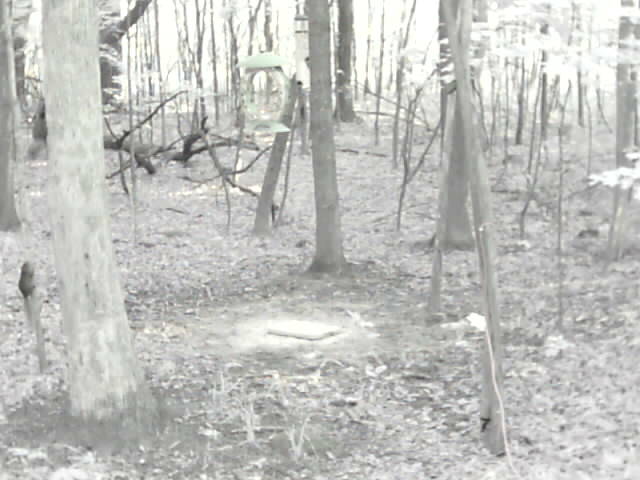 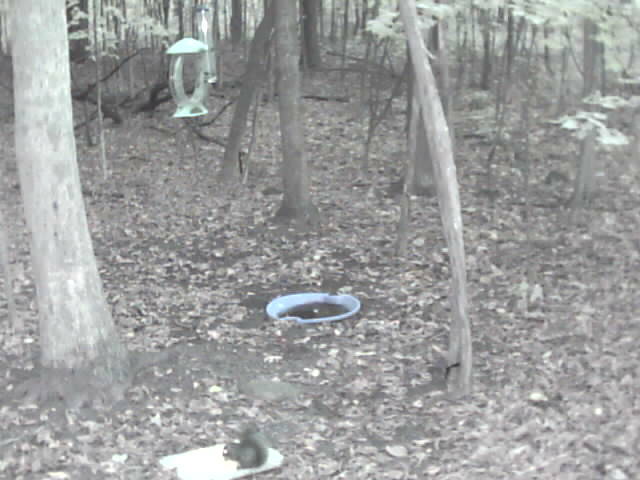 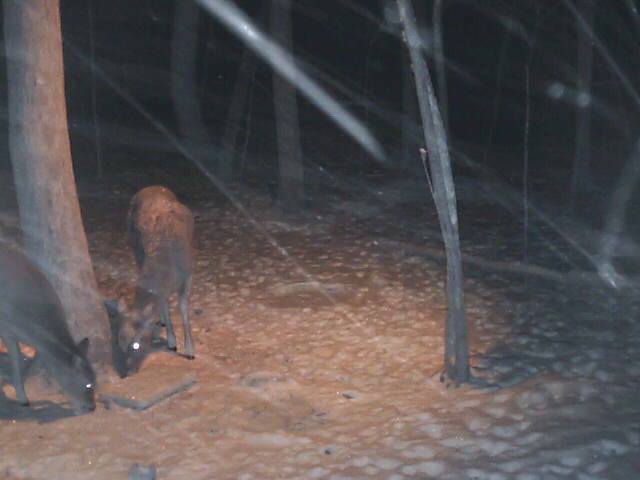 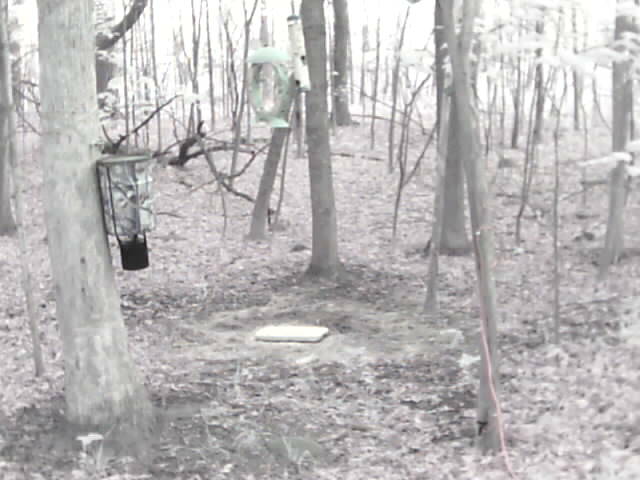 Bella @ thre Deer Cam! All Critters come to the "DC"
Cold out!! 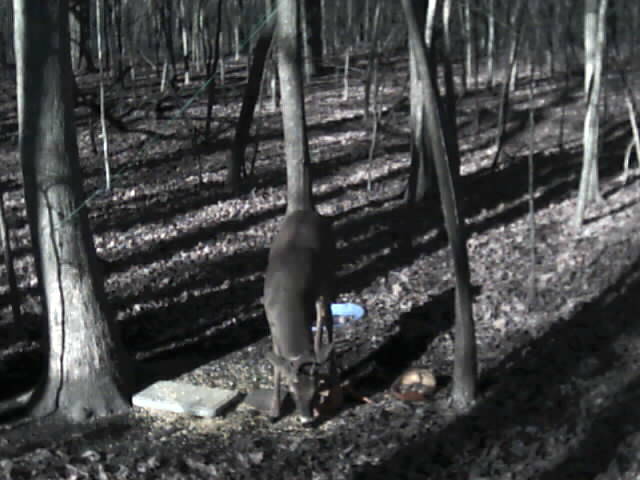 Doe in daylight! 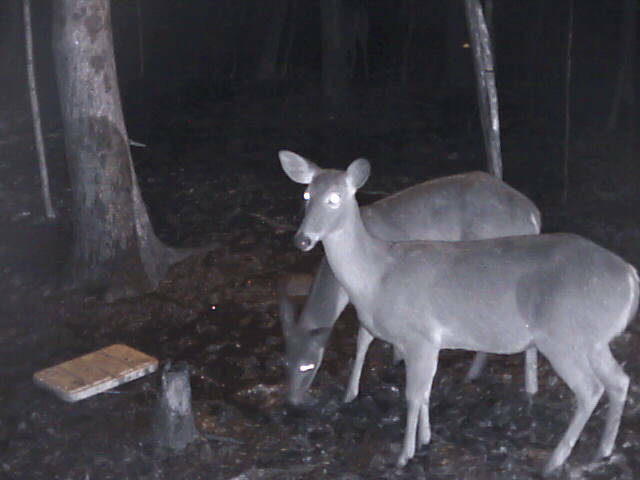 Deering it up at the "DC"
Doe night at the "DC"
Deer shadows at the "DC"
The "DC" Diner in action!! 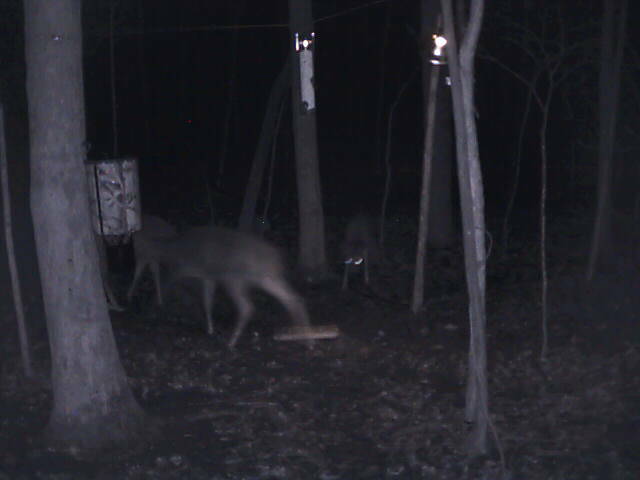 Deer Drop In at the "DC"
New sensor record at the "DC"
Hungry family at the "DC"